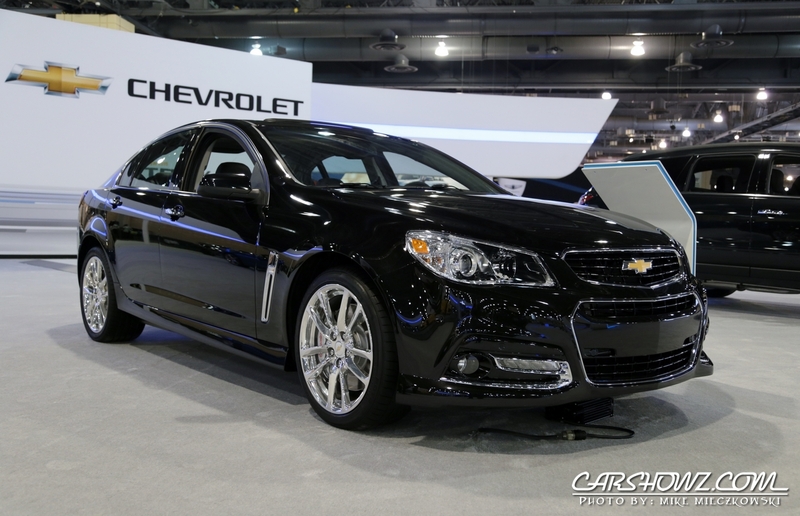 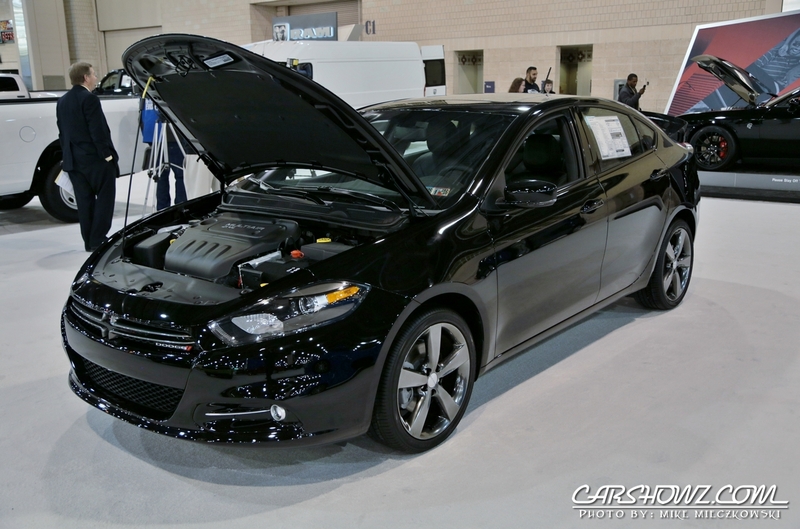 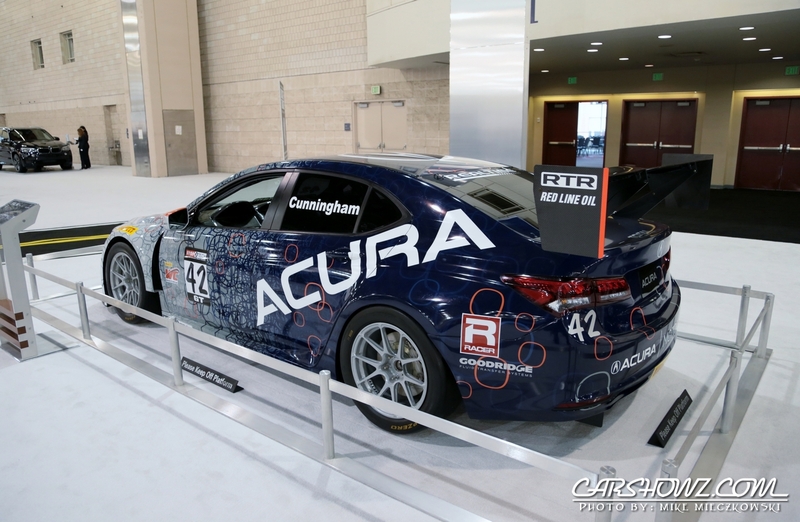 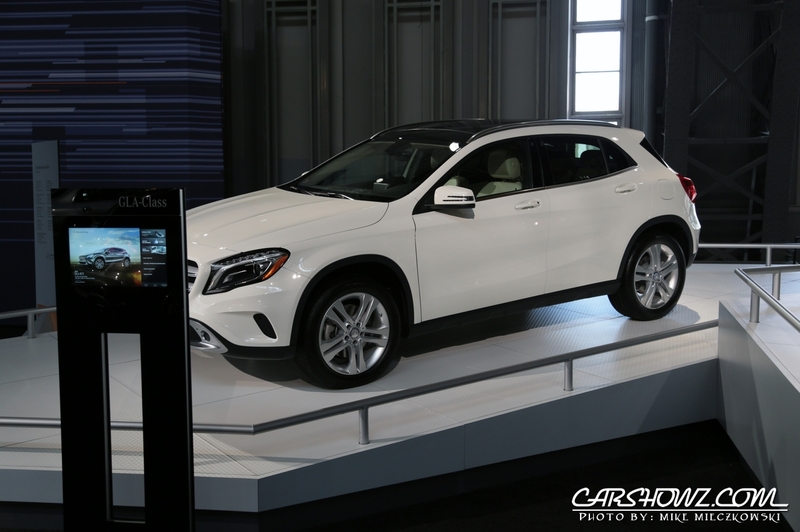 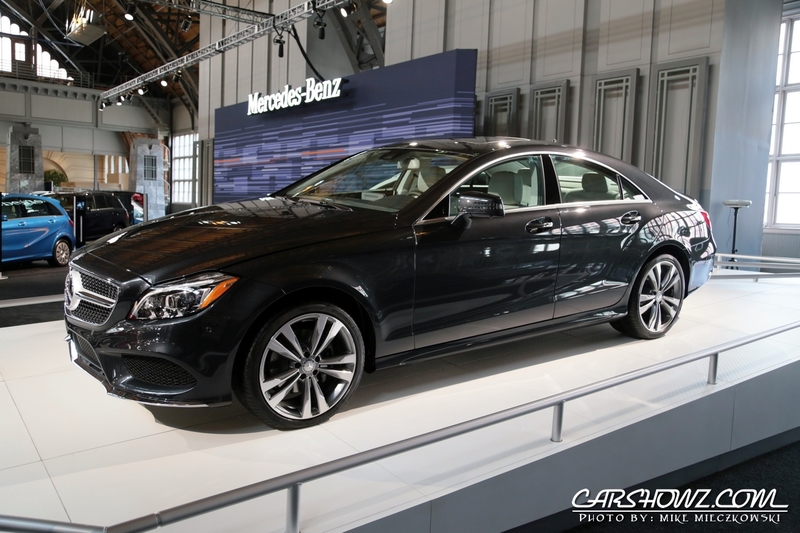 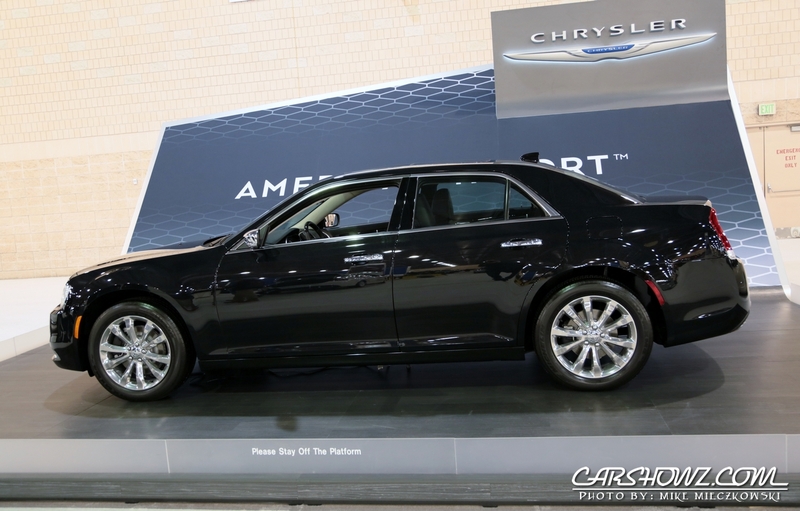 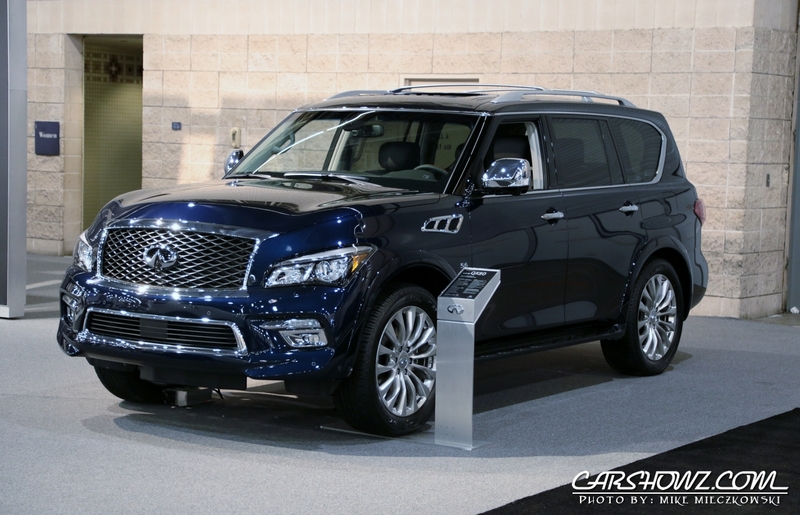 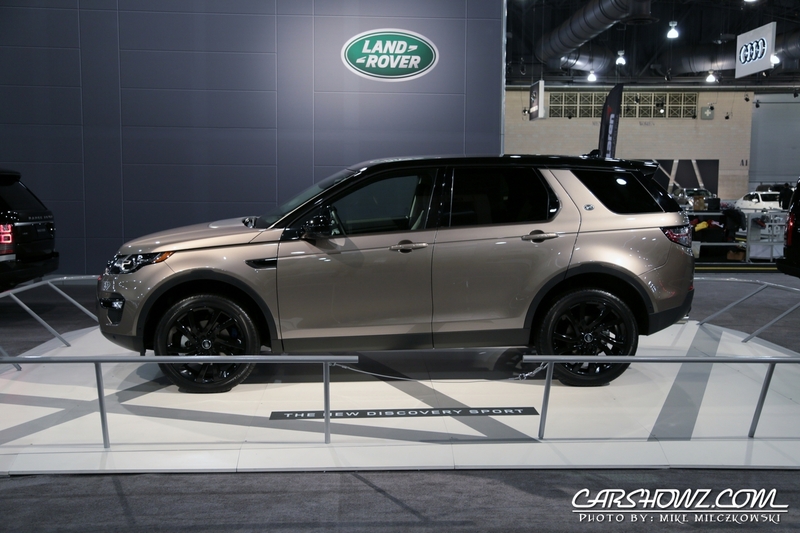 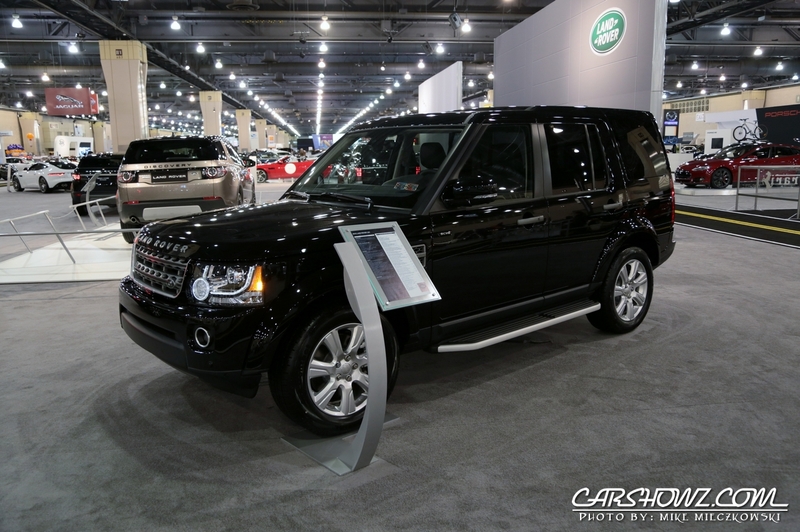 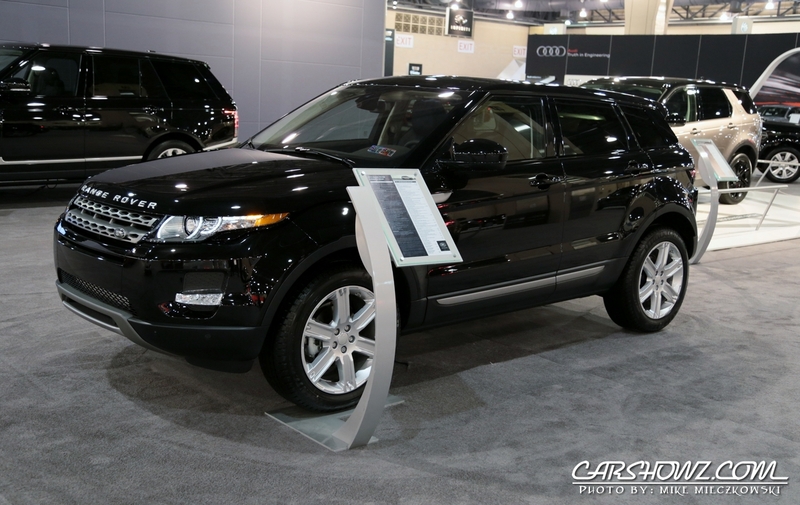 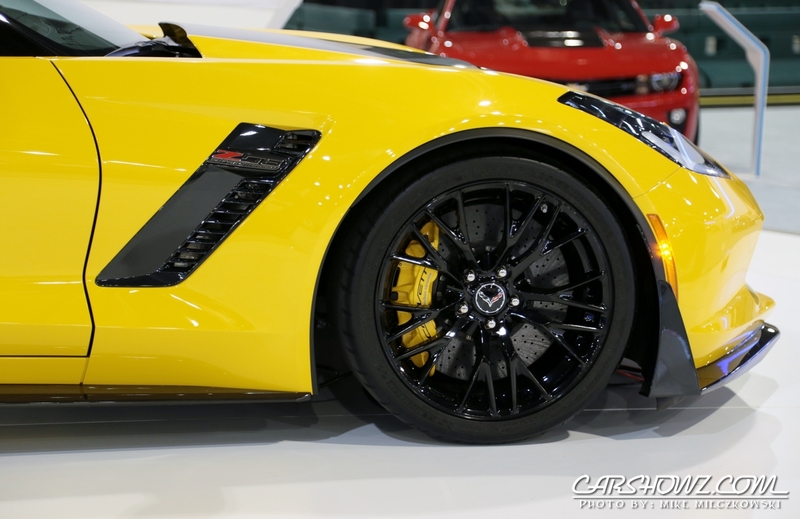 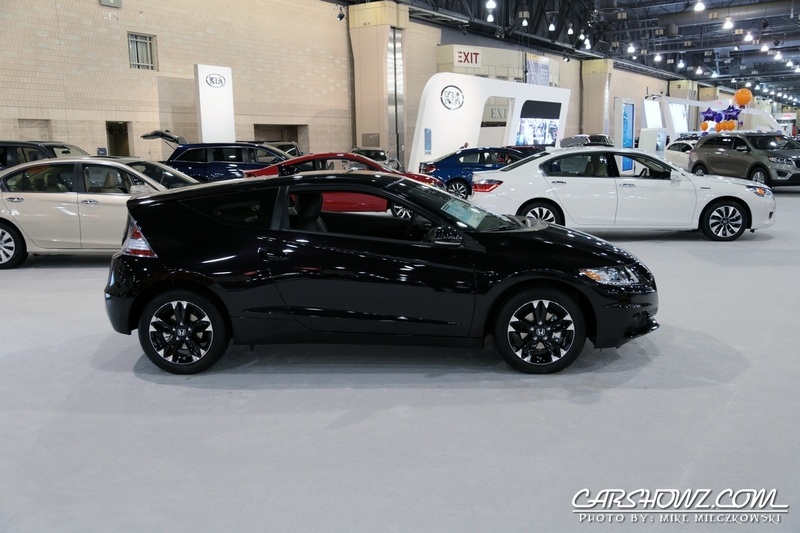 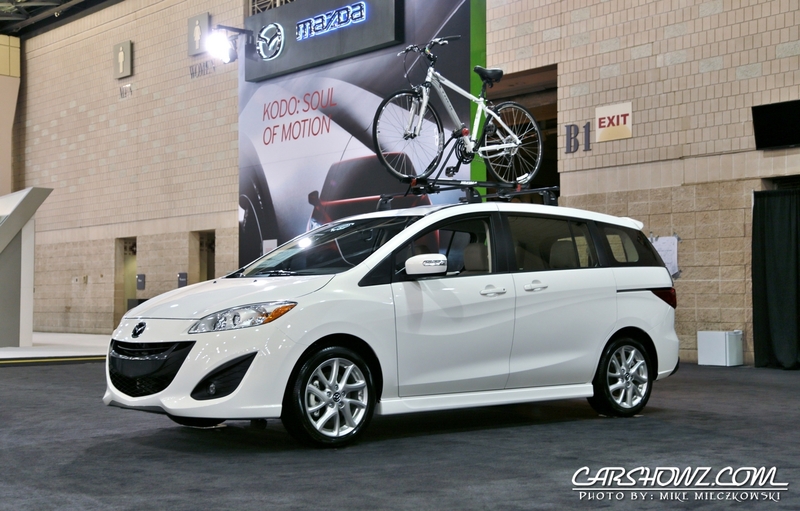 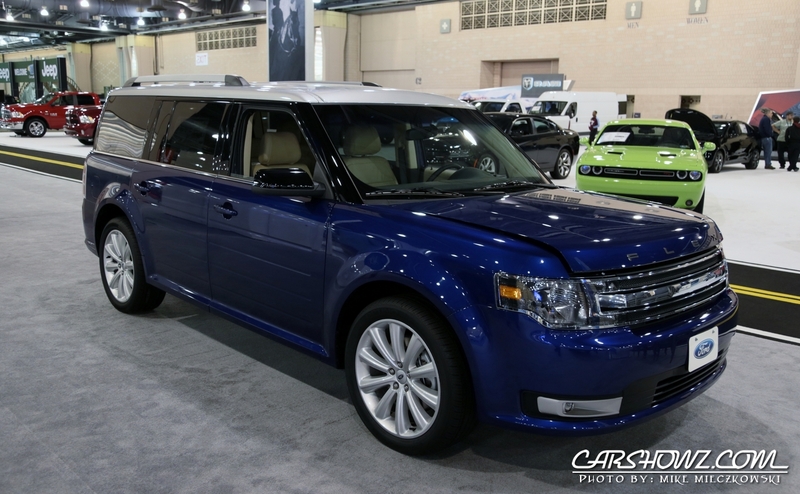 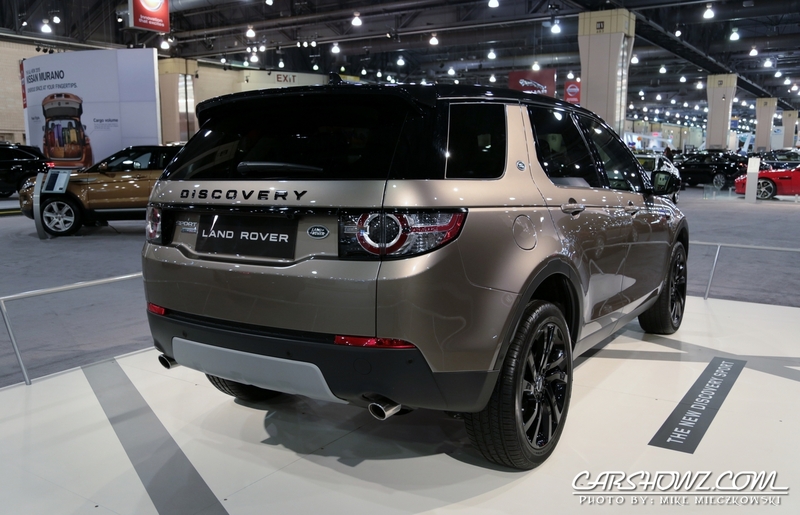 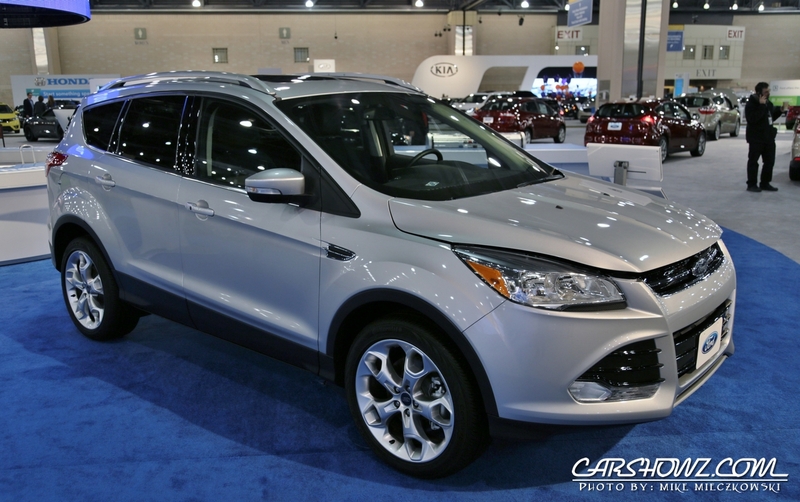 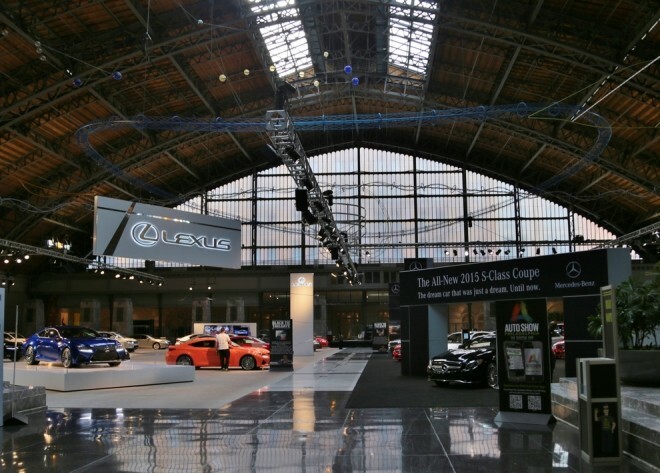 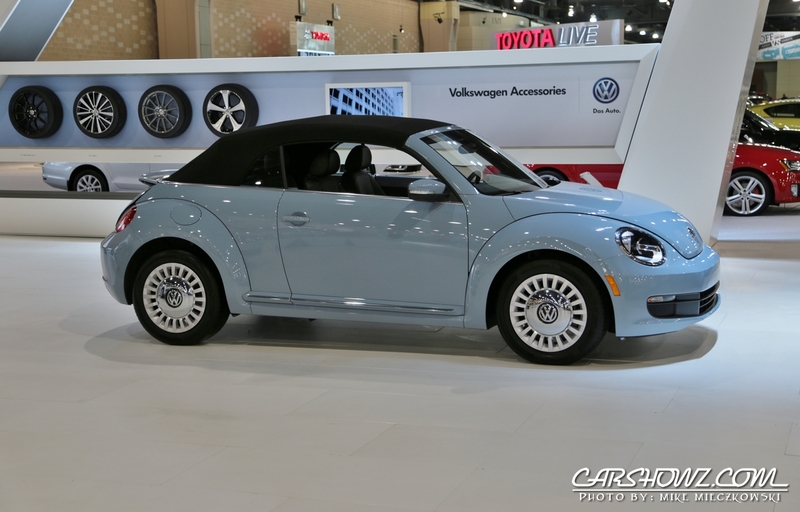 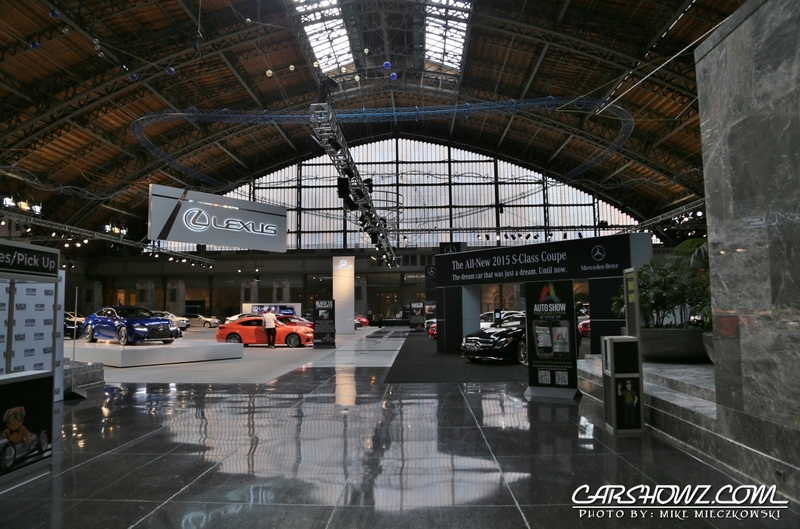 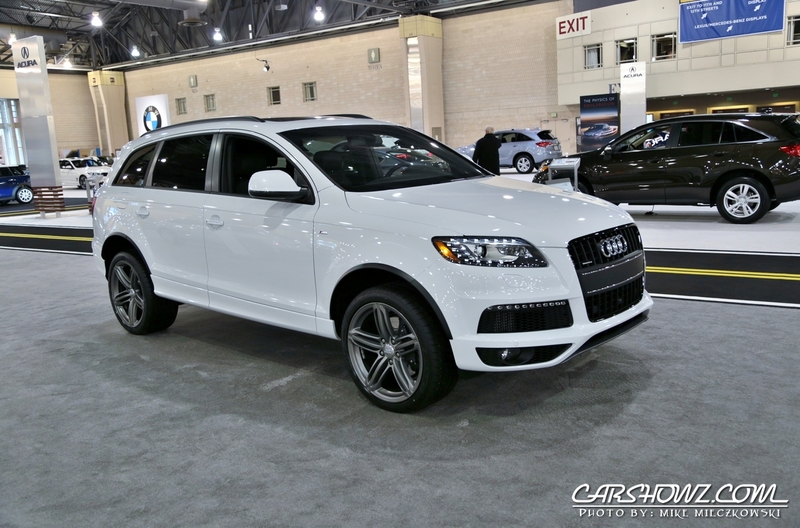 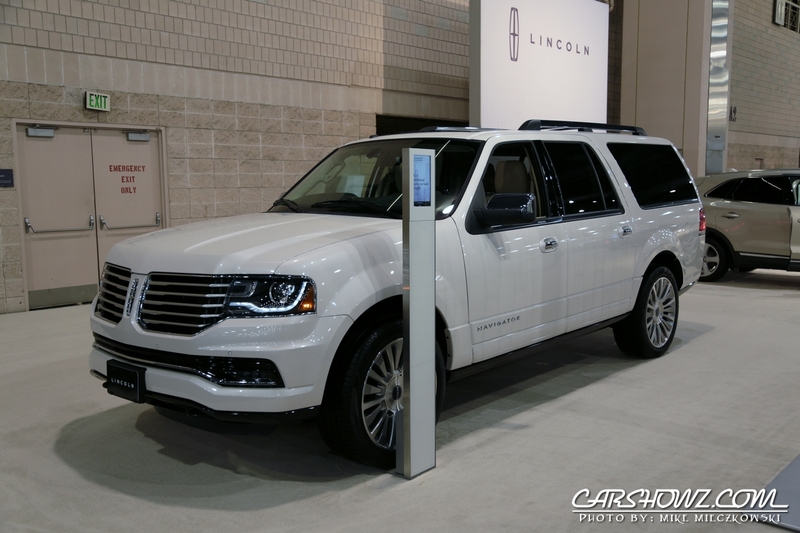 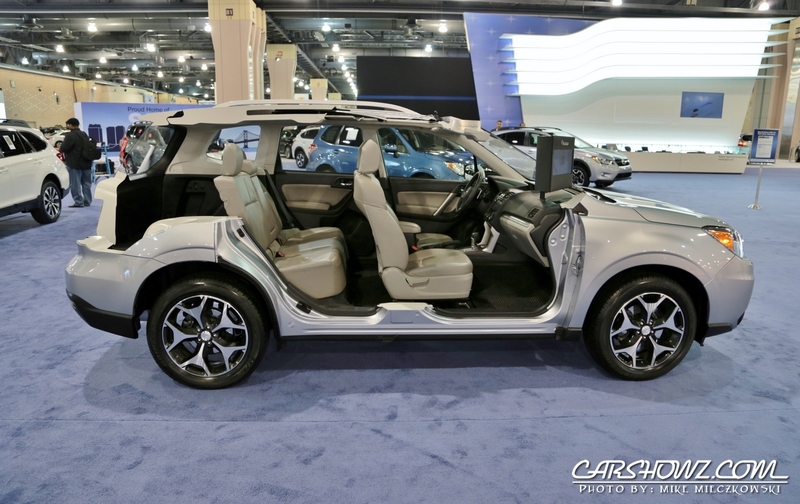 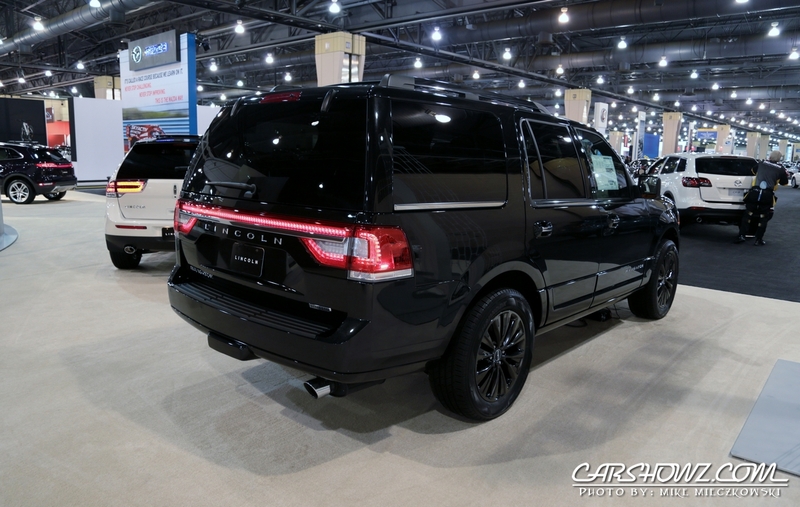 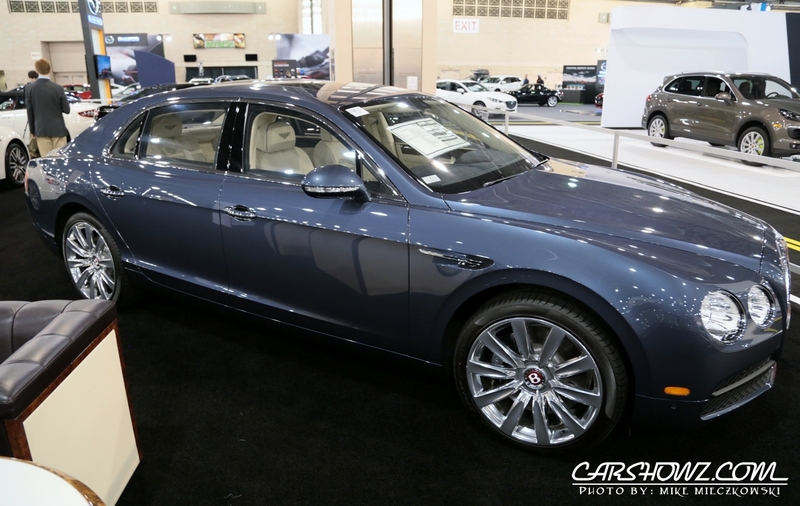 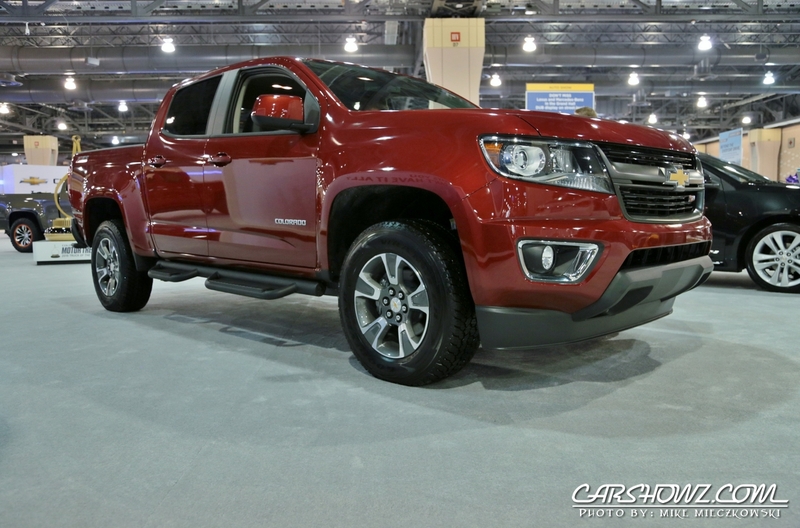 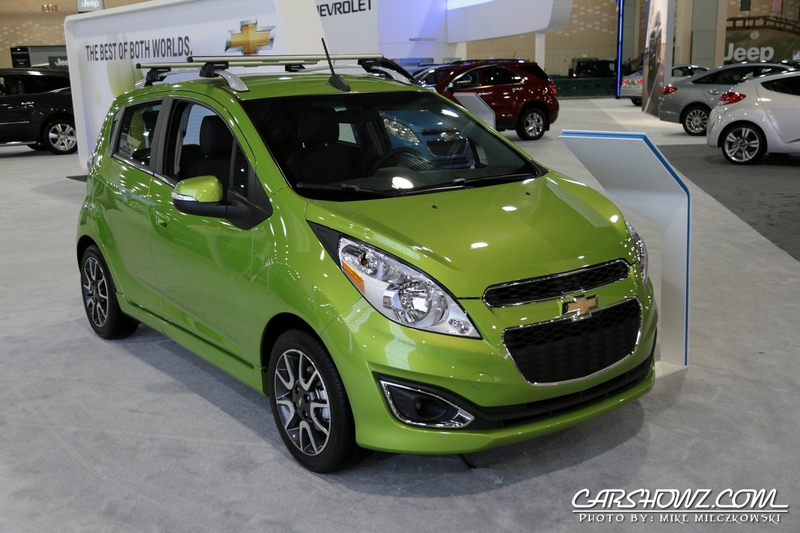 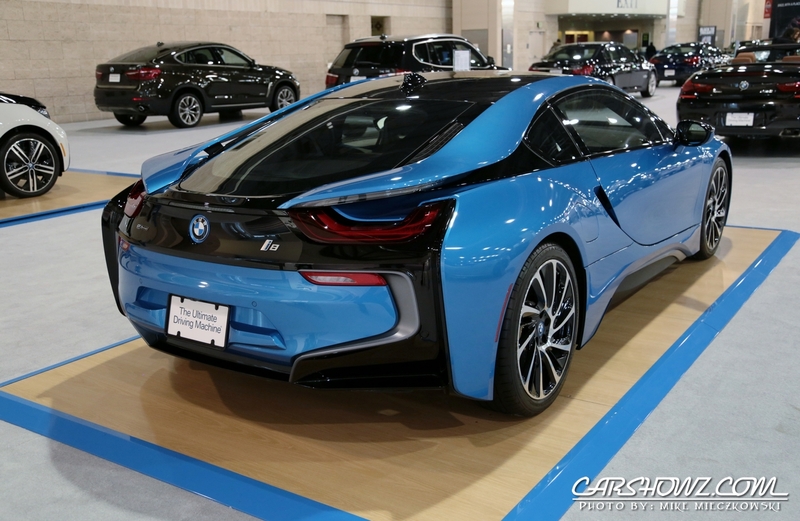 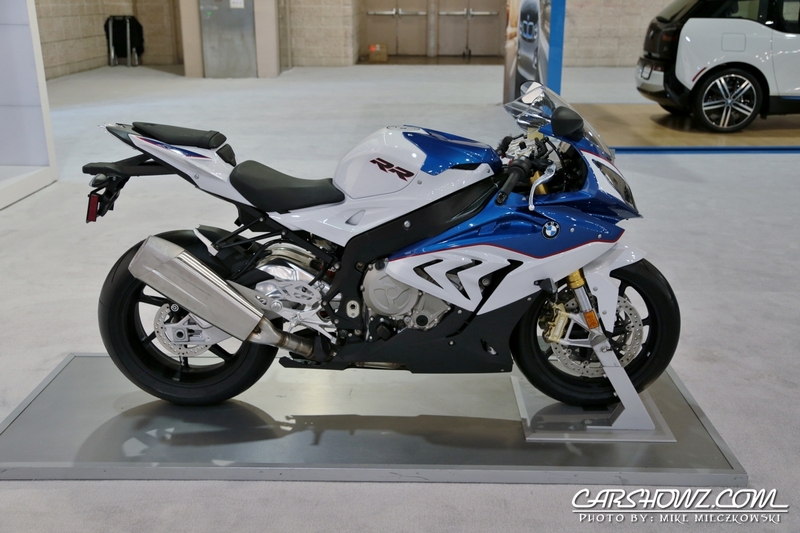 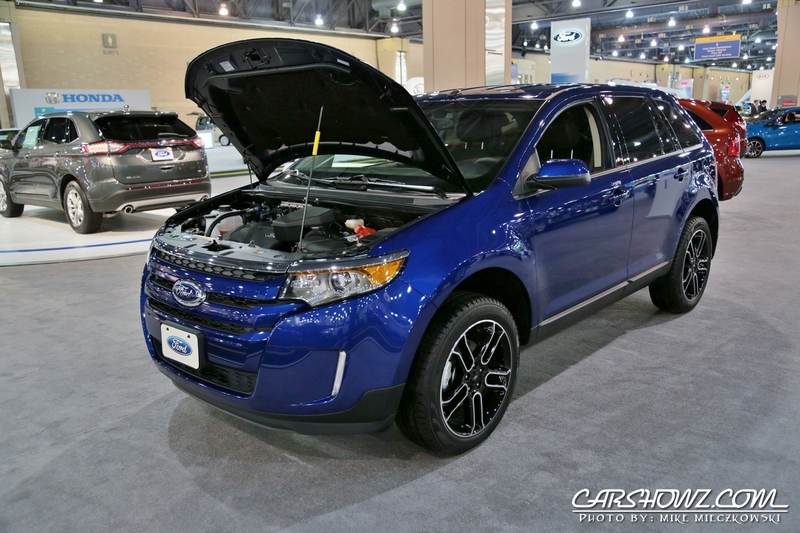 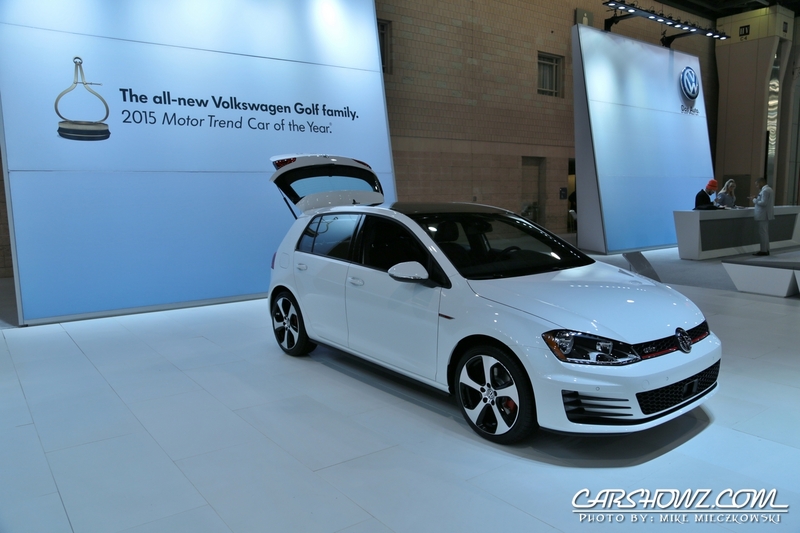 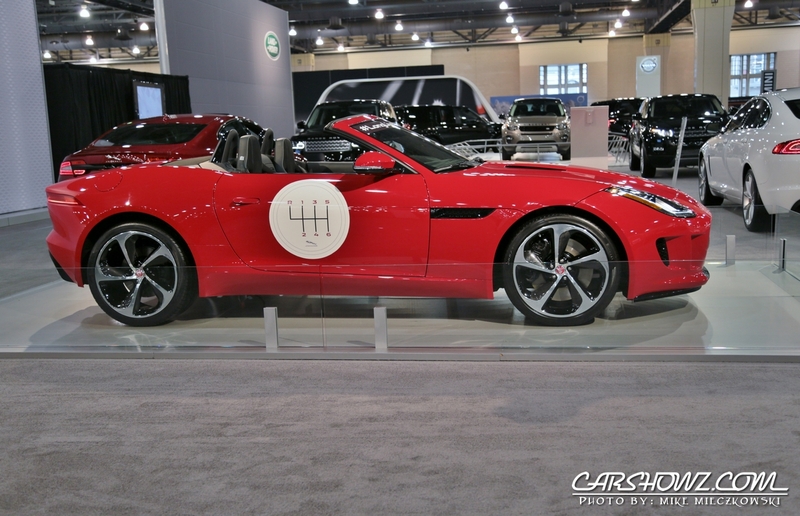 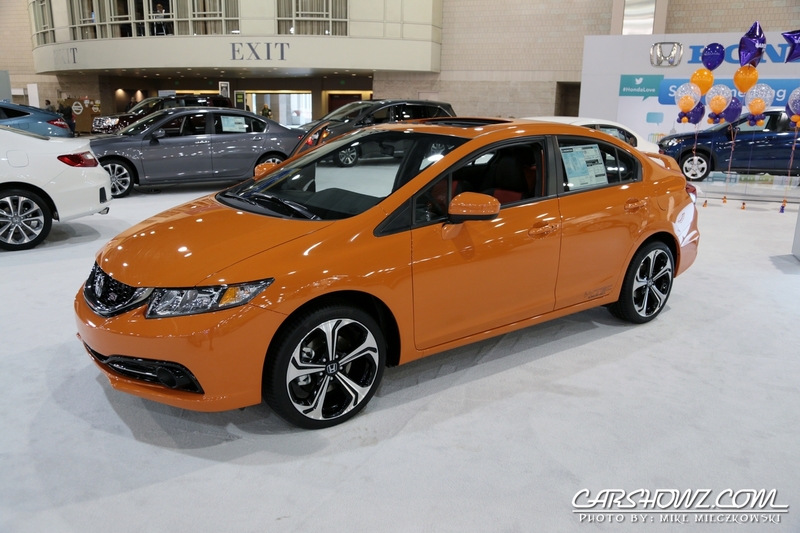 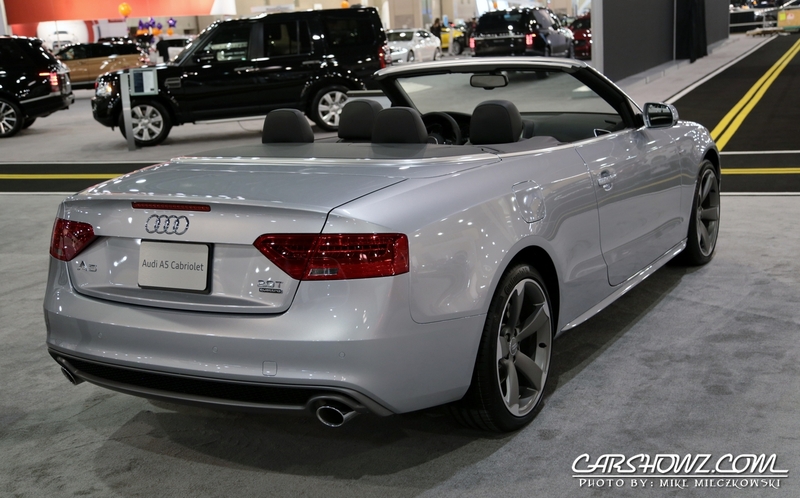 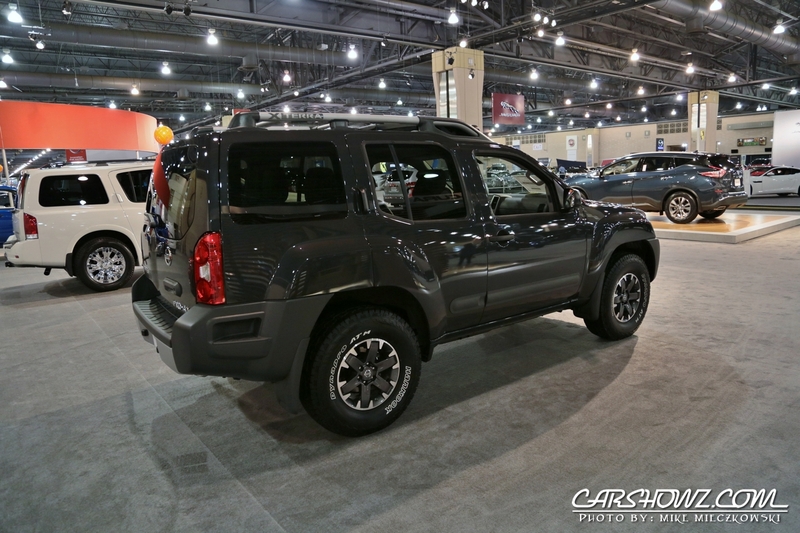 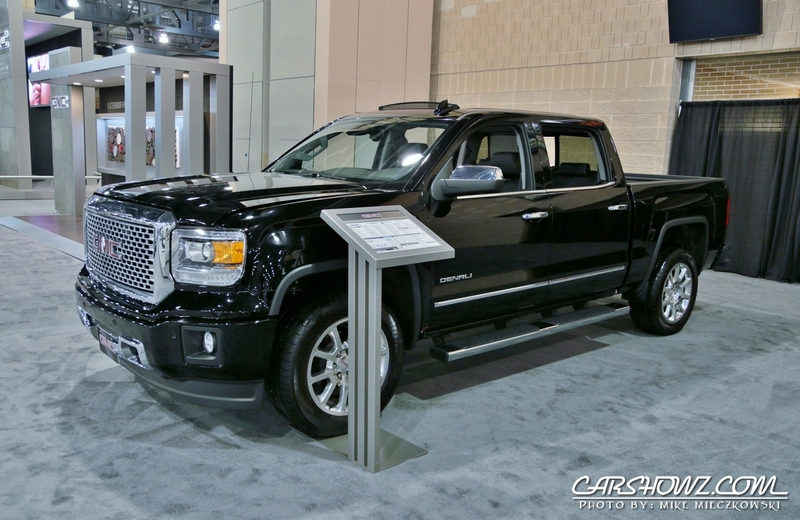 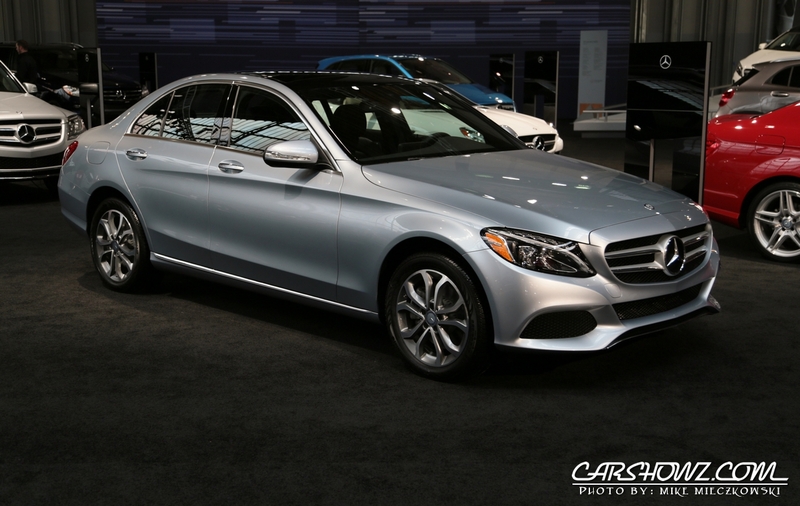 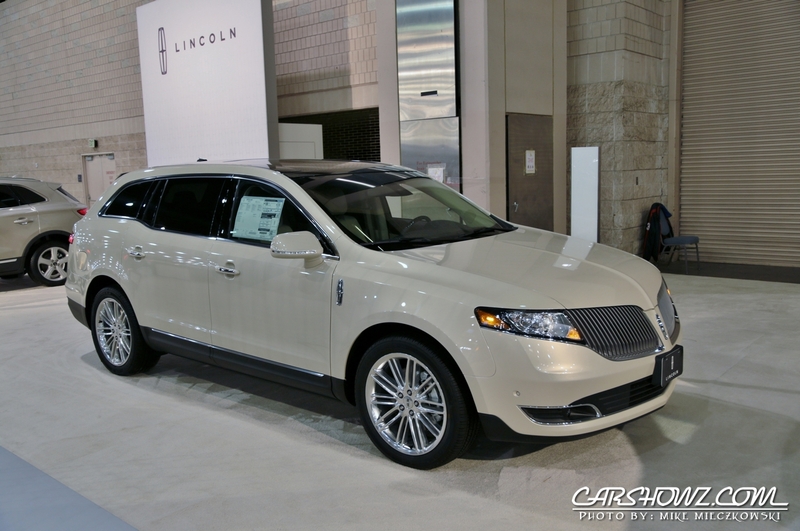 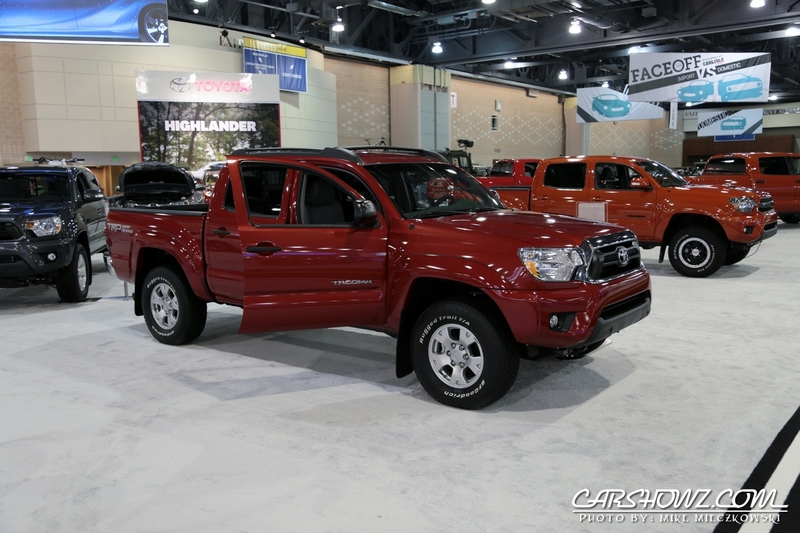 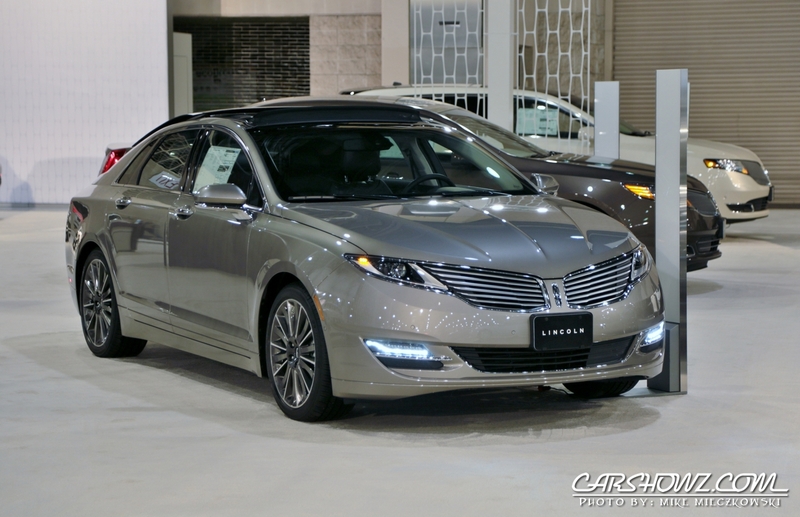 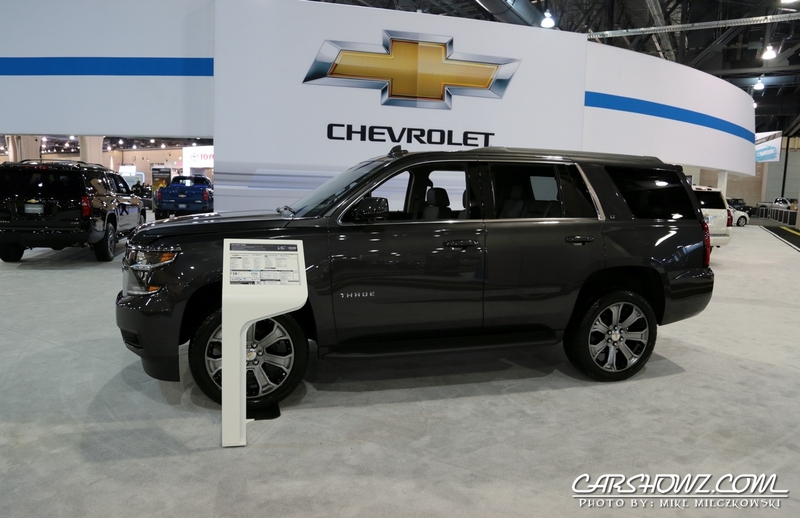 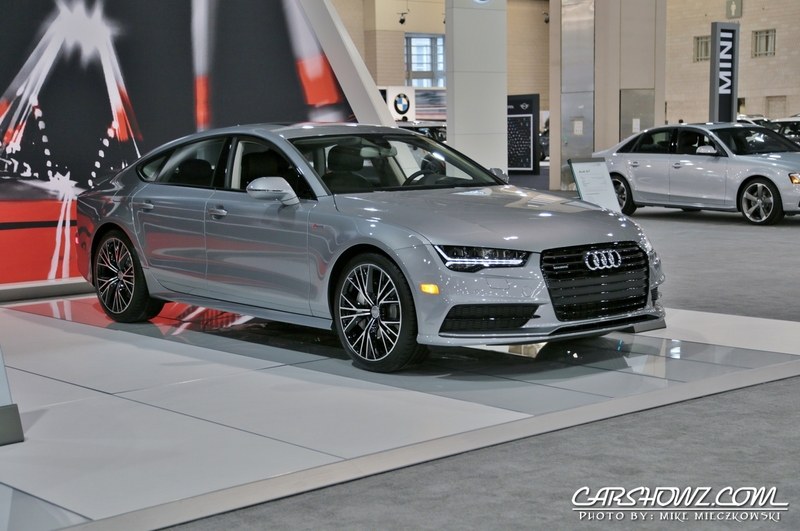 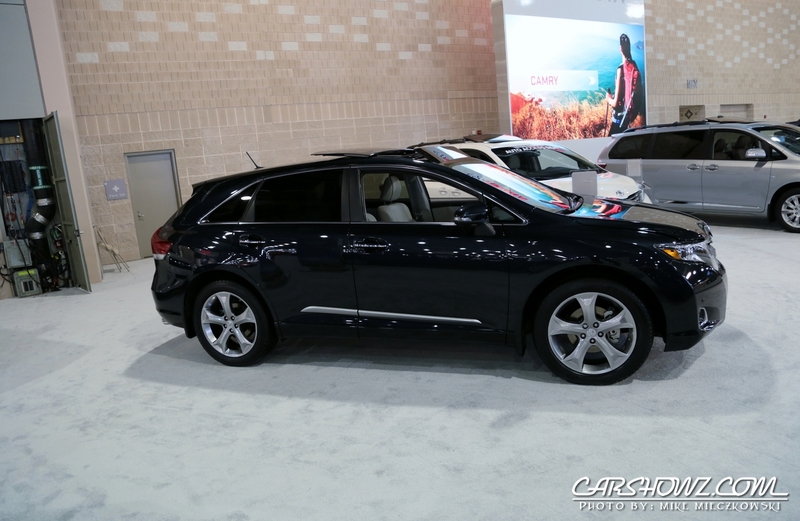 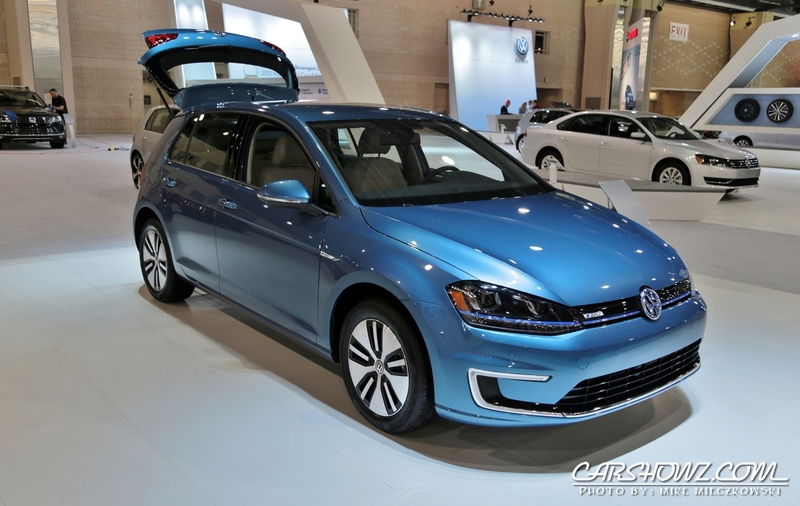 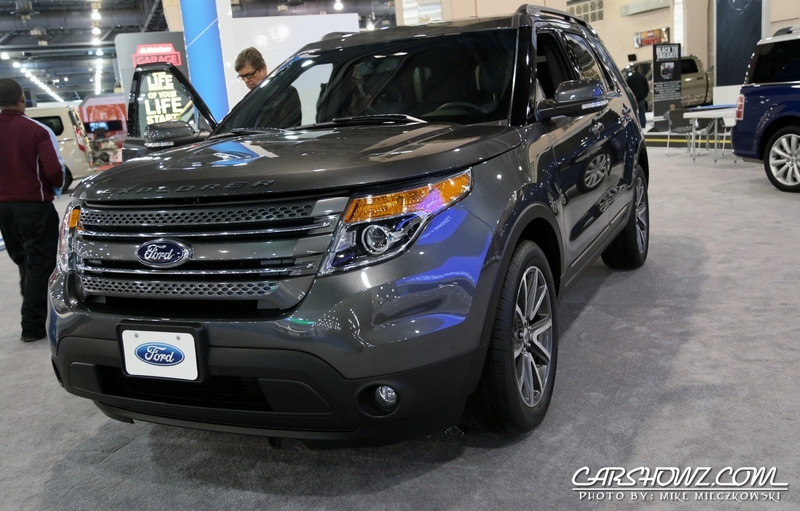 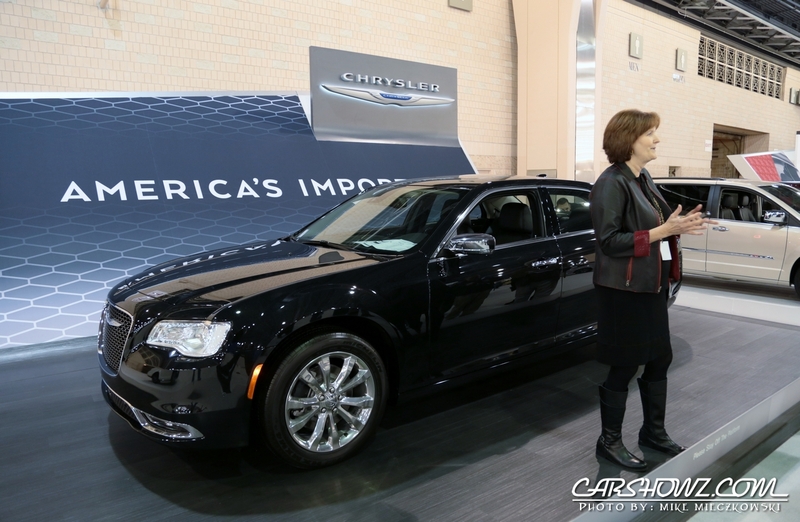 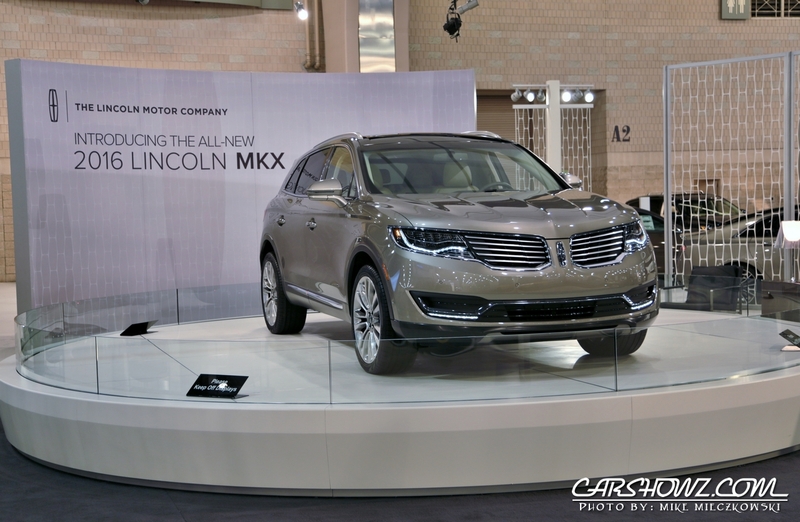 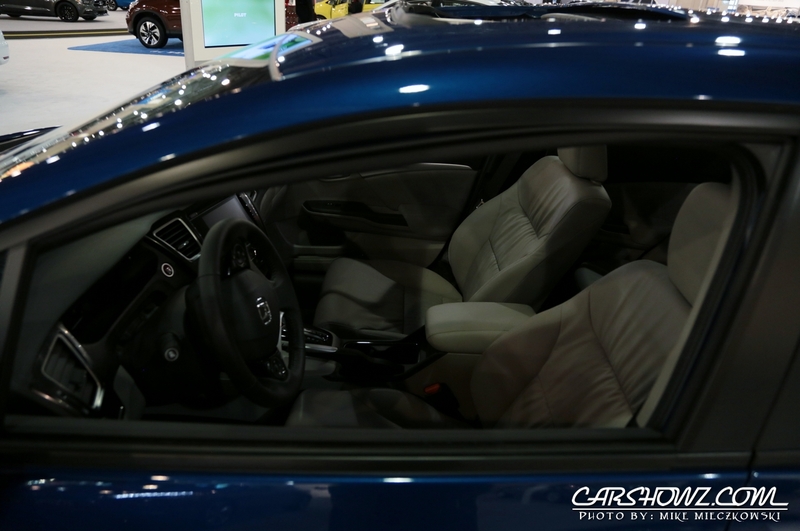 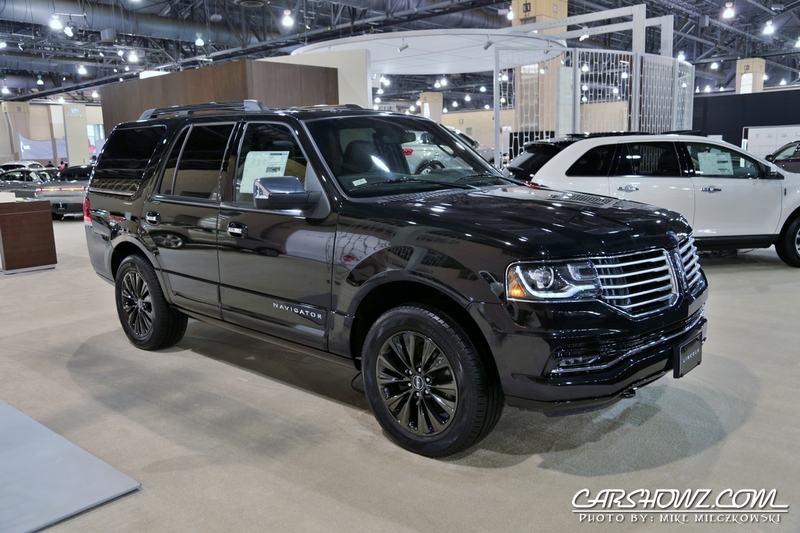 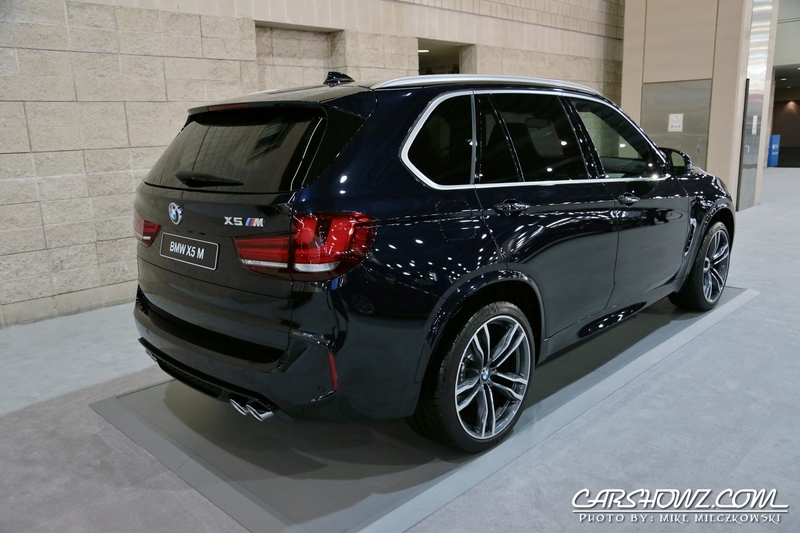 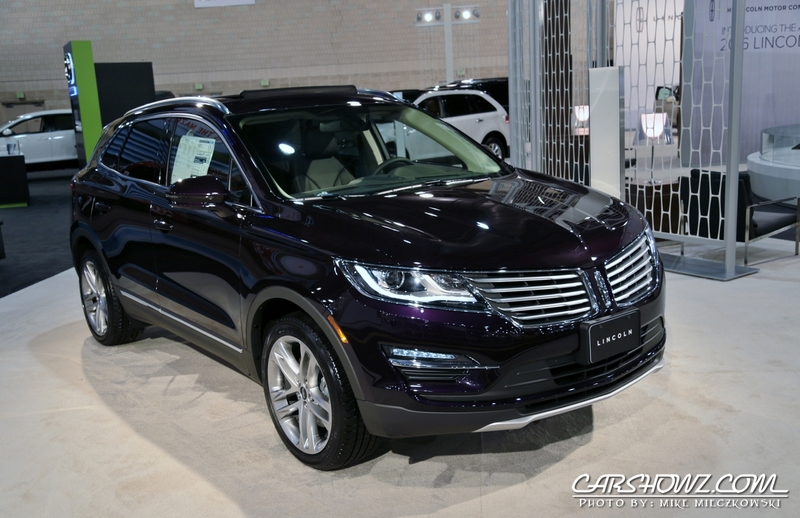 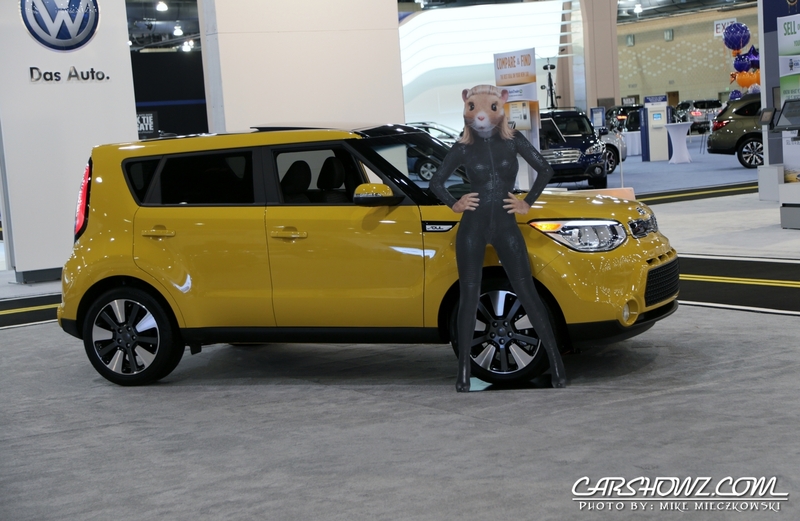 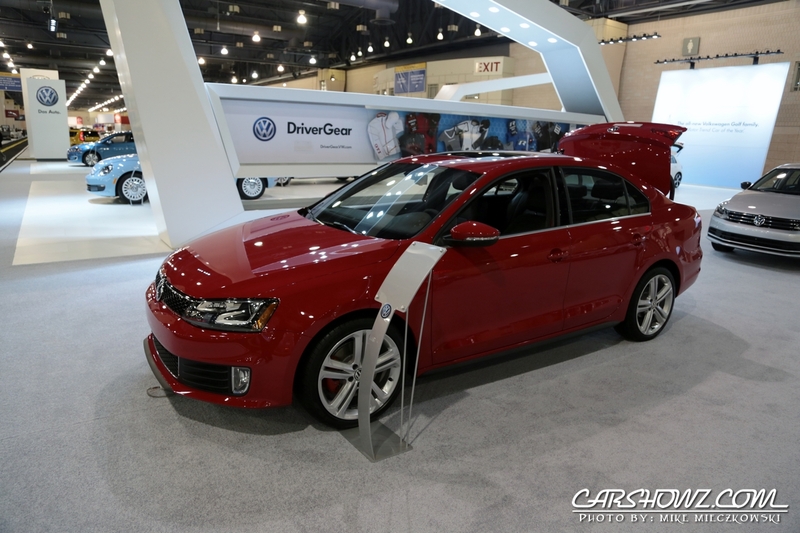 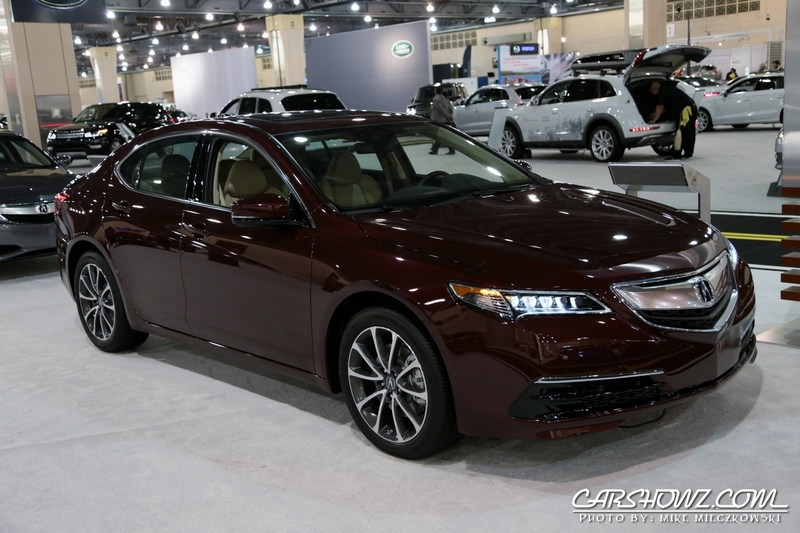 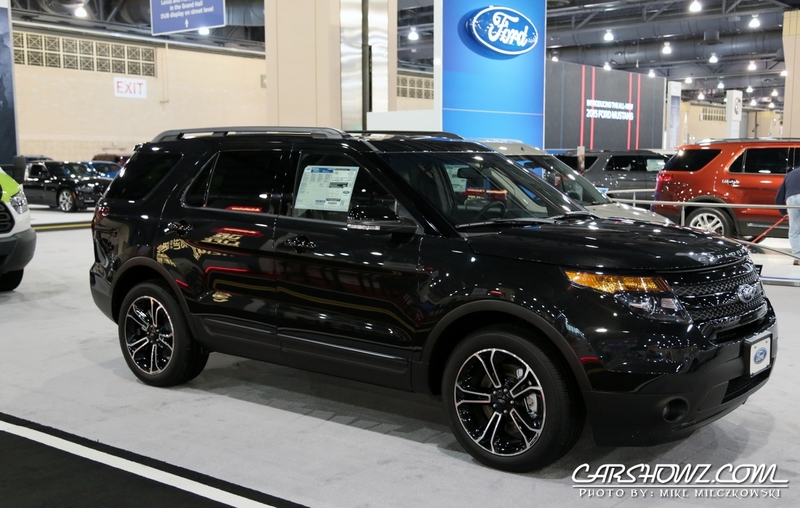 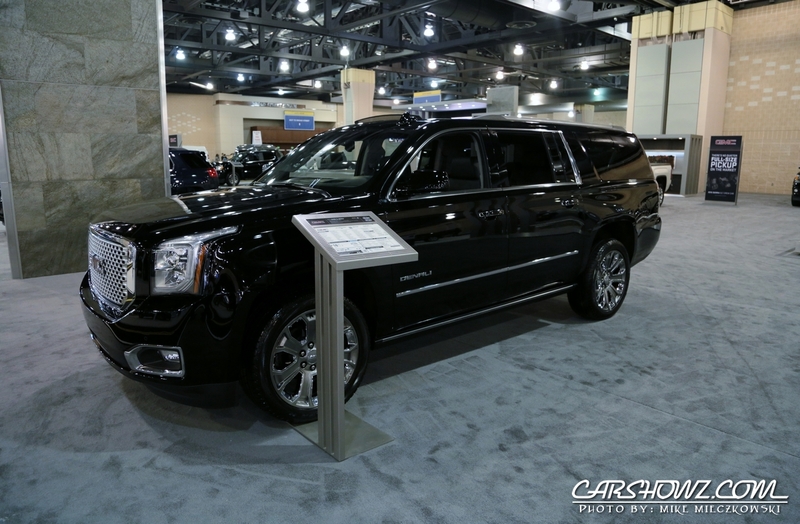 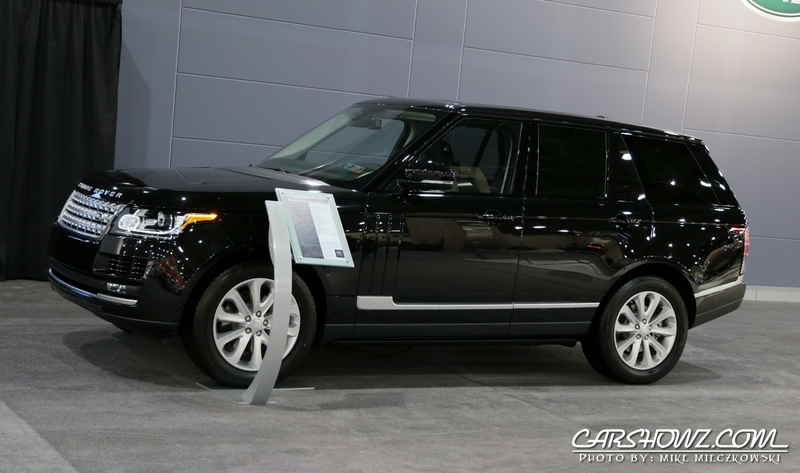 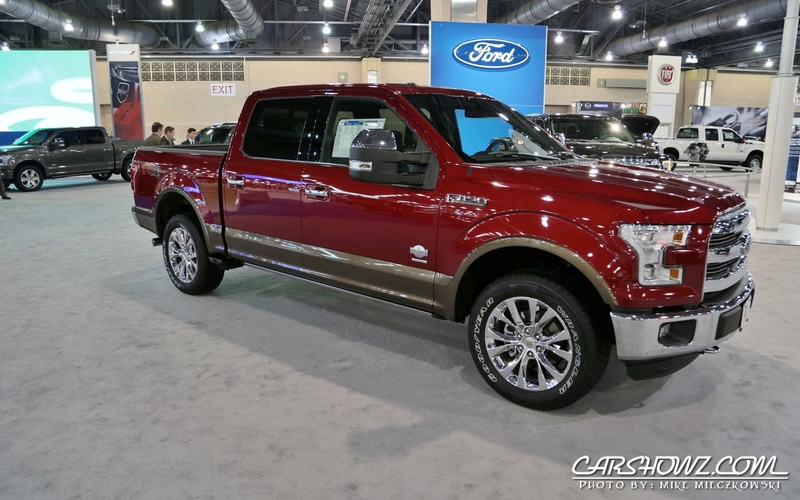 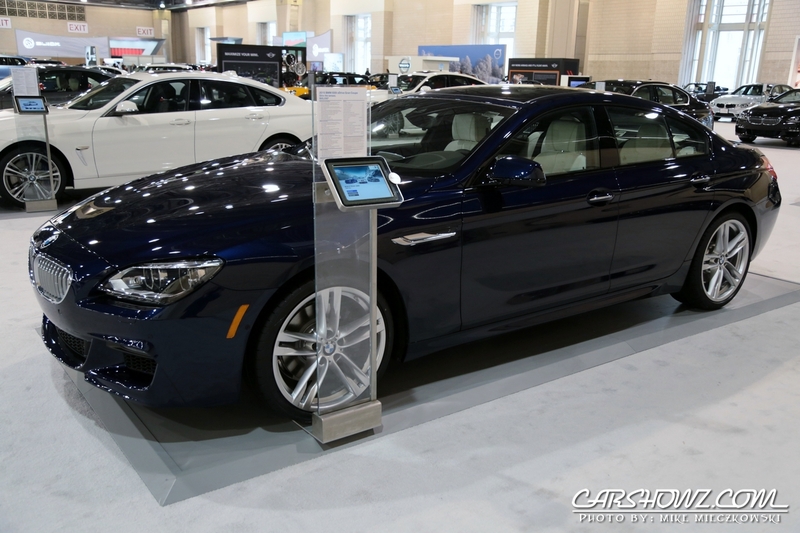 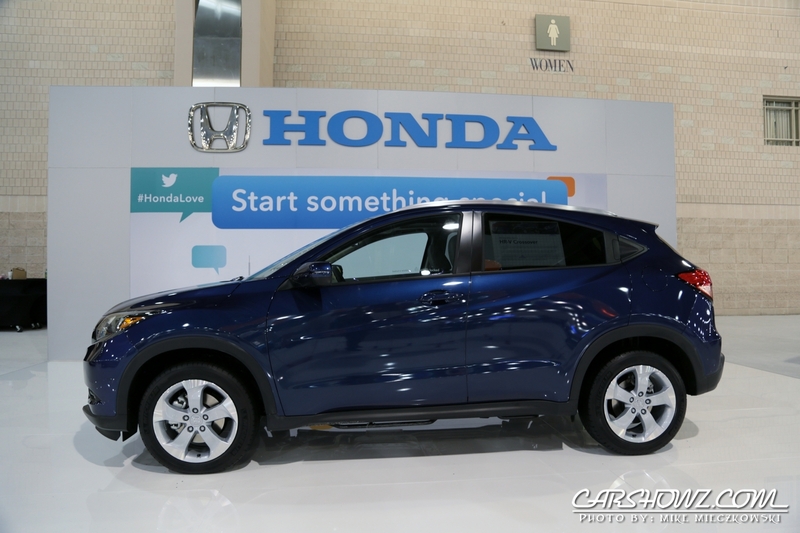 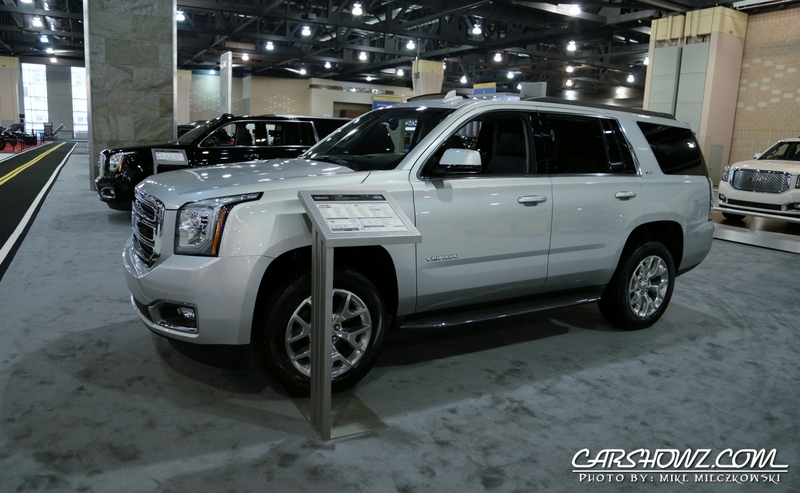 The 2015 Philadelphia Auto Show kicked off with a media-only event on January 30th. 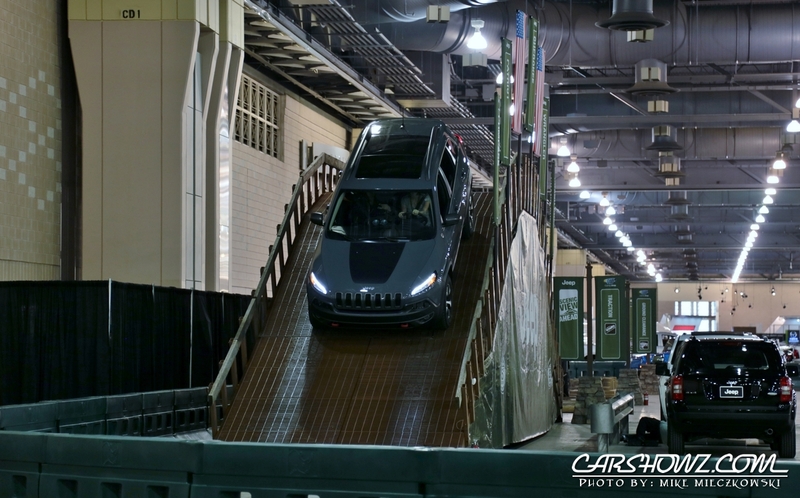 This allowed members of the media early access with little to no crowds. 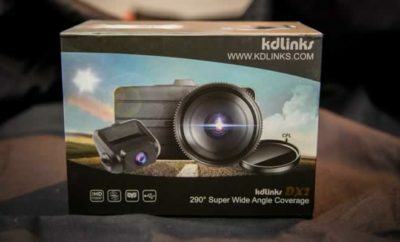 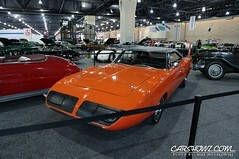 I was in attendance to see what the show had to offer. 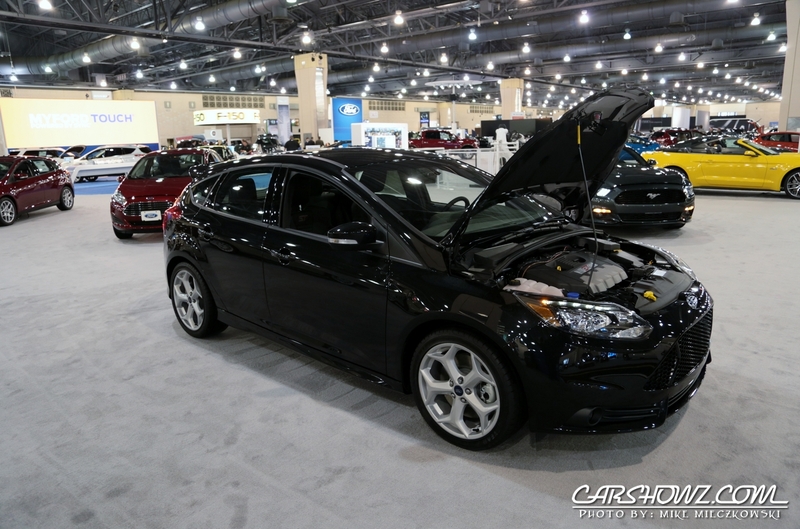 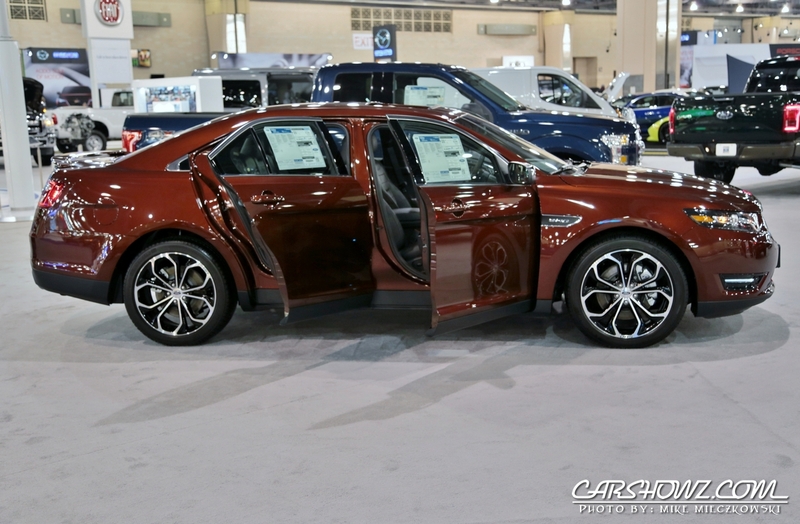 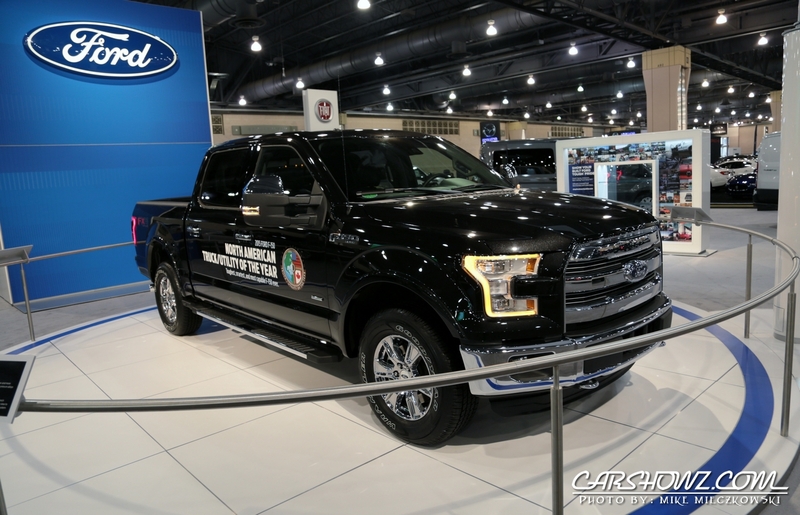 The 2015 Philadelphia Auto Show is open to the public from January 31st through February 8th and is host to the newest creations from major automotive manufacturers. 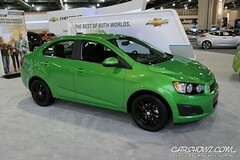 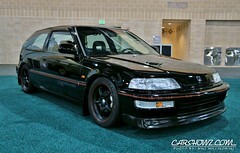 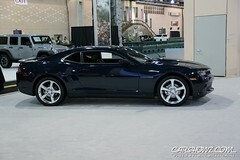 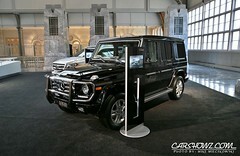 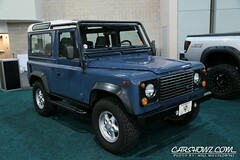 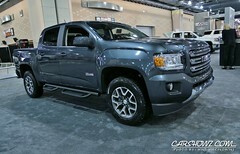 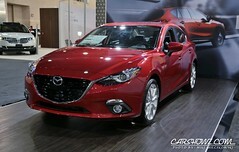 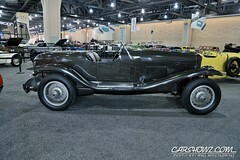 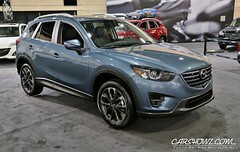 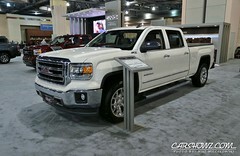 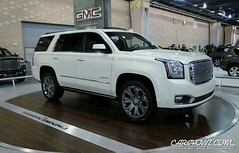 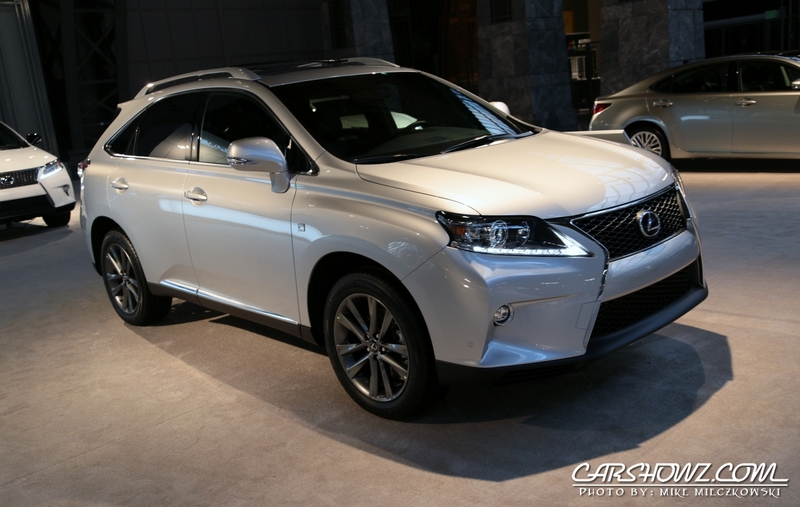 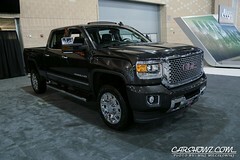 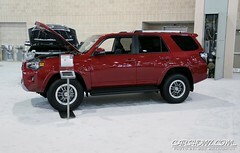 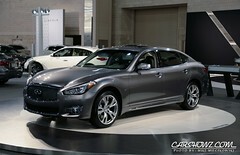 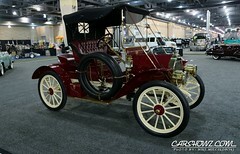 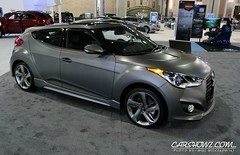 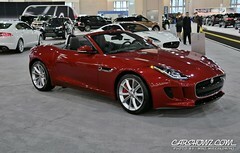 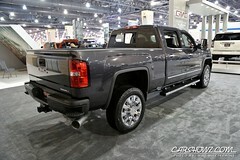 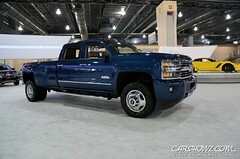 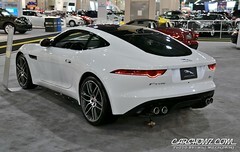 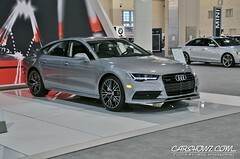 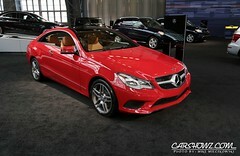 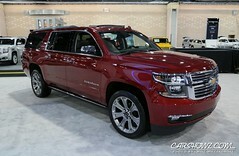 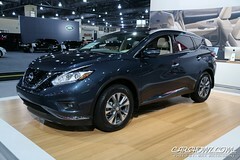 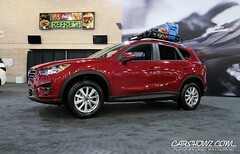 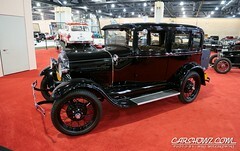 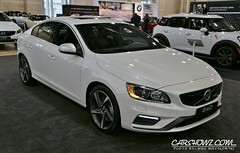 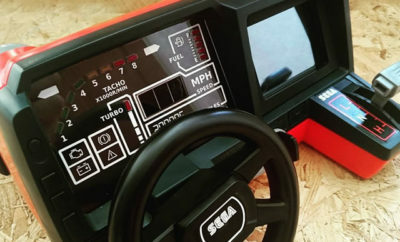 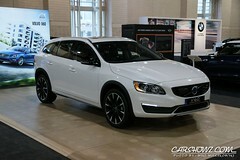 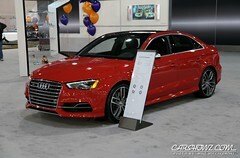 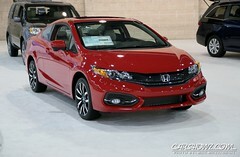 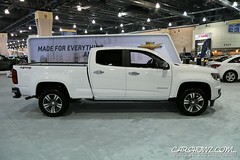 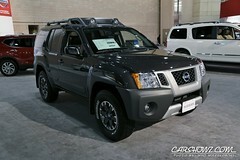 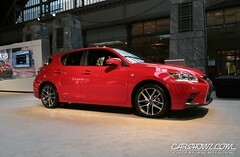 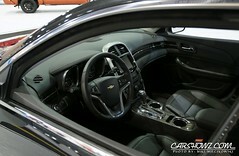 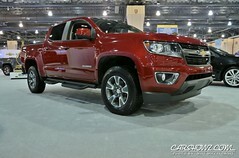 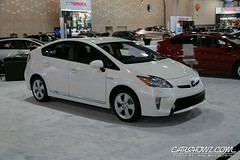 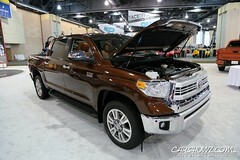 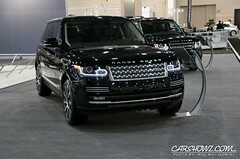 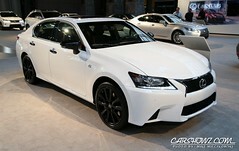 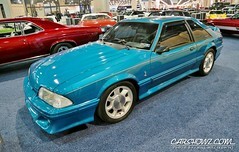 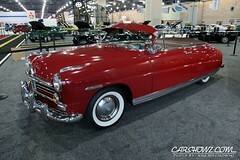 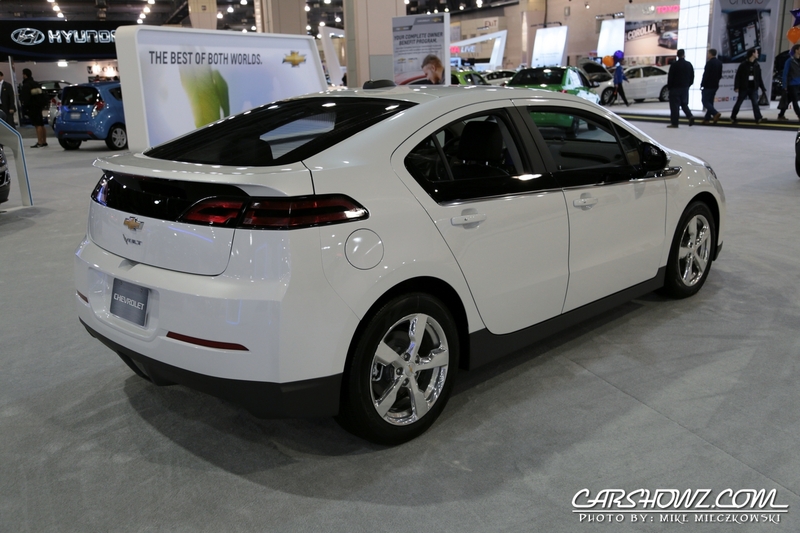 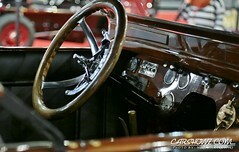 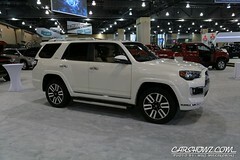 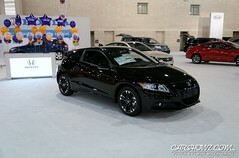 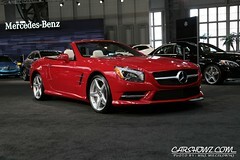 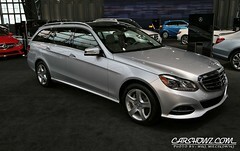 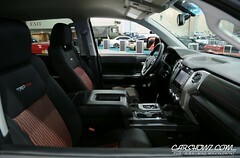 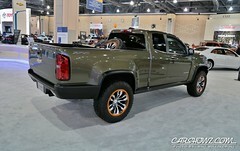 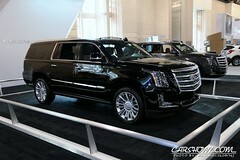 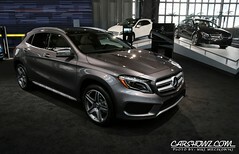 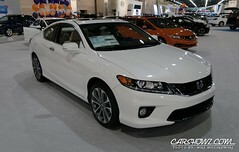 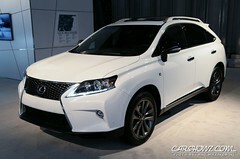 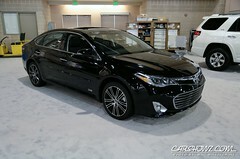 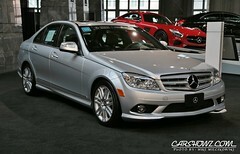 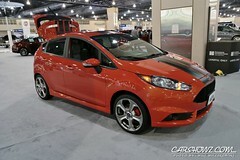 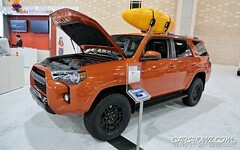 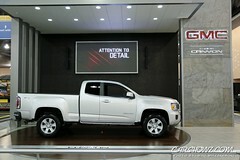 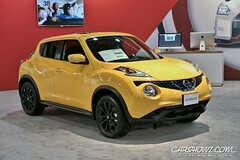 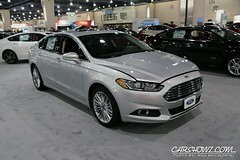 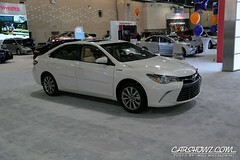 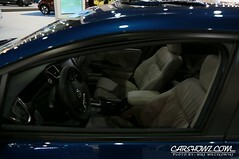 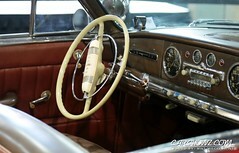 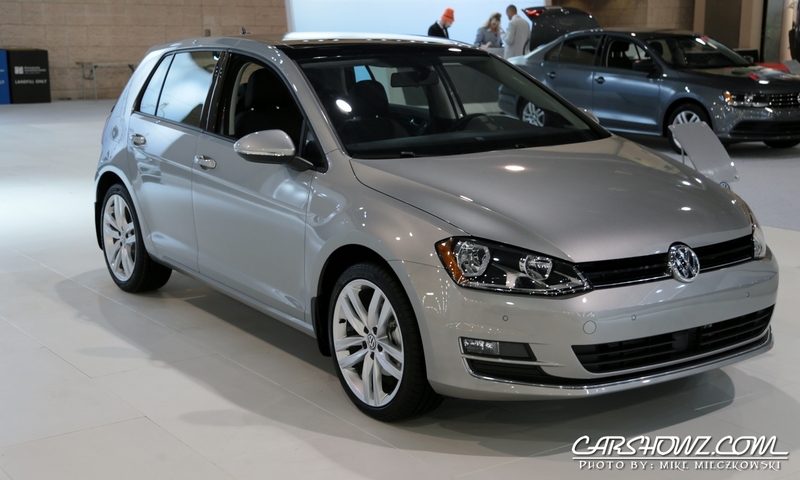 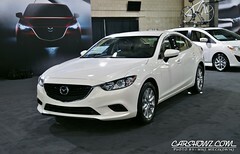 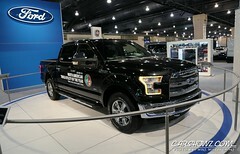 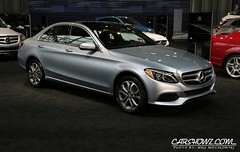 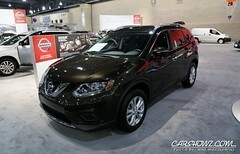 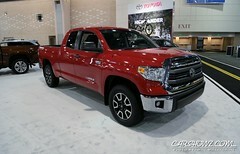 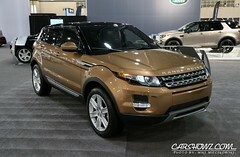 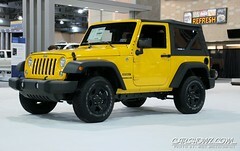 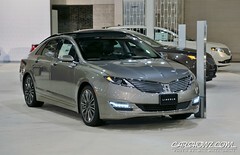 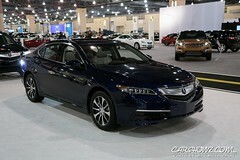 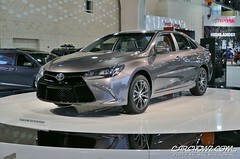 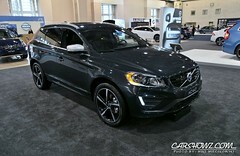 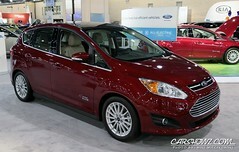 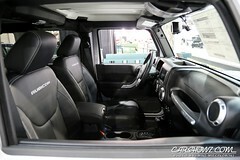 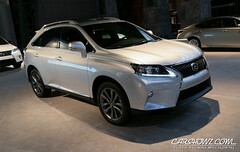 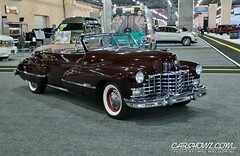 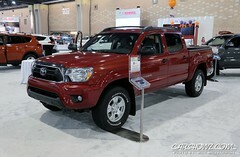 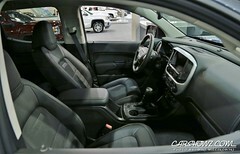 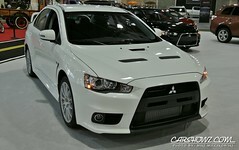 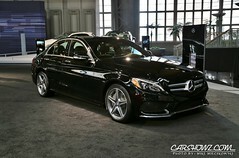 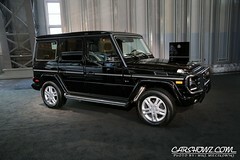 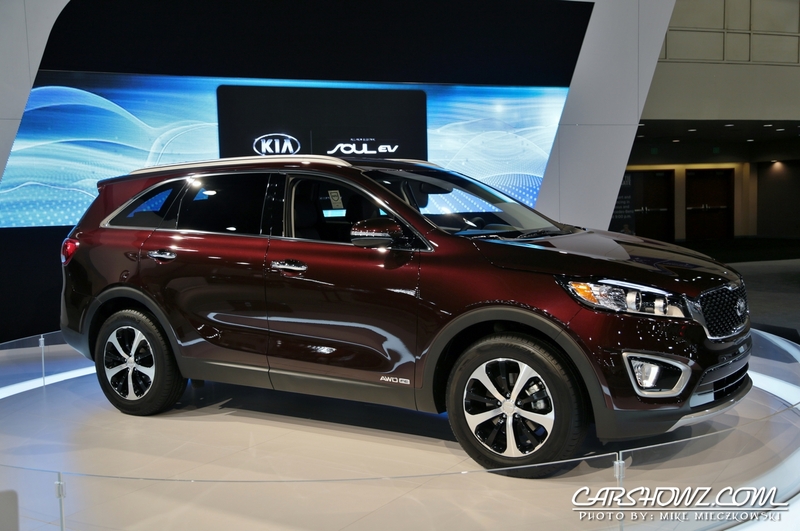 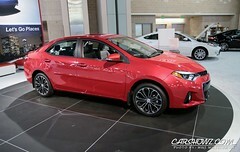 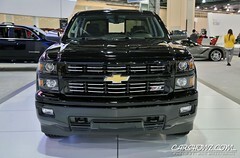 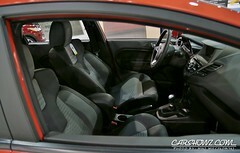 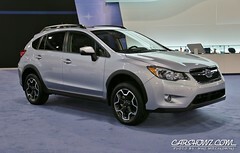 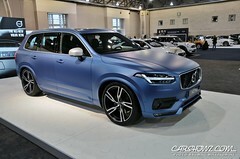 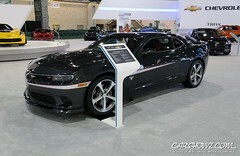 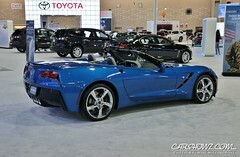 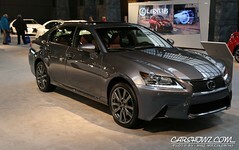 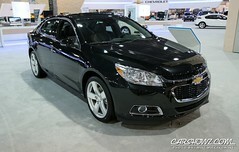 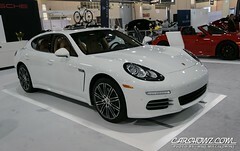 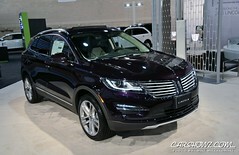 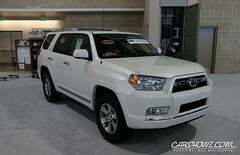 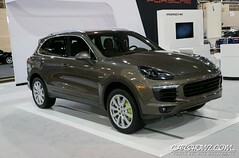 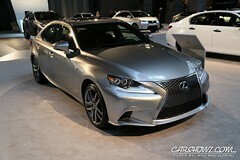 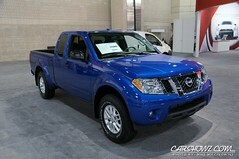 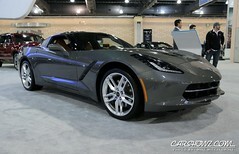 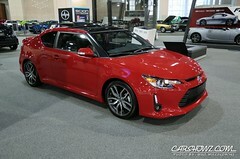 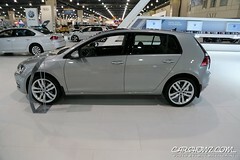 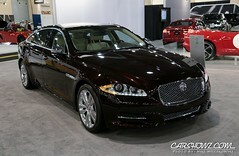 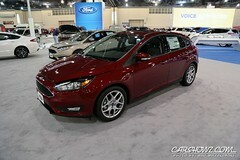 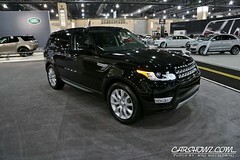 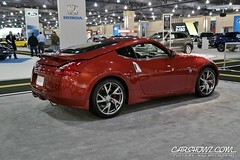 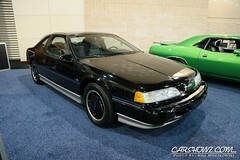 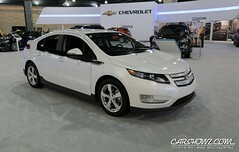 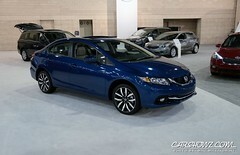 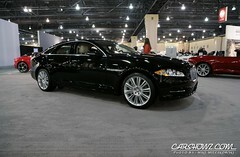 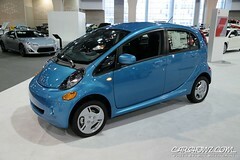 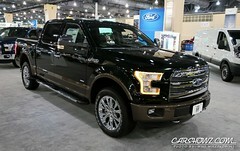 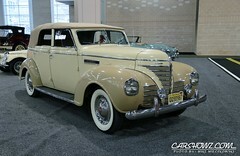 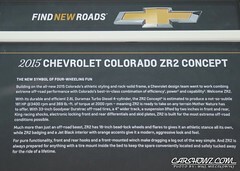 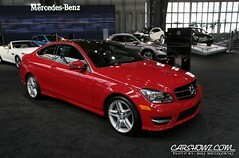 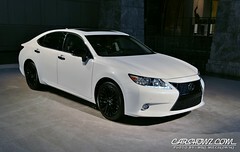 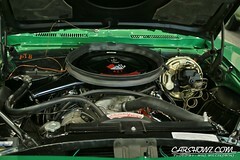 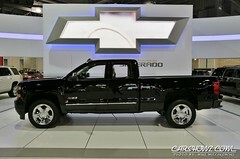 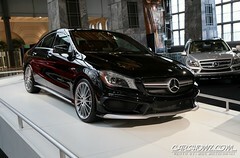 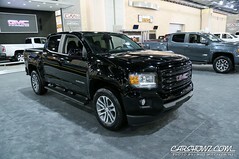 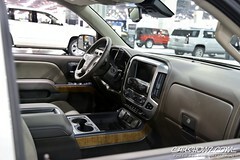 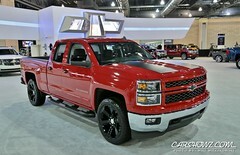 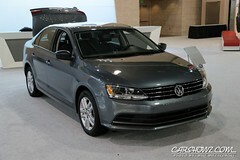 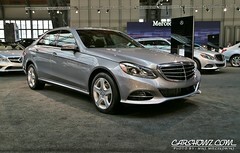 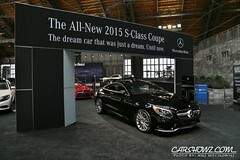 There were plenty of new or redesigned models on hand from most of the major automotive manufacturers. 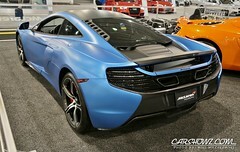 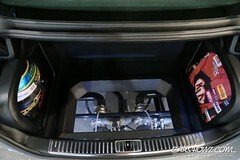 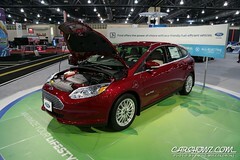 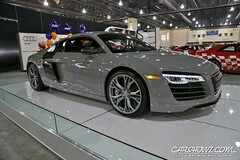 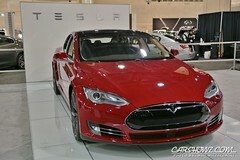 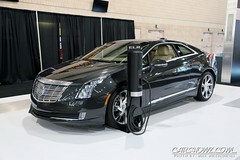 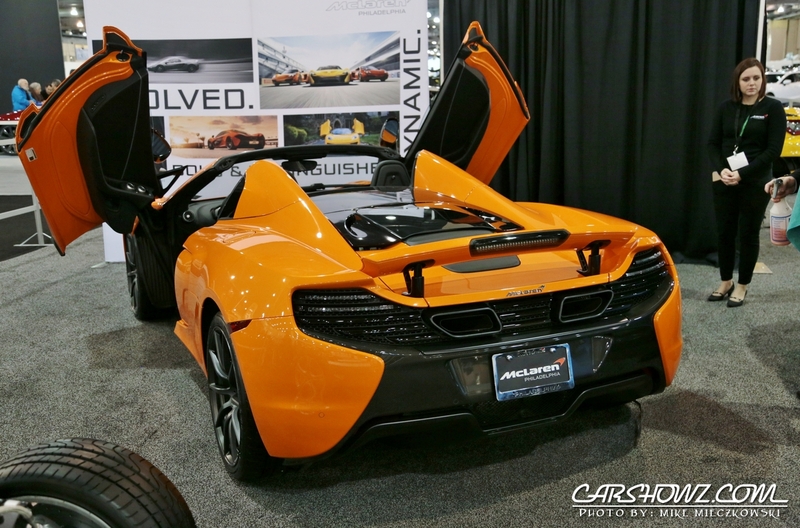 Everything from fully electric vehicles to exotics were on display showing off their newest tech innovations. 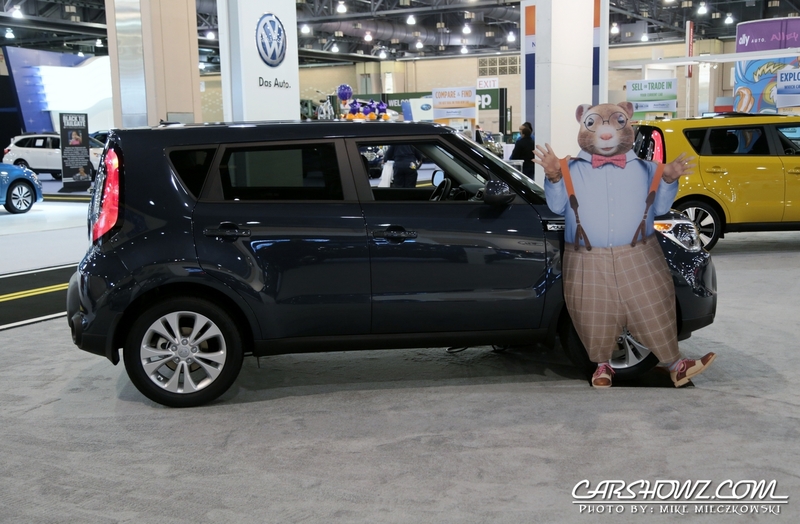 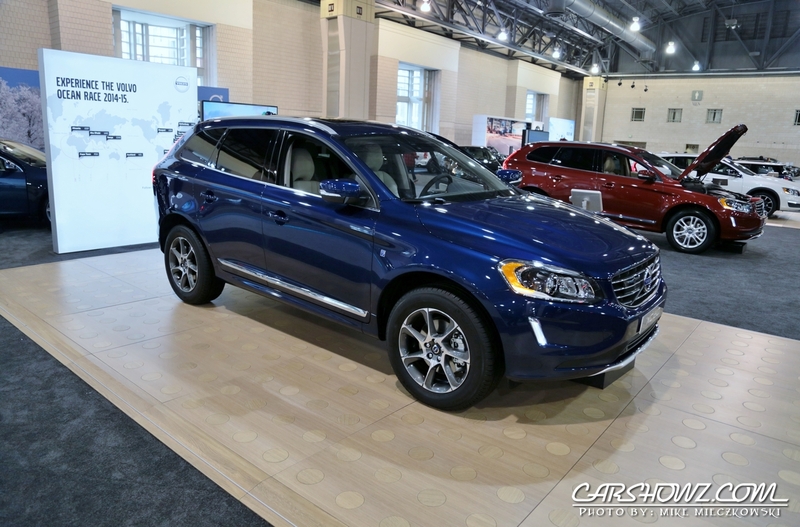 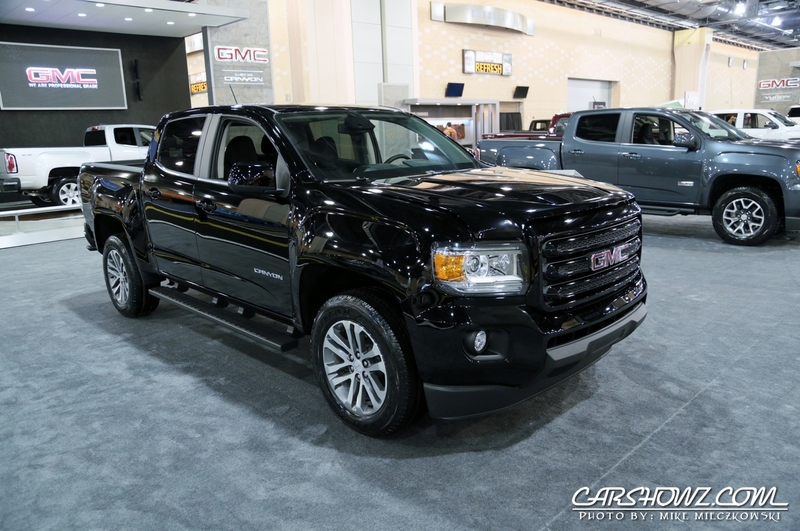 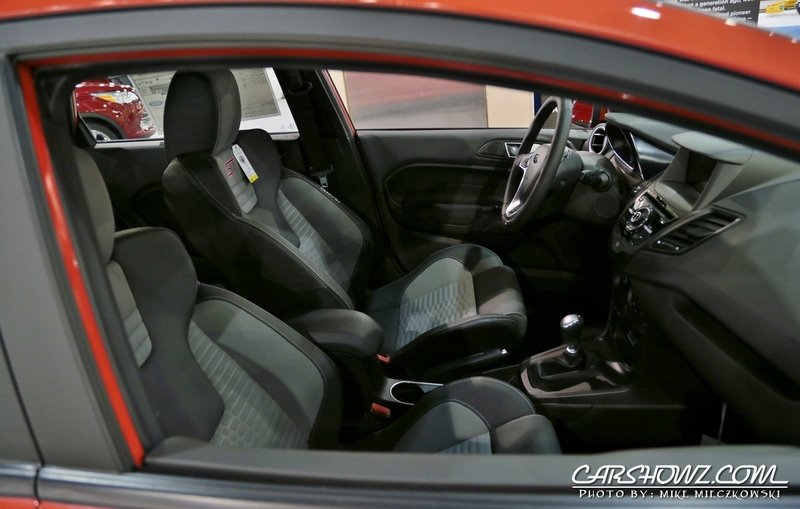 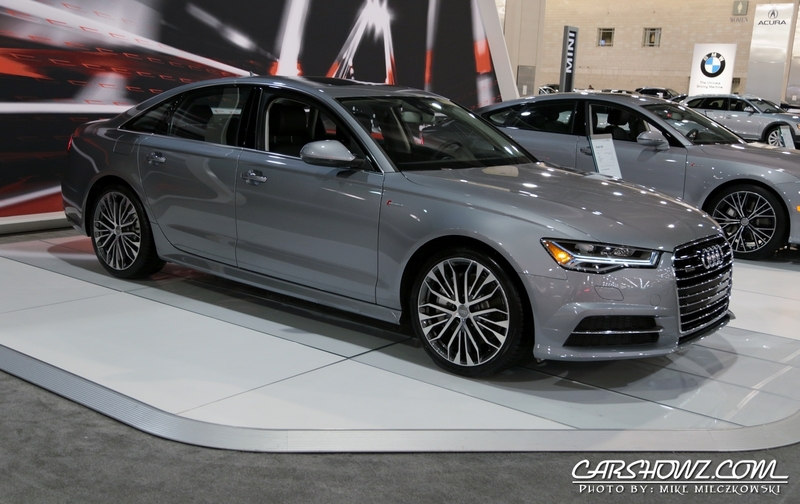 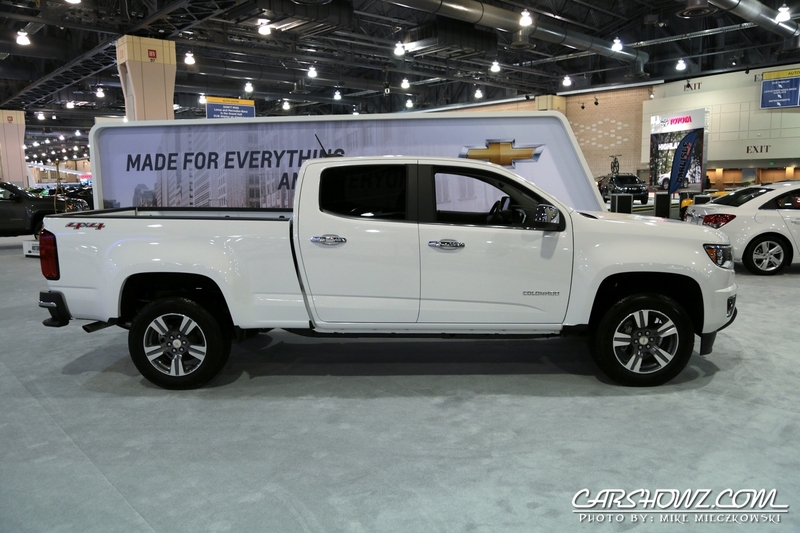 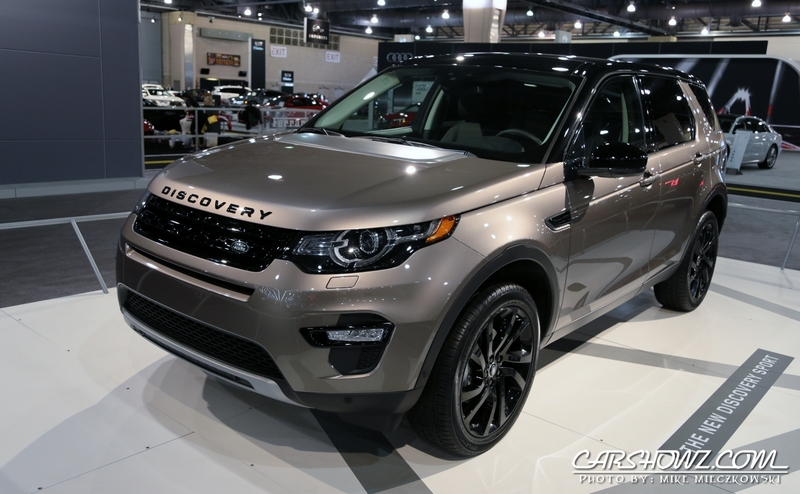 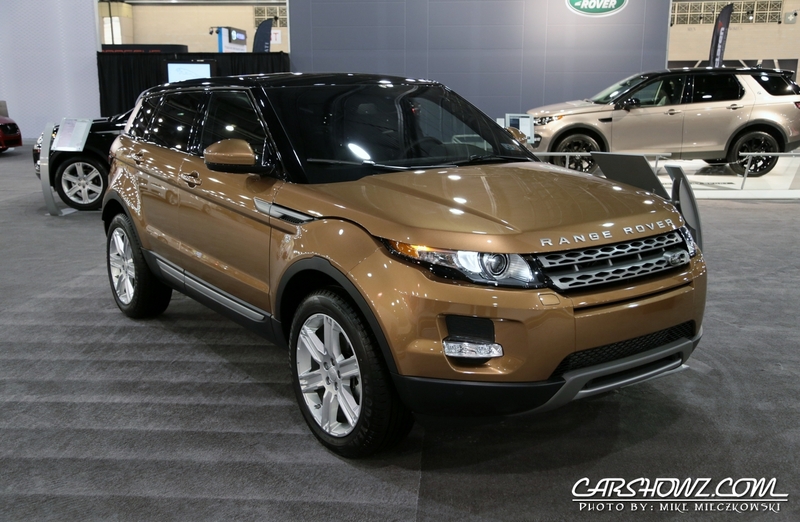 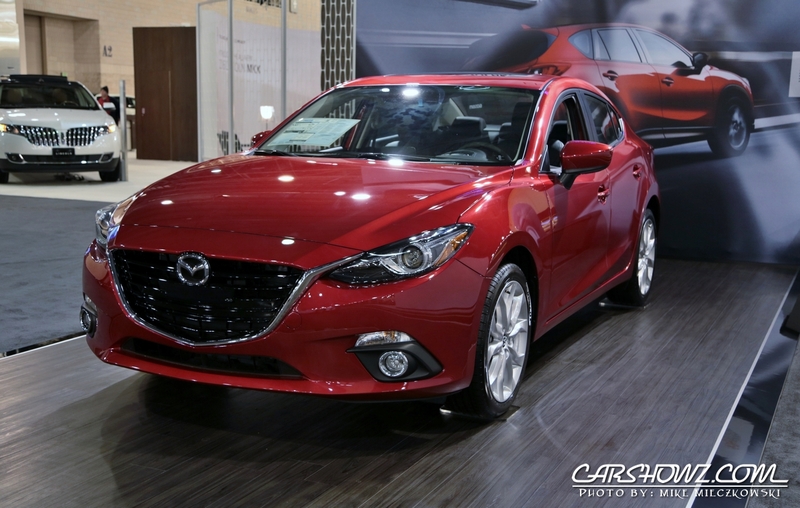 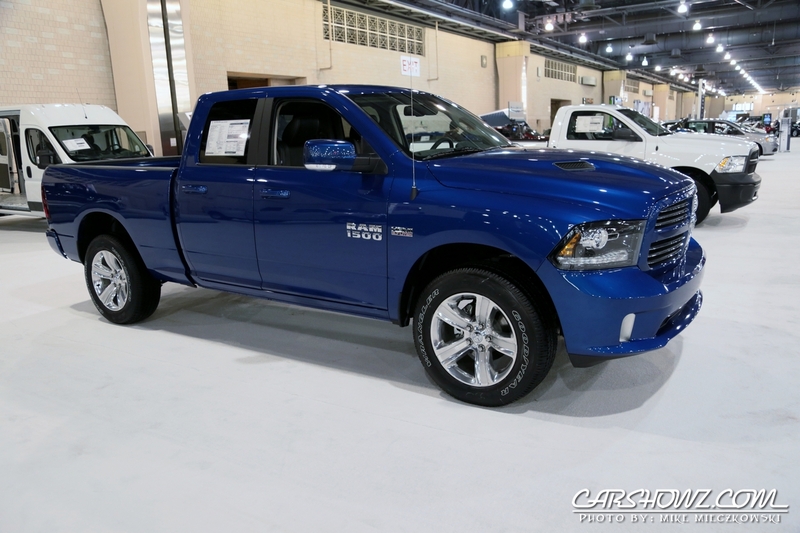 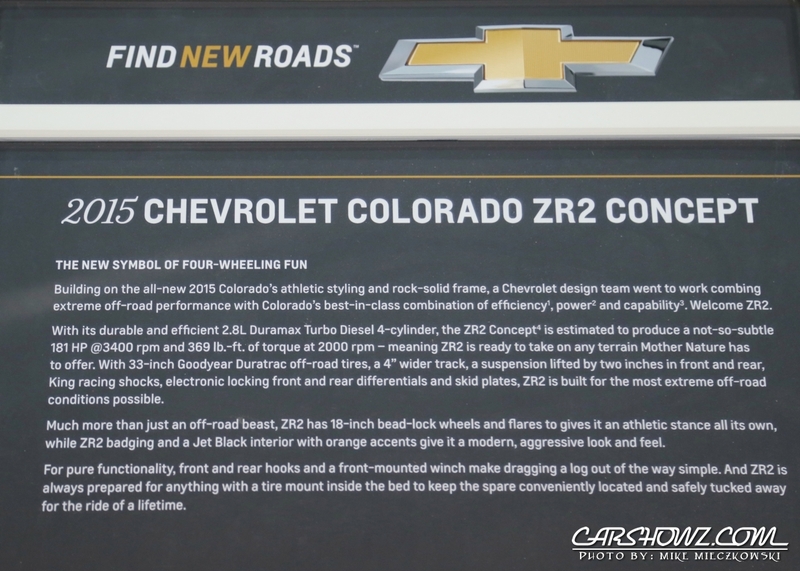 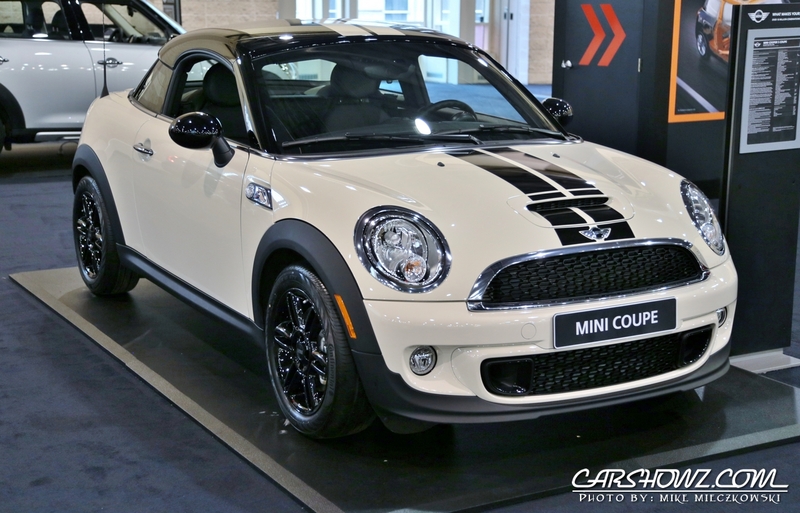 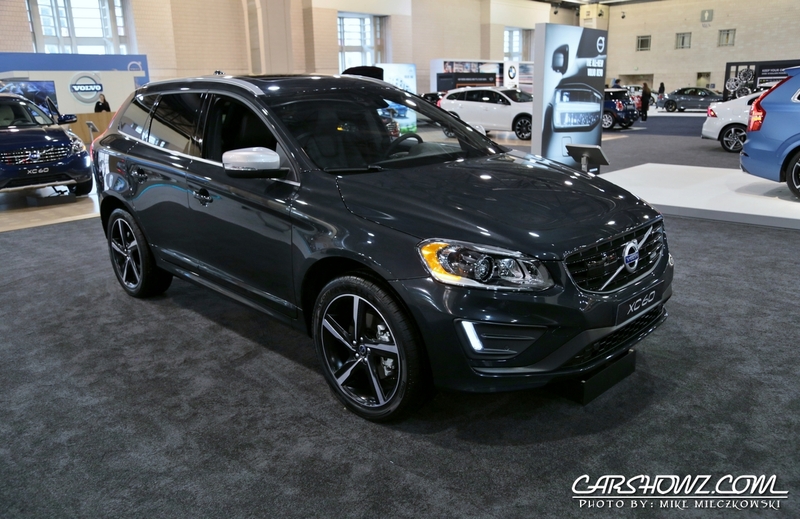 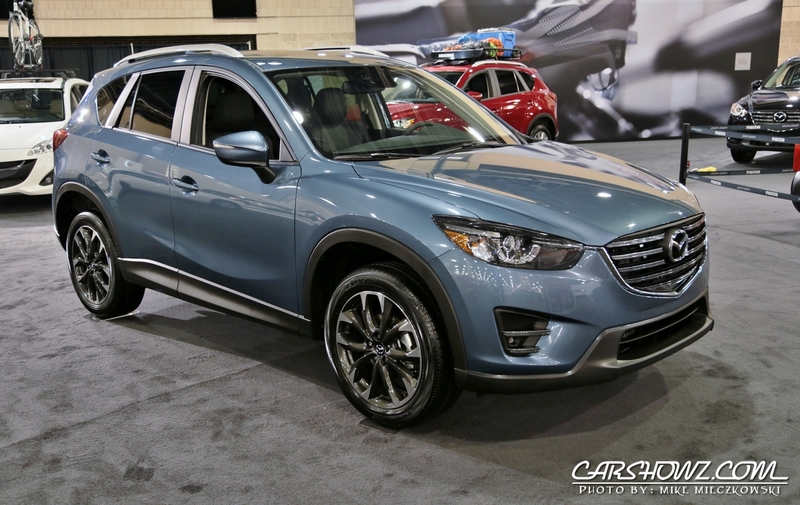 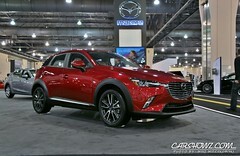 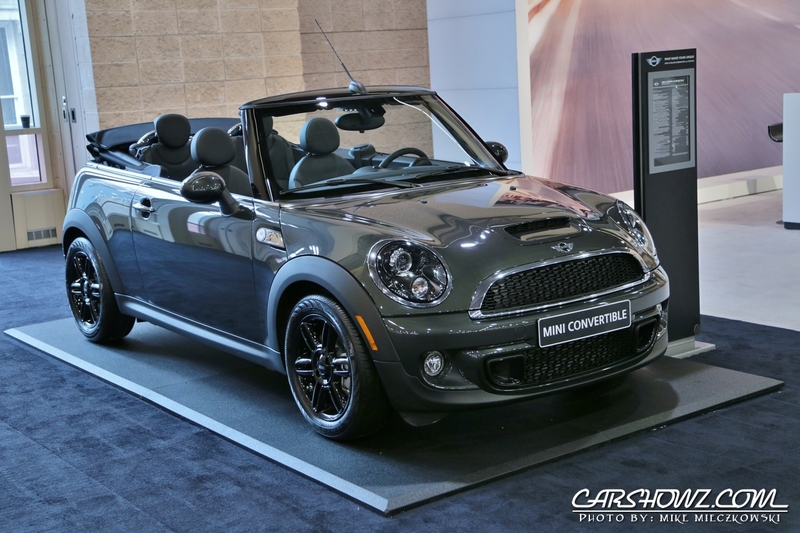 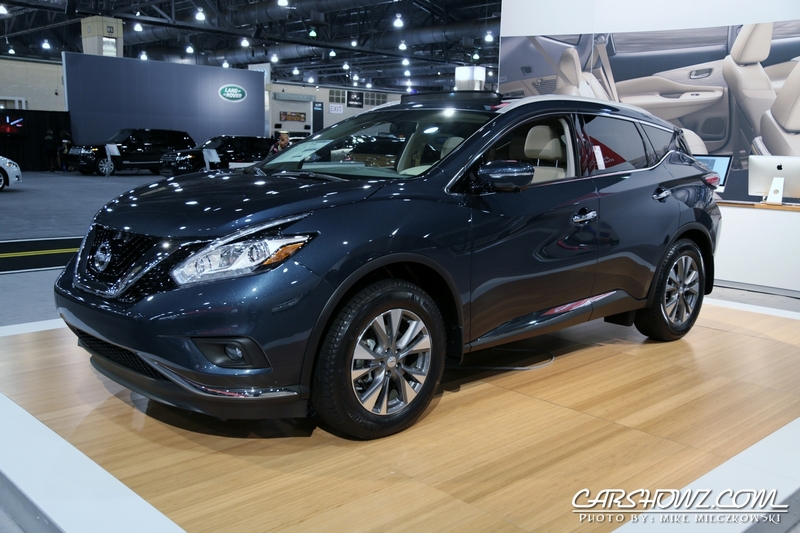 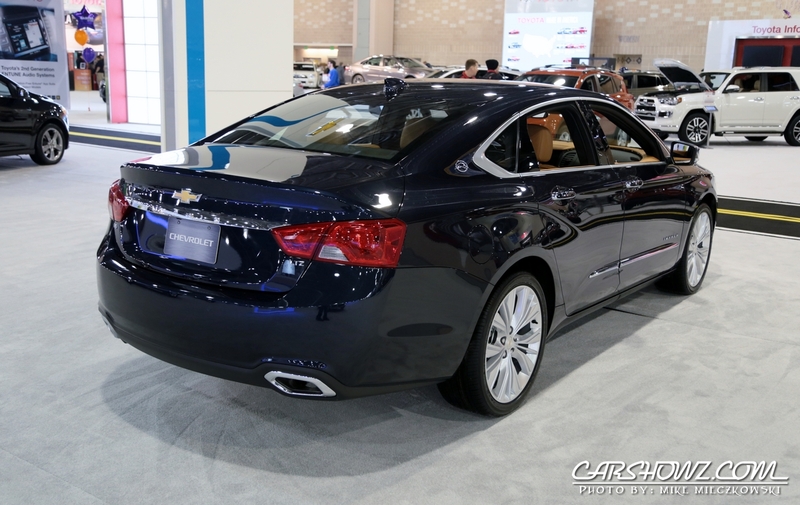 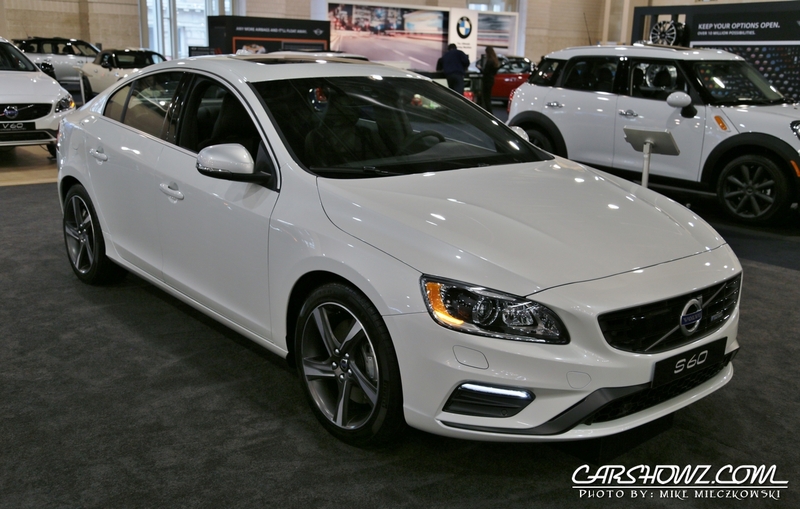 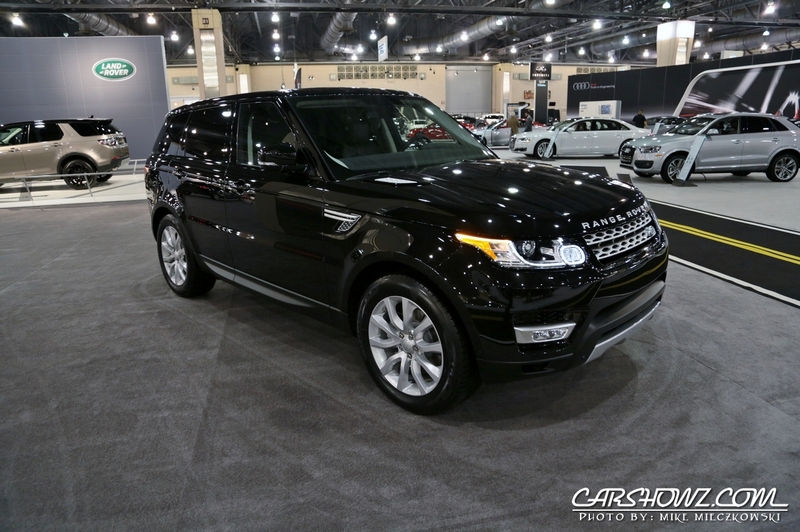 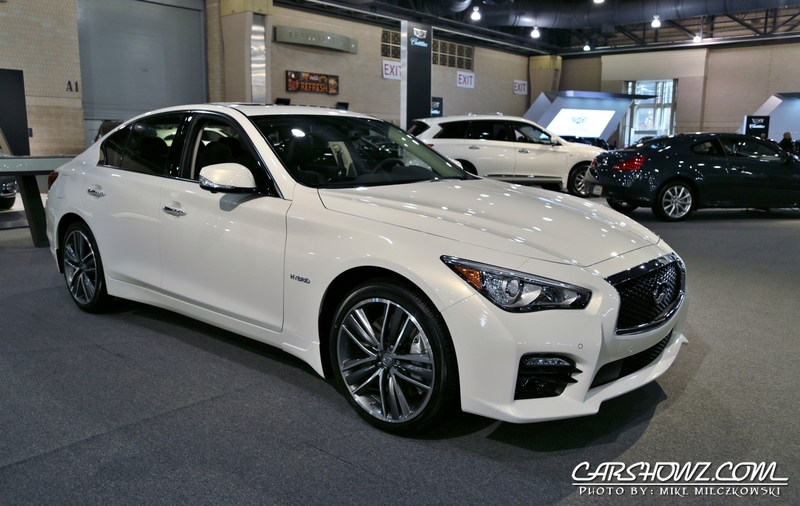 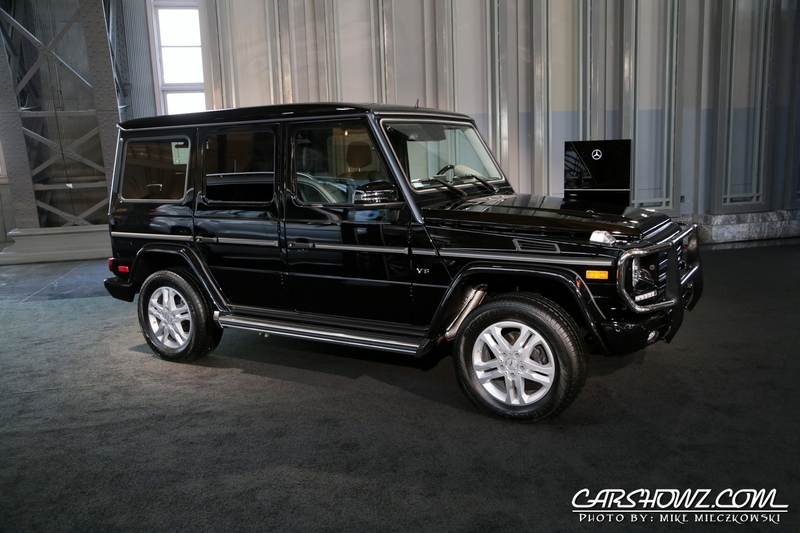 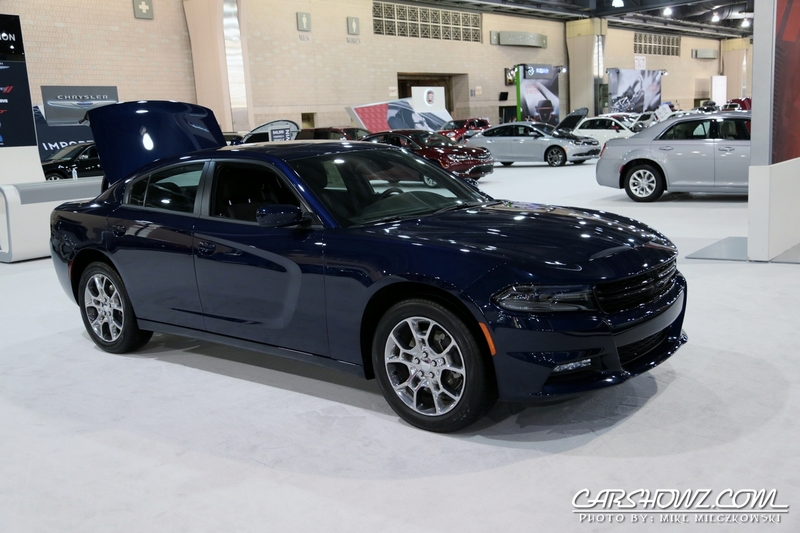 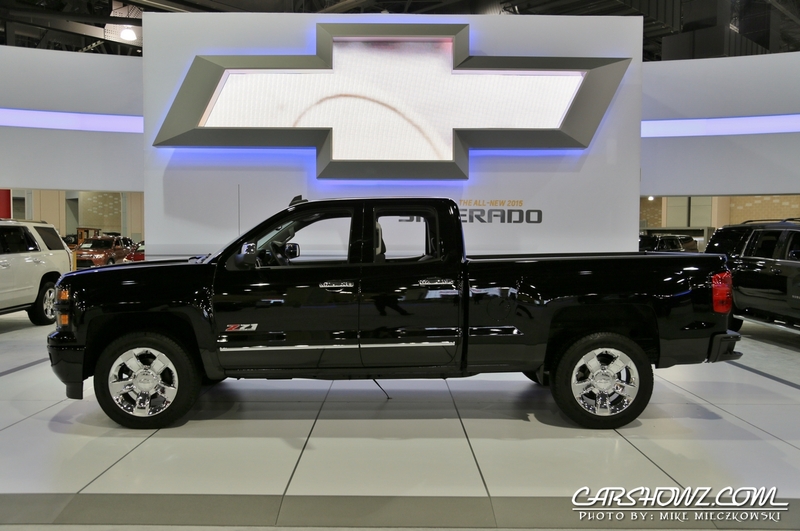 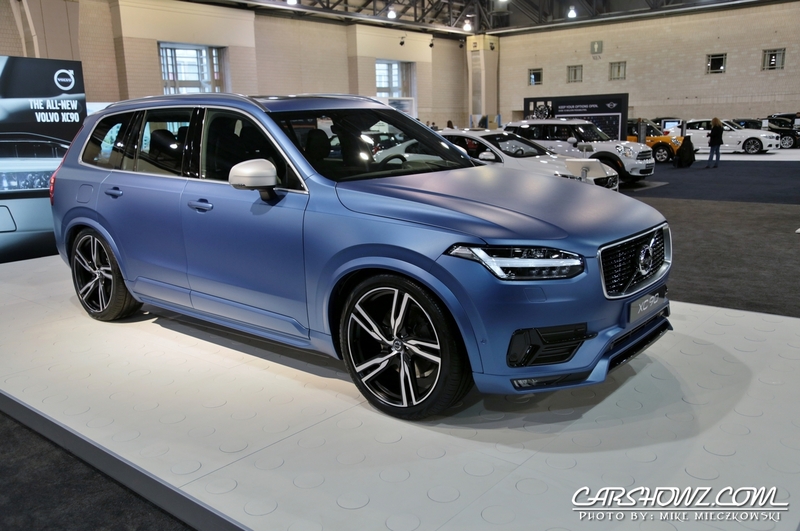 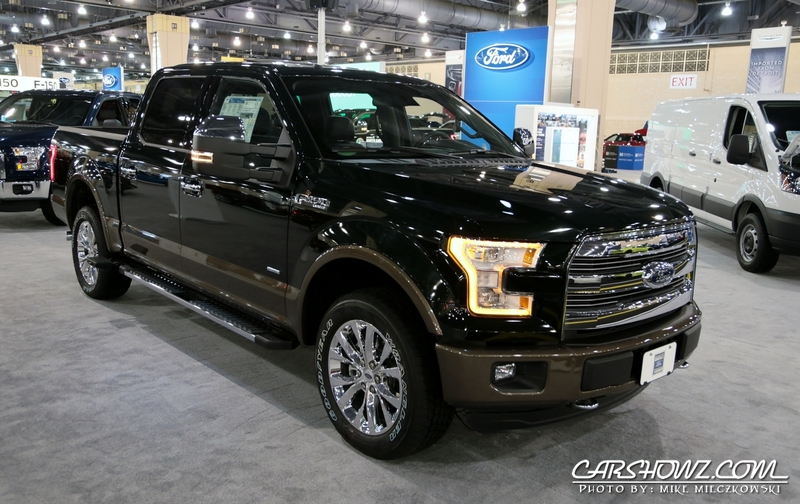 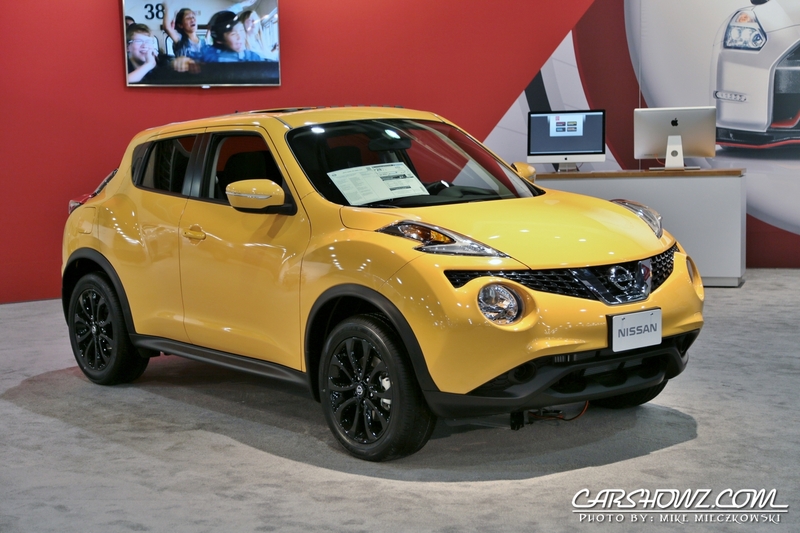 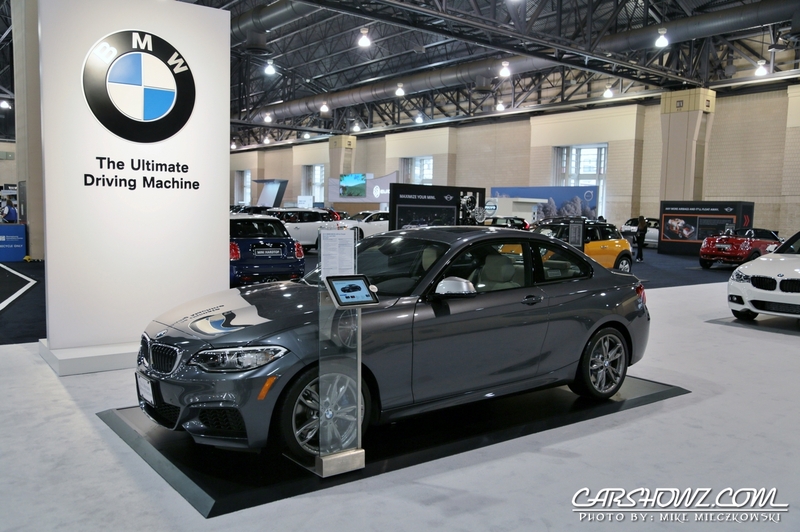 Whether you are trying to get more range out of your commute or a more exciting driving experience, it can be found at the 2015 Philadelphia Auto Show. 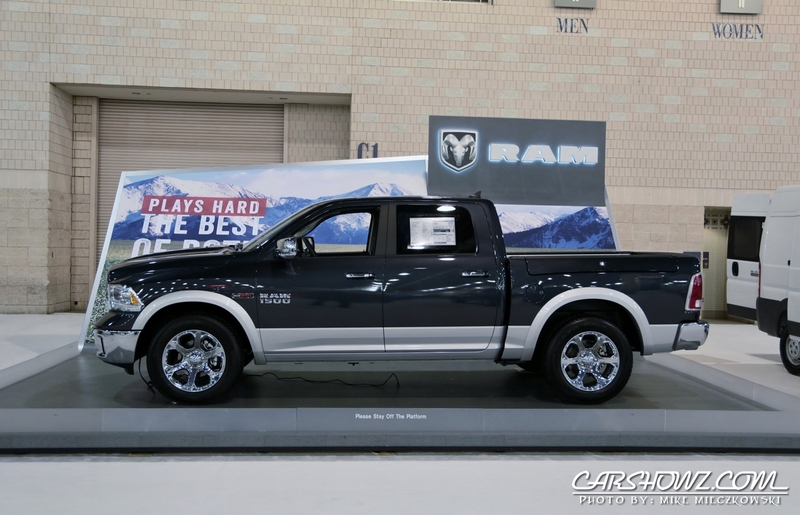 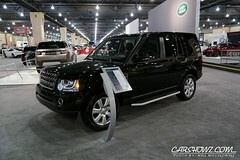 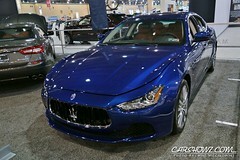 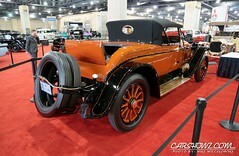 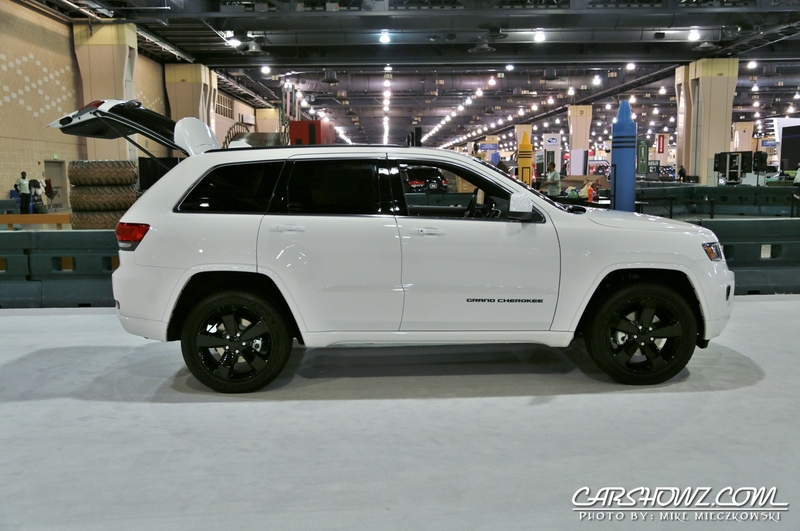 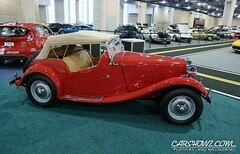 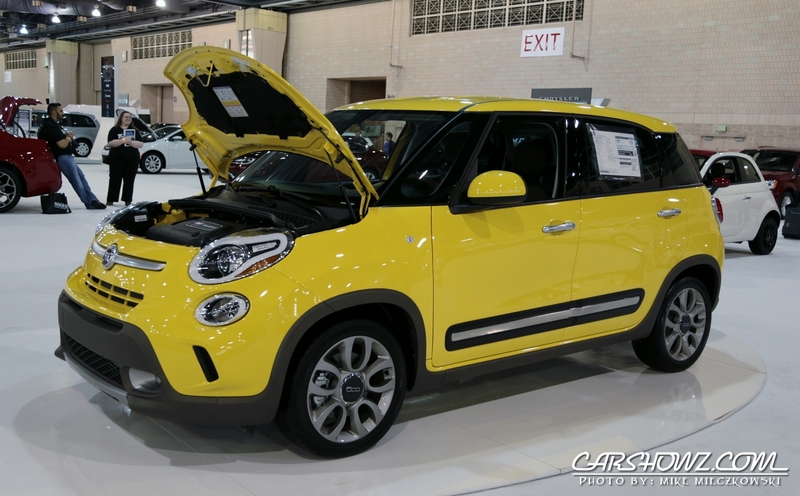 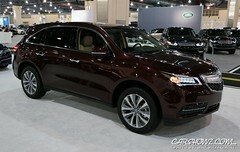 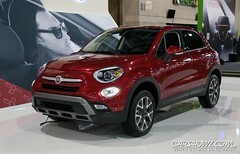 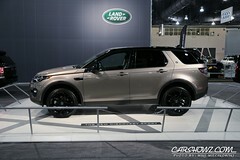 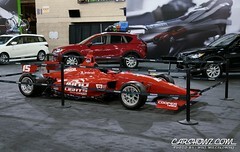 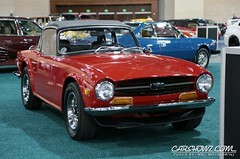 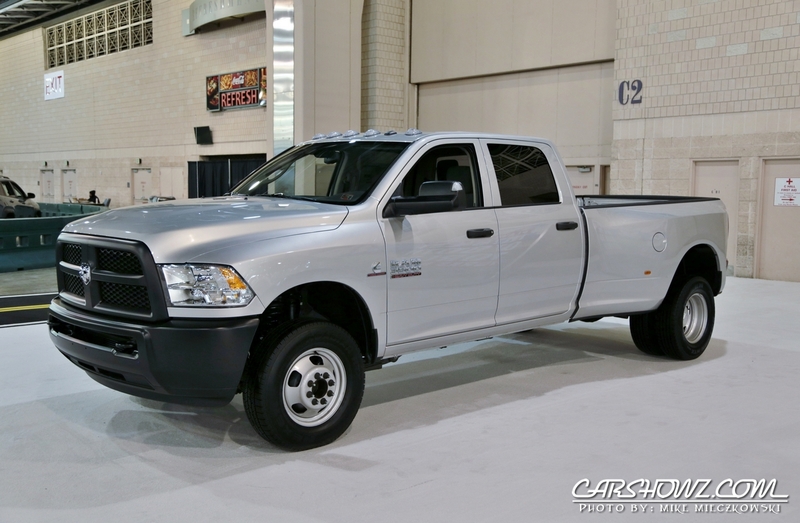 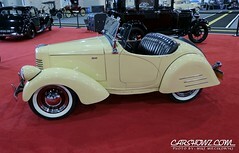 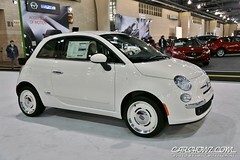 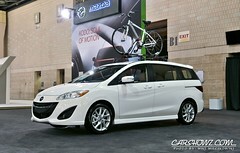 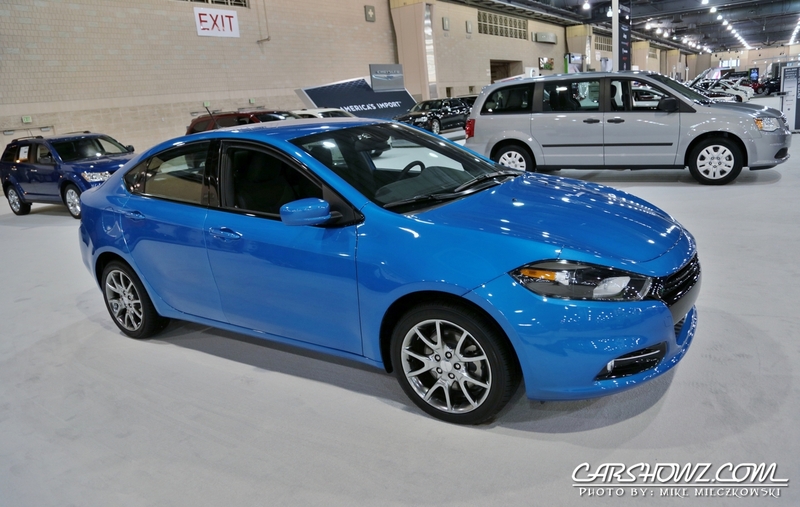 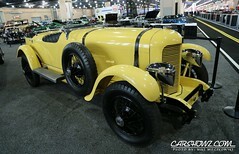 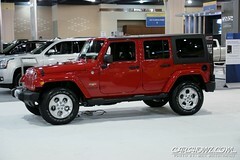 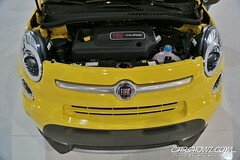 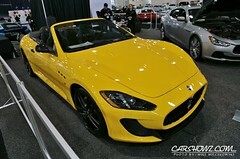 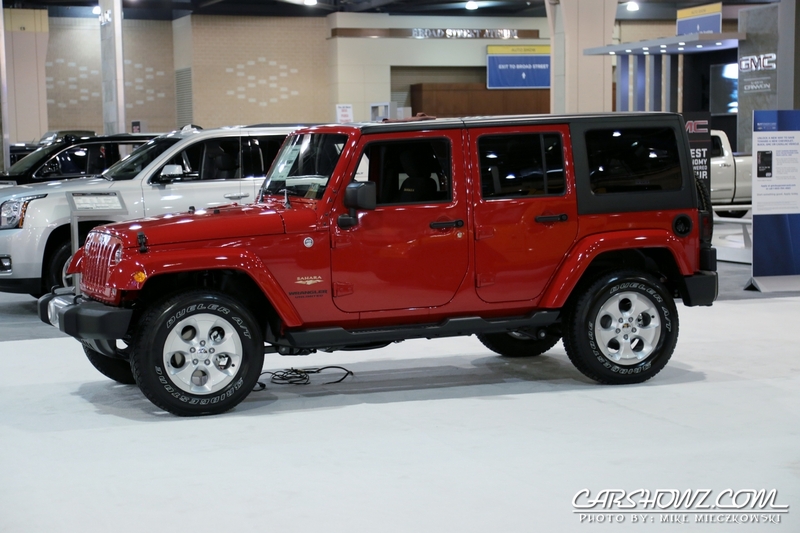 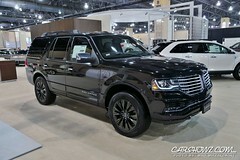 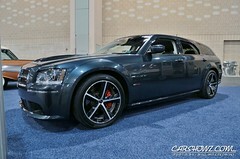 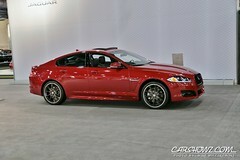 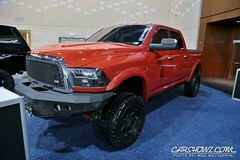 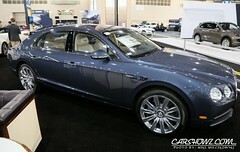 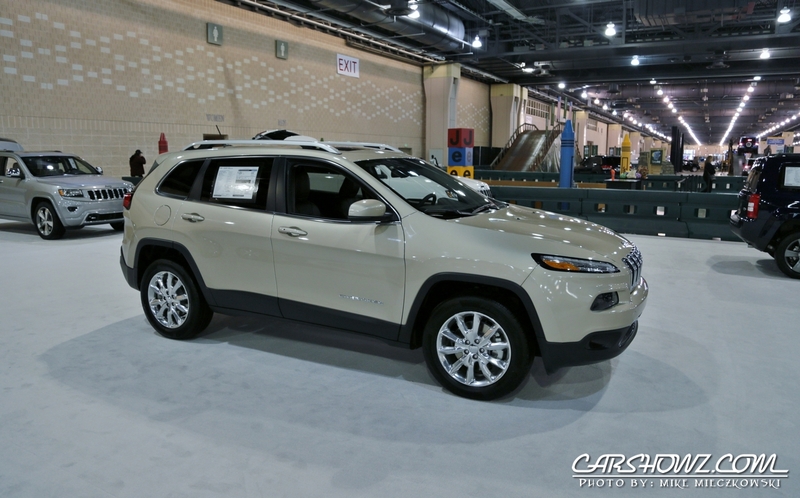 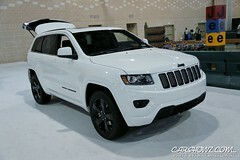 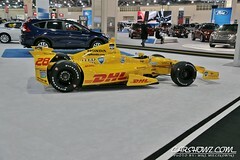 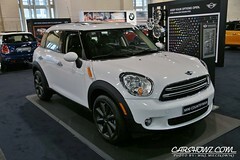 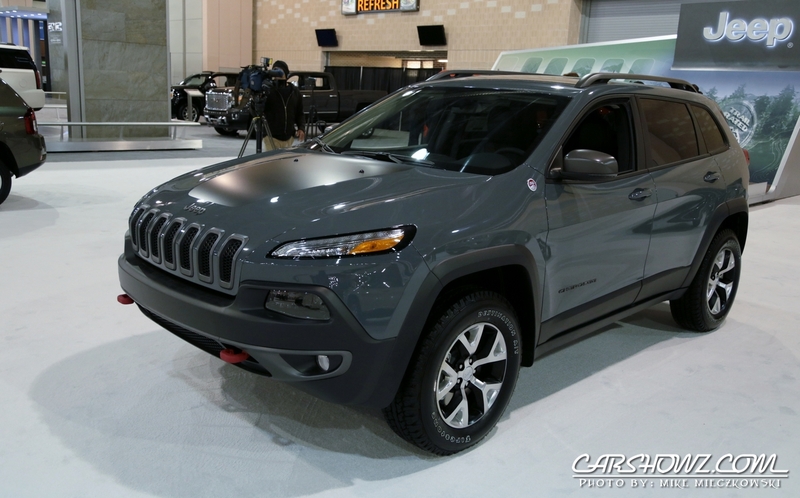 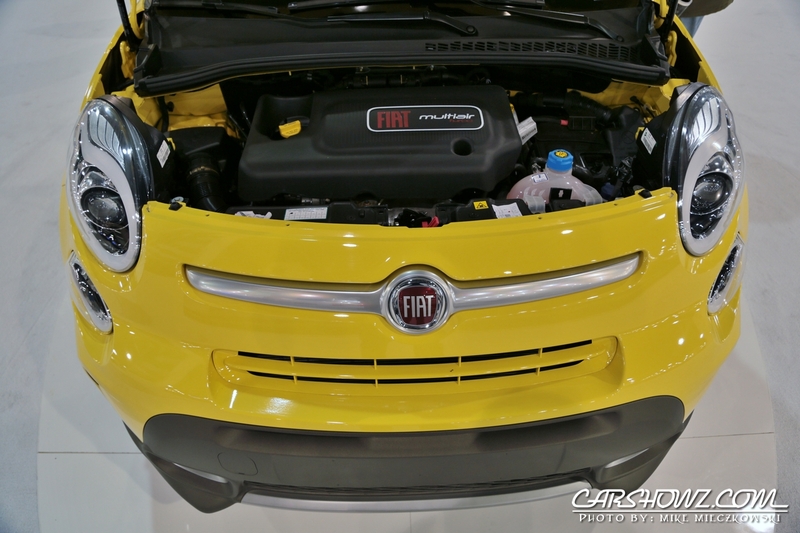 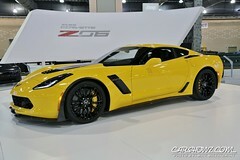 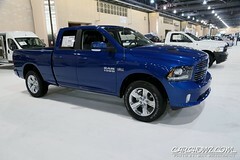 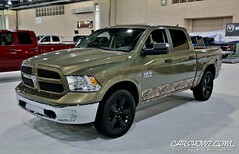 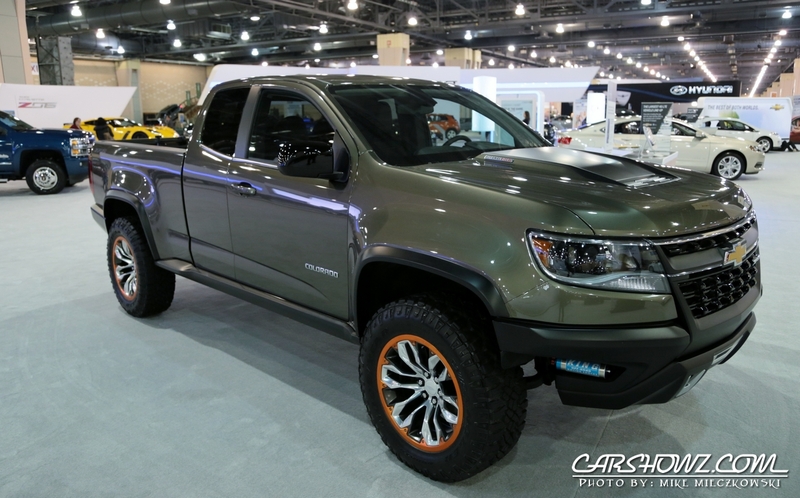 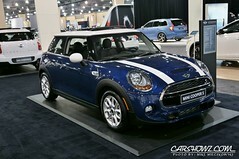 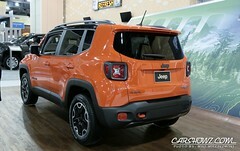 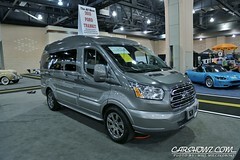 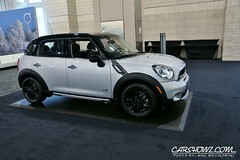 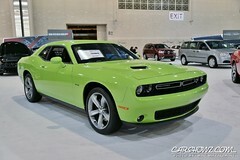 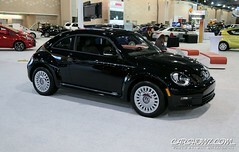 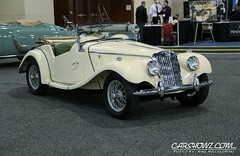 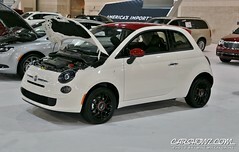 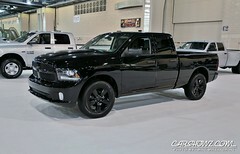 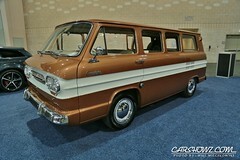 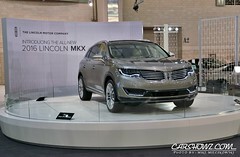 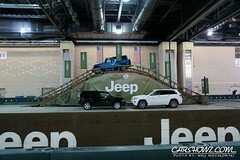 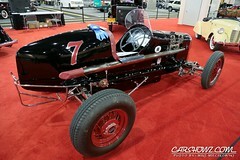 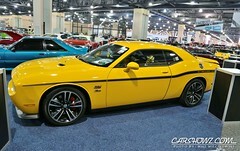 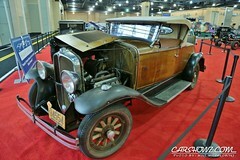 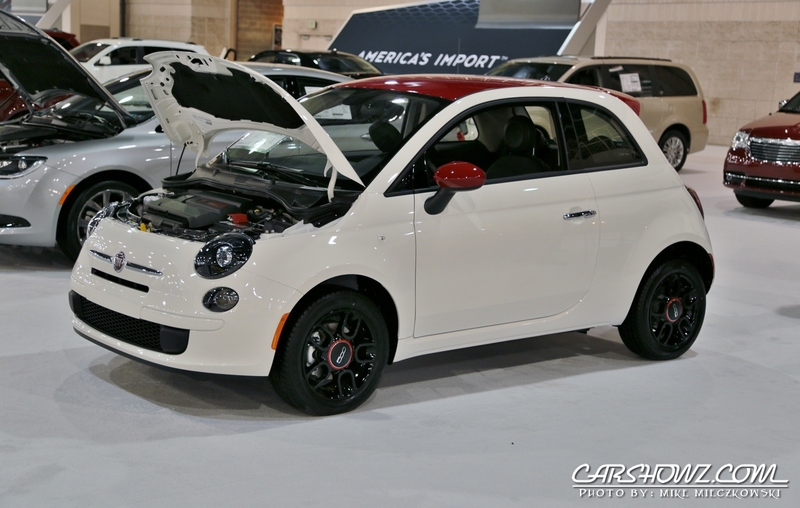 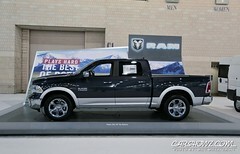 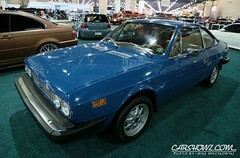 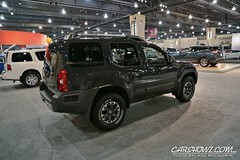 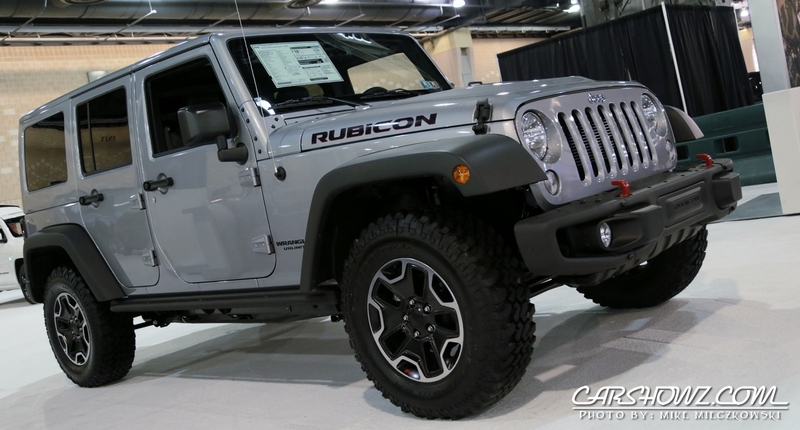 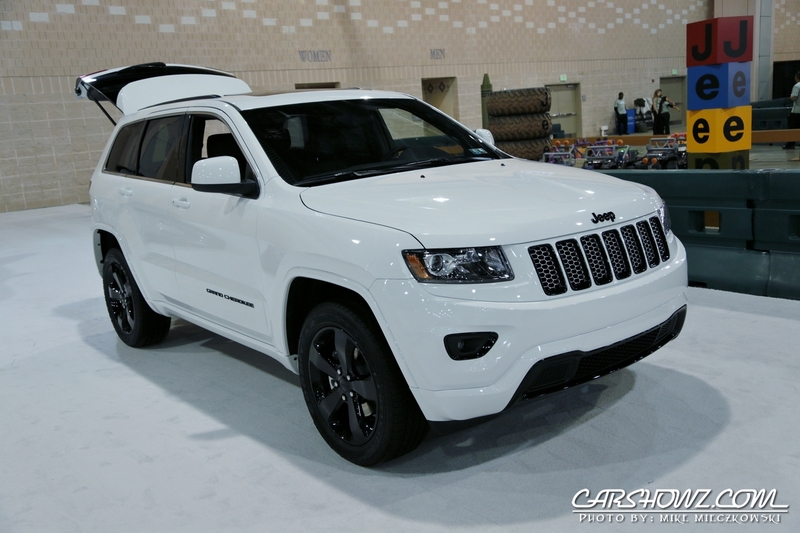 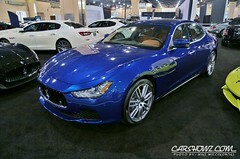 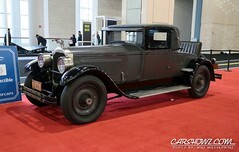 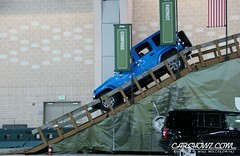 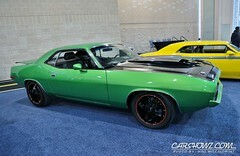 Fiat Chrysler Automobiles had a nice line-up of their newest creations present at the show. 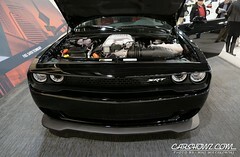 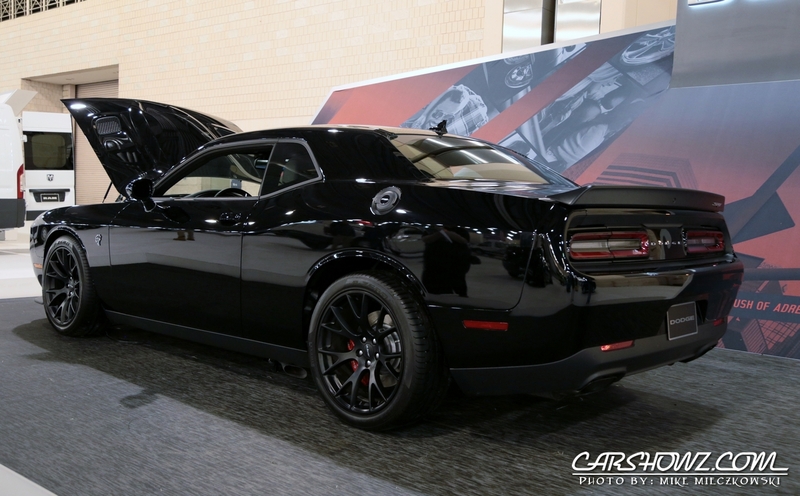 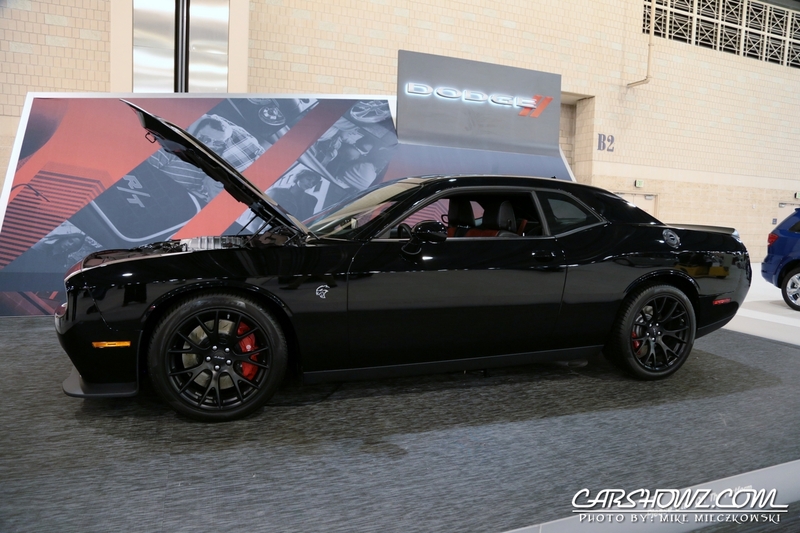 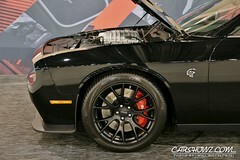 In the Chrysler section, it’s hard to miss the outrageous Hellcat Challenger. 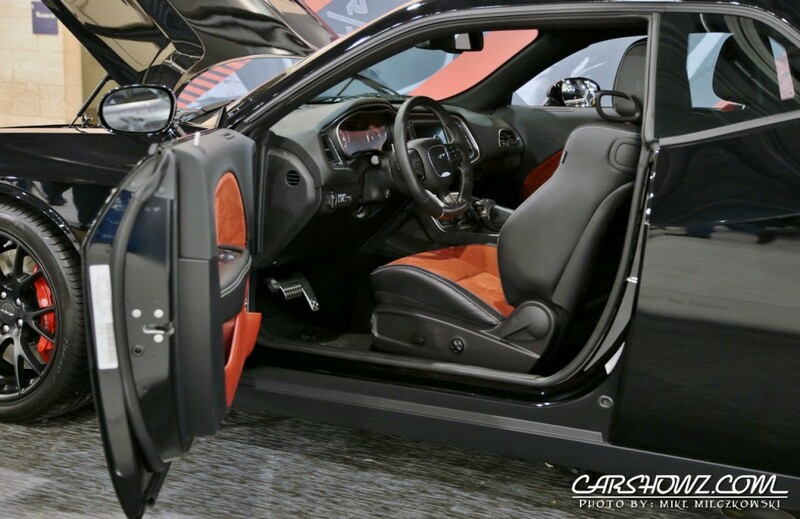 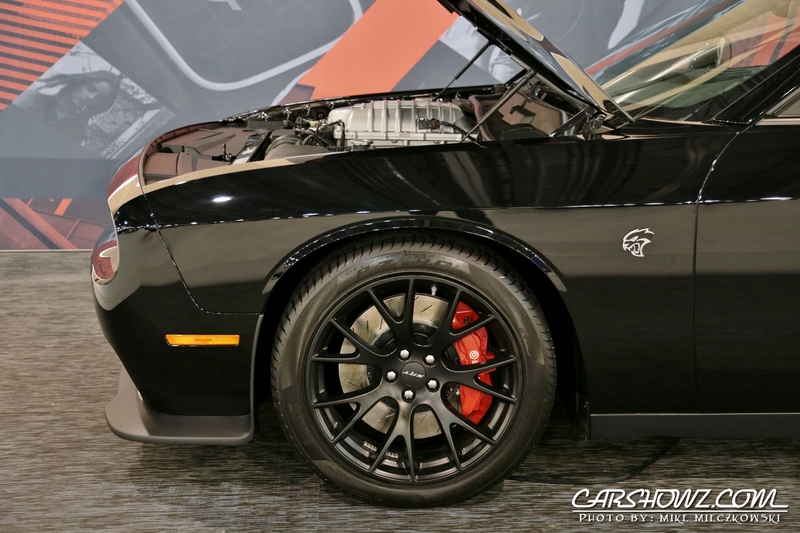 With 707-horsepower and a nicely designed interior, the Hellcat is a stunning work of art that takes the performance to a new level in the line-up of modern American muscle cars. 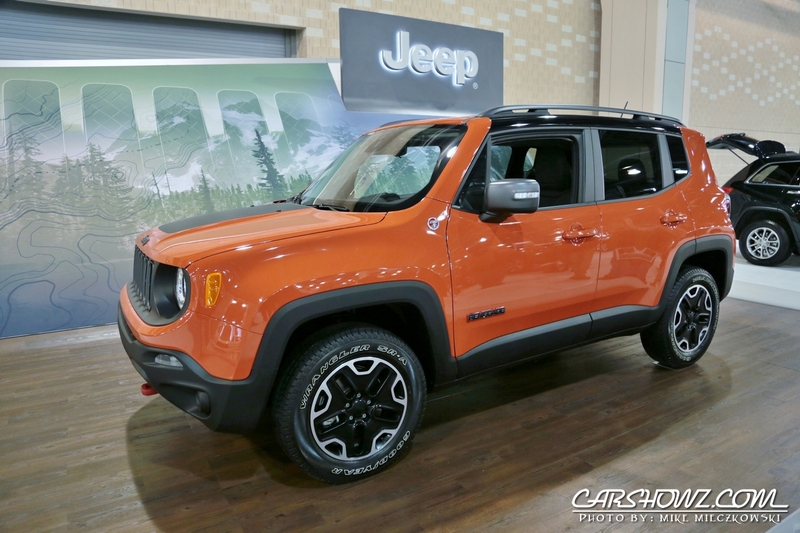 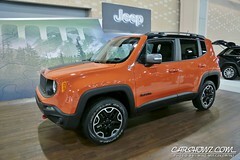 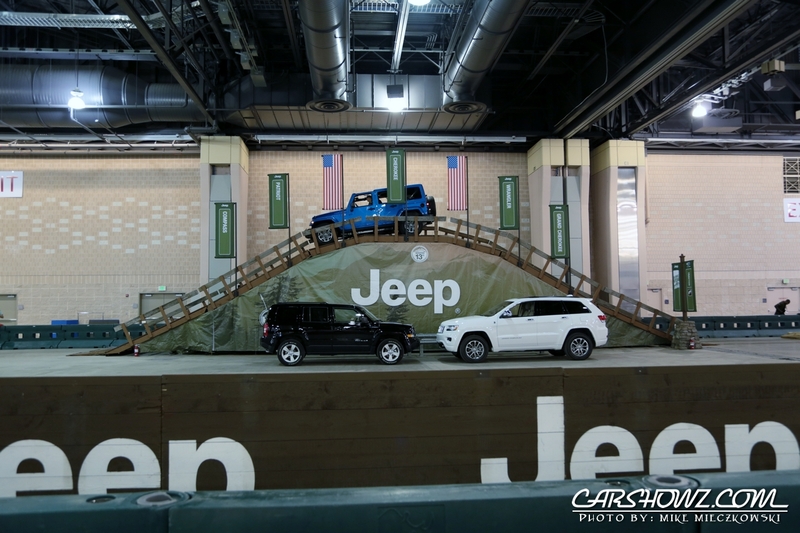 The all-new 2015 Jeep Renegade is the latest addition to the Jeep family of capable off-road vehicles. 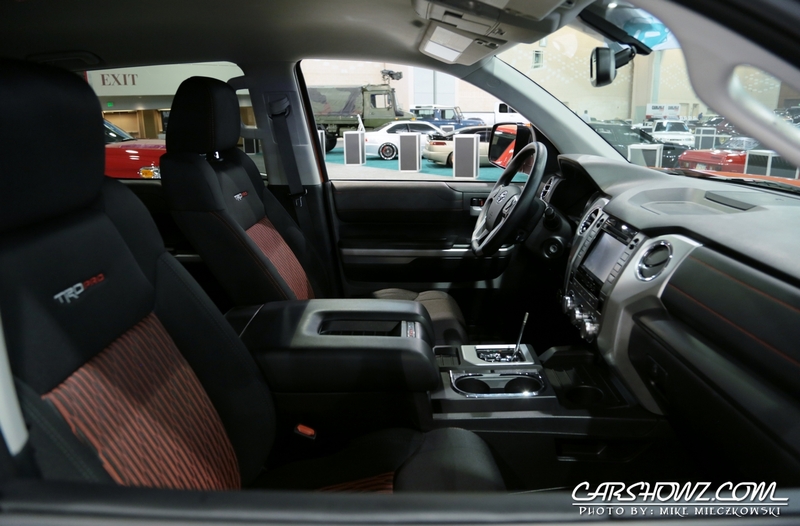 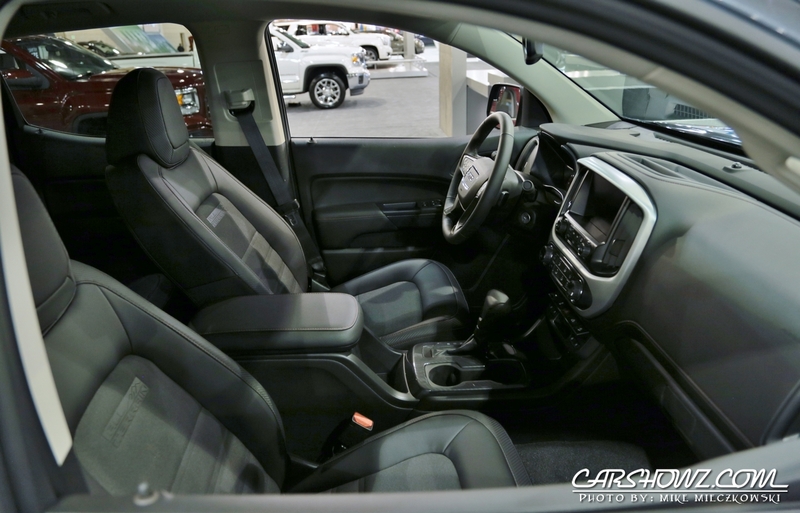 It comes with an option of two engines and a nine speed automatic transmission making it a modern and fun option that is also fuel efficient. 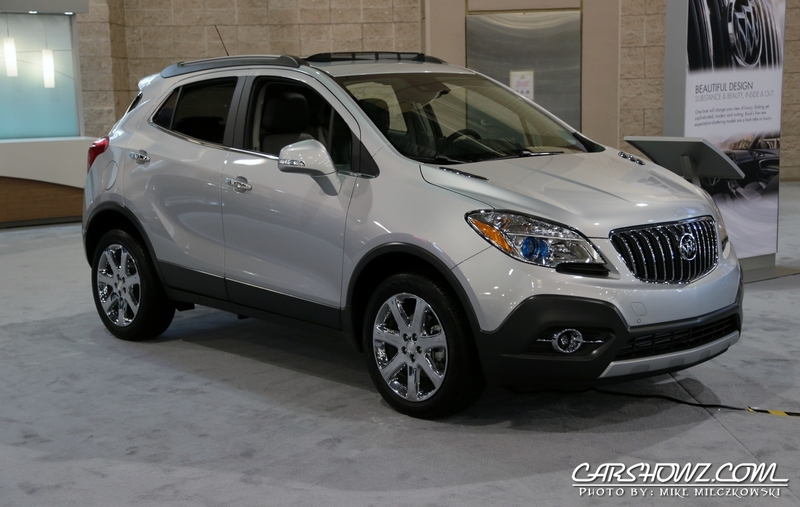 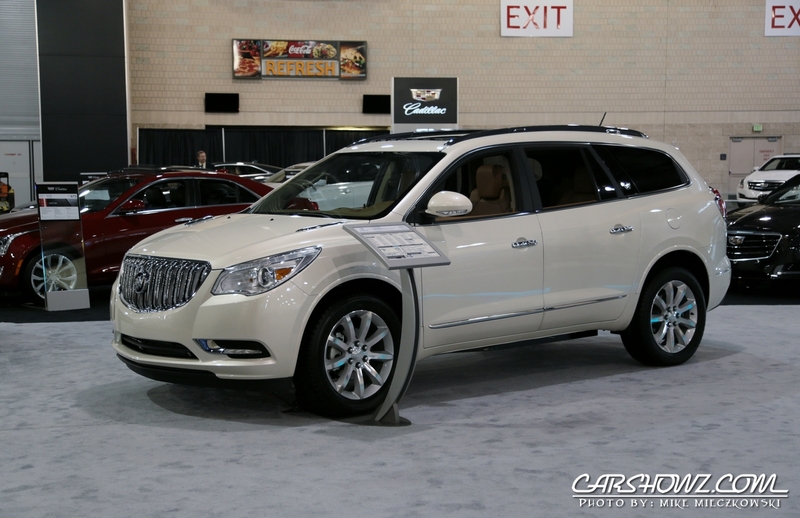 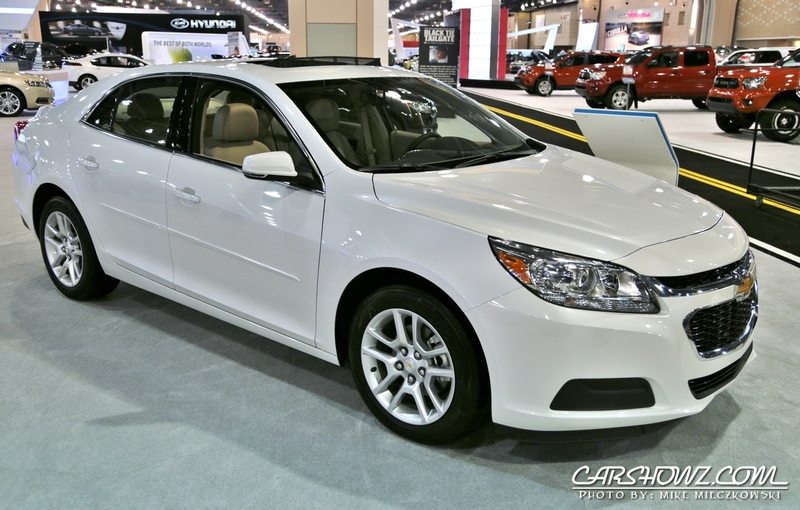 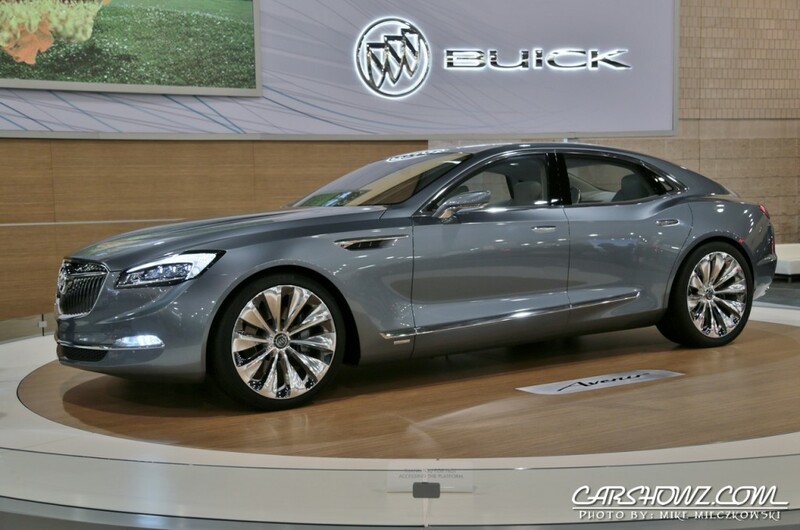 Buick brought out two special vehicles for the 2015 Philadelphia Auto Show. 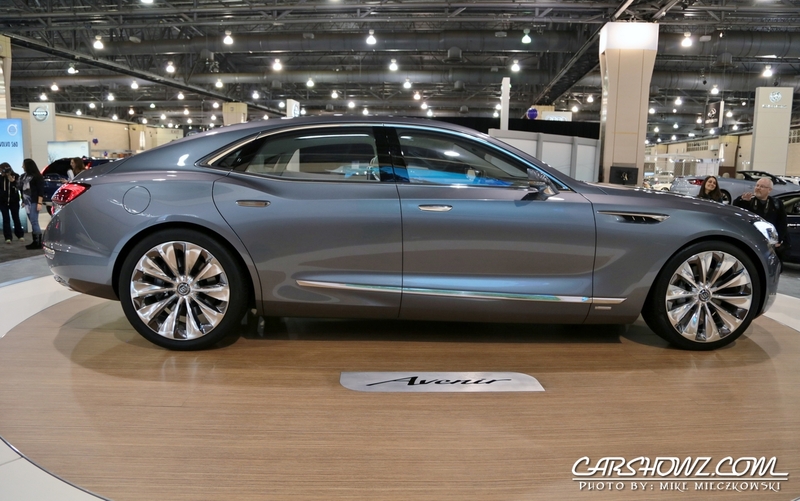 First up we have the Avenir Concept which is French for future. 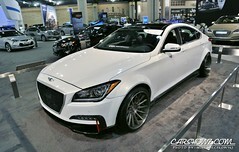 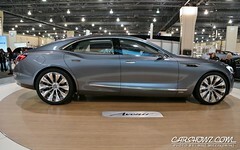 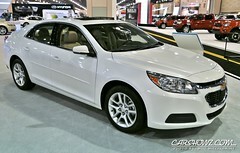 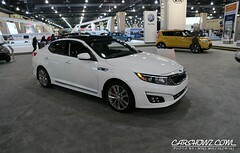 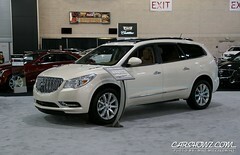 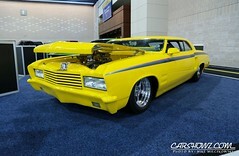 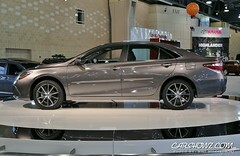 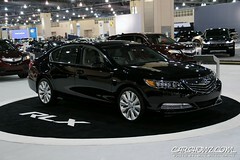 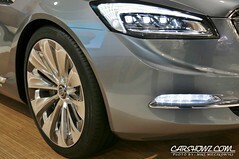 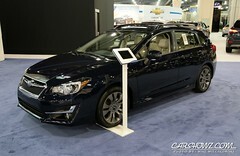 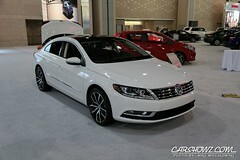 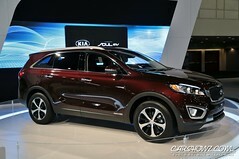 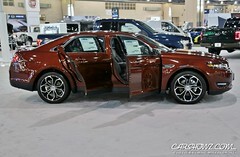 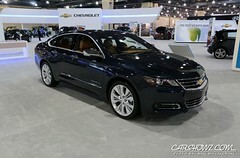 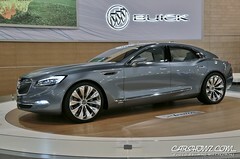 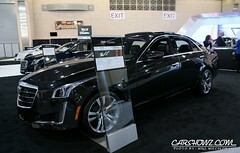 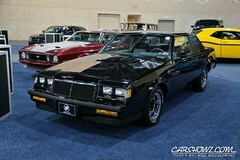 The design is purely Buick at heart but shows the future of passenger sedans with technology on the forefront. 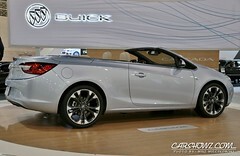 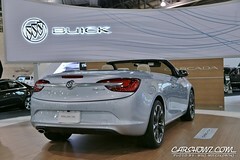 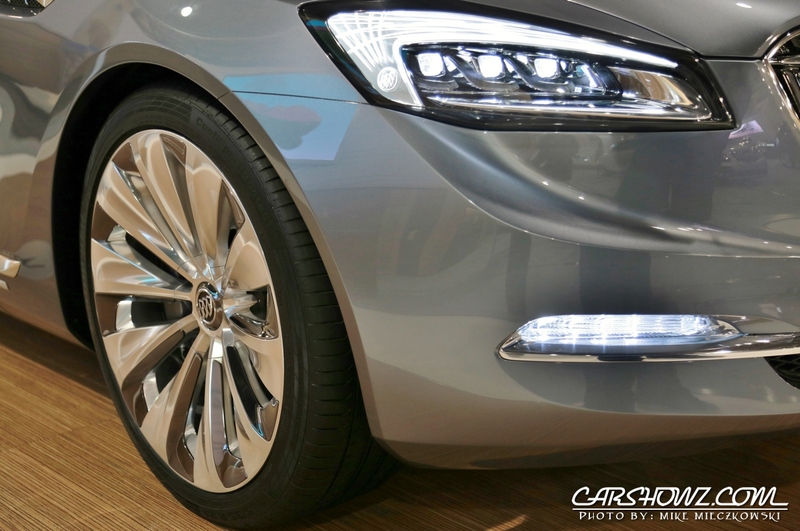 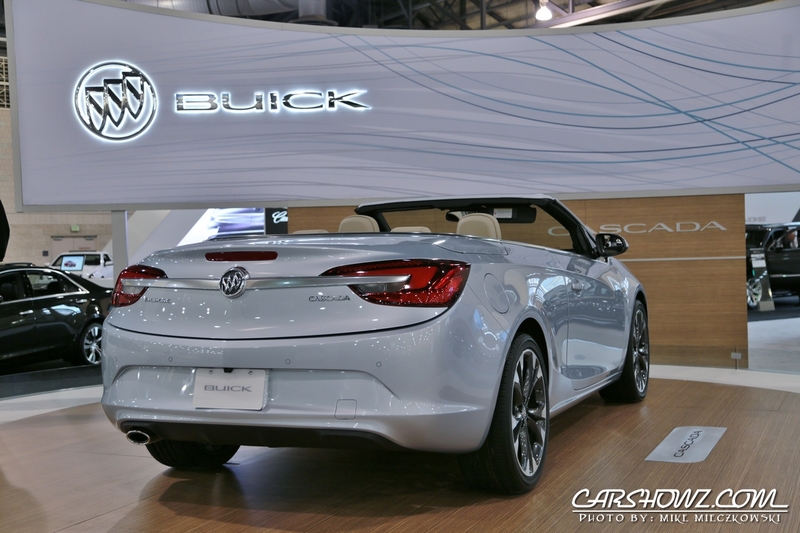 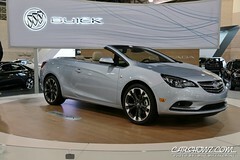 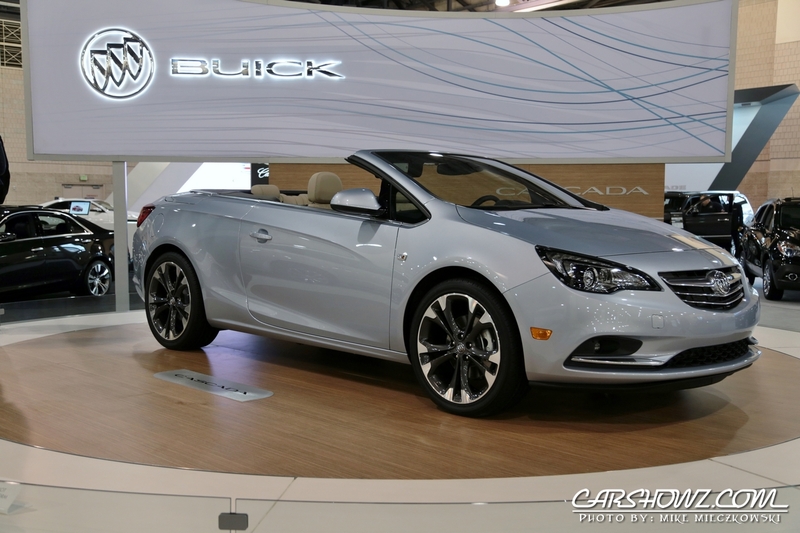 The second offering from Buick is the 2016 Cascada. 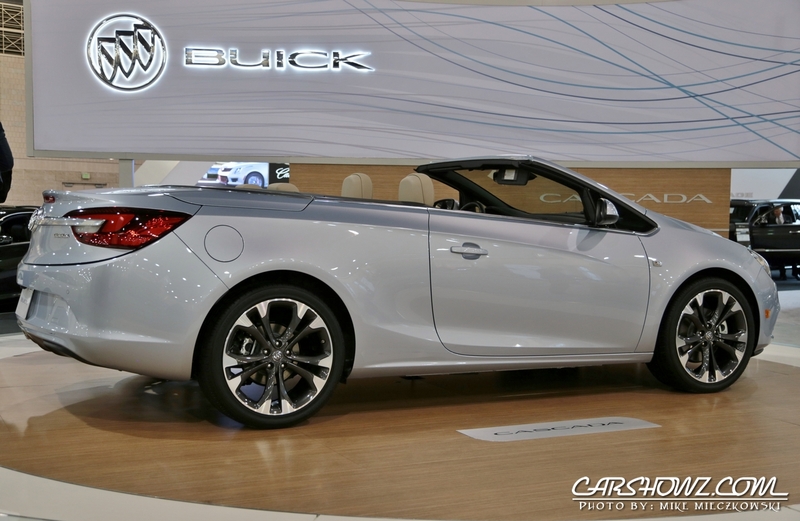 A stylish and modern convertible, the Cascada is equipped with a turbo charged engine putting out 200 horsepower. 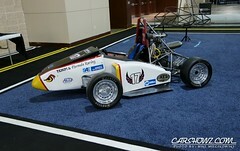 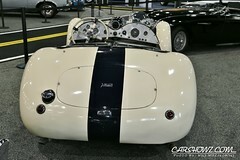 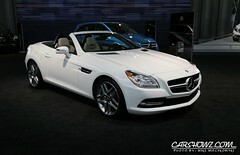 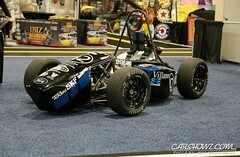 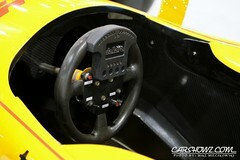 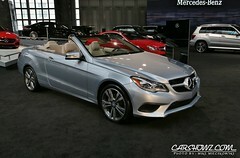 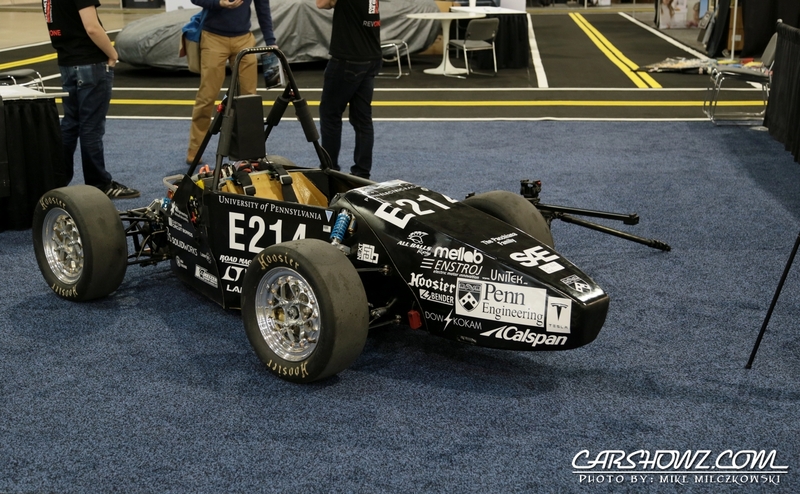 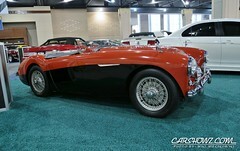 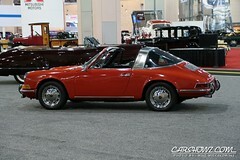 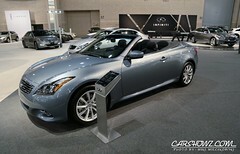 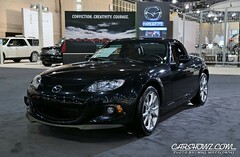 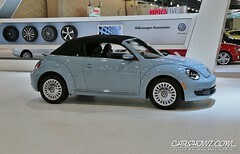 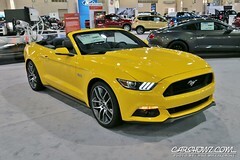 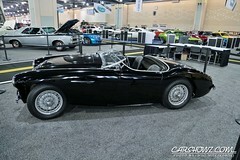 The convertible top lowers in just 17 seconds and can be done at speeds up to 31mph. 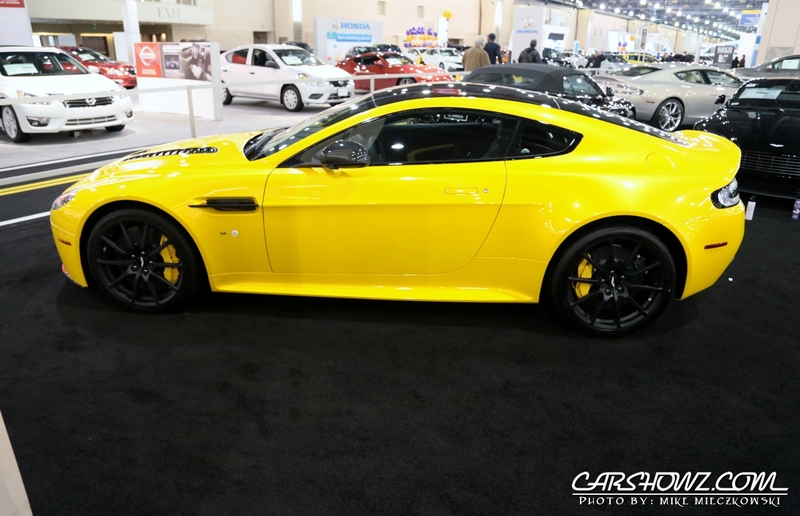 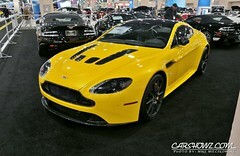 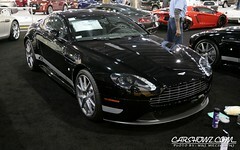 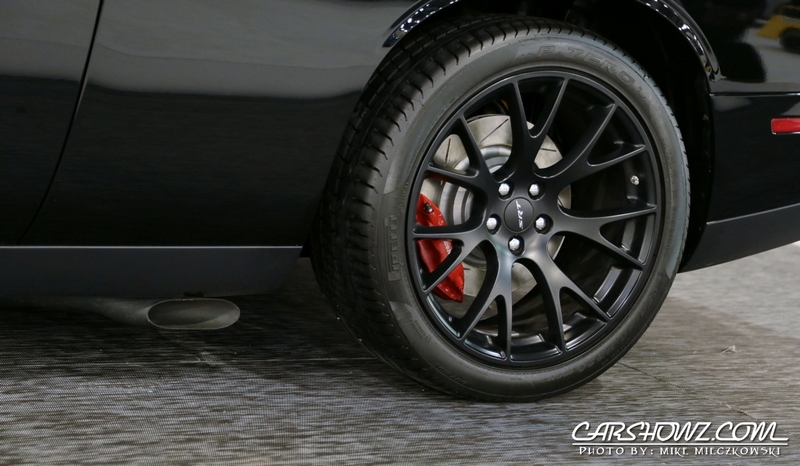 Aston Martin brought out the stylish and agressive V12 Vantage S Roadster. 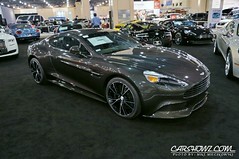 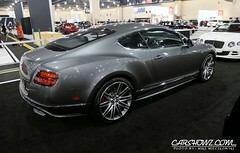 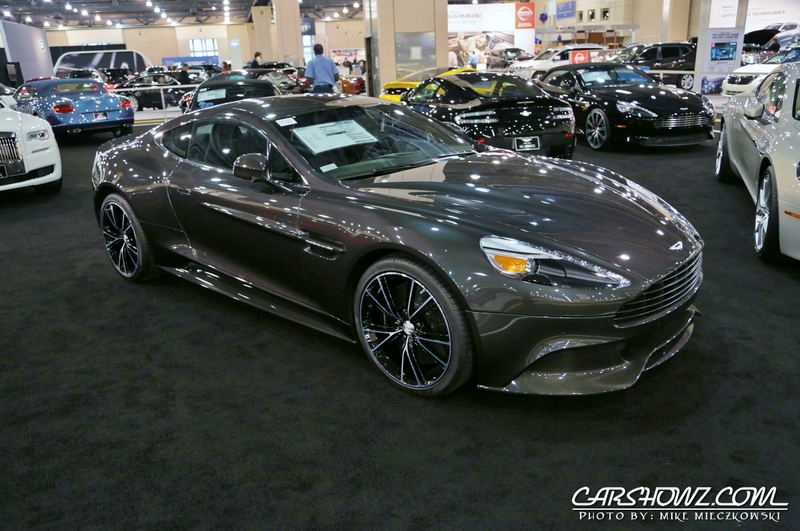 It comes with a 565 horsepower Aston Martin AM28 6.0-litre V12 engine that produces enough power to launch the car to 201mph. 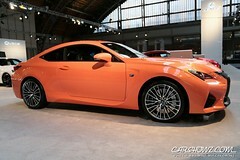 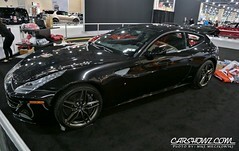 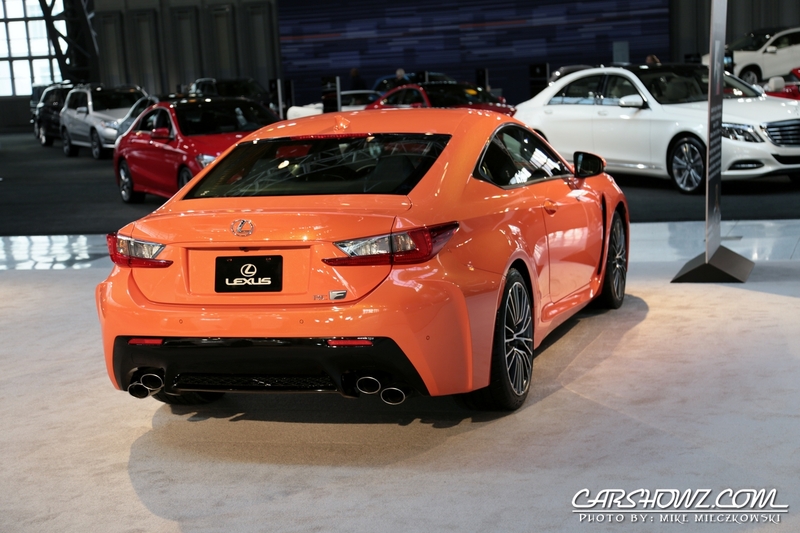 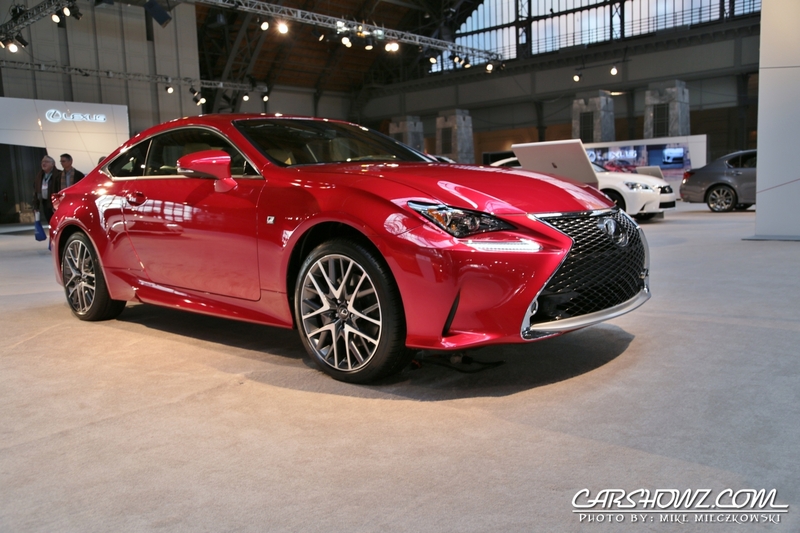 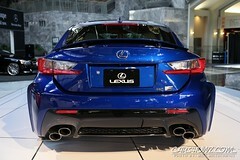 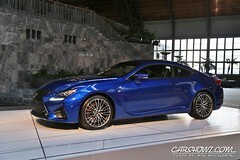 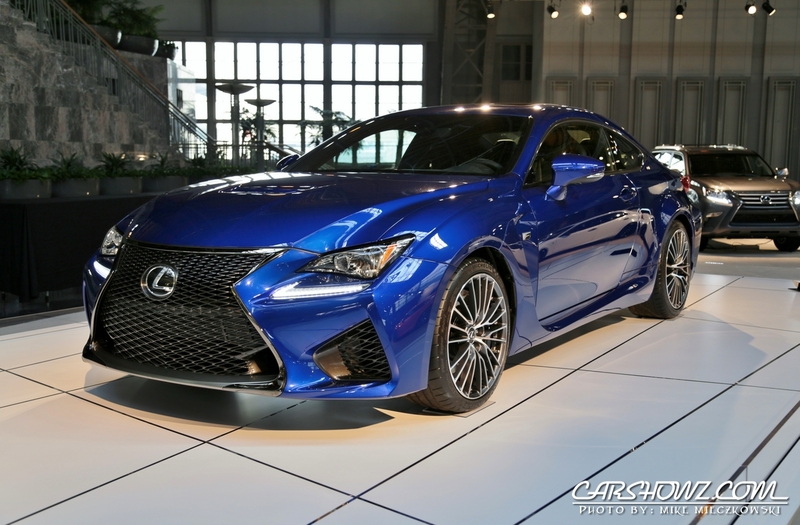 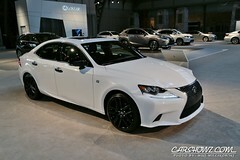 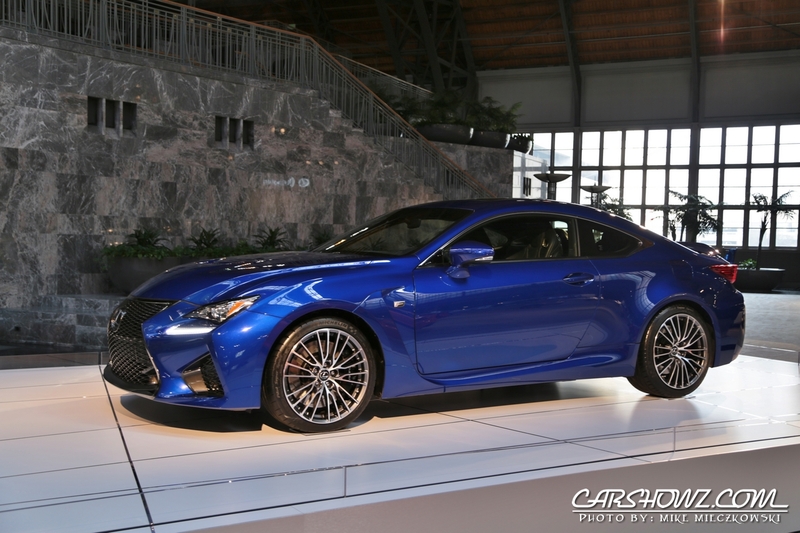 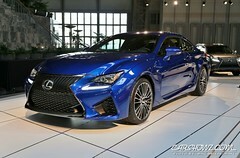 Lexus brought out a pair of 2015 RC F coupes. 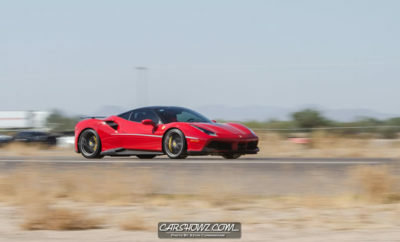 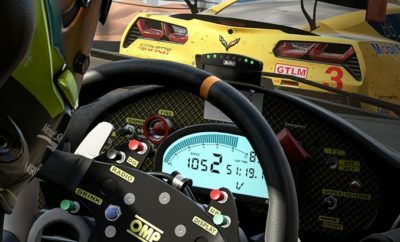 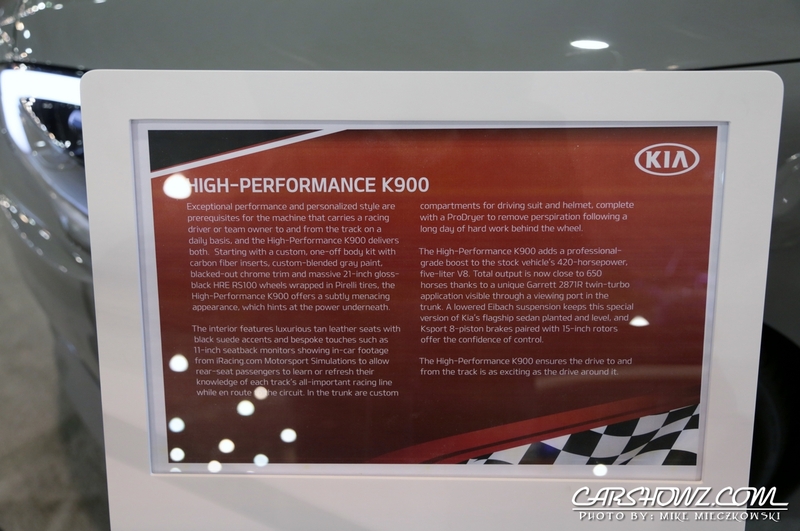 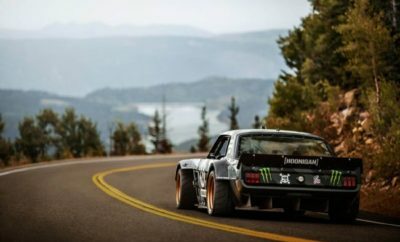 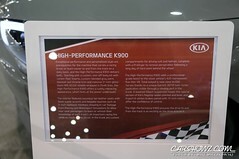 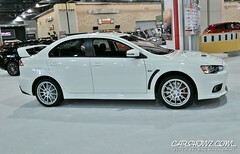 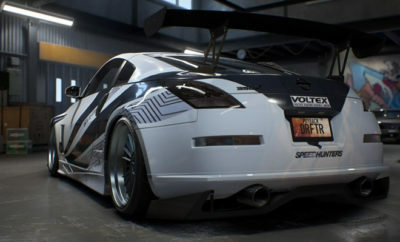 This makes it their most powerful V8 performance car ever sporting a 467 Horsepower 5.0 Liter V8 backed up by a close ratio eight speed Sports Program Direct Shift transmission. 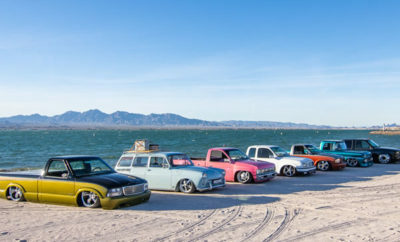 BMW brought out a great line-up as well. 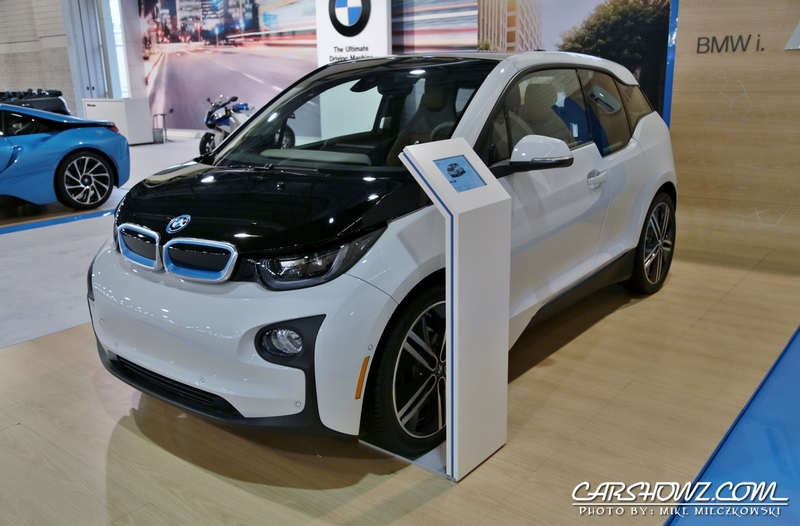 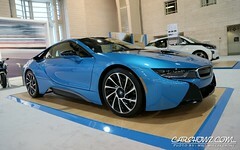 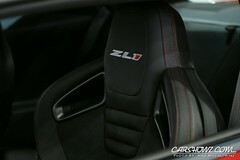 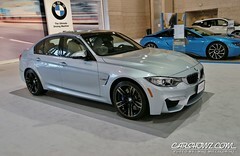 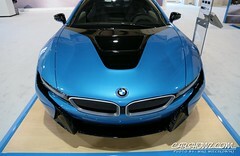 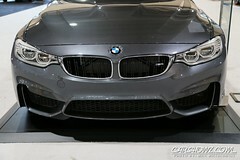 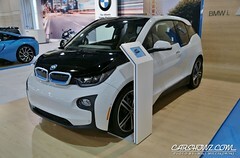 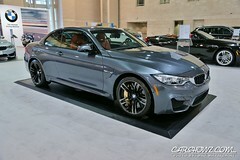 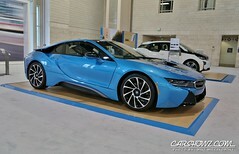 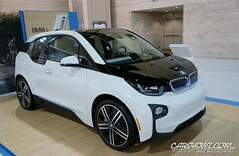 Both the i3 and i8 were in attendance as well as the M3 and M4 sports cars. 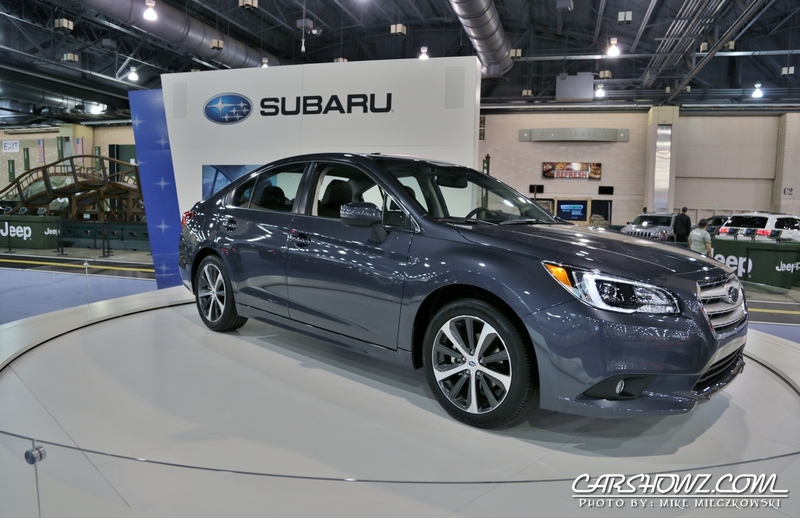 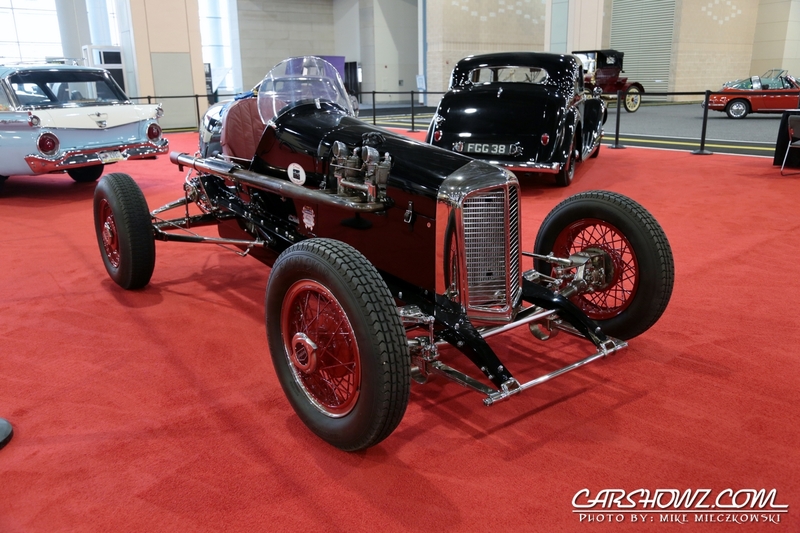 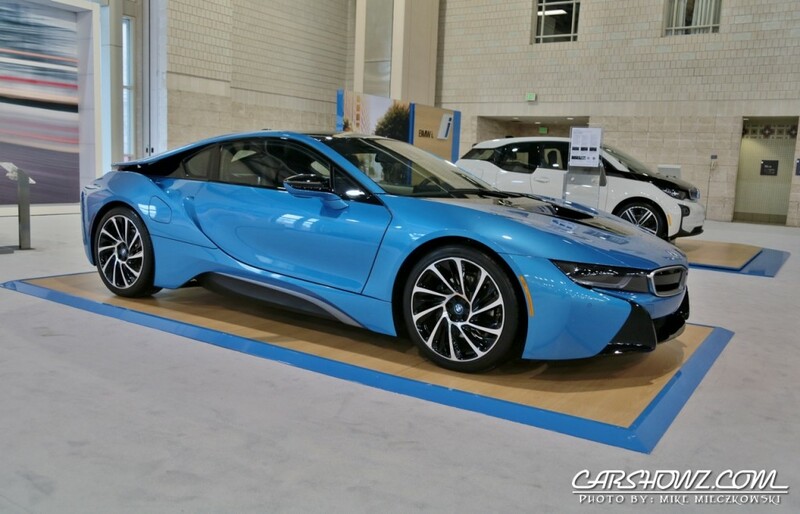 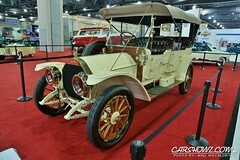 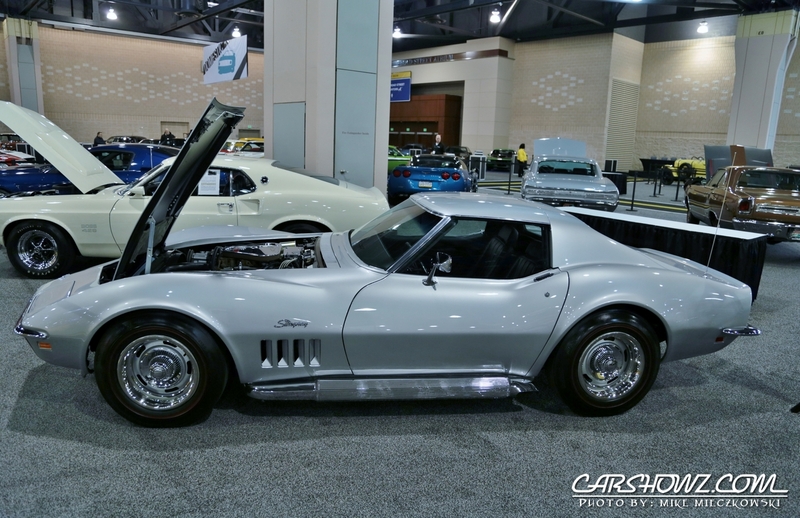 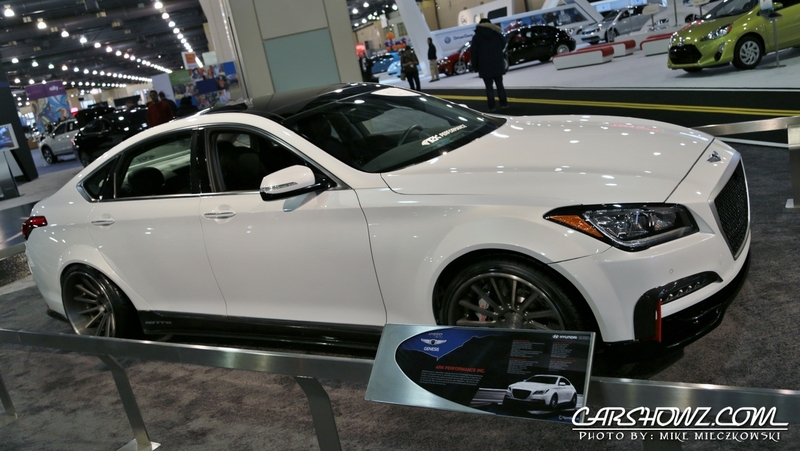 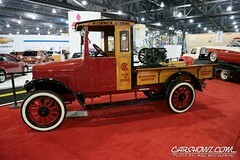 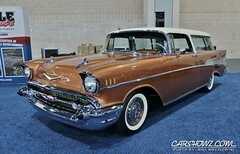 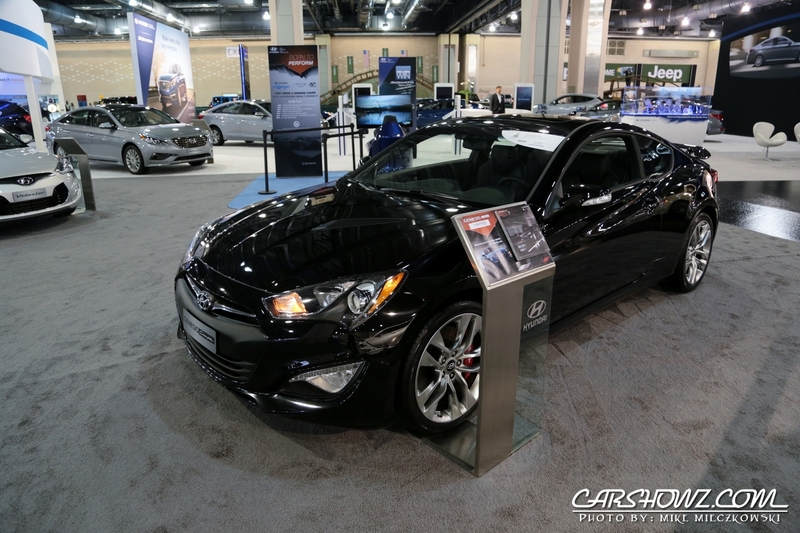 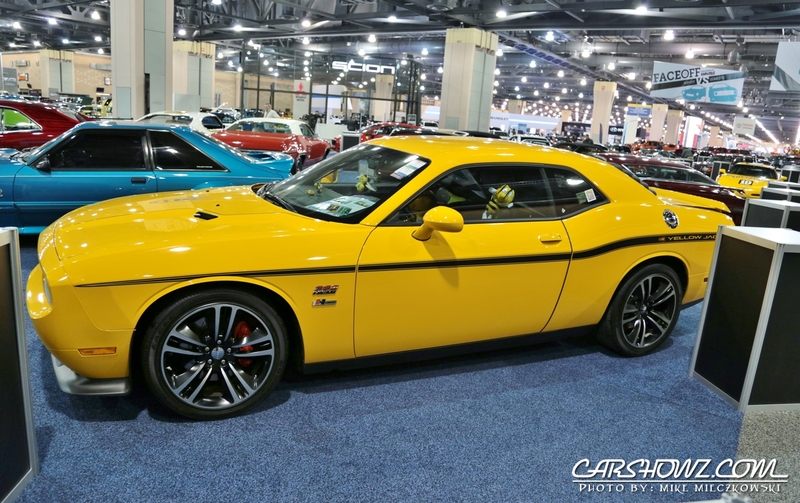 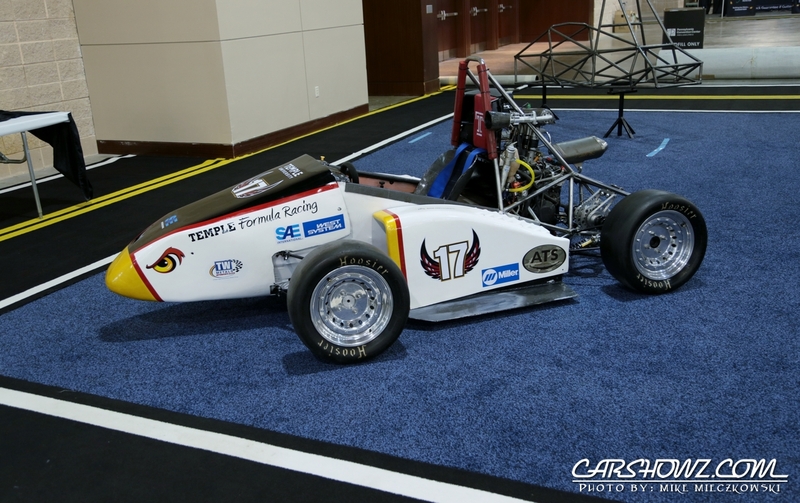 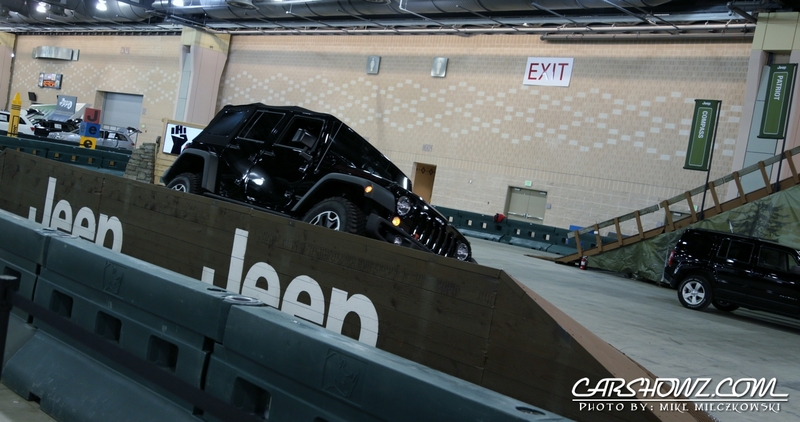 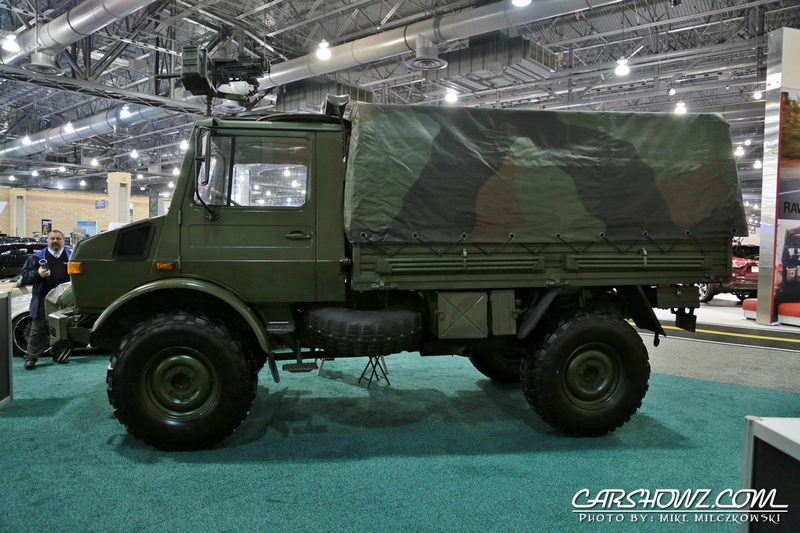 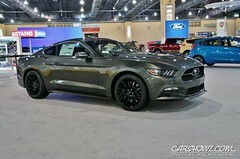 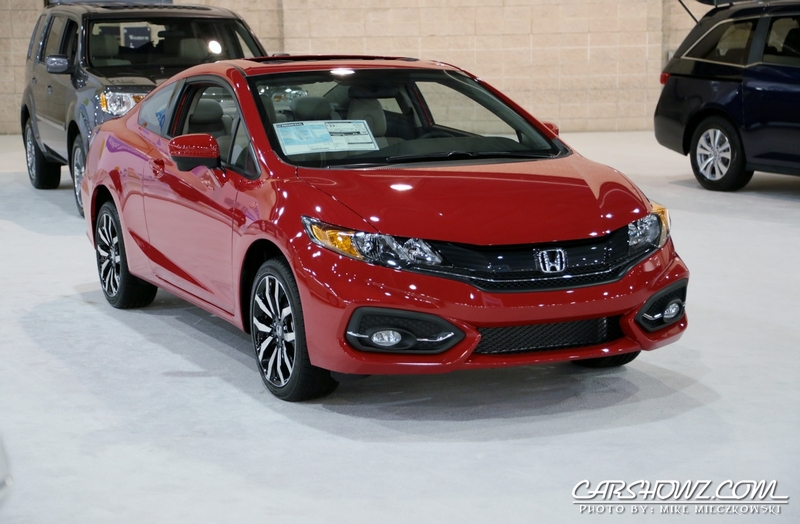 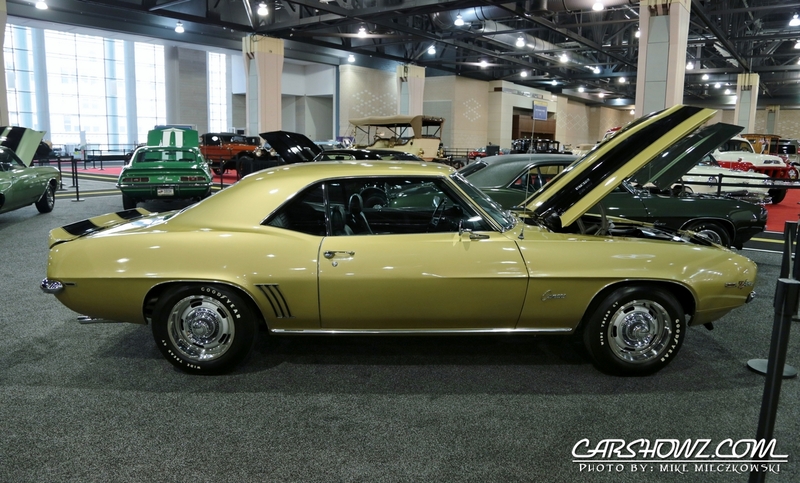 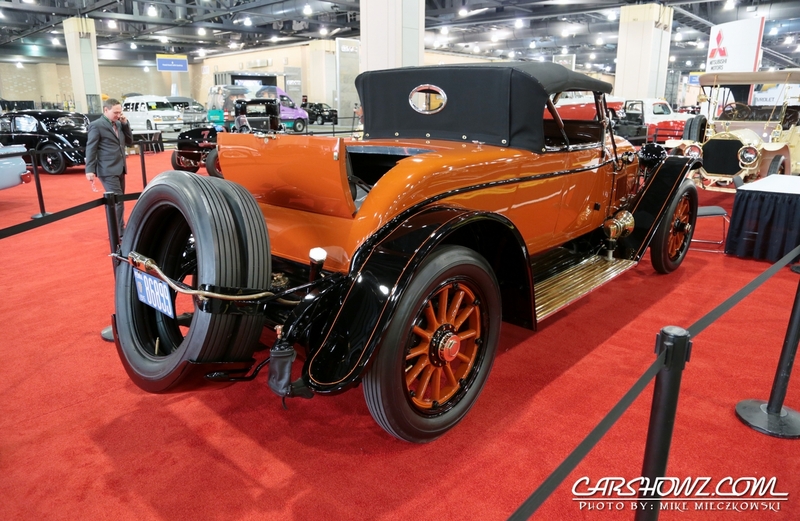 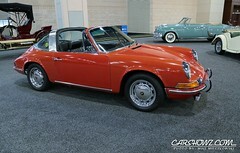 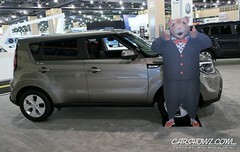 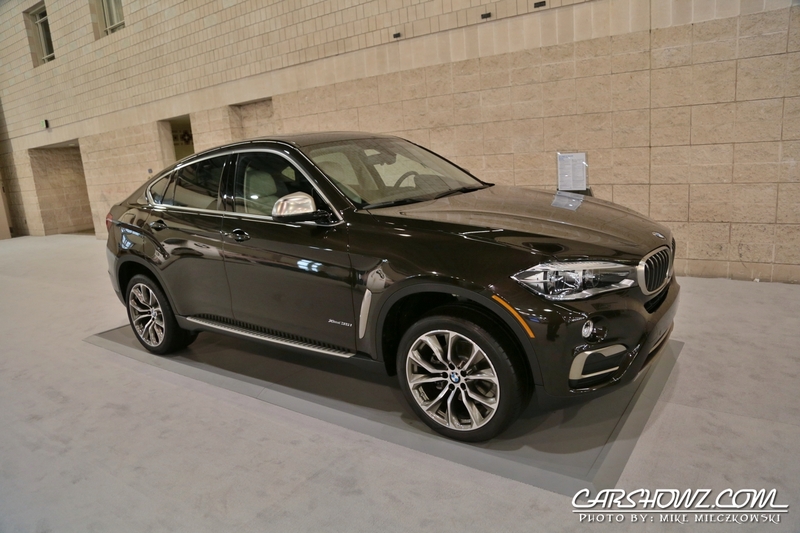 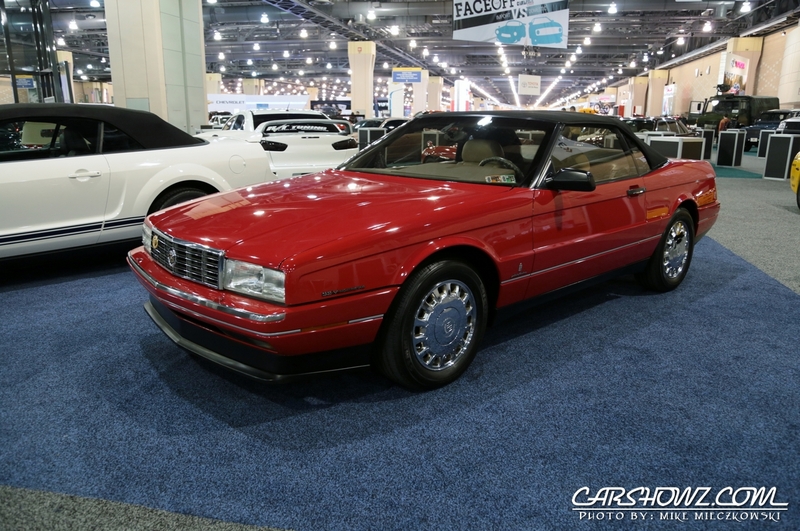 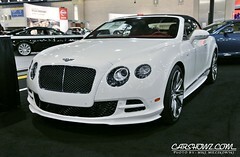 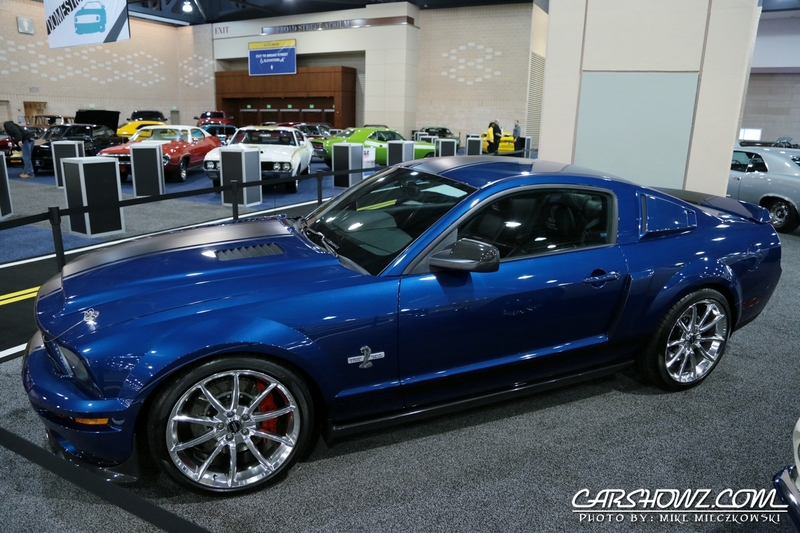 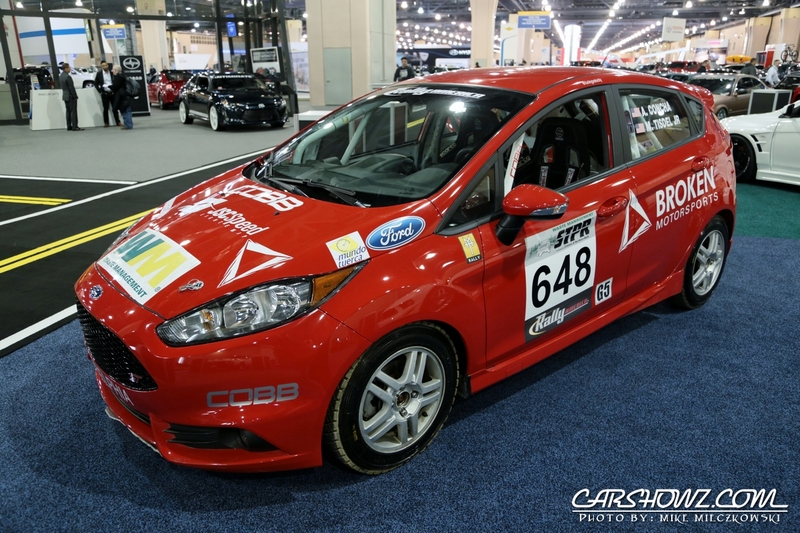 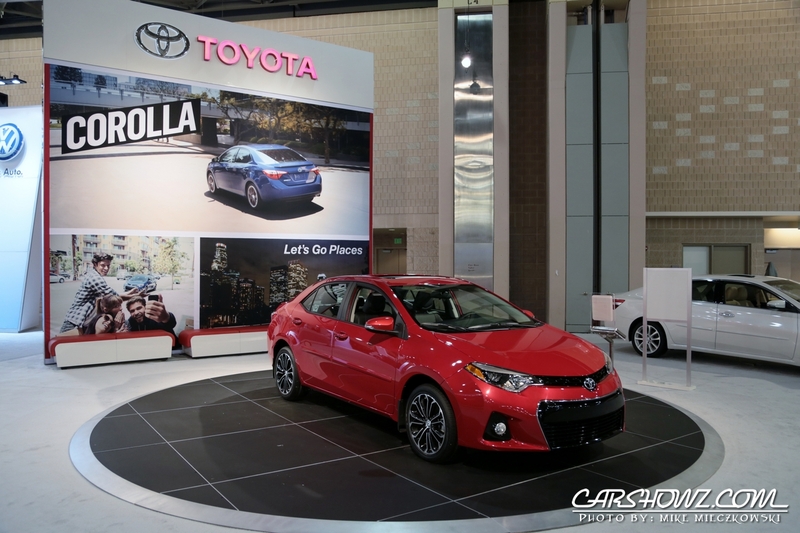 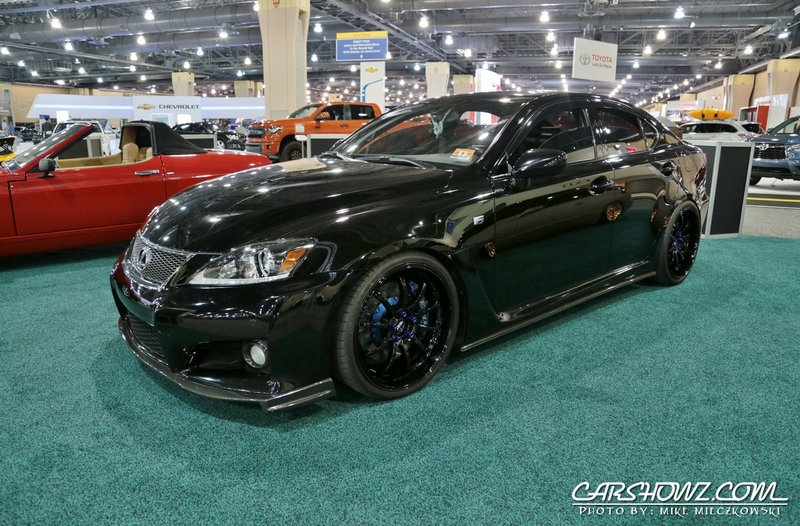 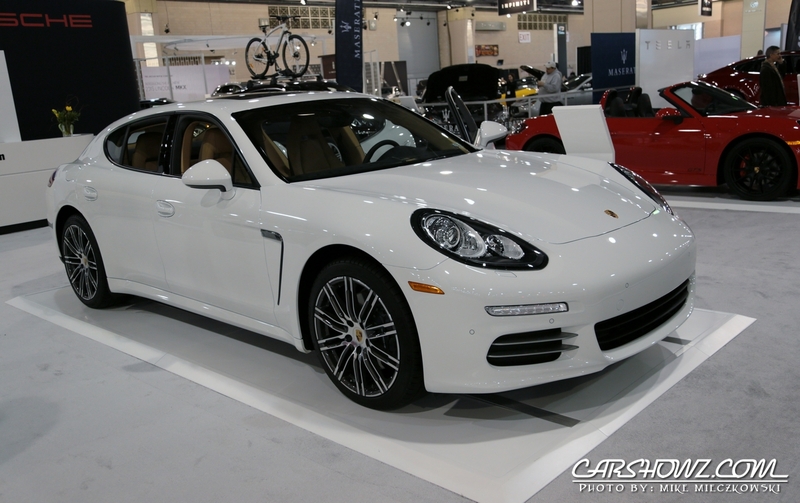 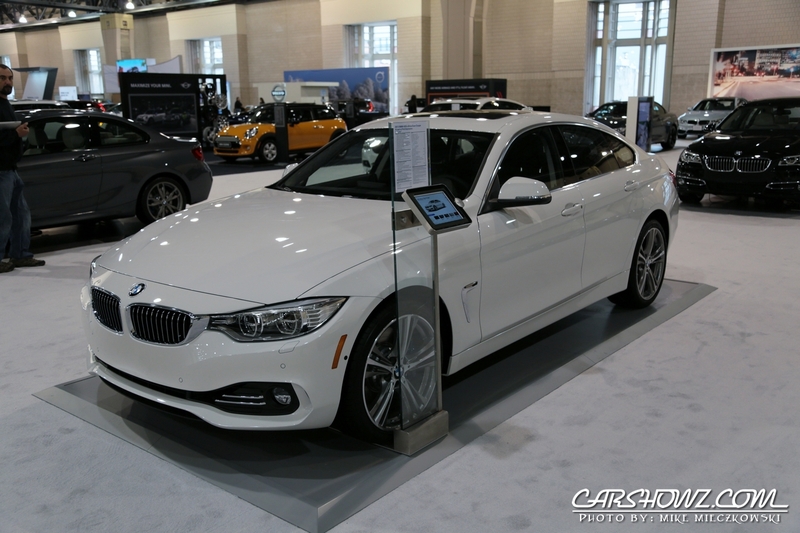 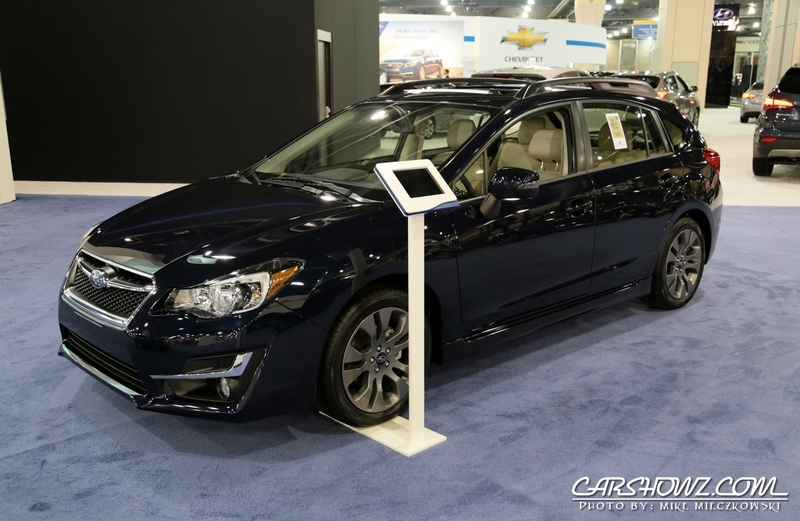 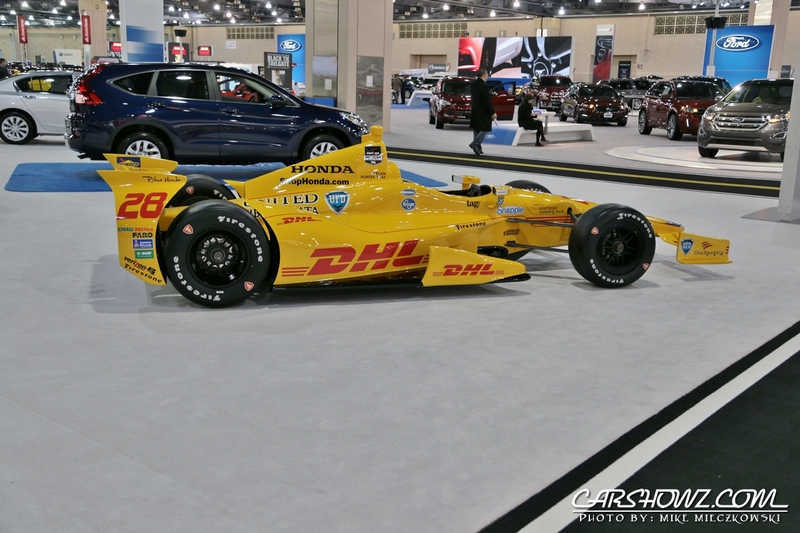 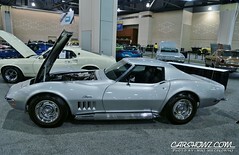 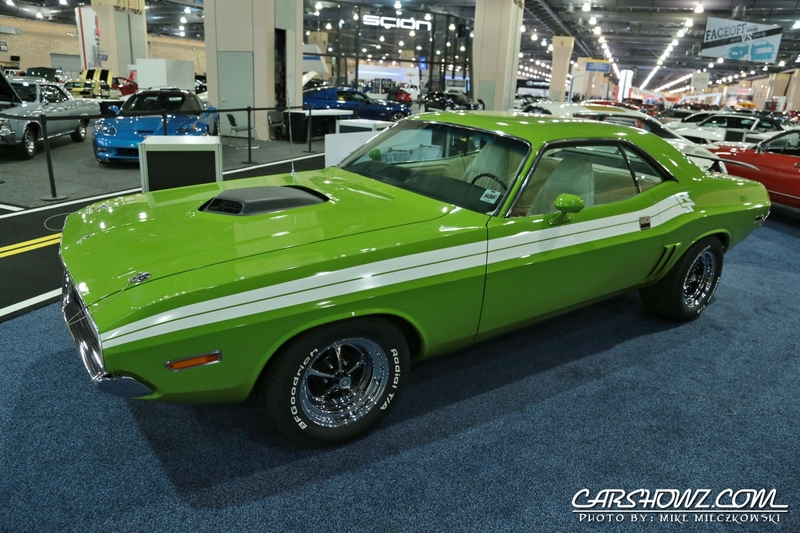 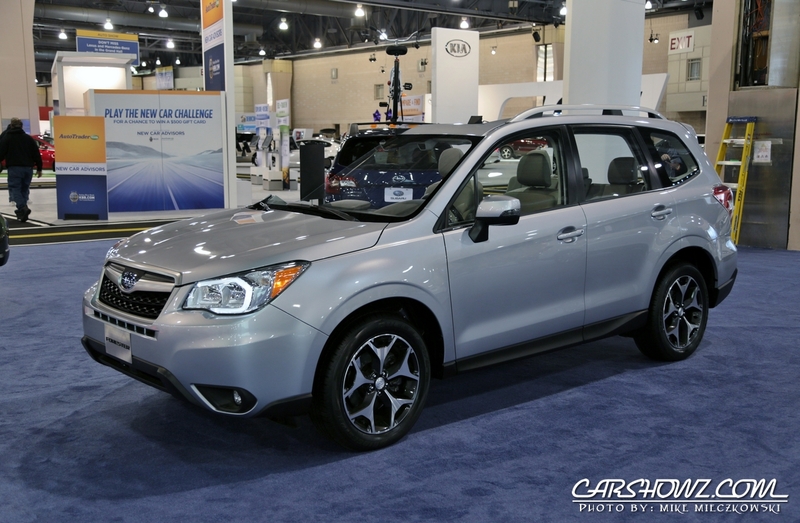 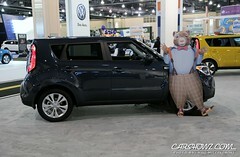 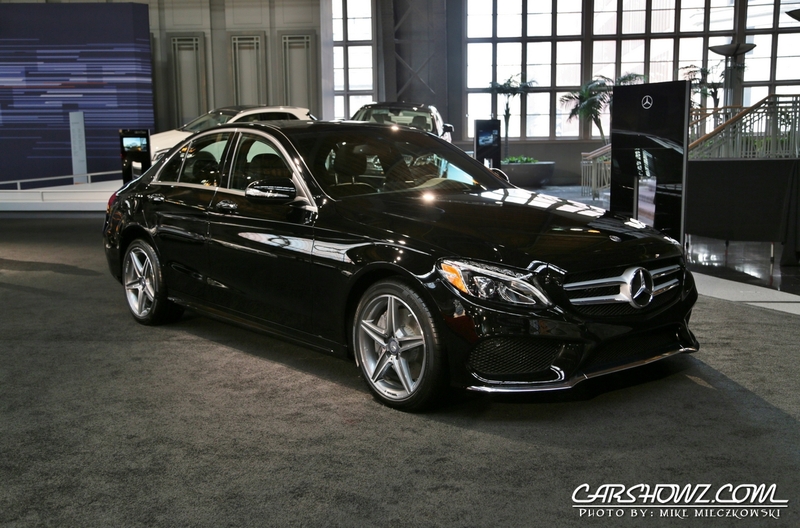 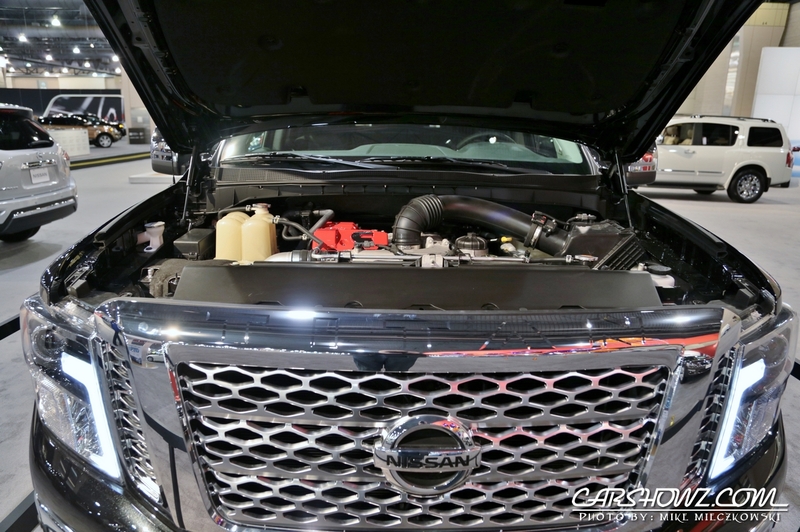 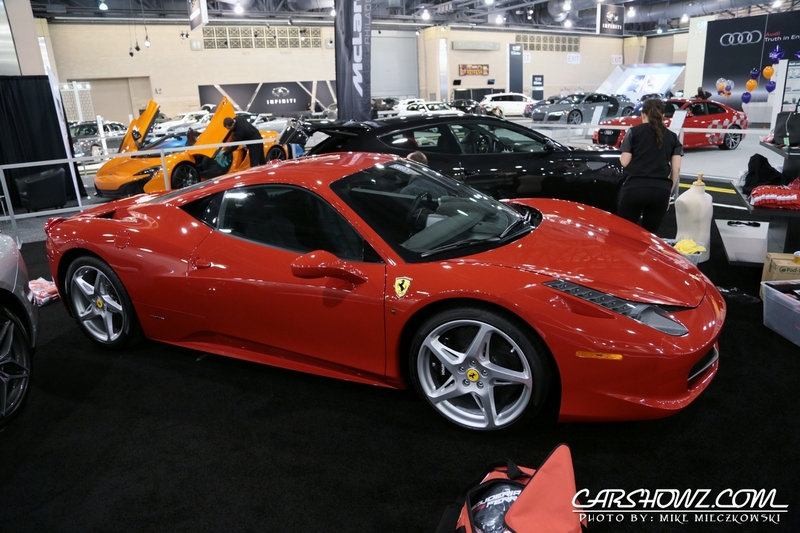 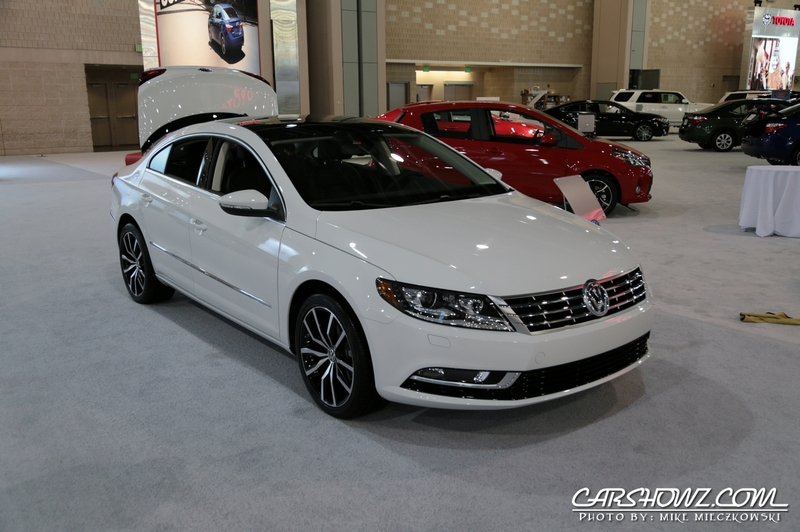 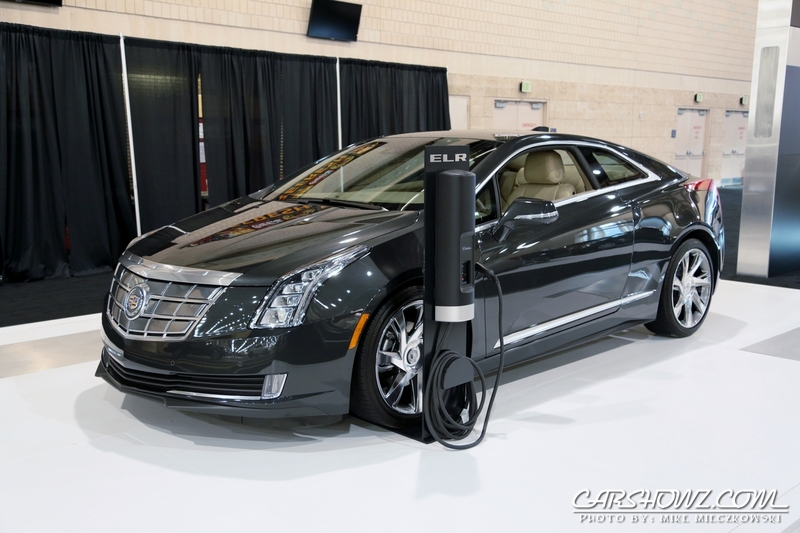 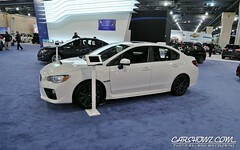 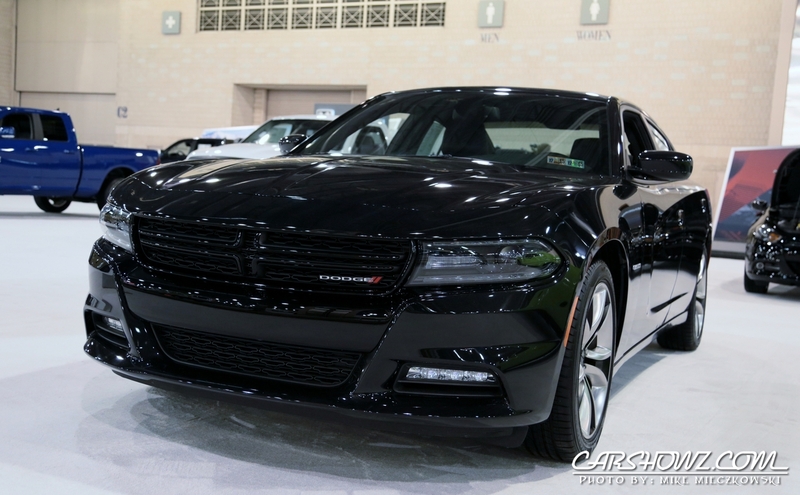 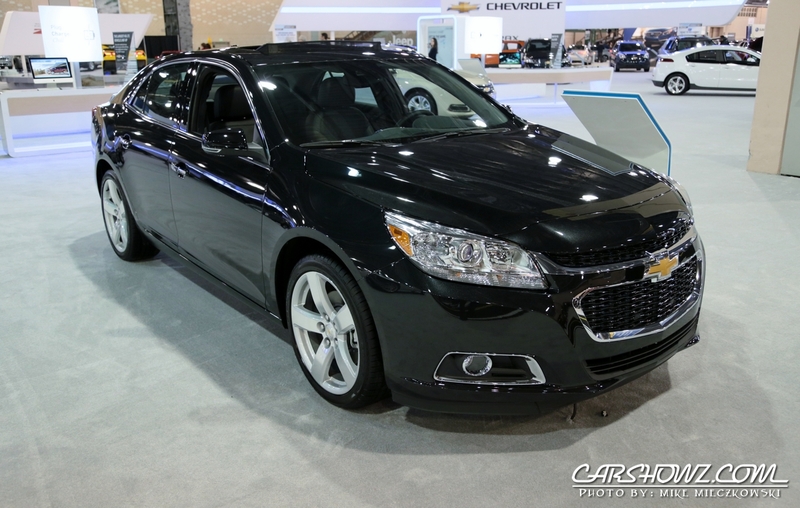 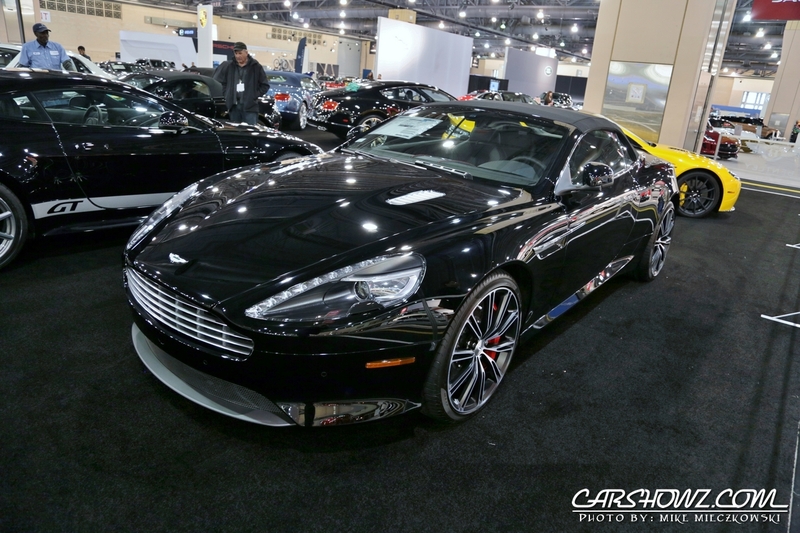 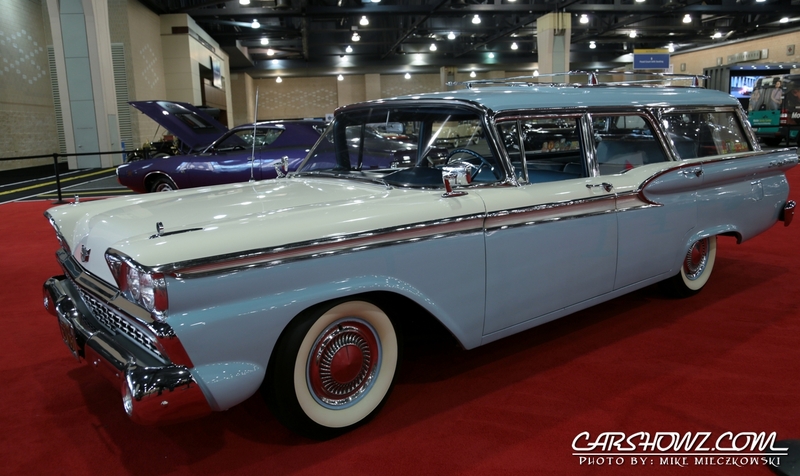 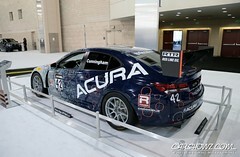 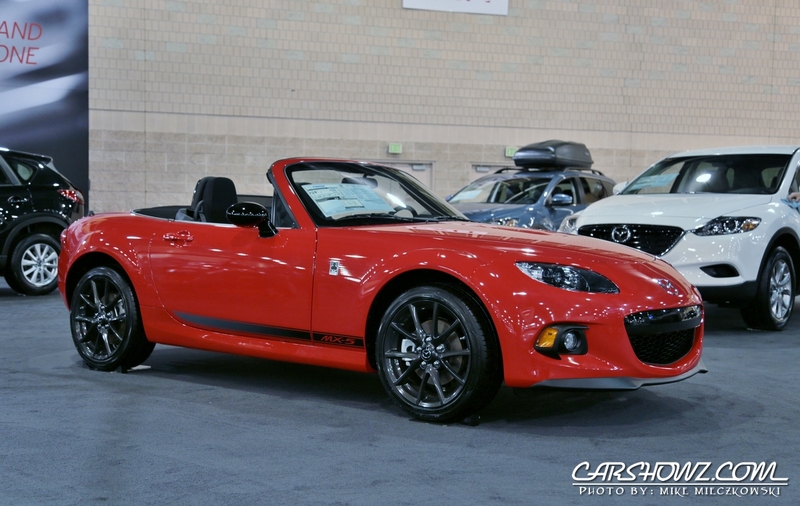 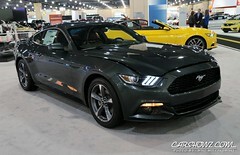 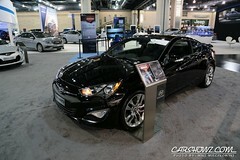 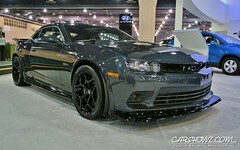 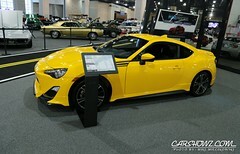 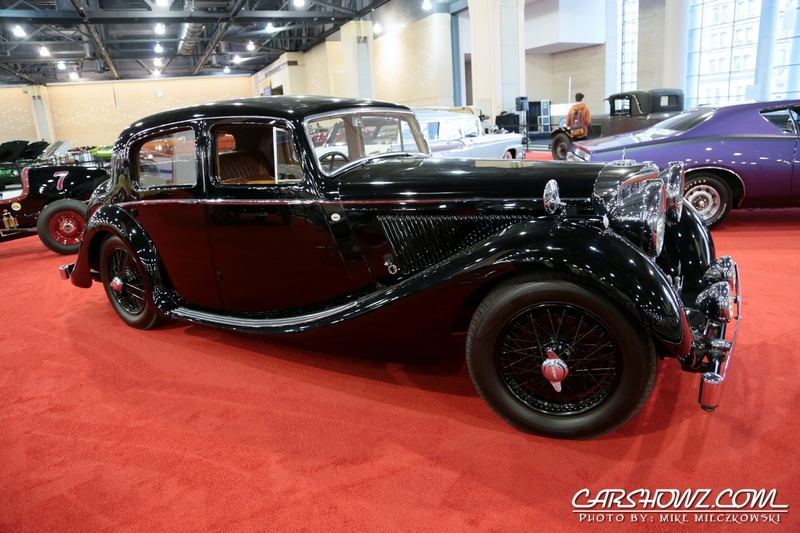 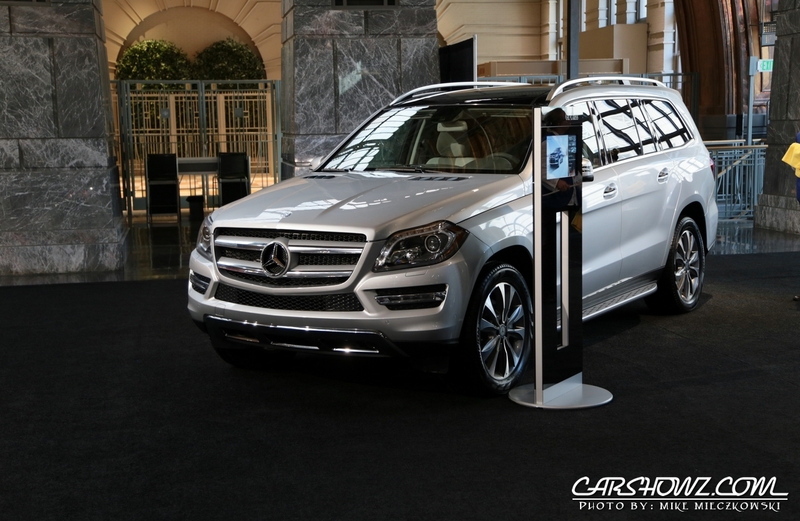 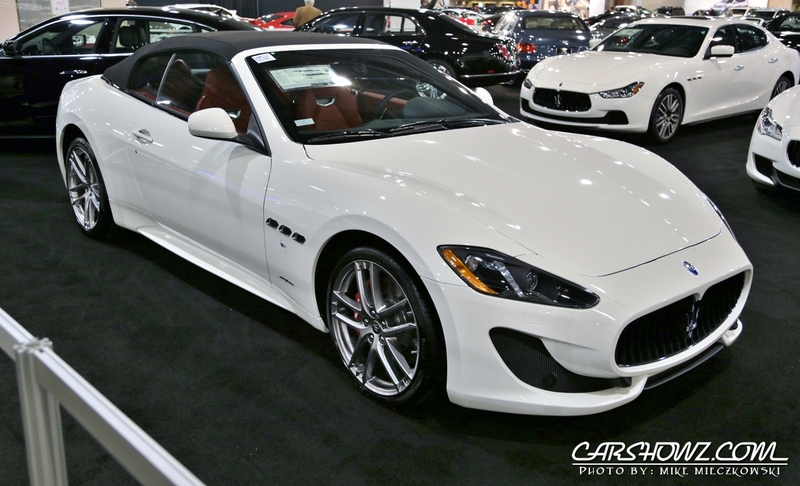 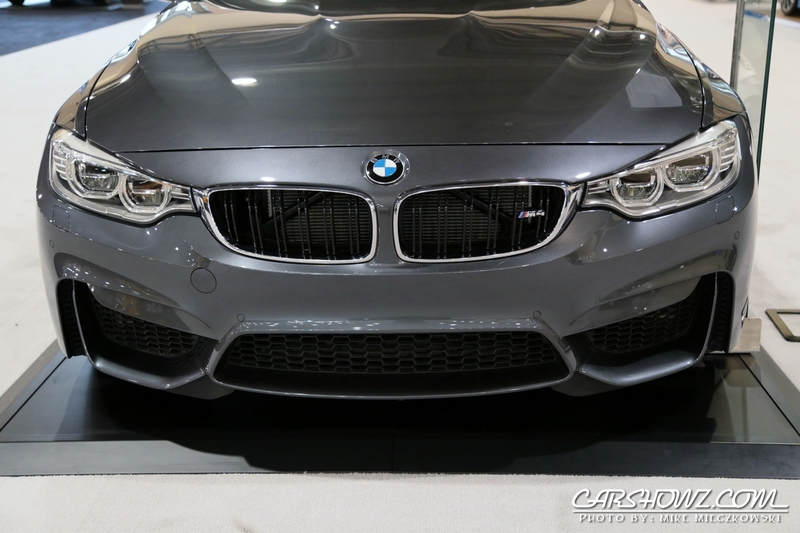 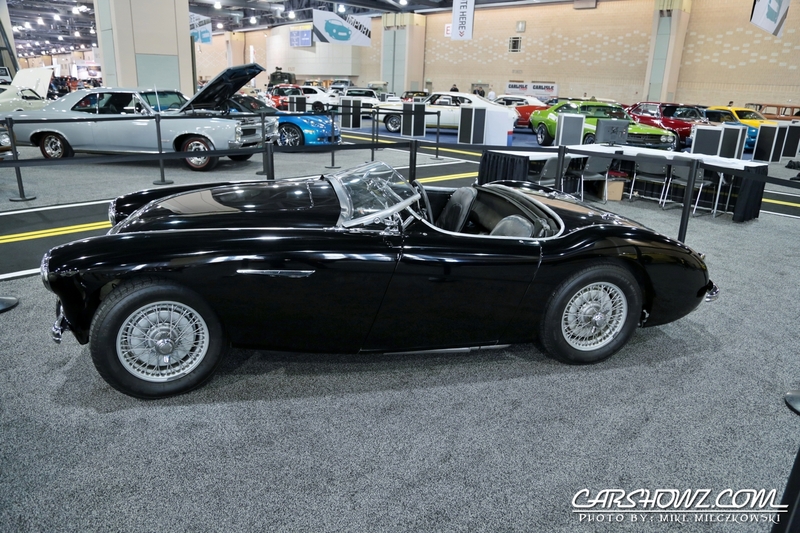 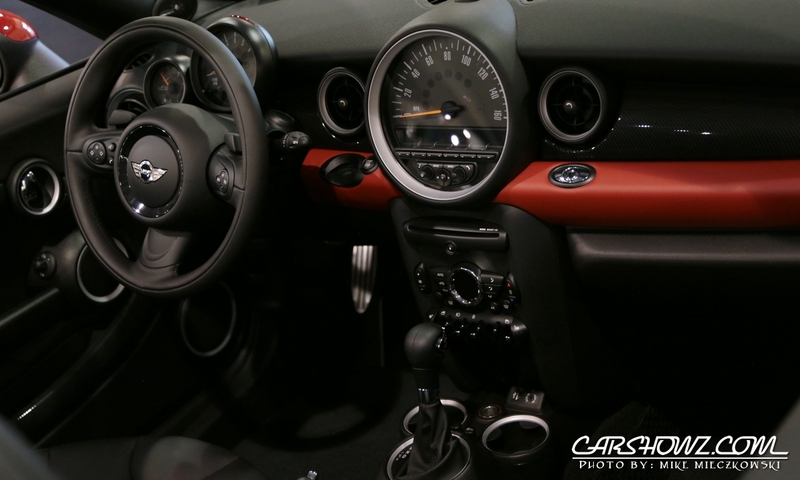 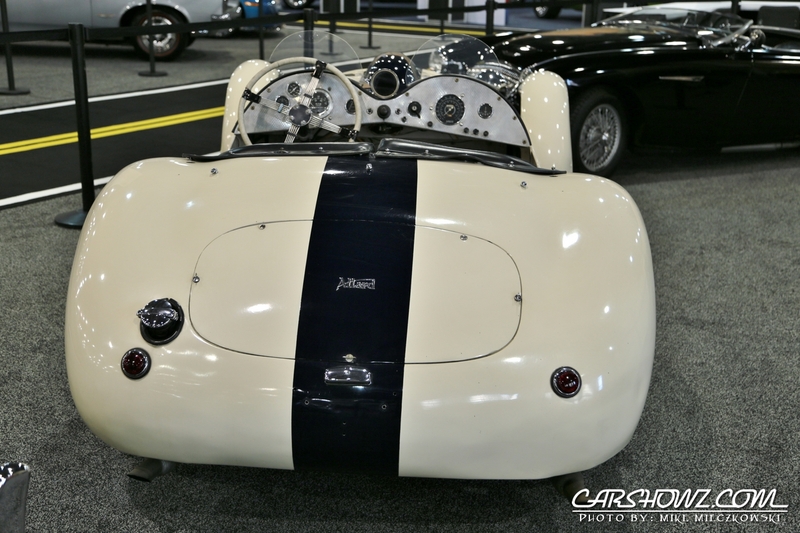 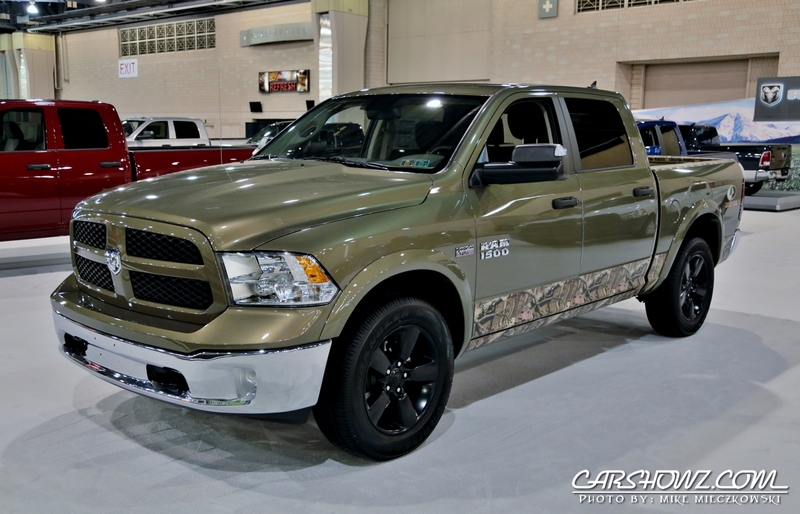 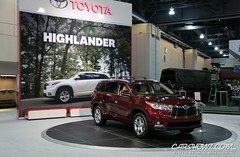 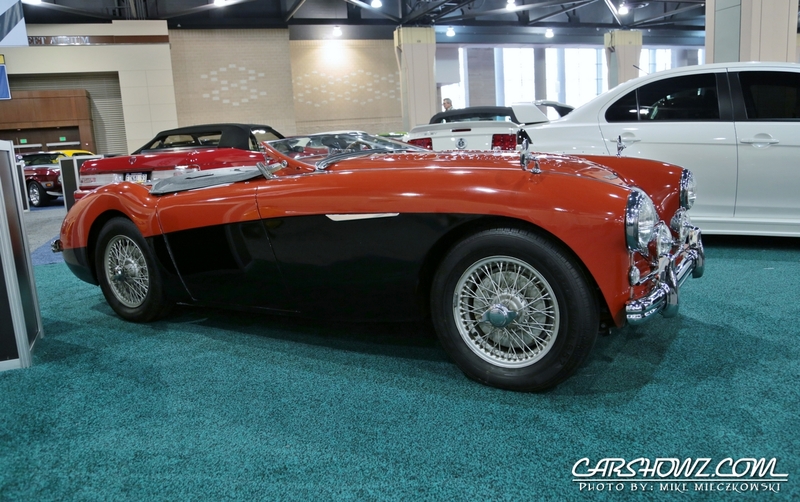 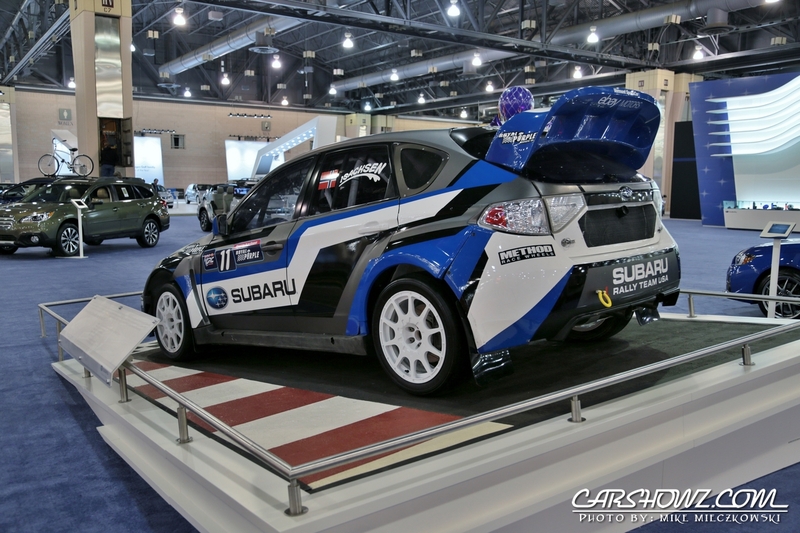 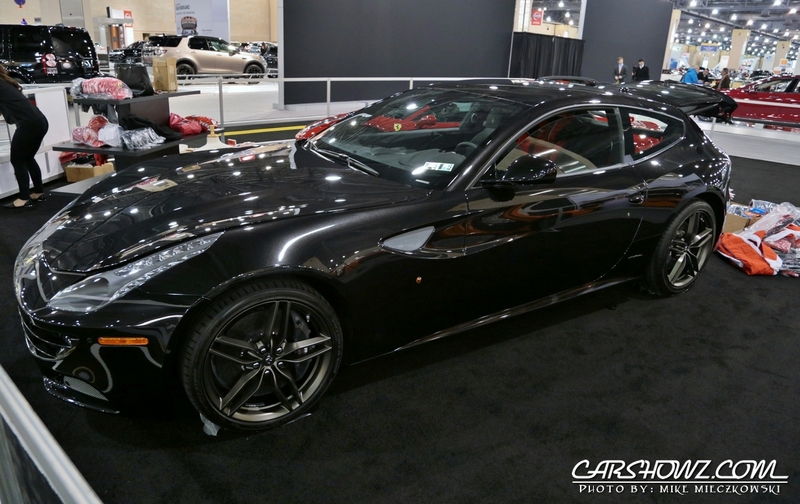 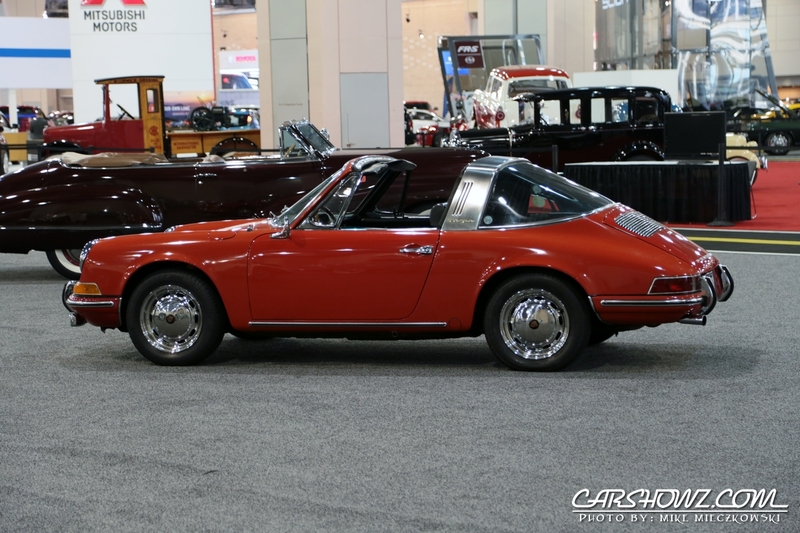 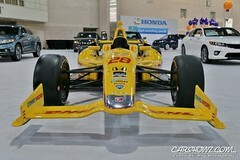 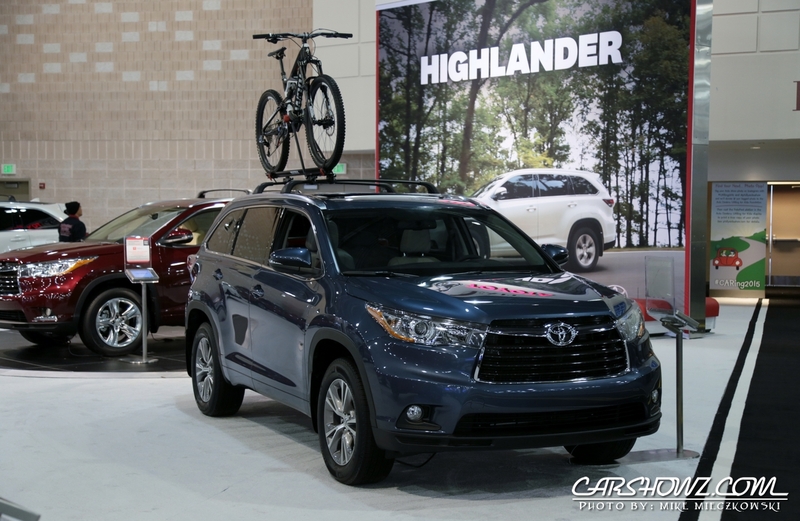 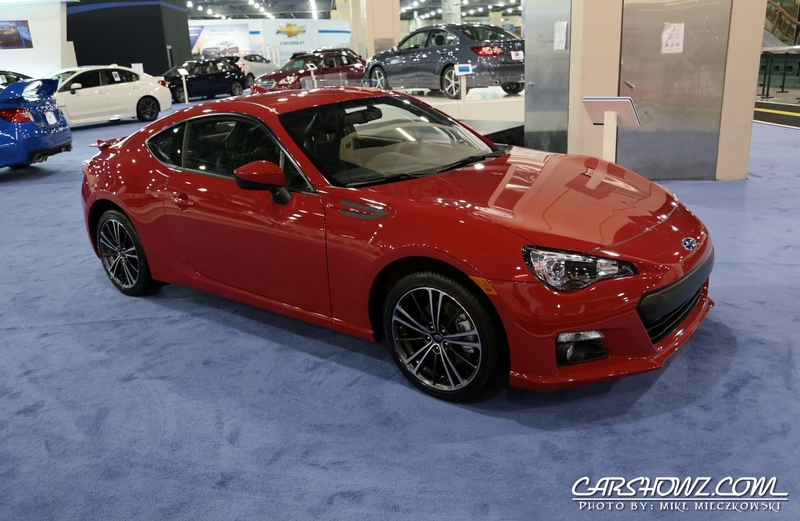 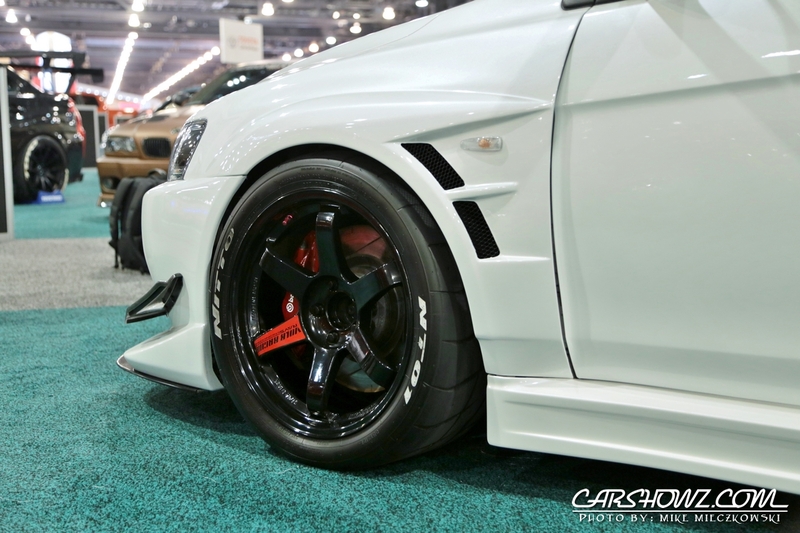 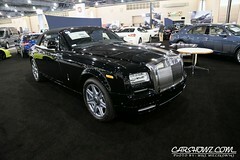 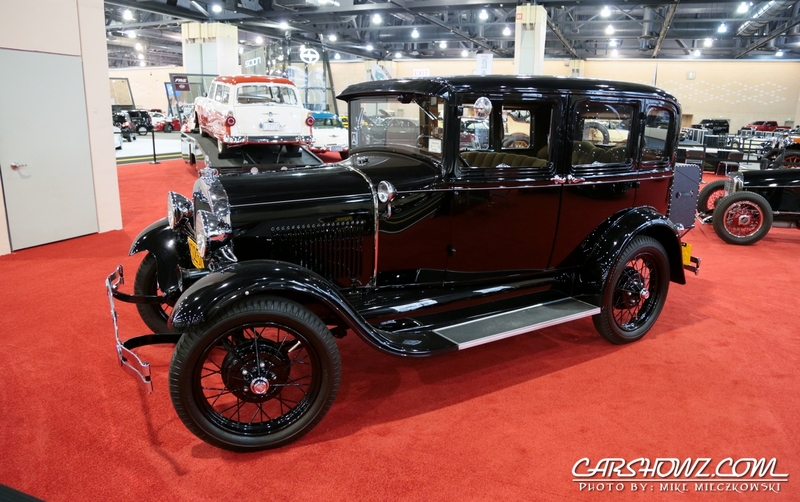 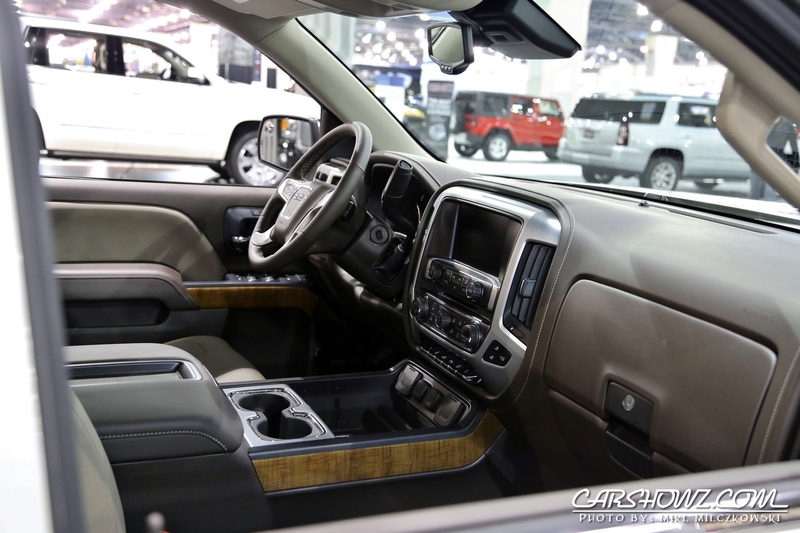 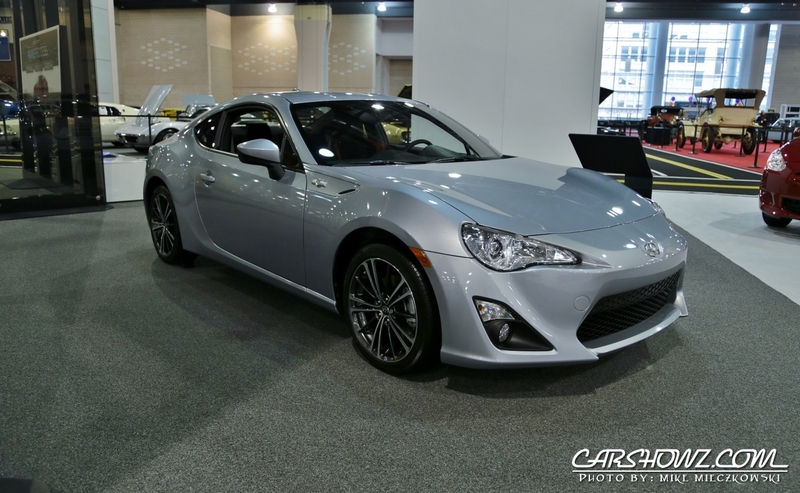 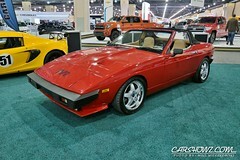 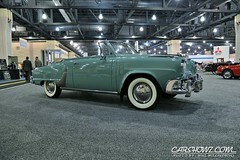 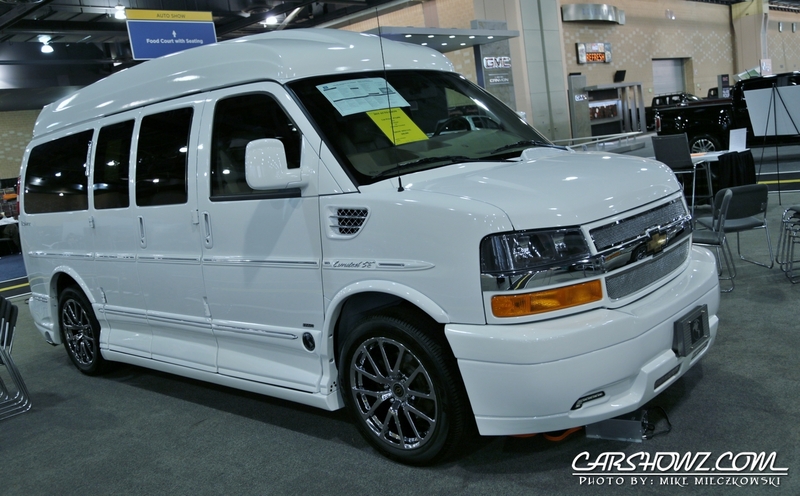 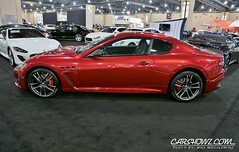 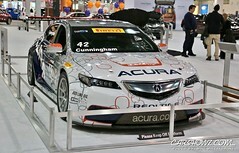 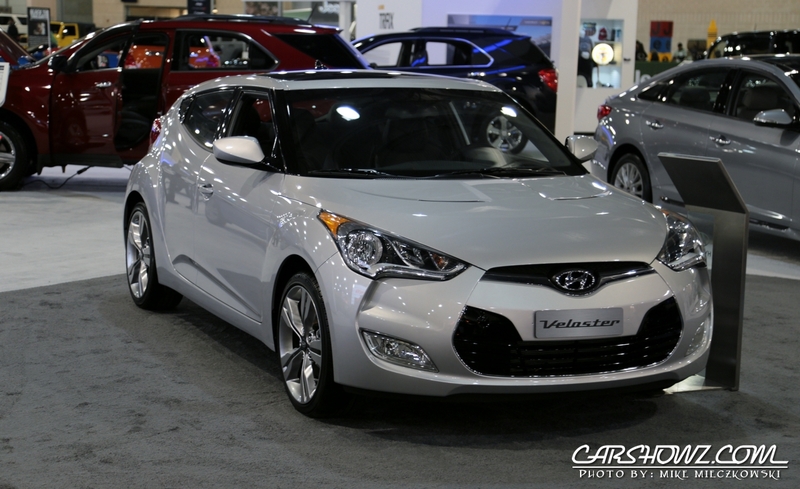 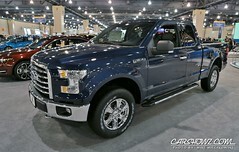 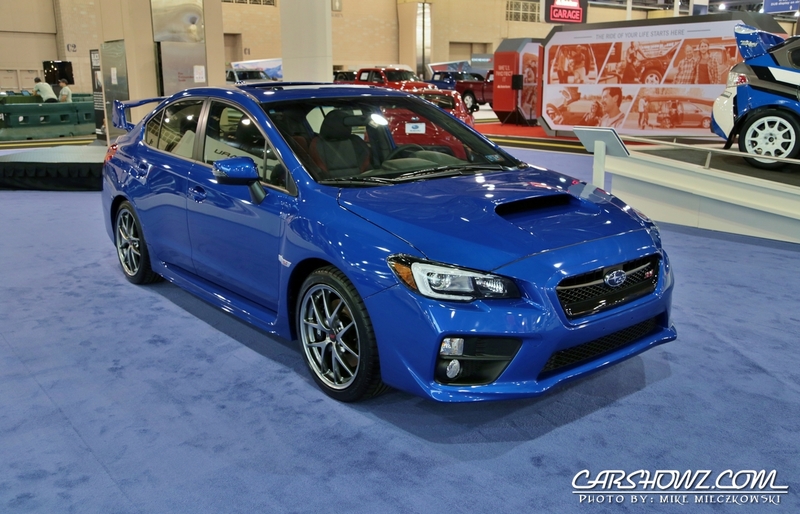 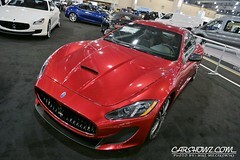 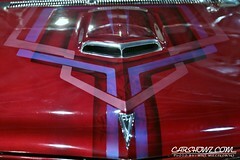 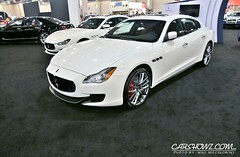 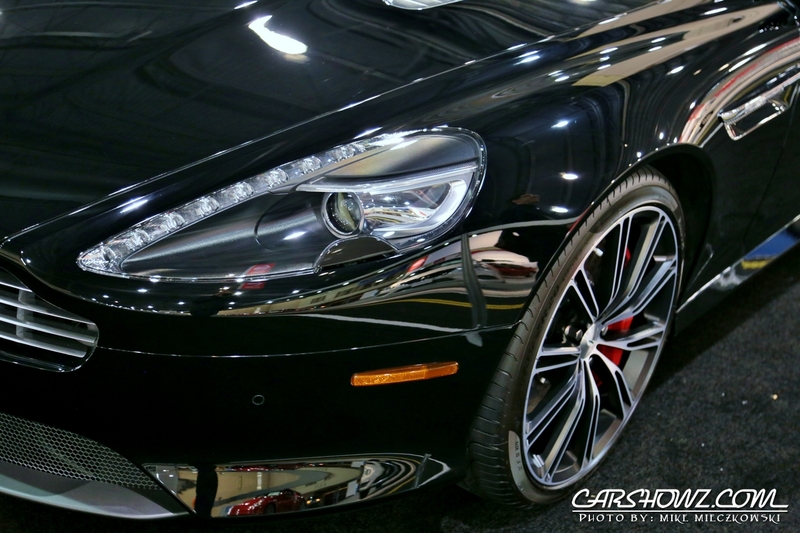 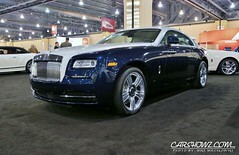 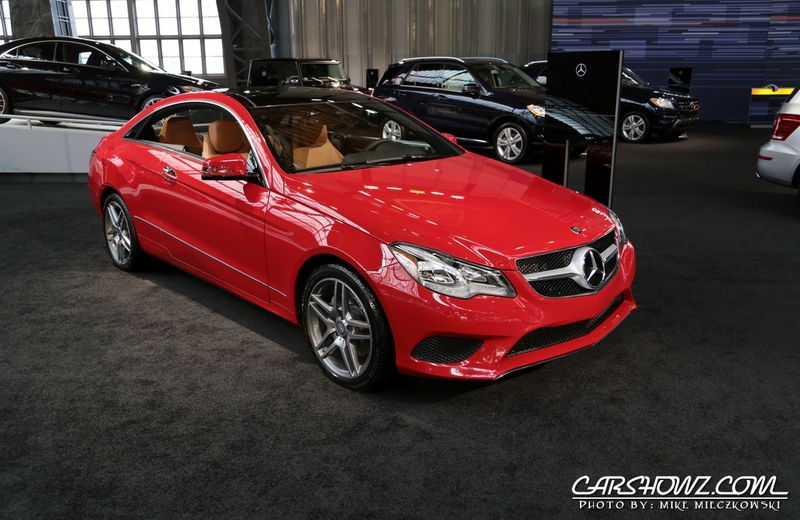 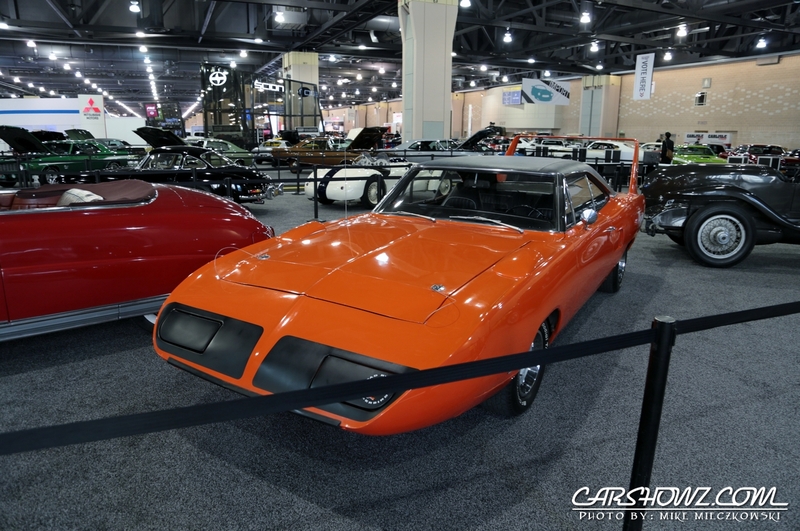 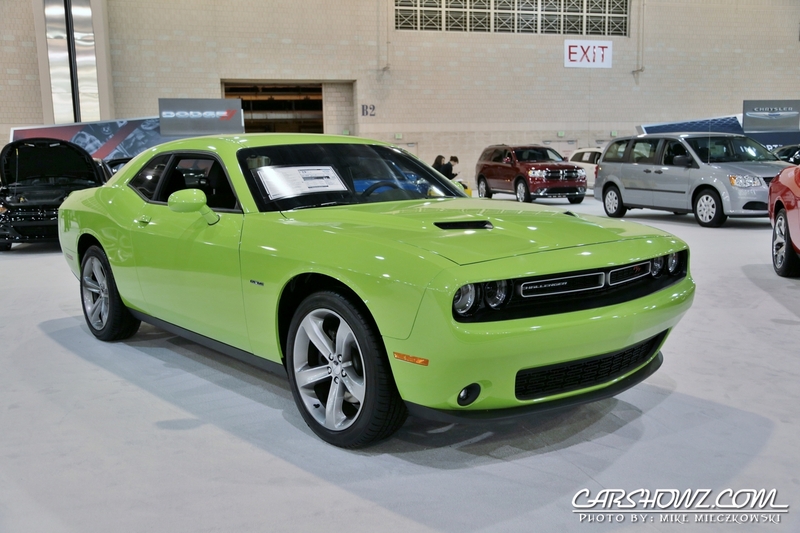 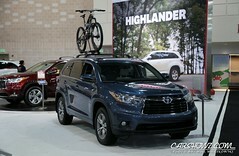 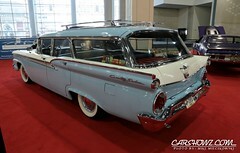 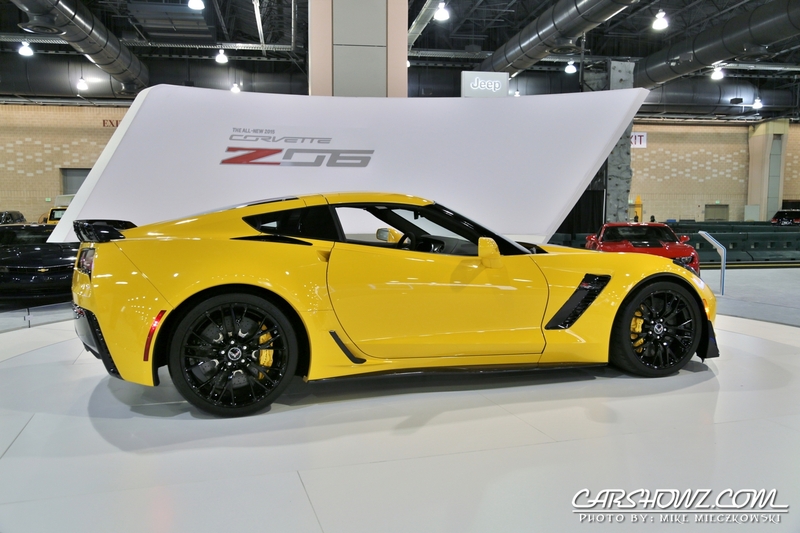 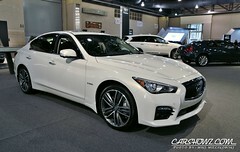 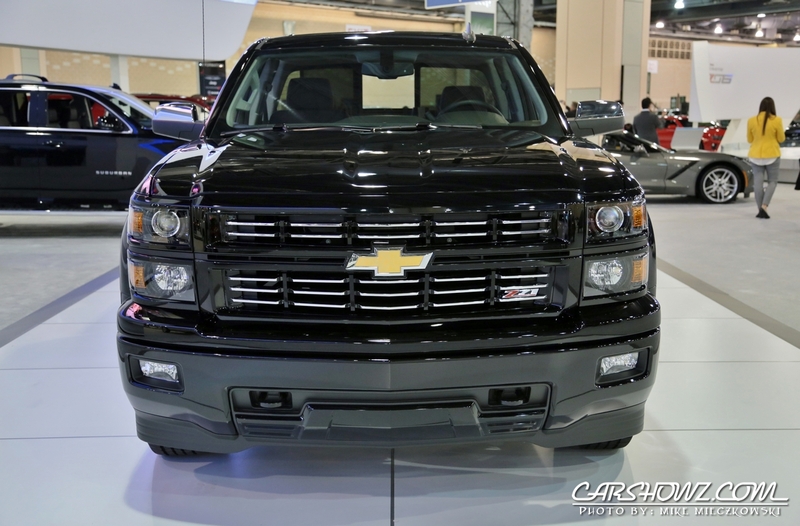 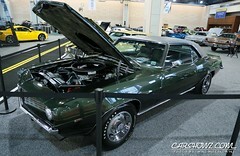 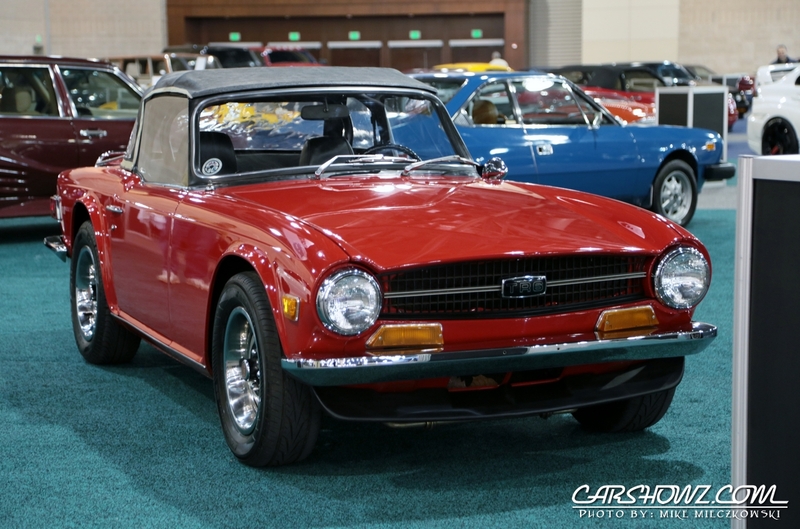 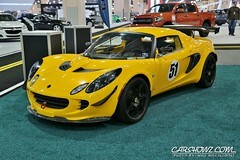 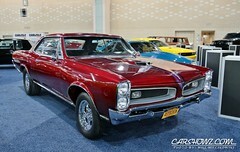 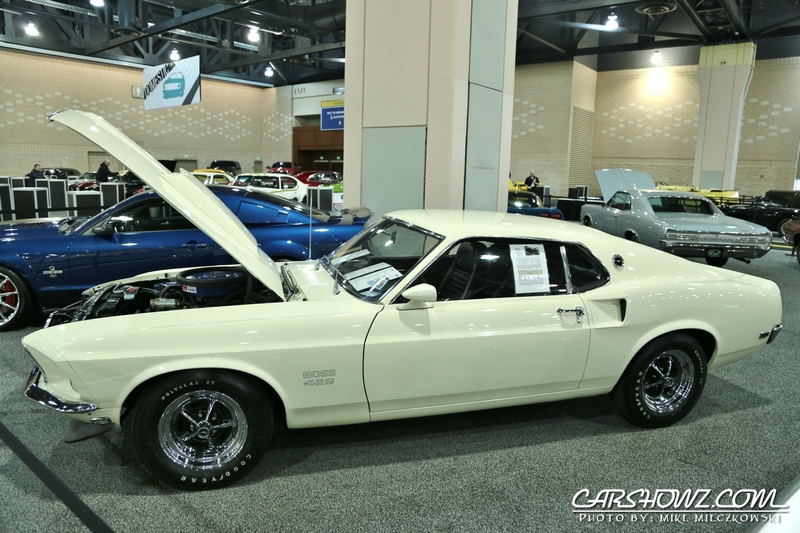 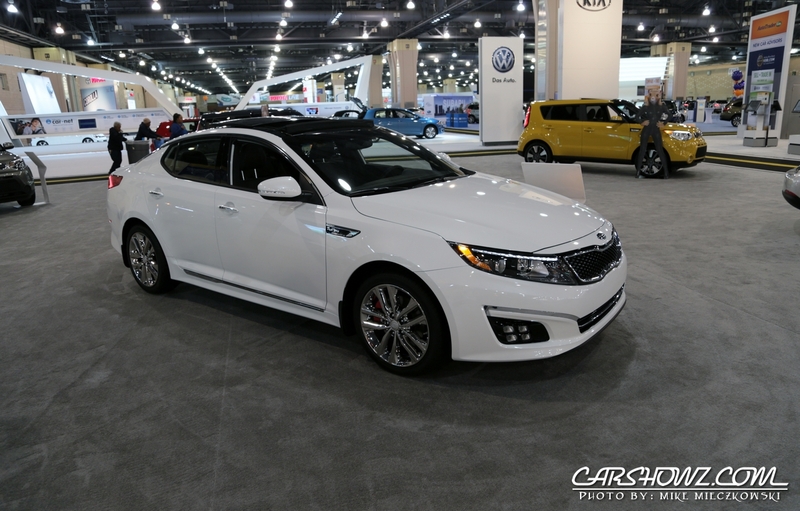 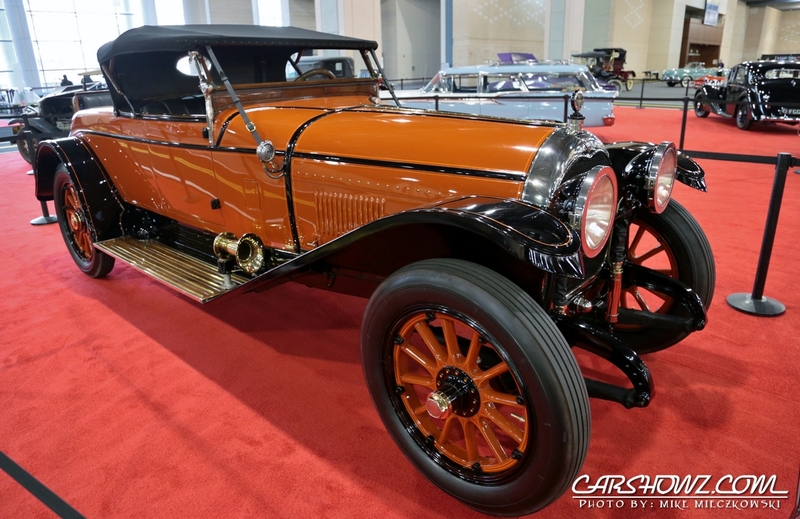 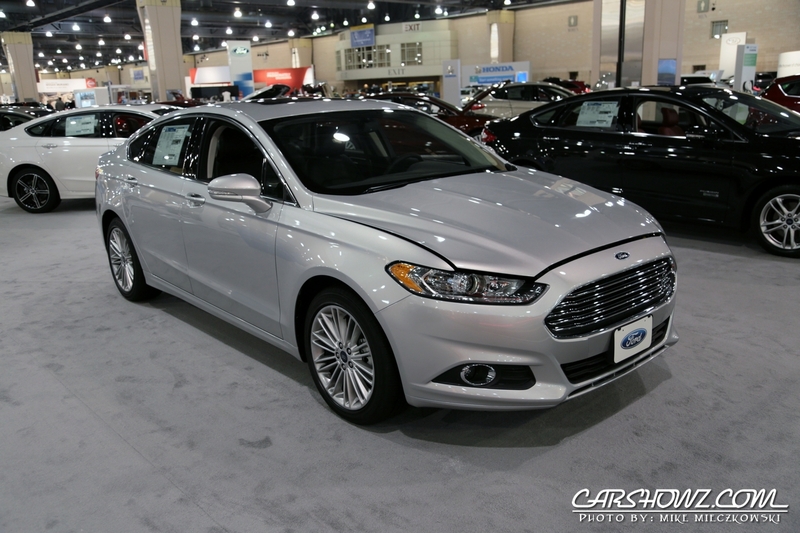 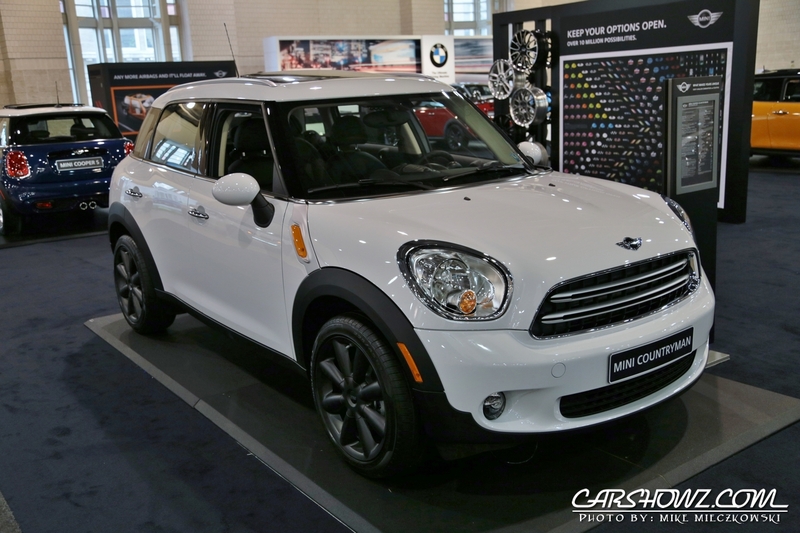 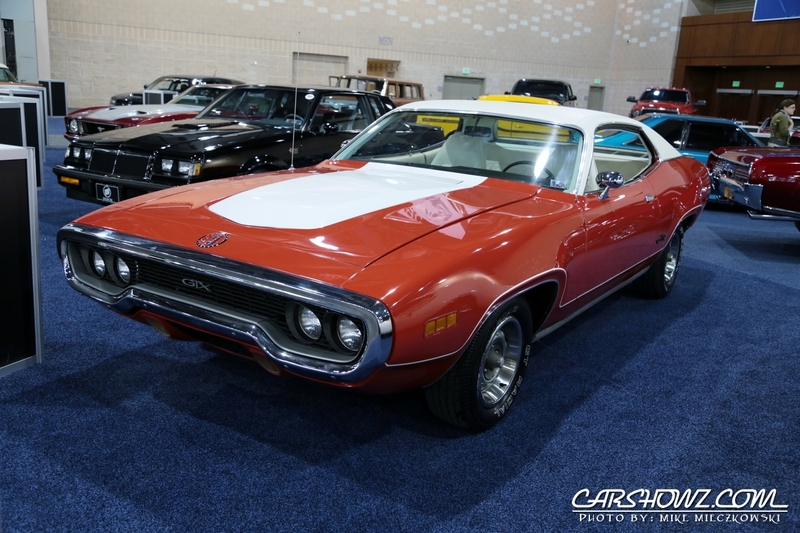 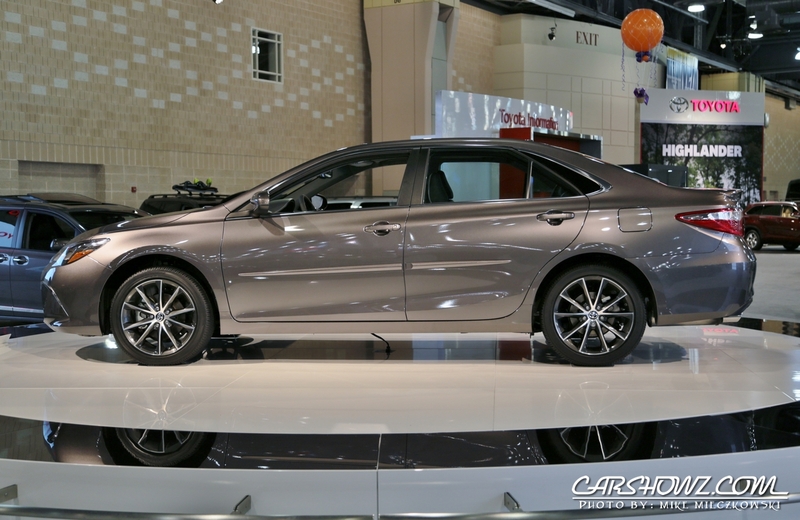 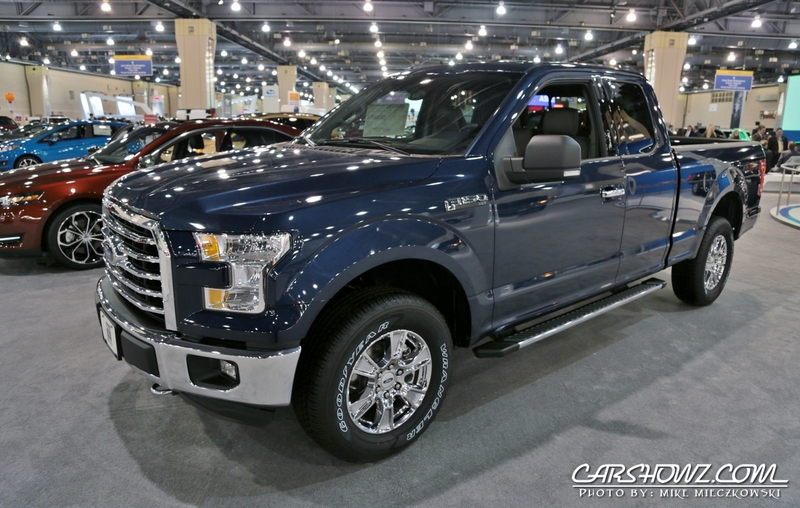 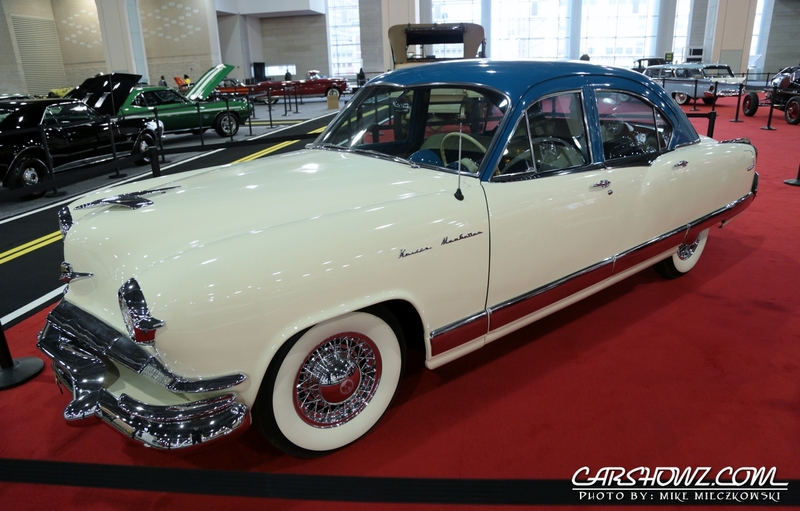 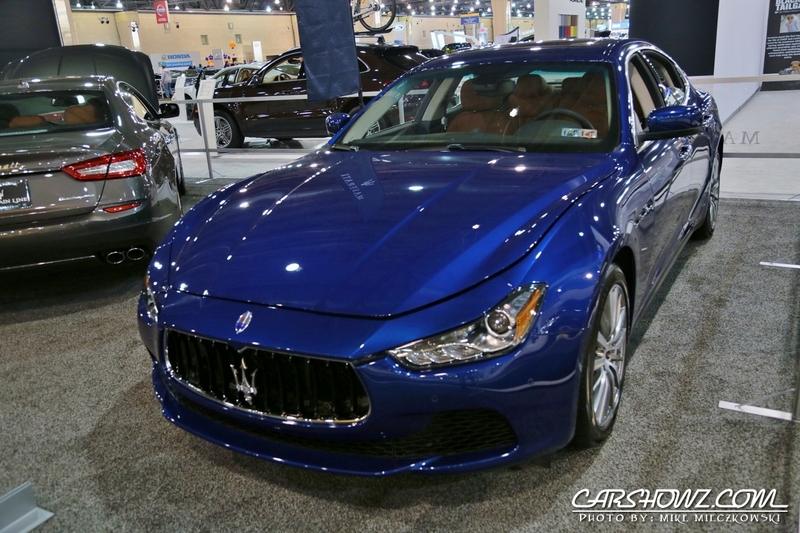 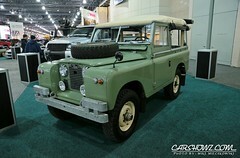 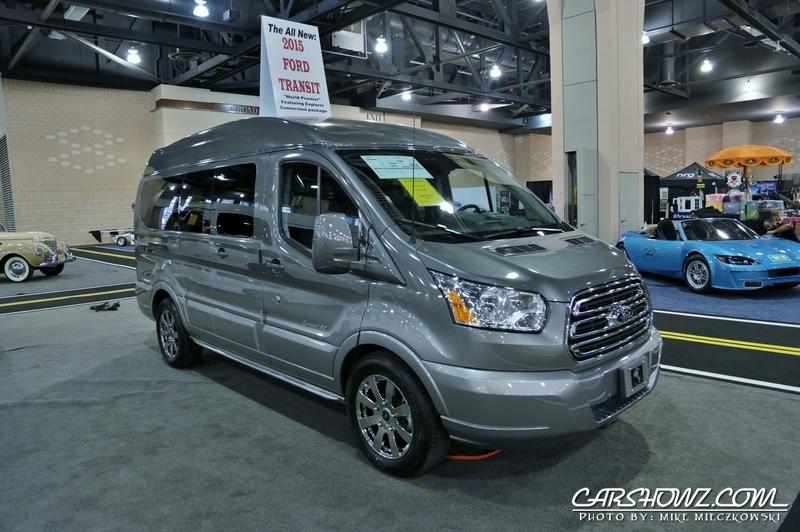 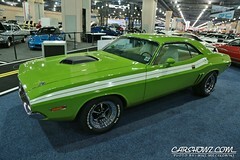 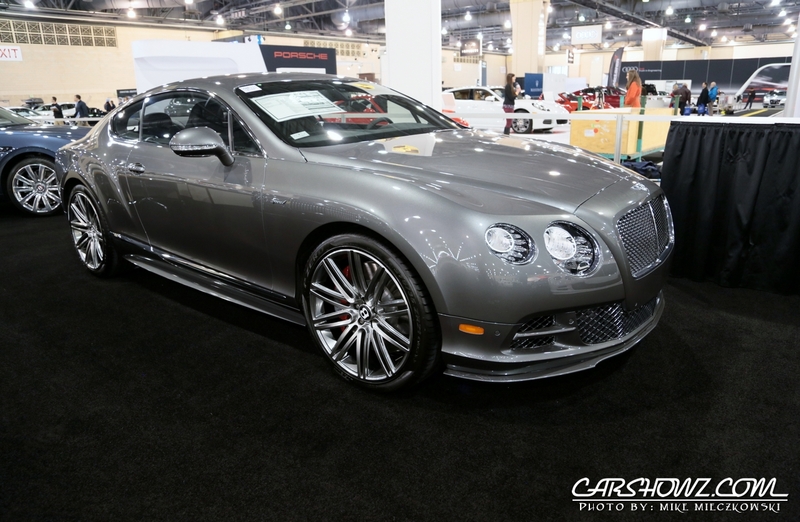 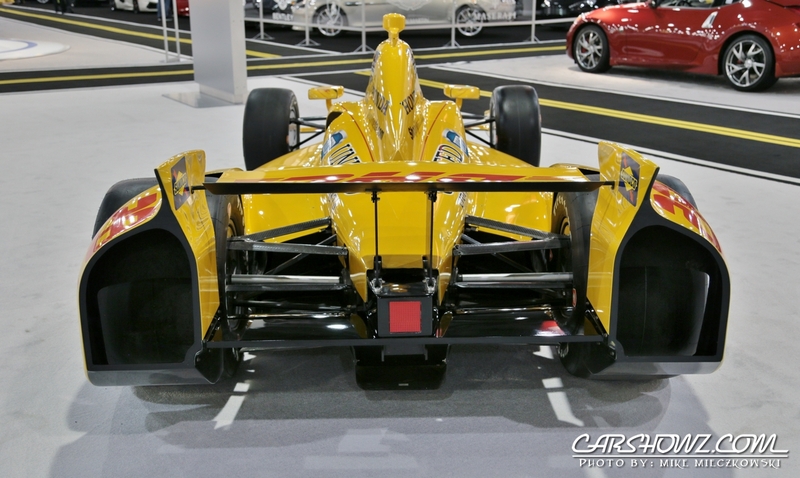 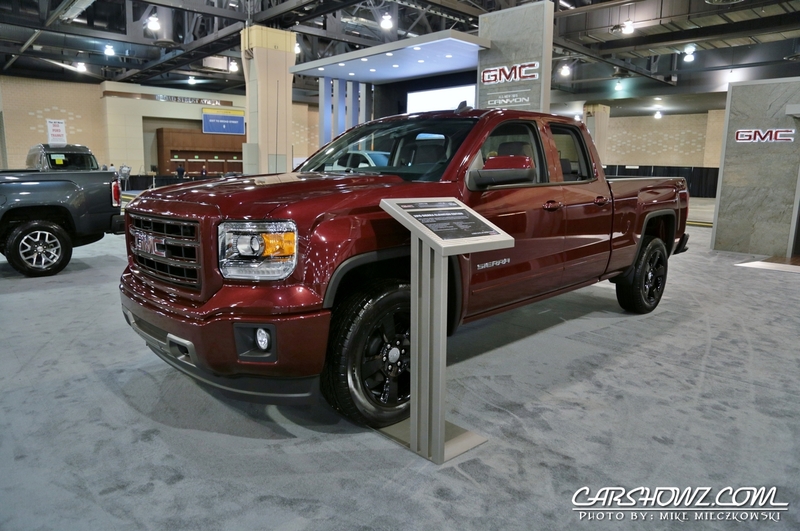 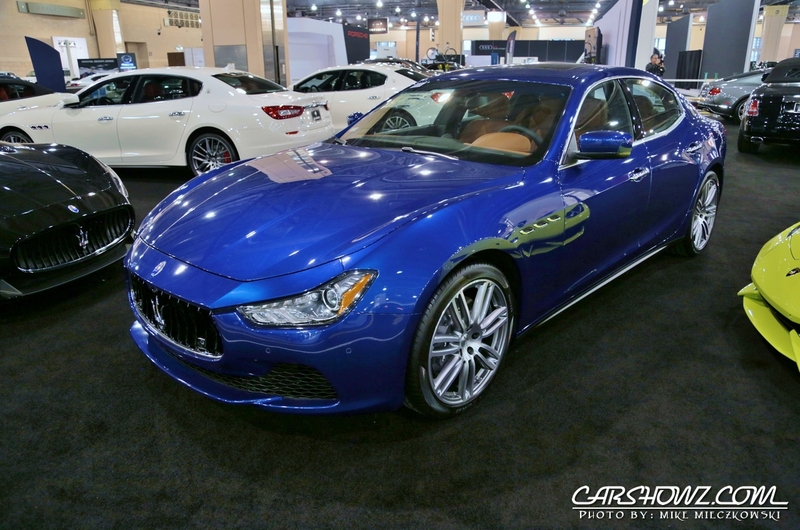 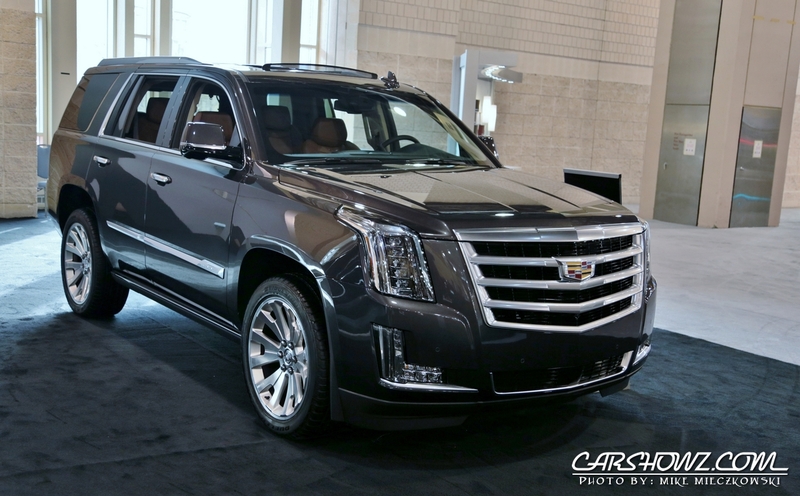 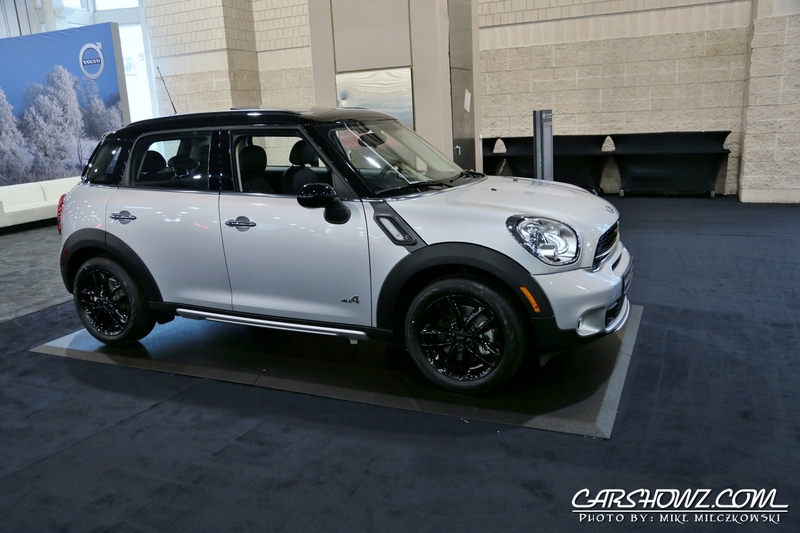 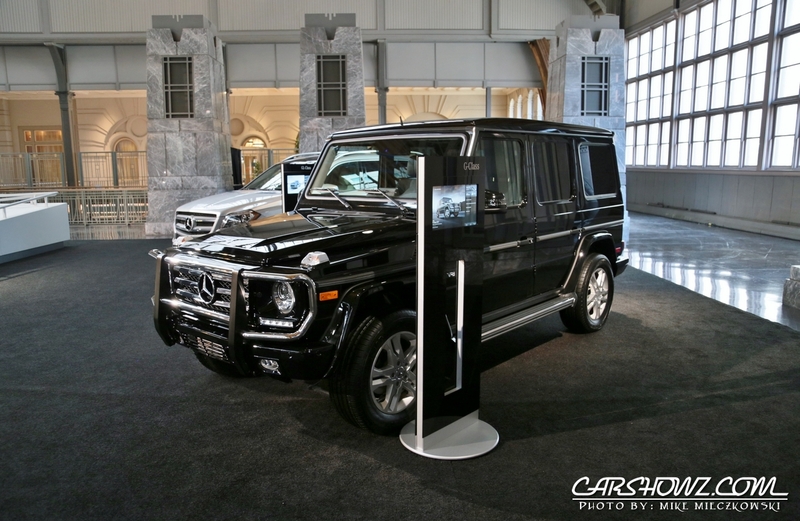 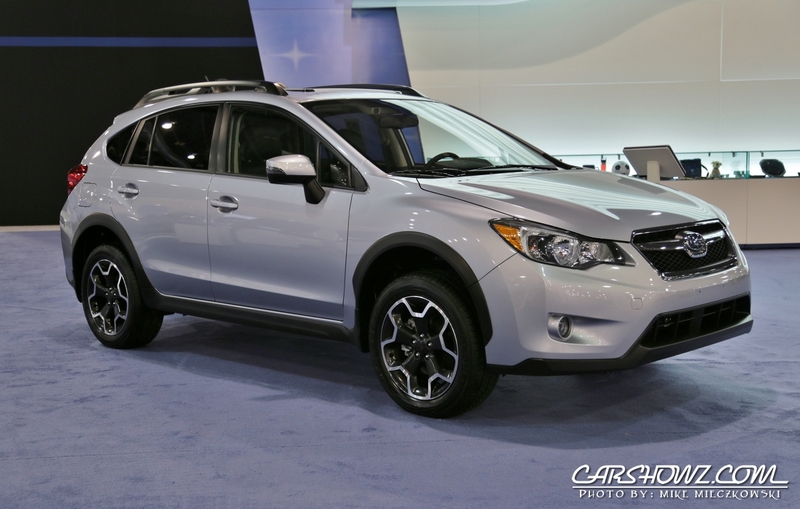 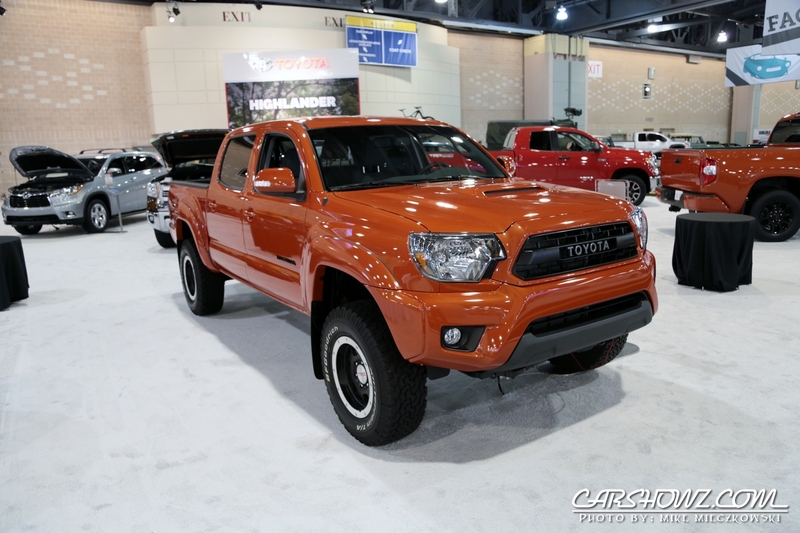 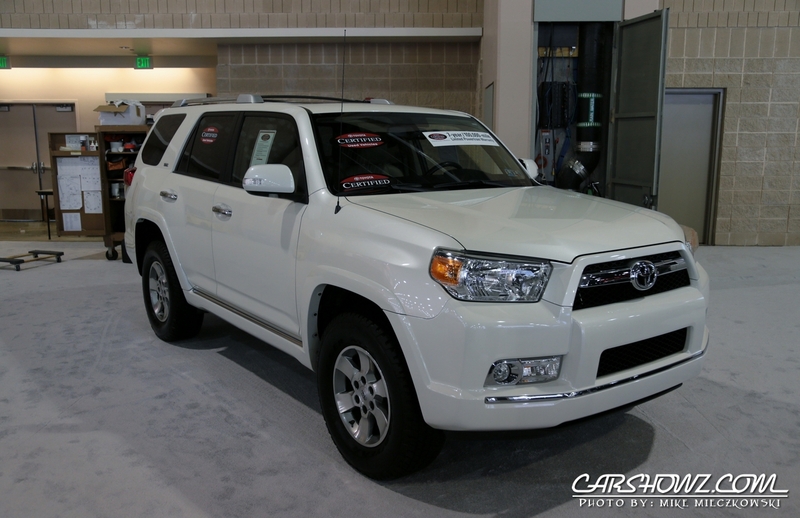 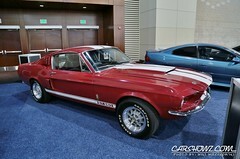 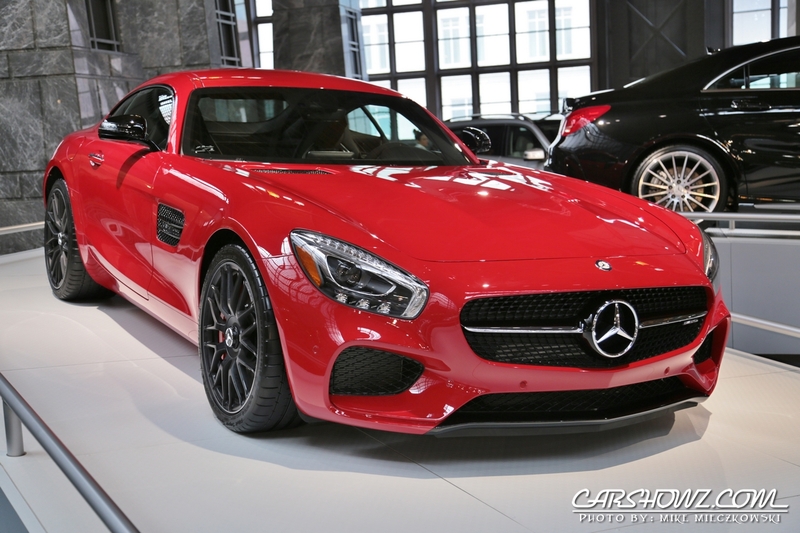 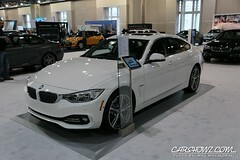 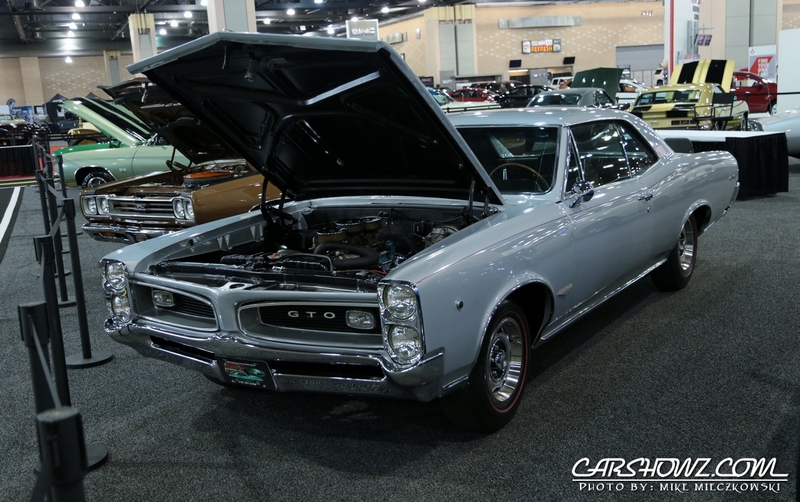 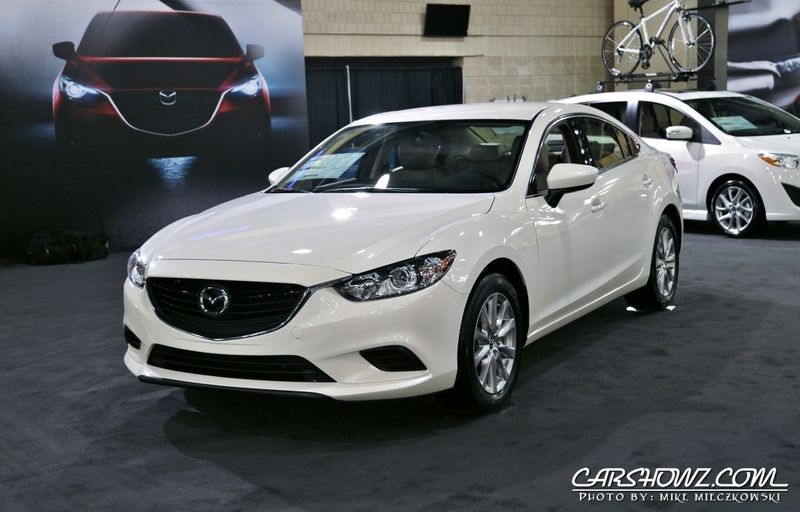 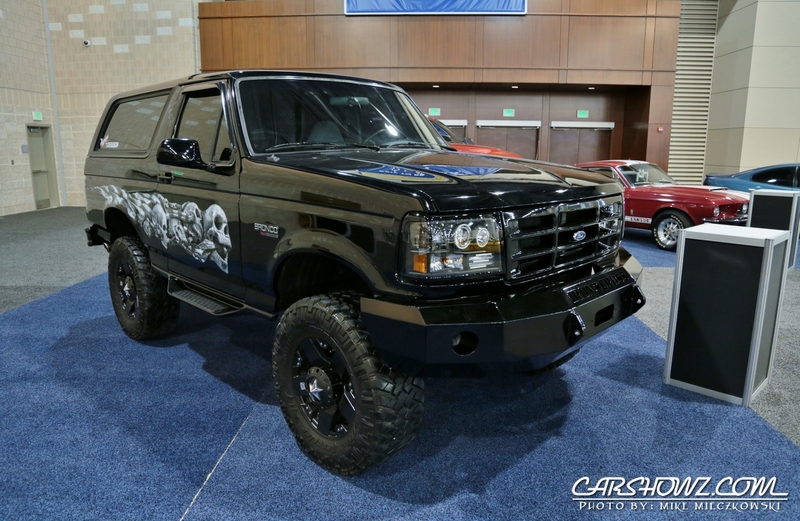 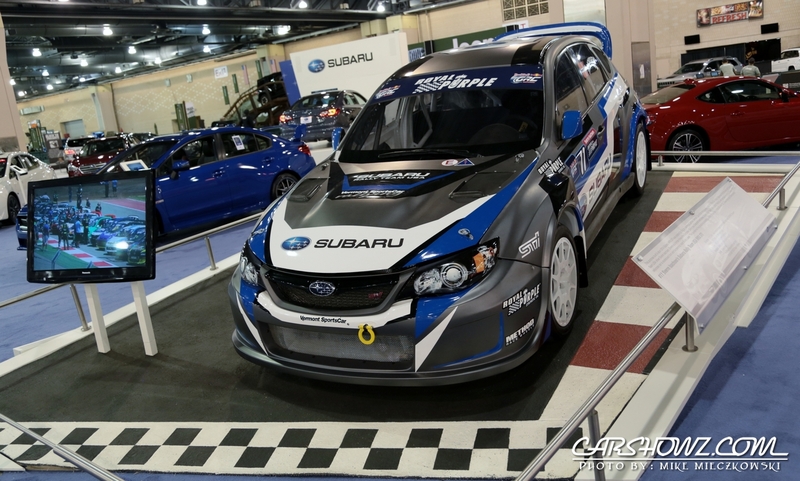 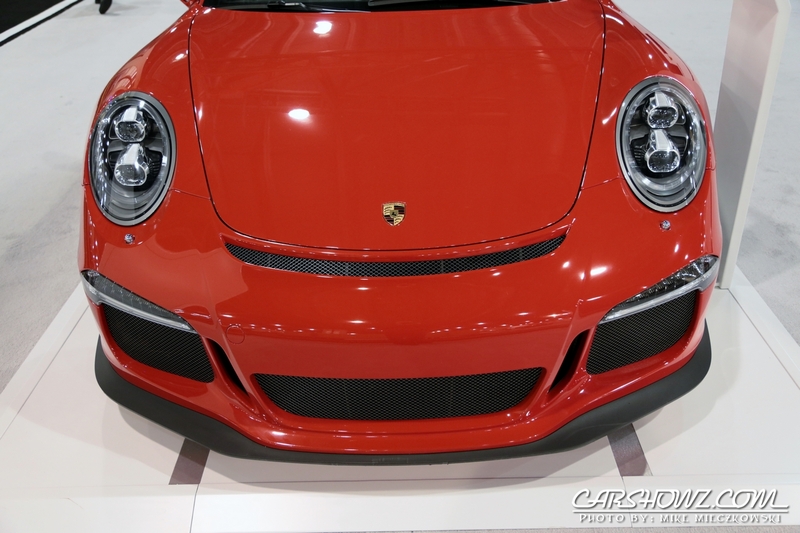 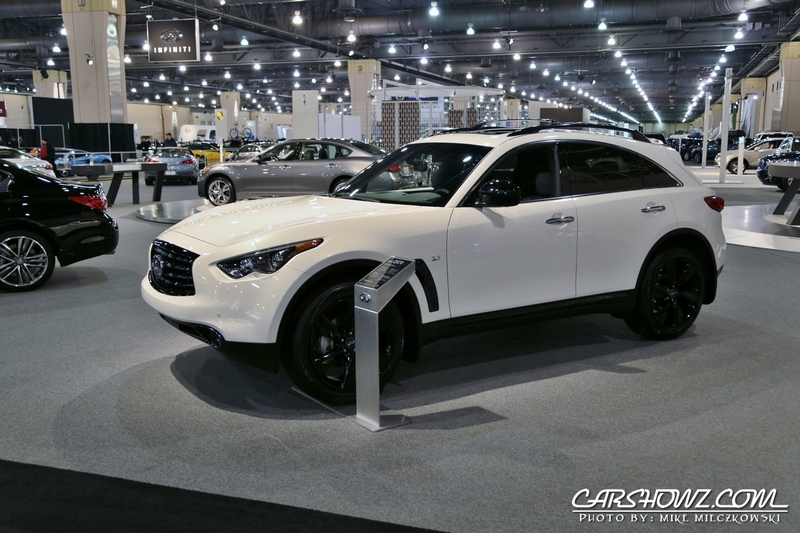 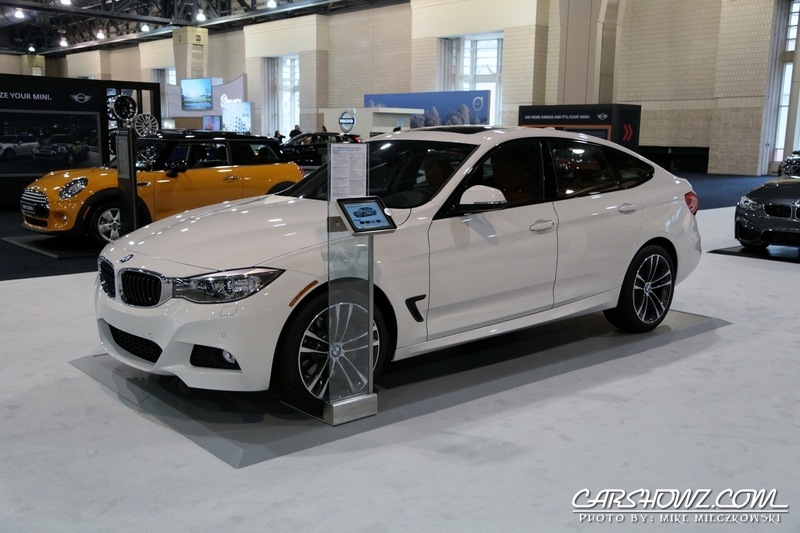 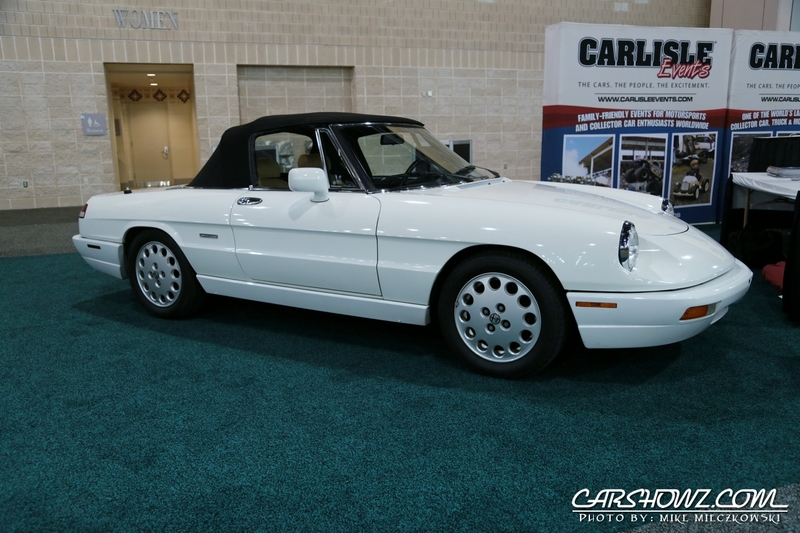 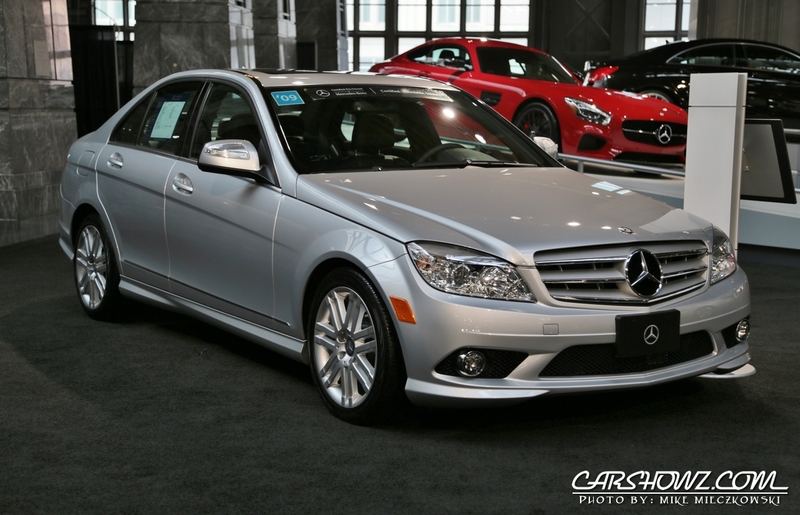 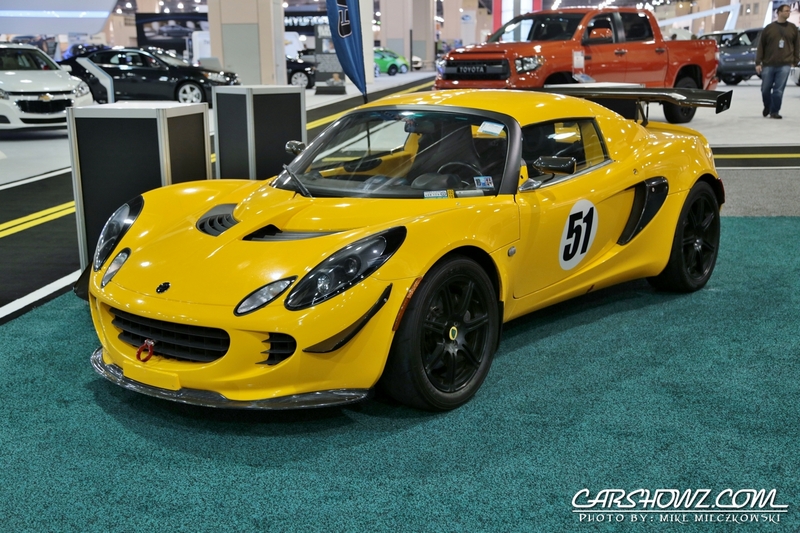 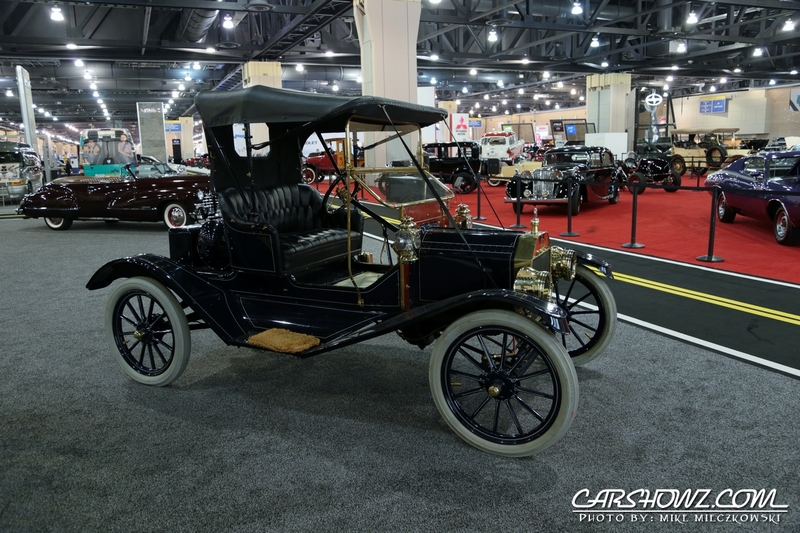 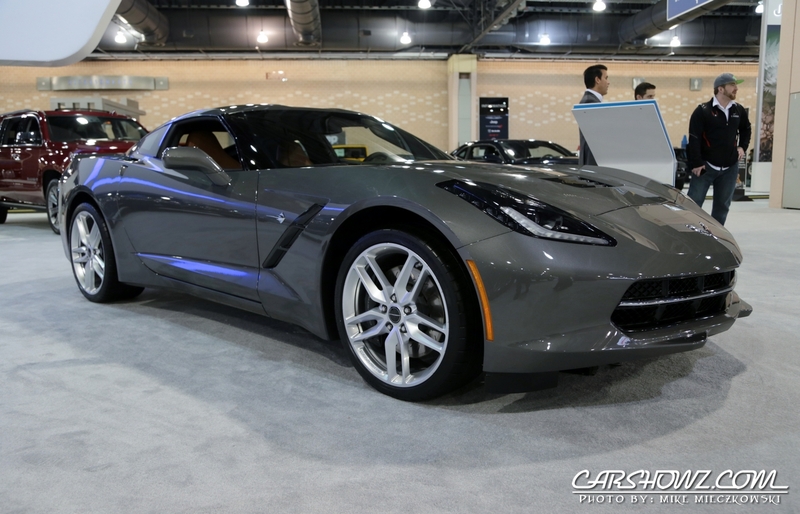 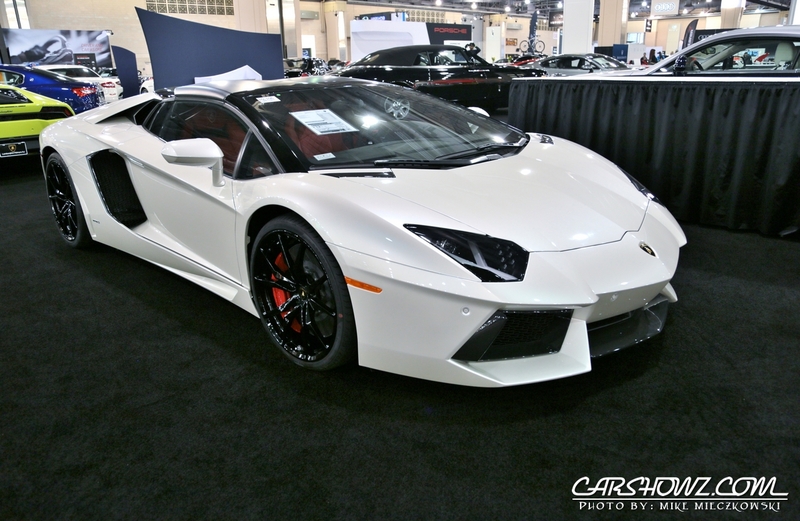 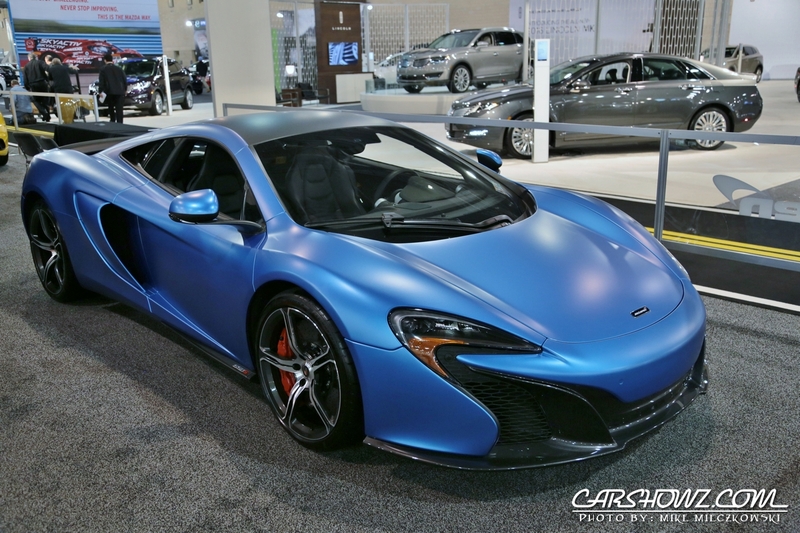 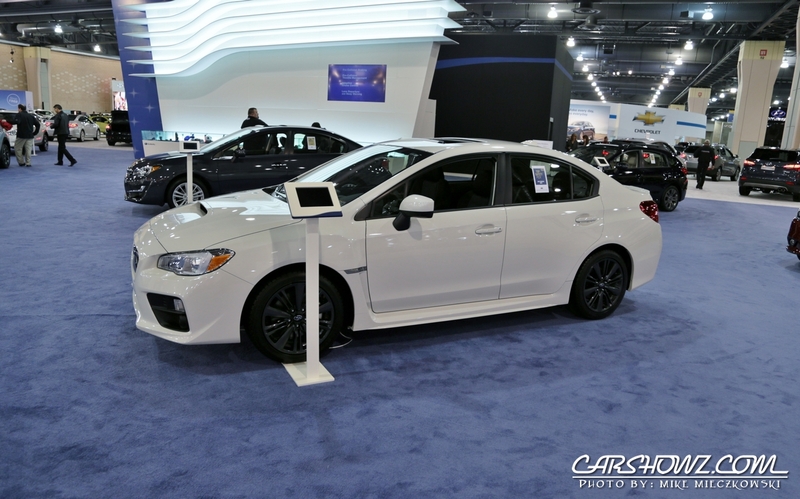 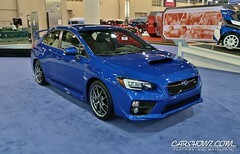 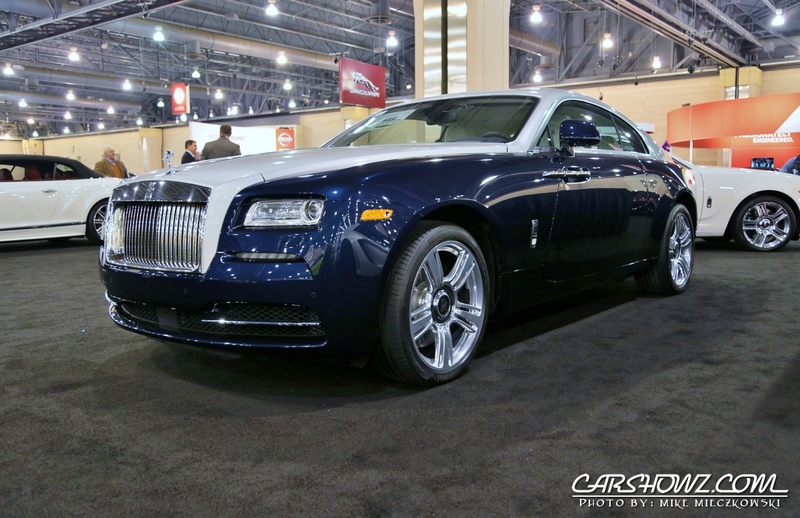 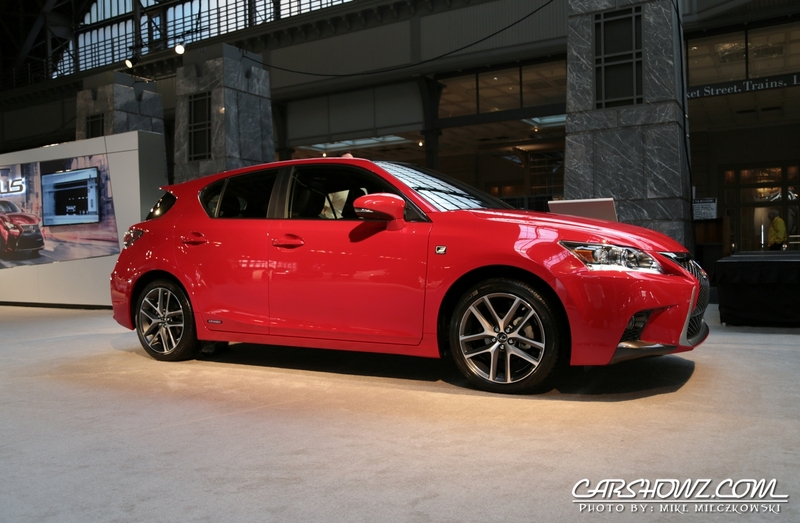 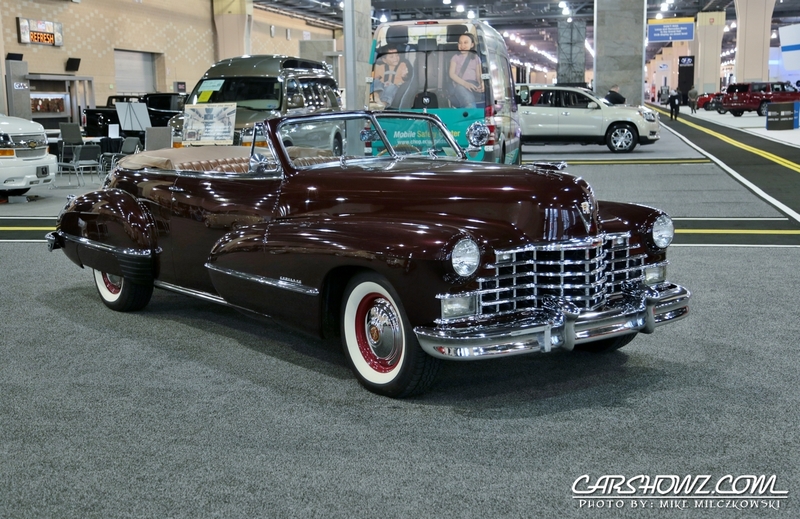 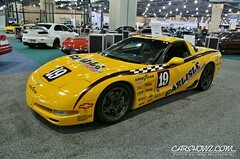 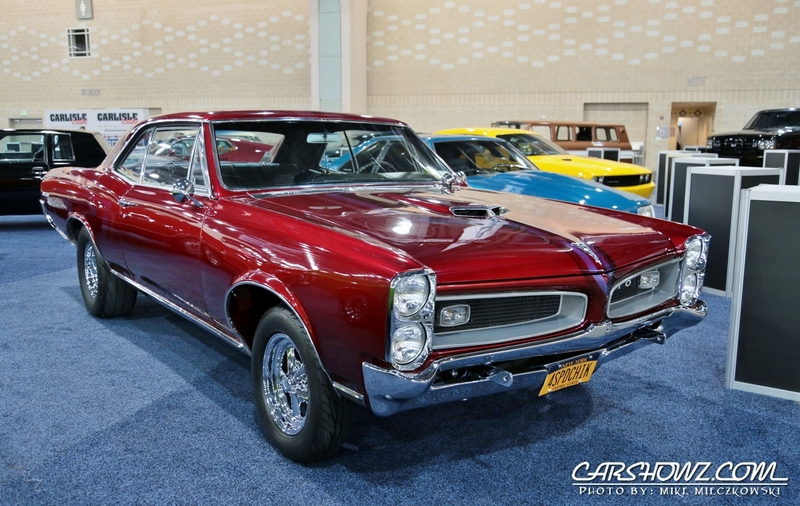 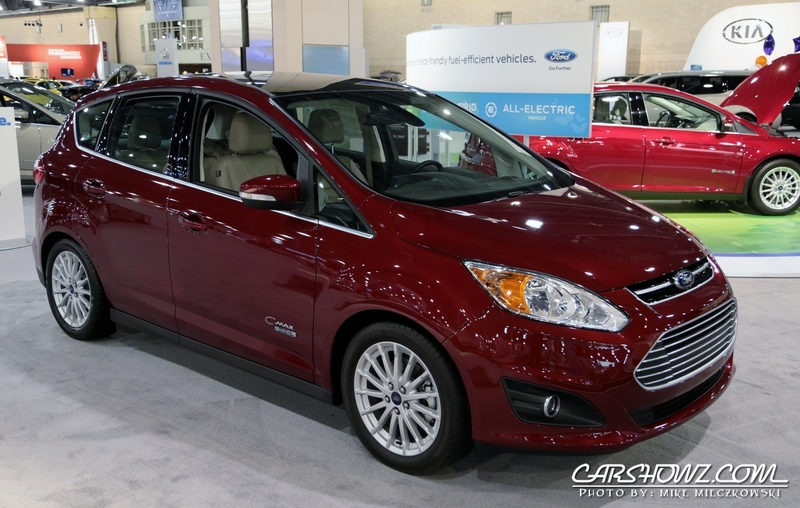 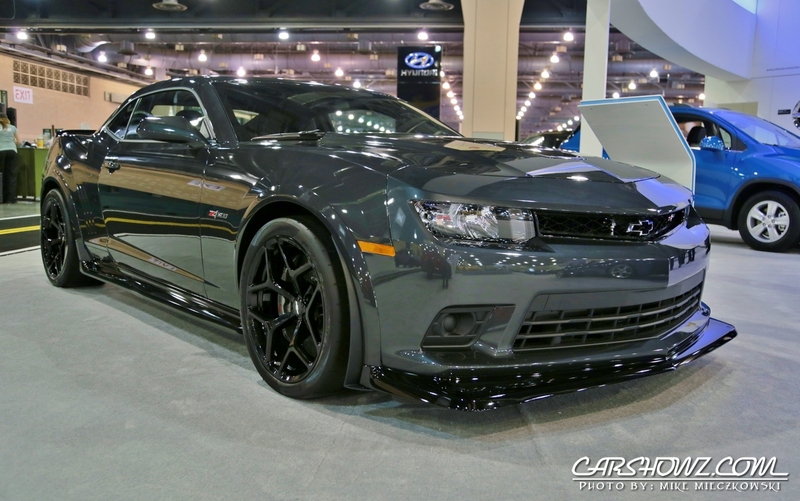 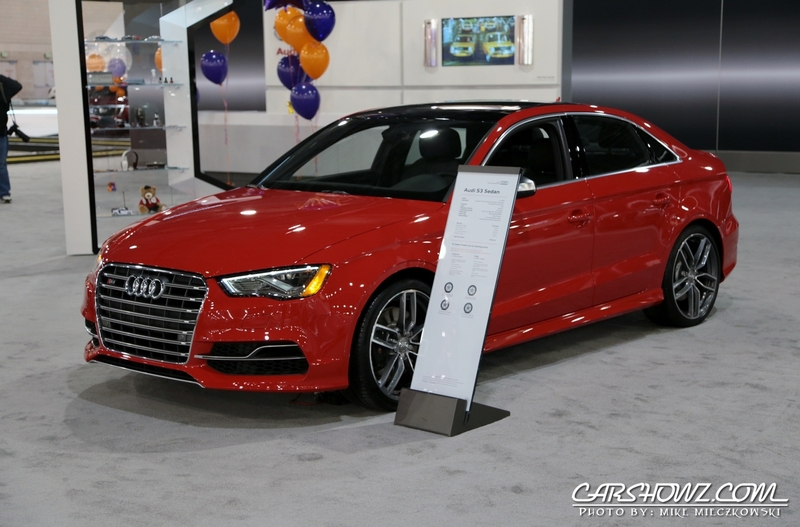 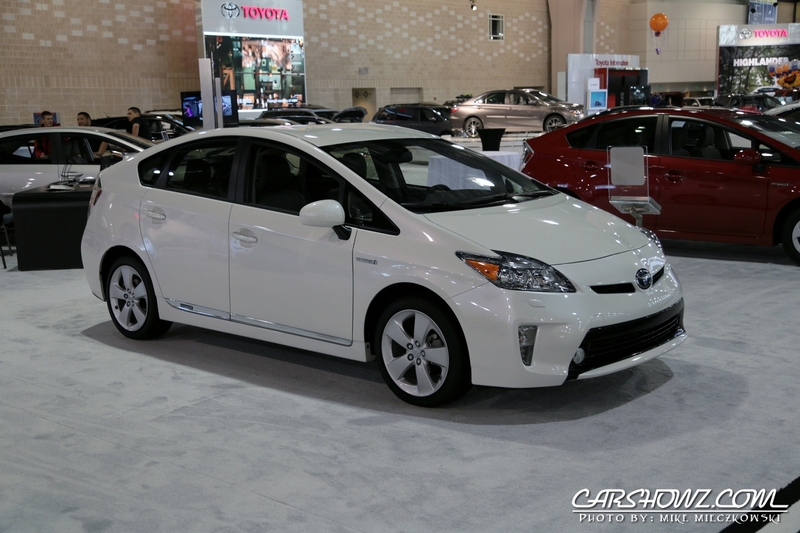 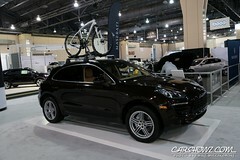 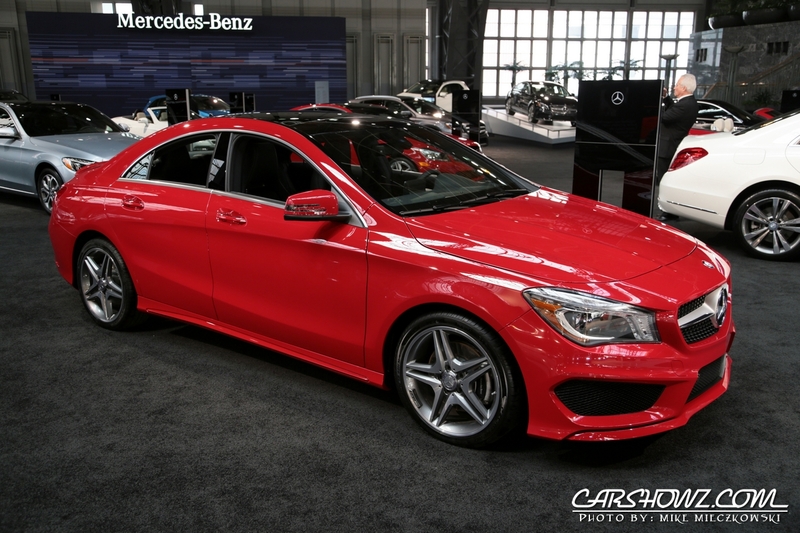 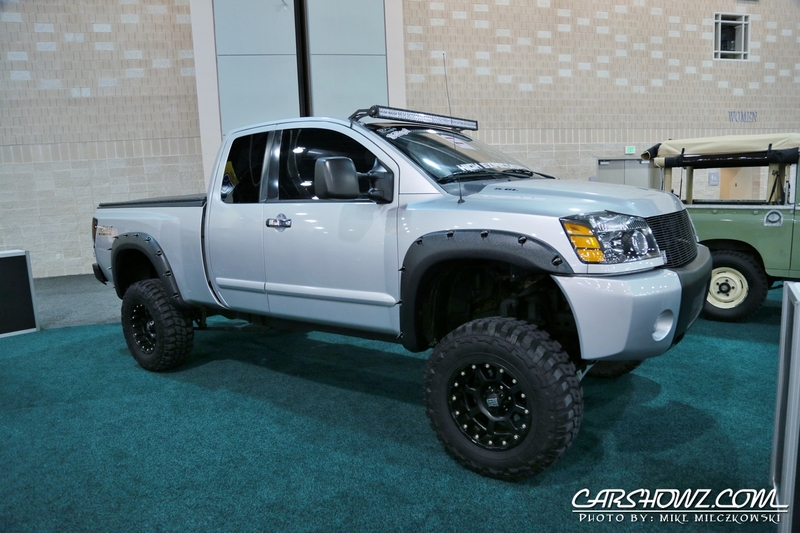 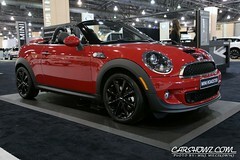 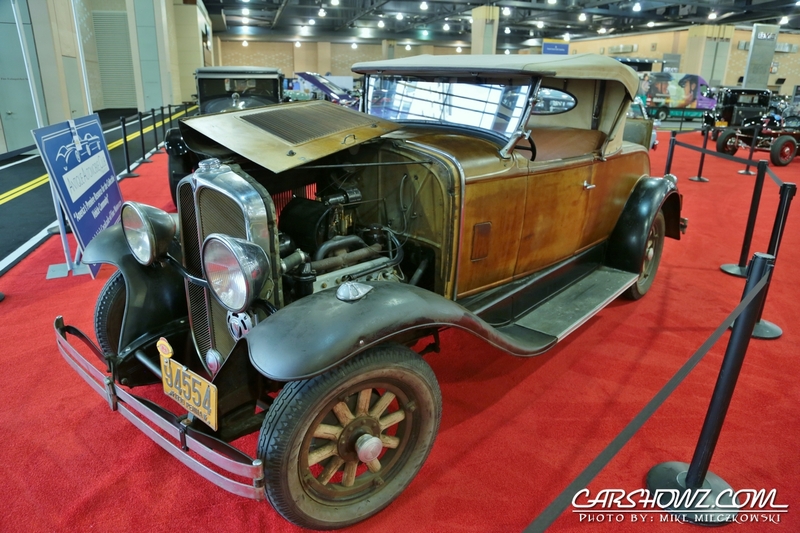 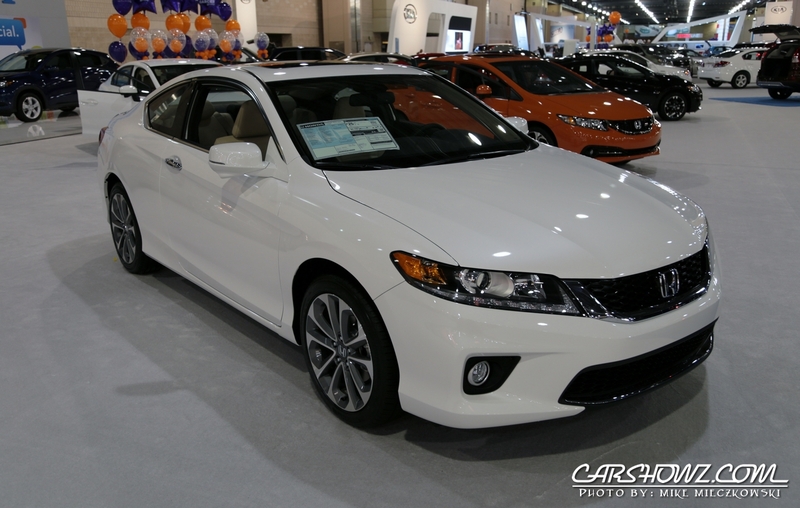 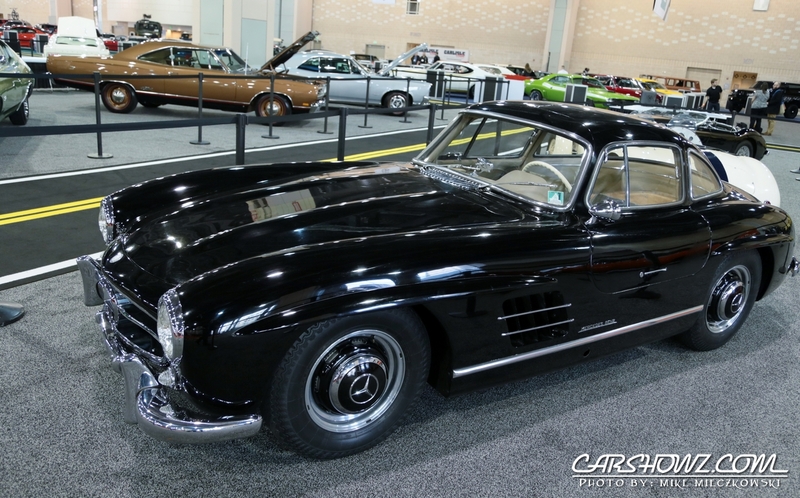 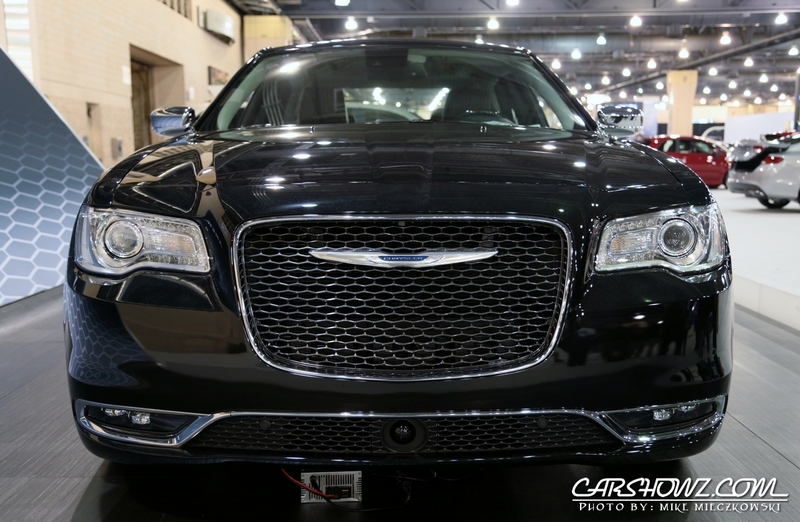 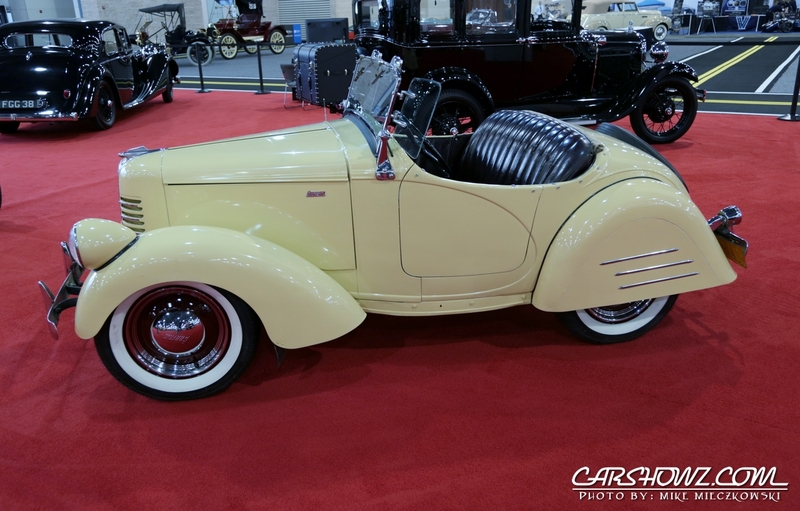 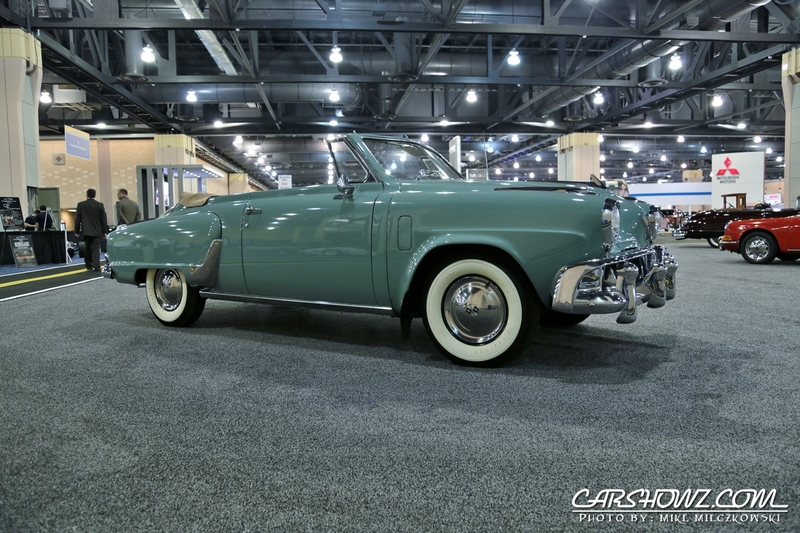 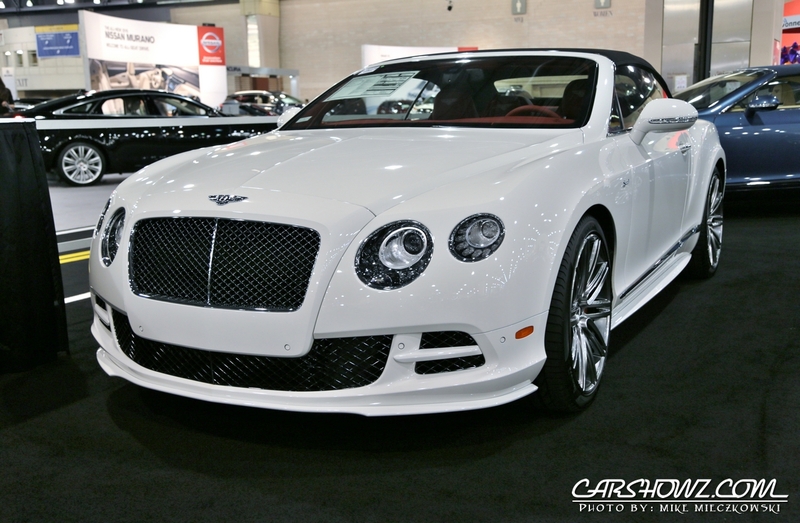 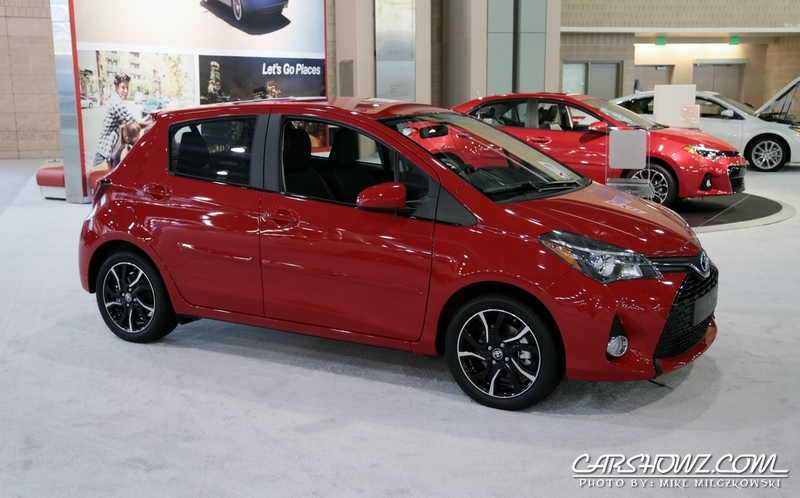 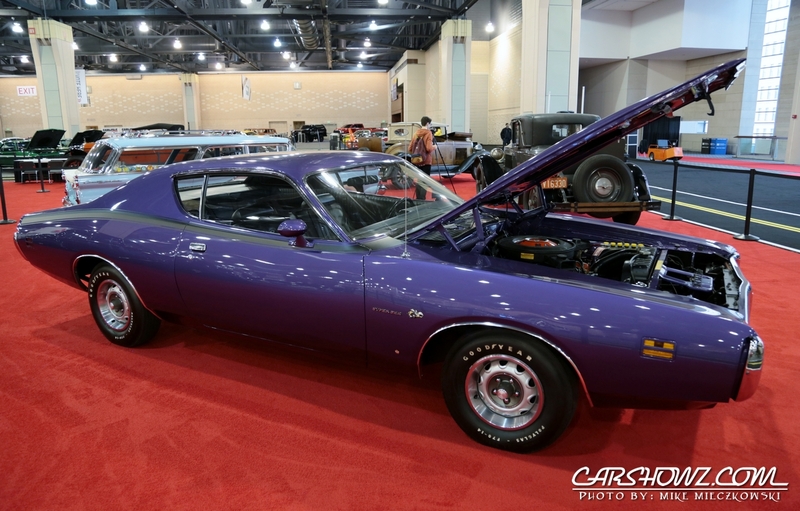 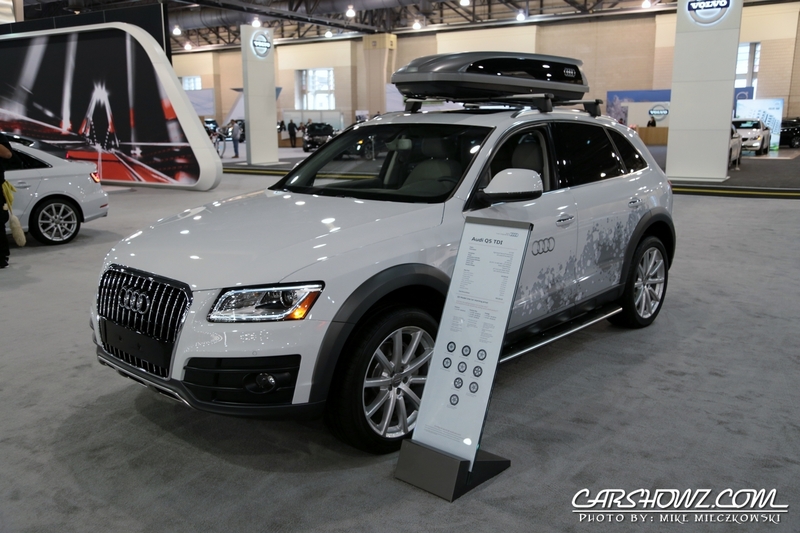 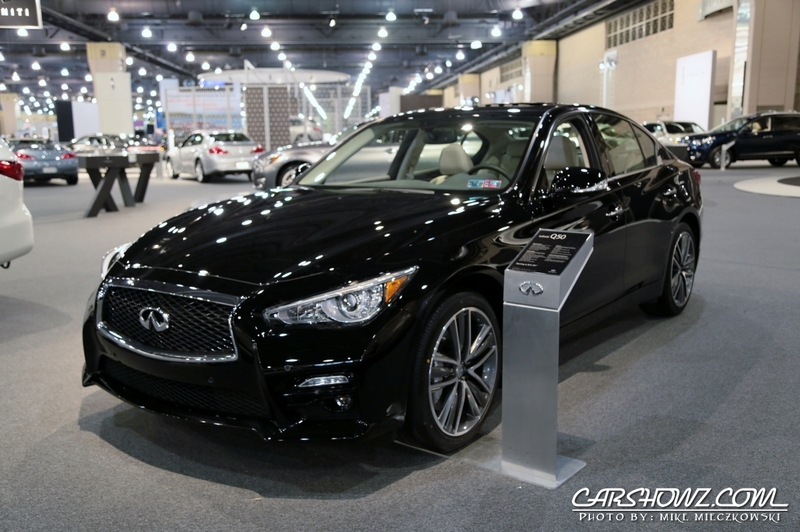 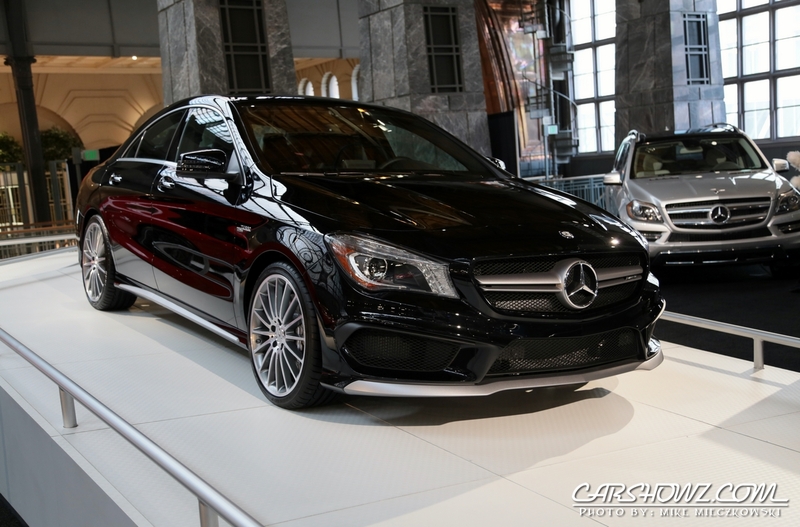 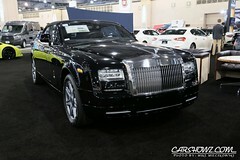 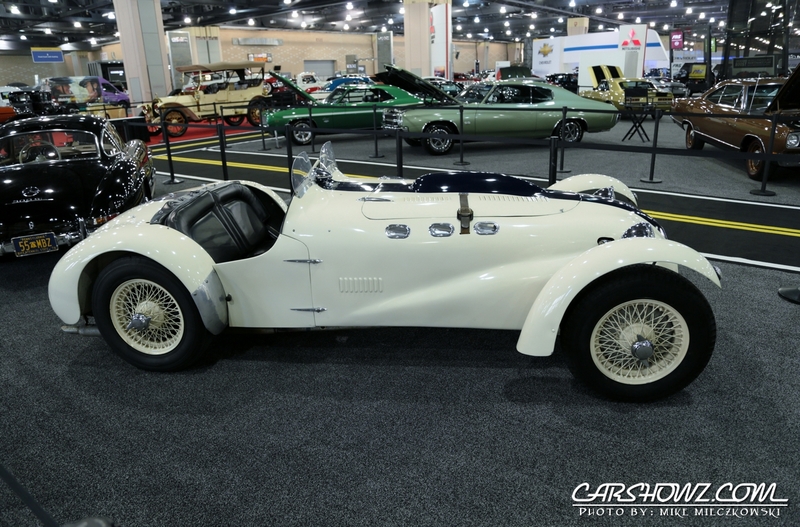 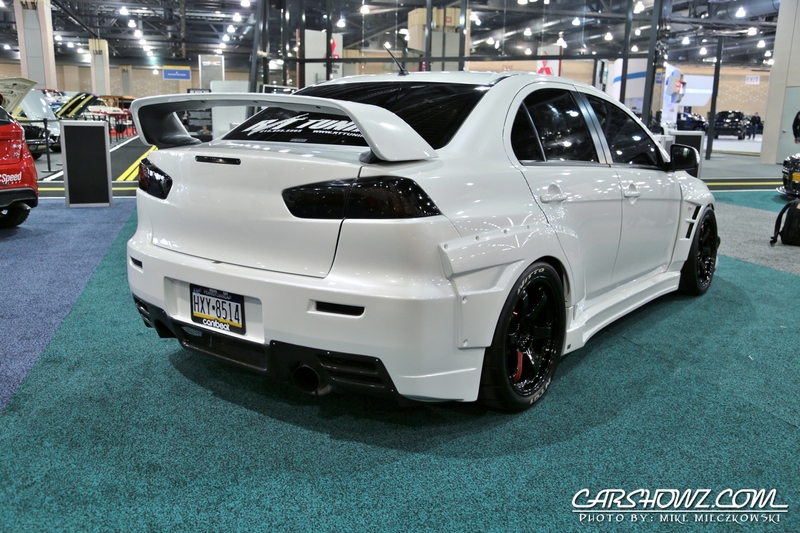 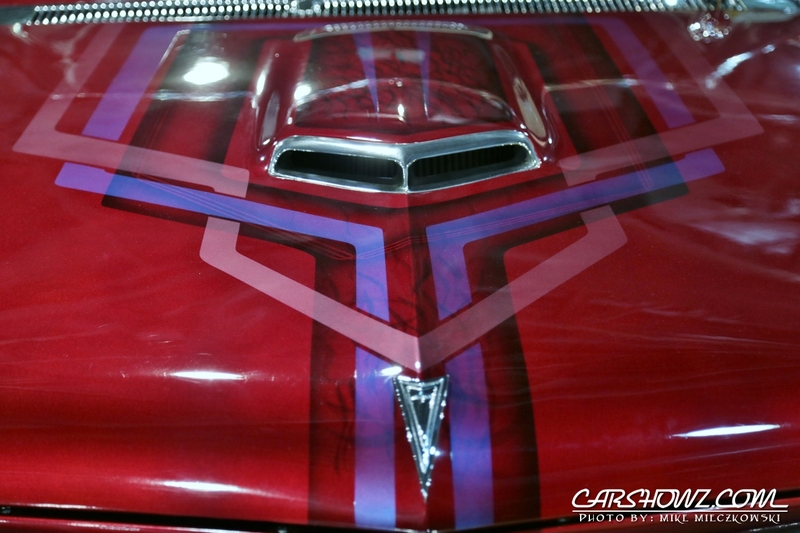 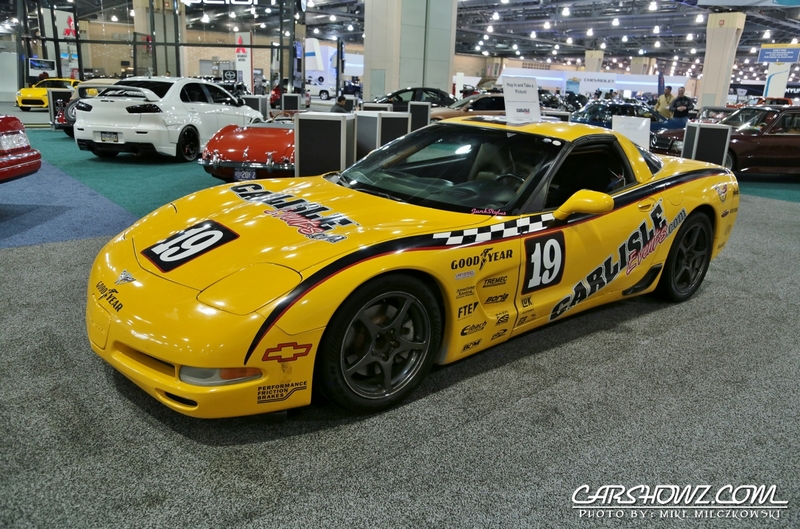 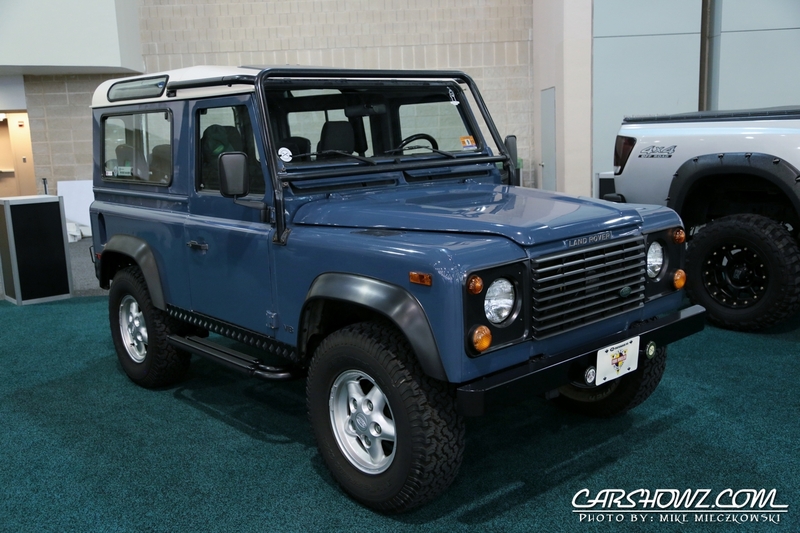 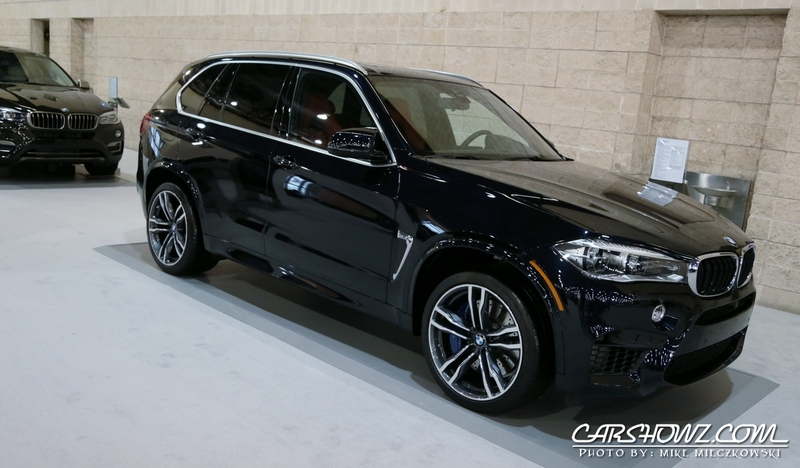 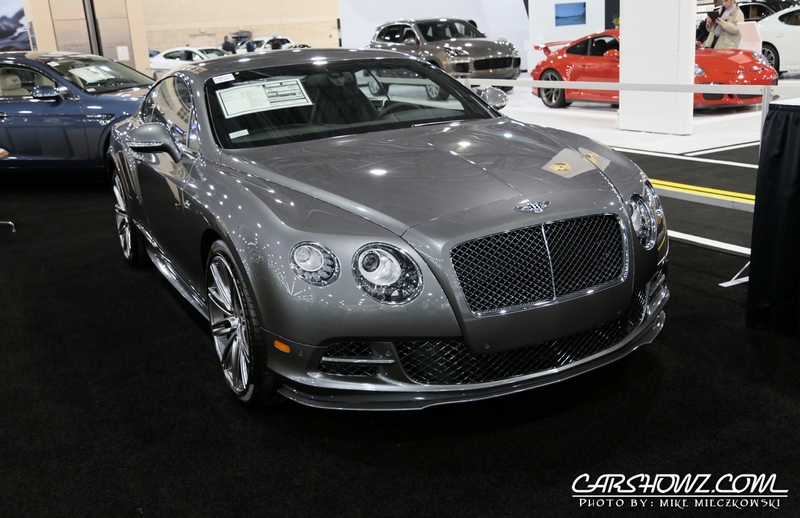 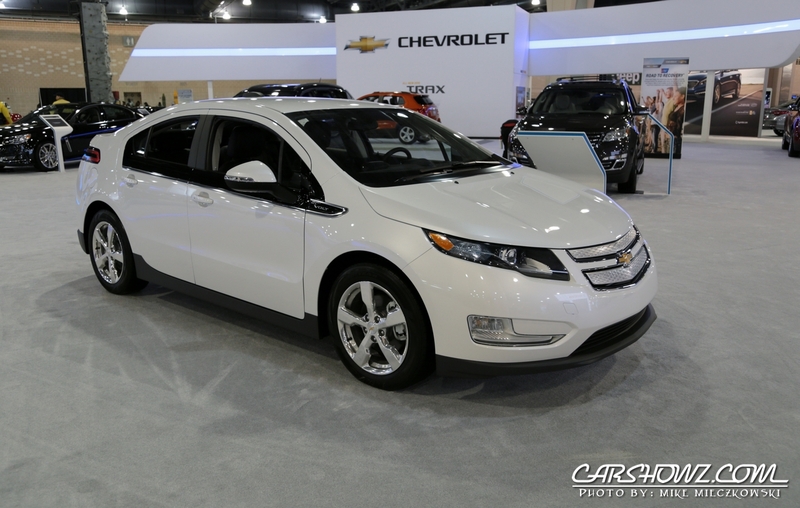 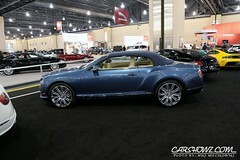 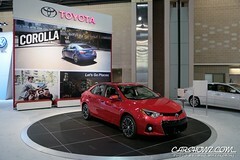 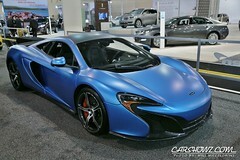 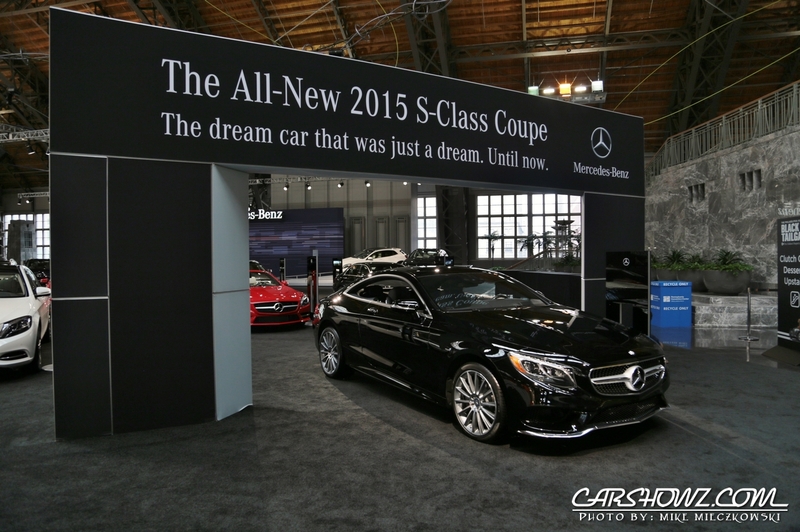 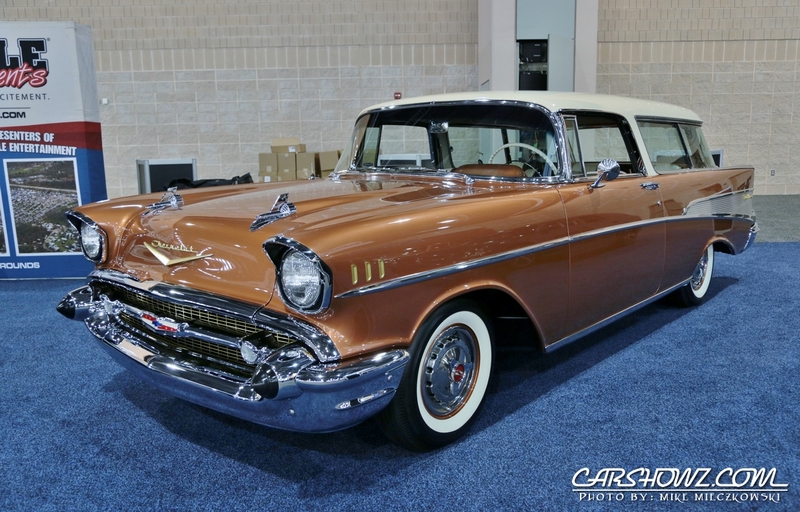 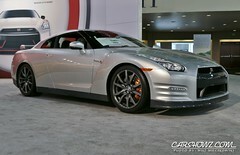 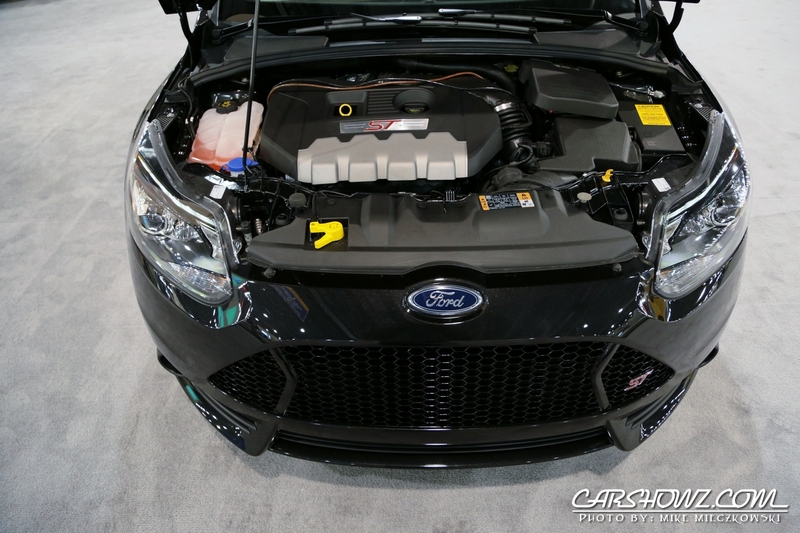 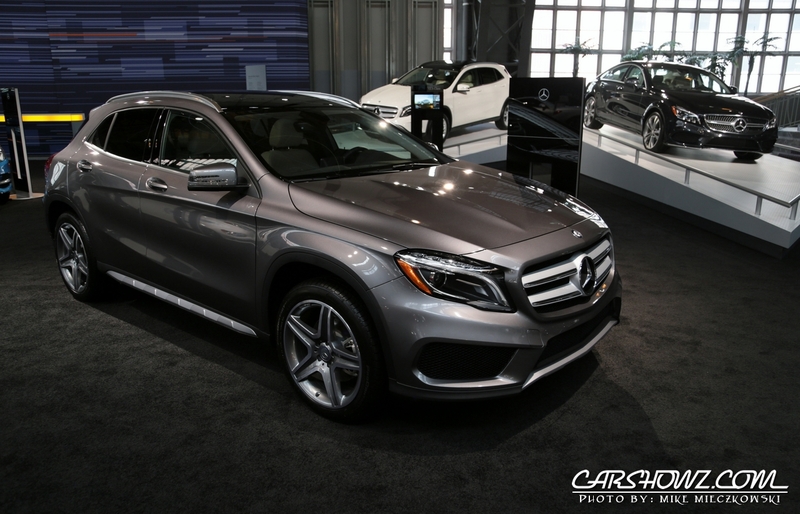 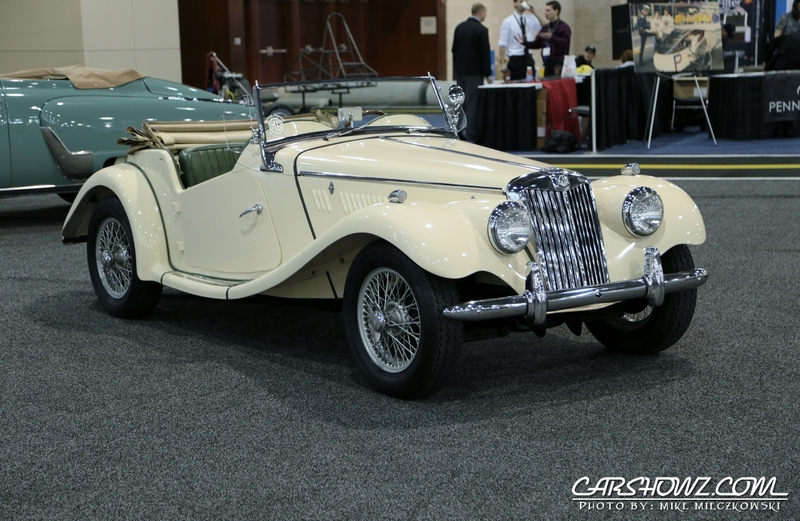 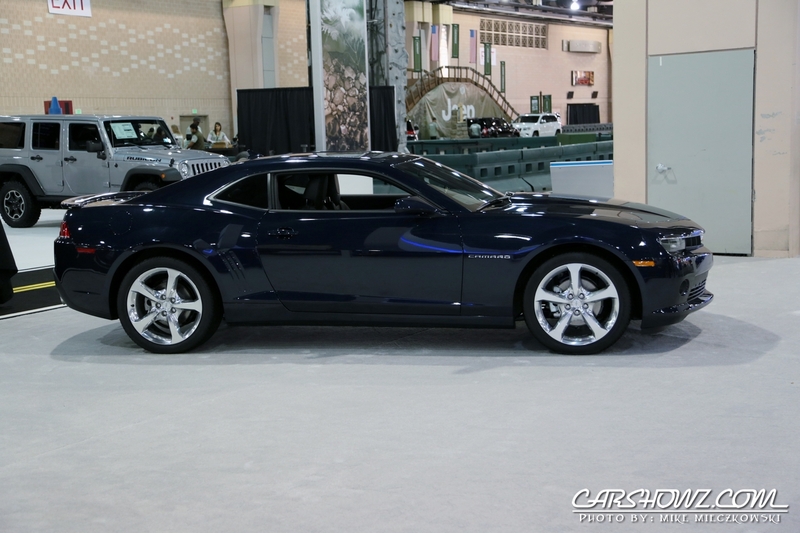 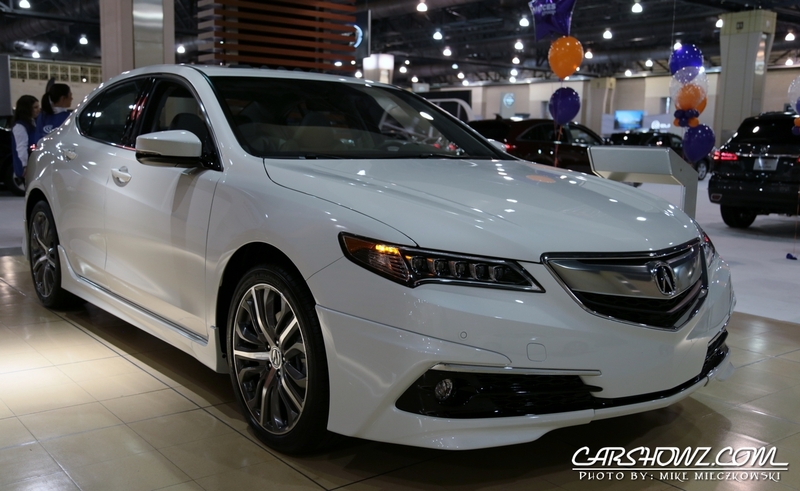 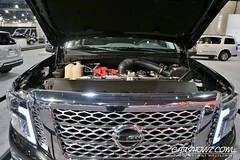 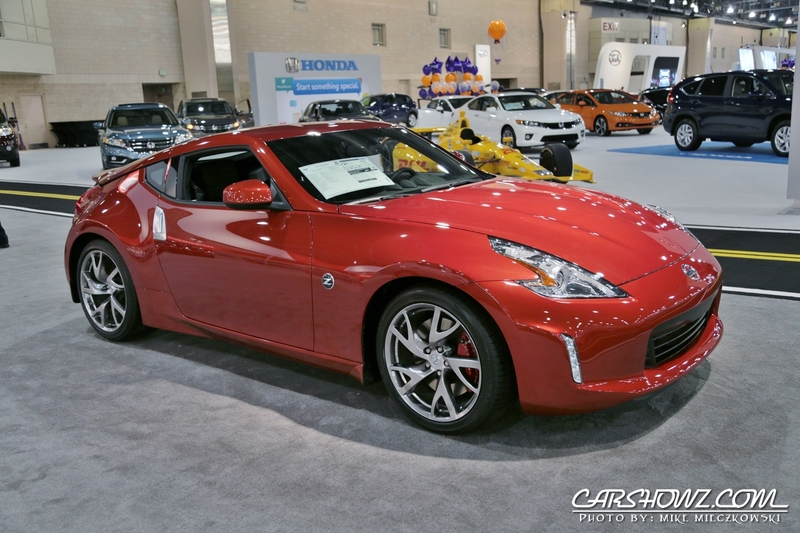 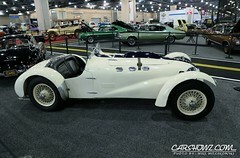 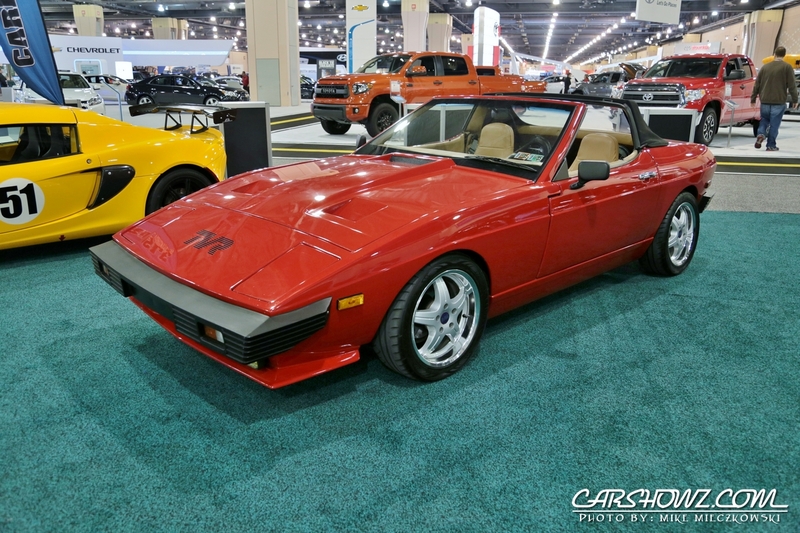 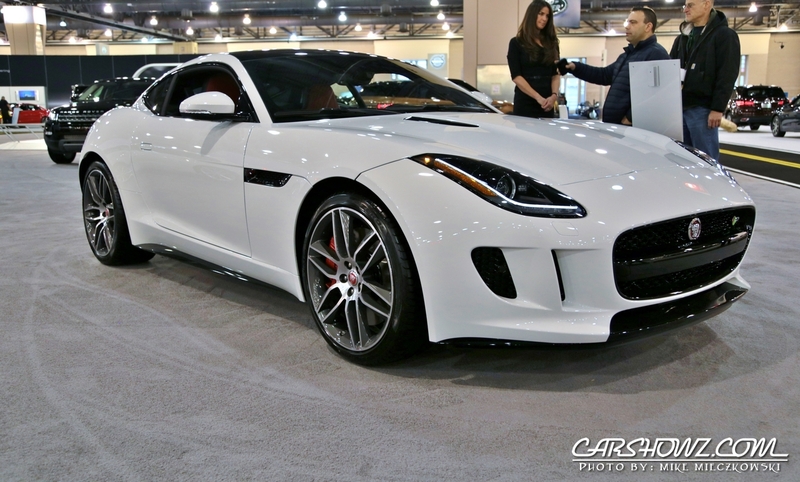 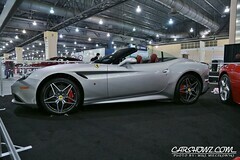 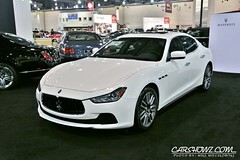 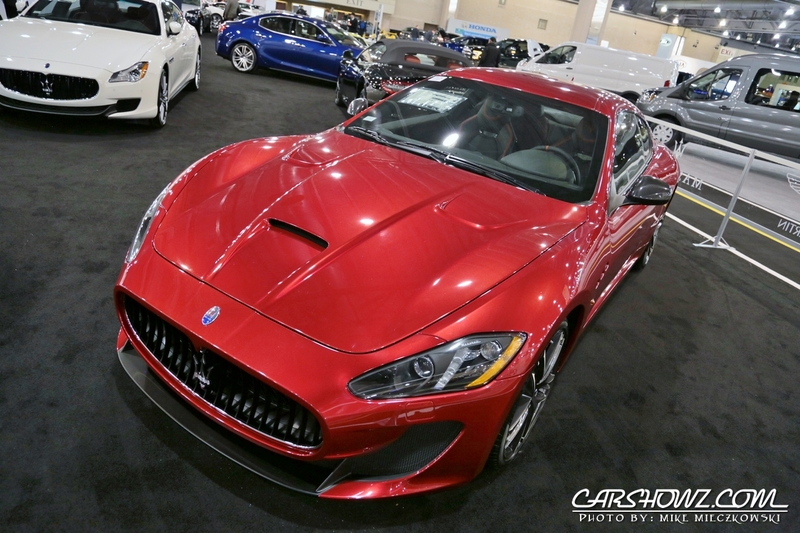 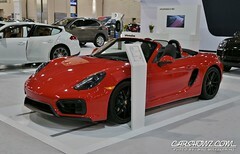 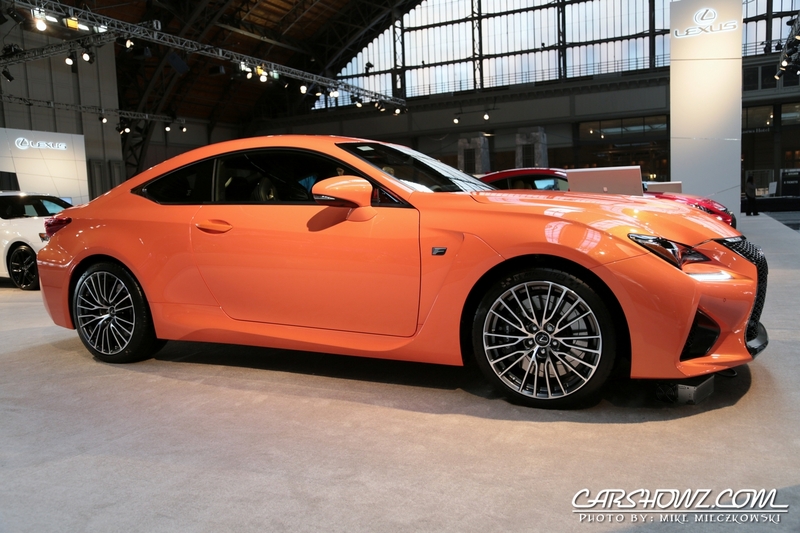 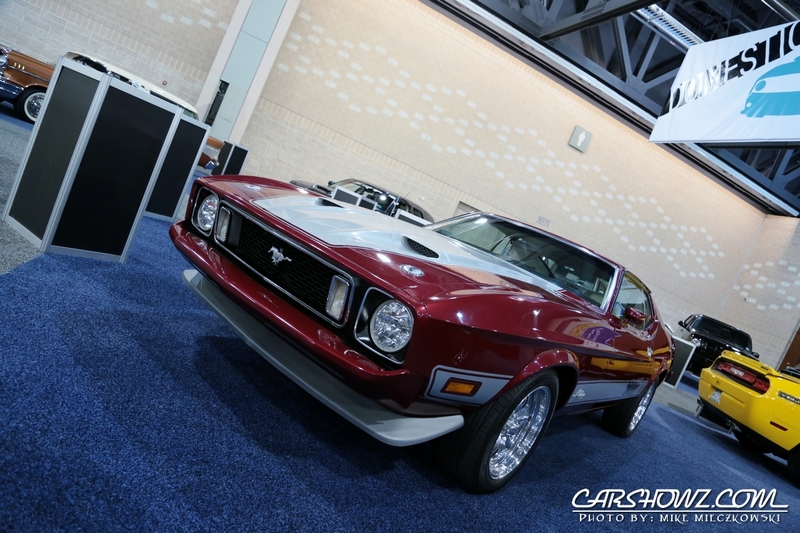 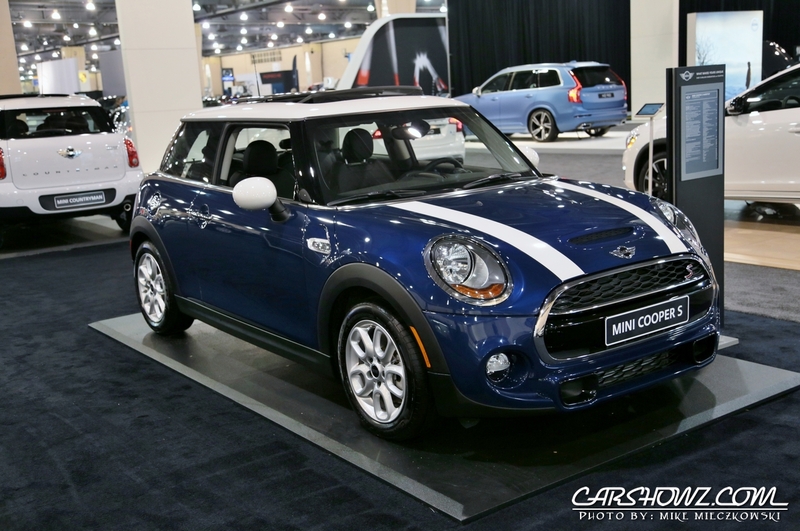 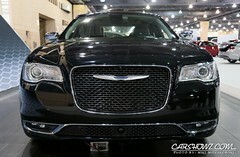 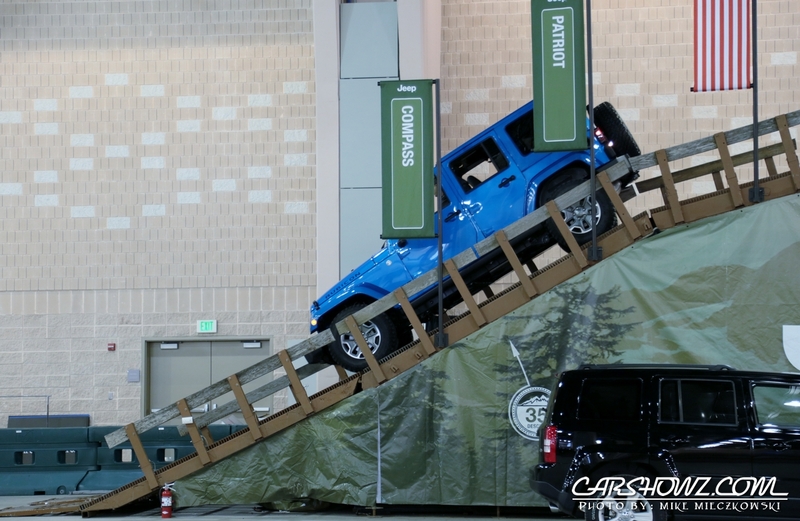 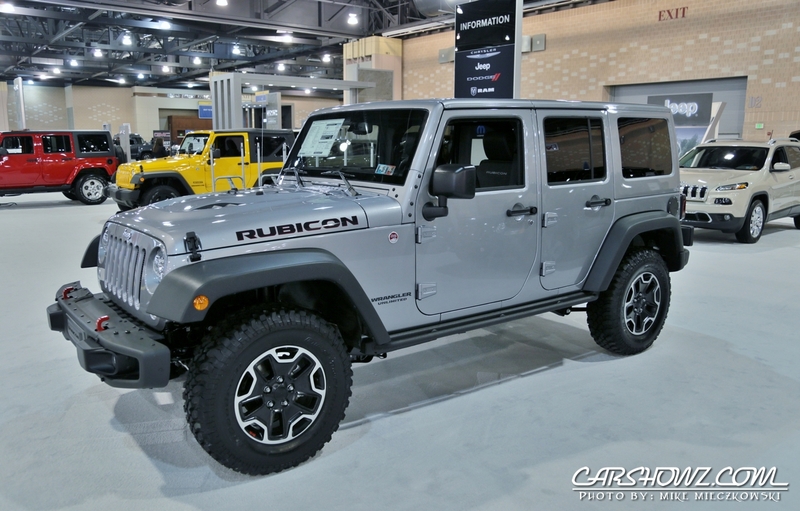 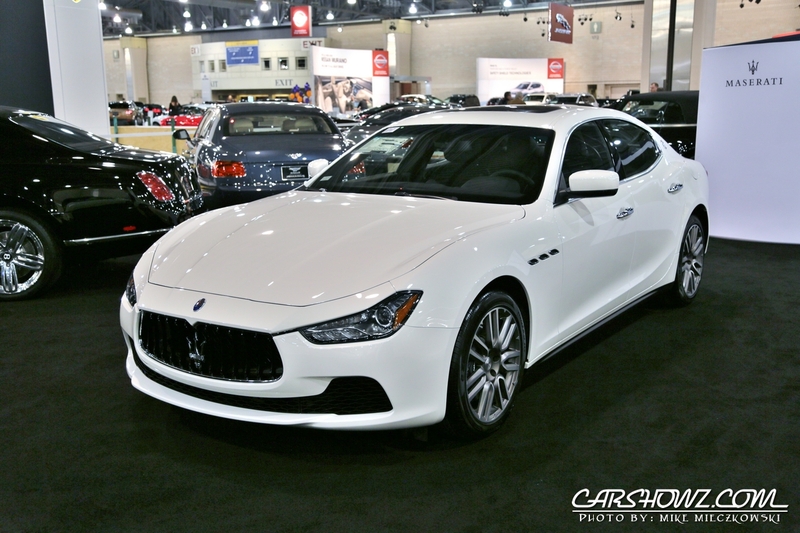 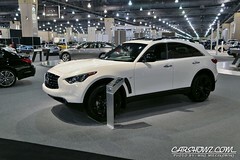 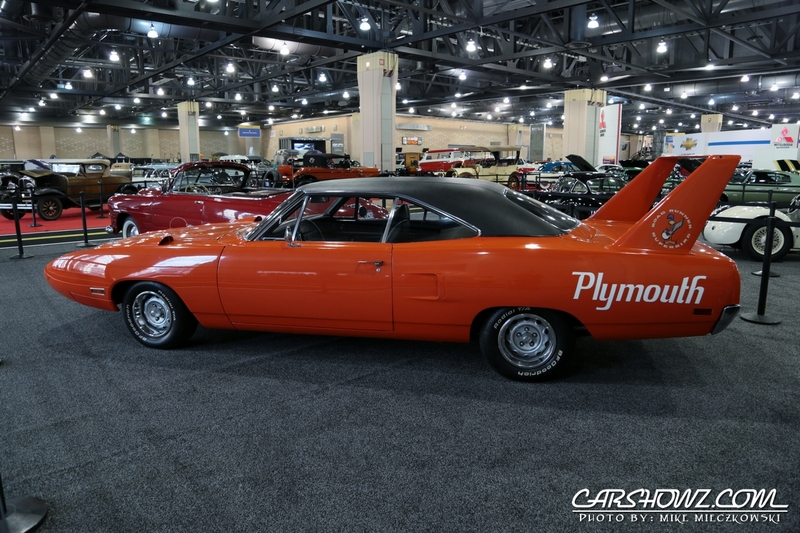 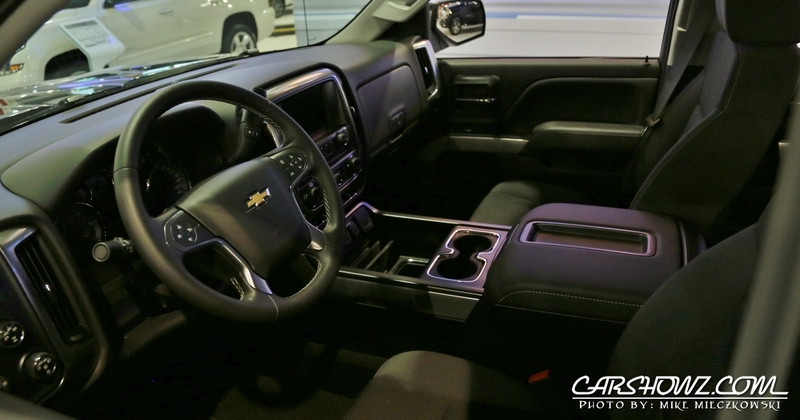 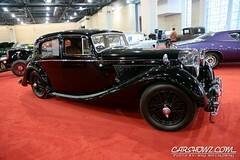 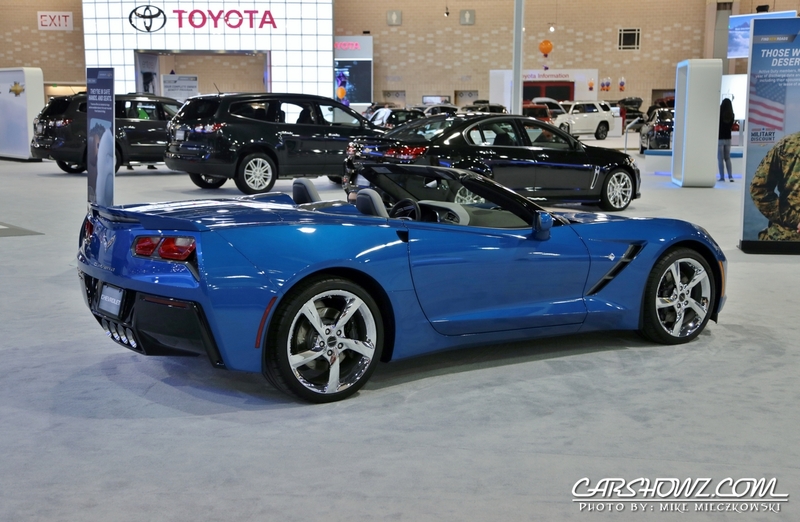 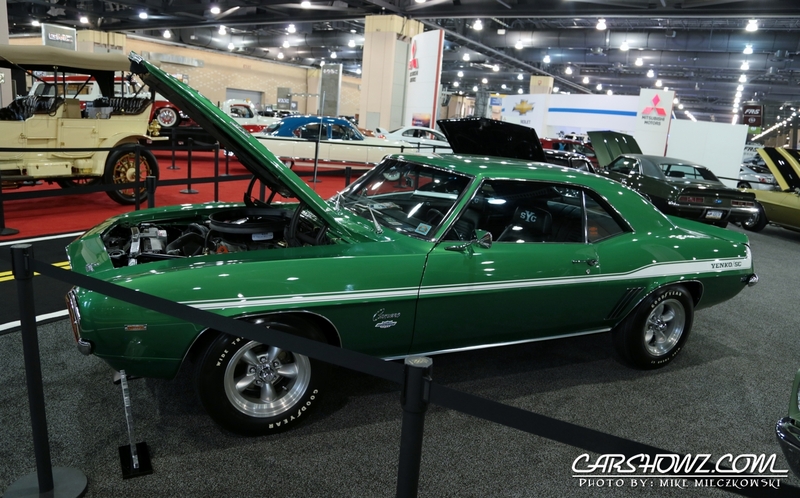 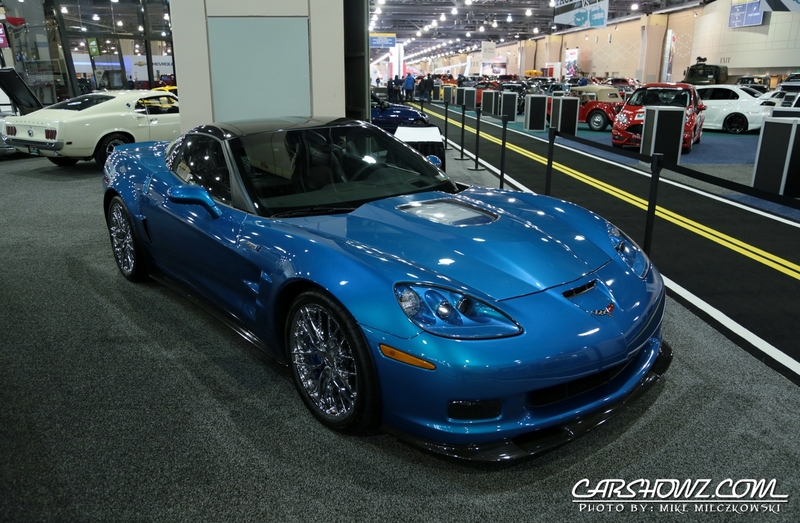 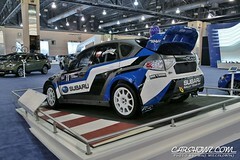 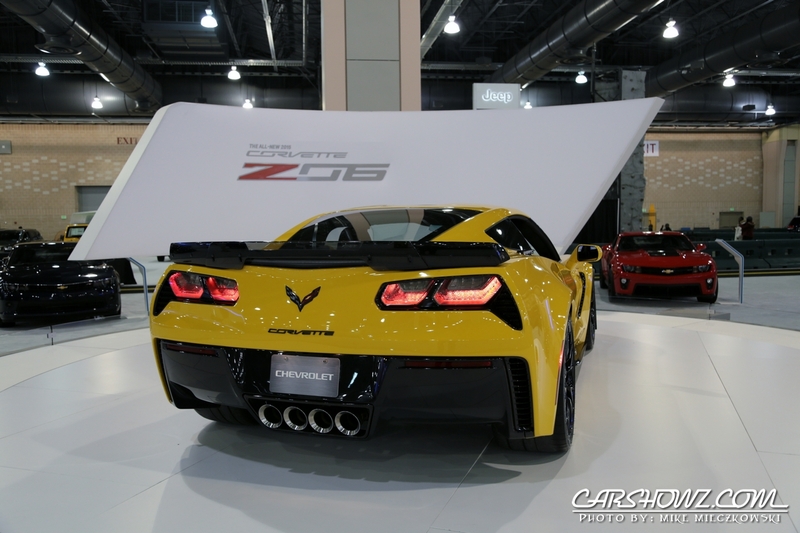 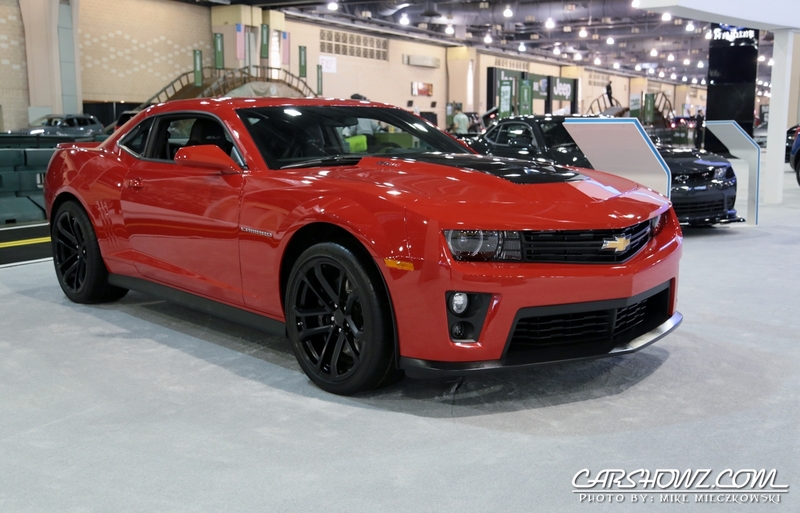 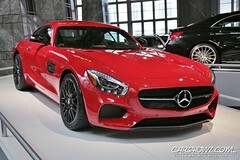 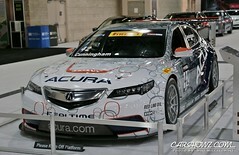 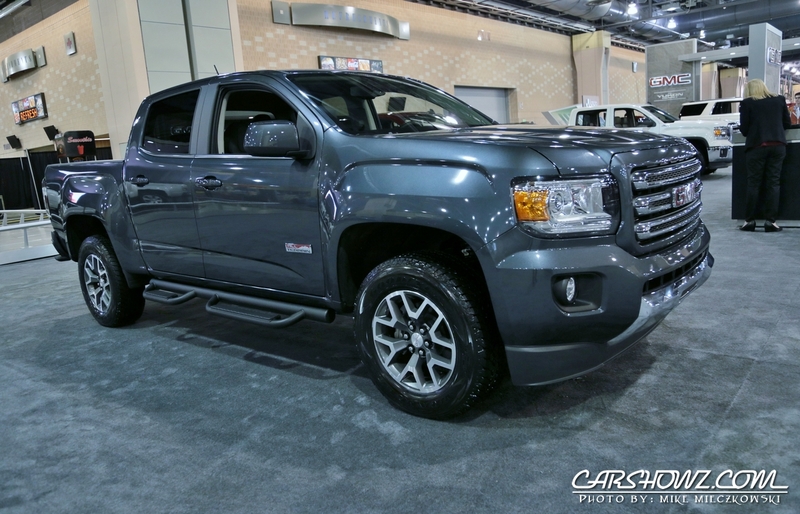 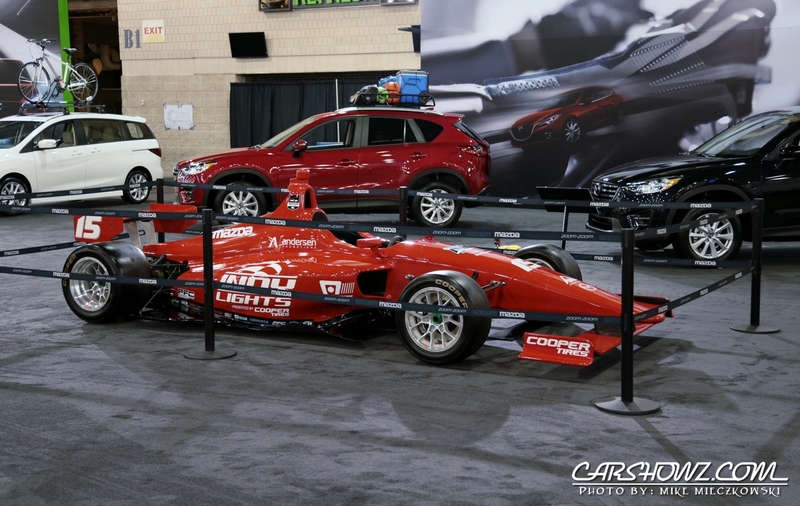 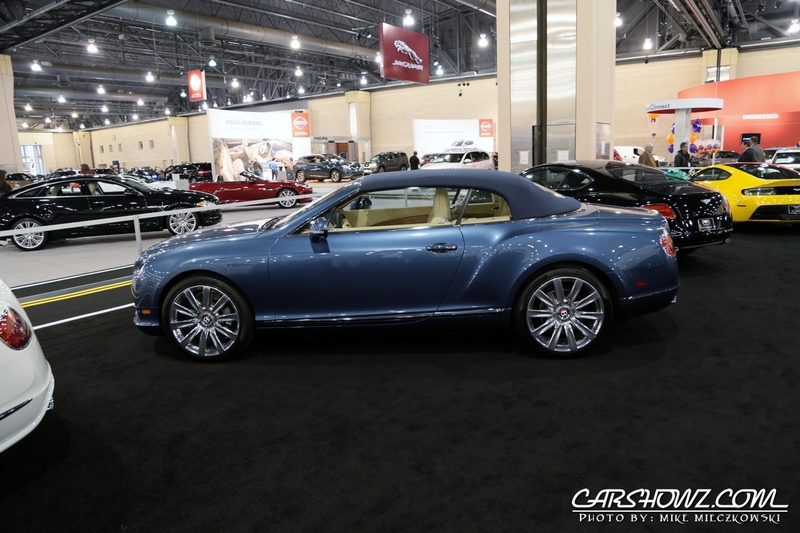 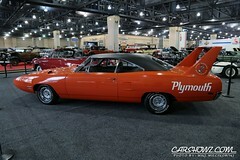 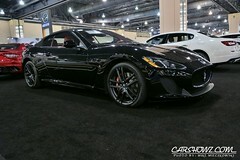 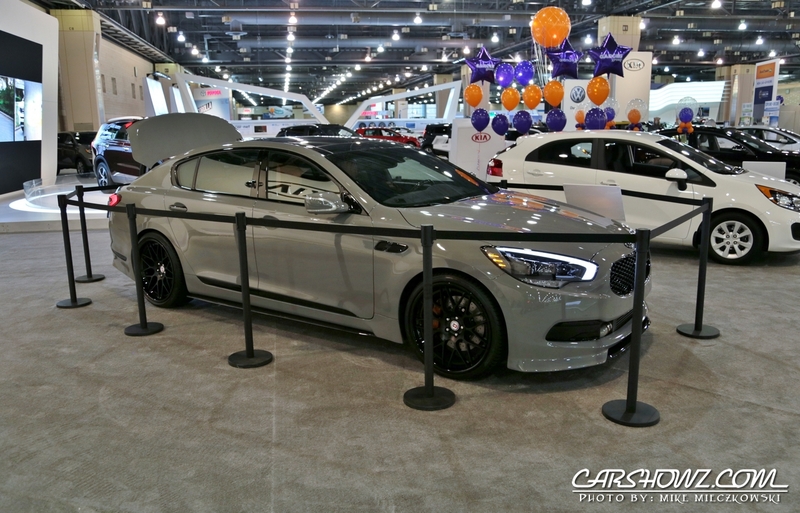 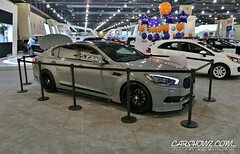 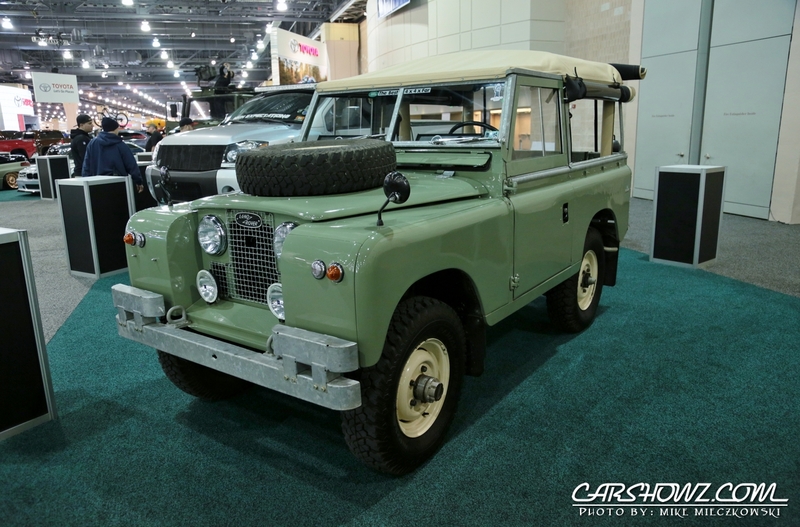 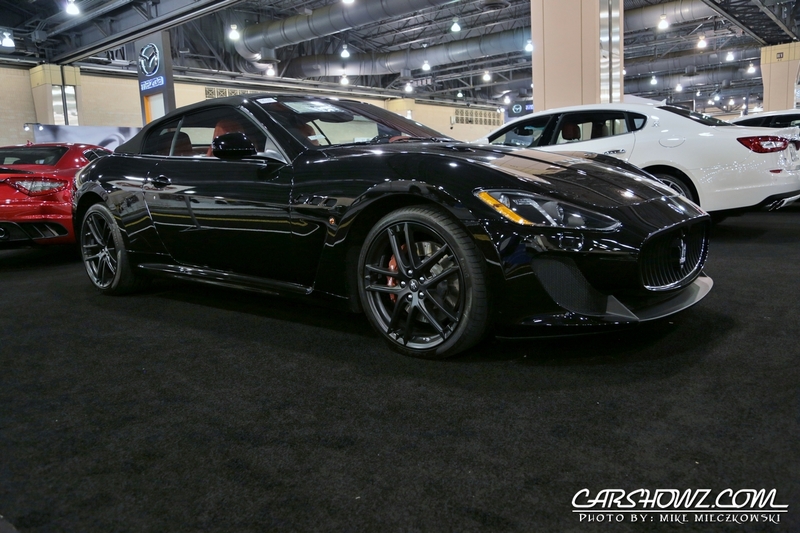 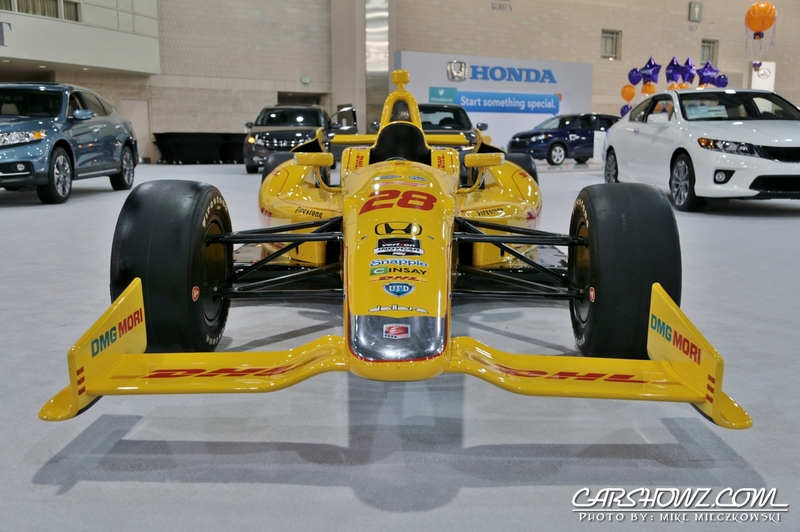 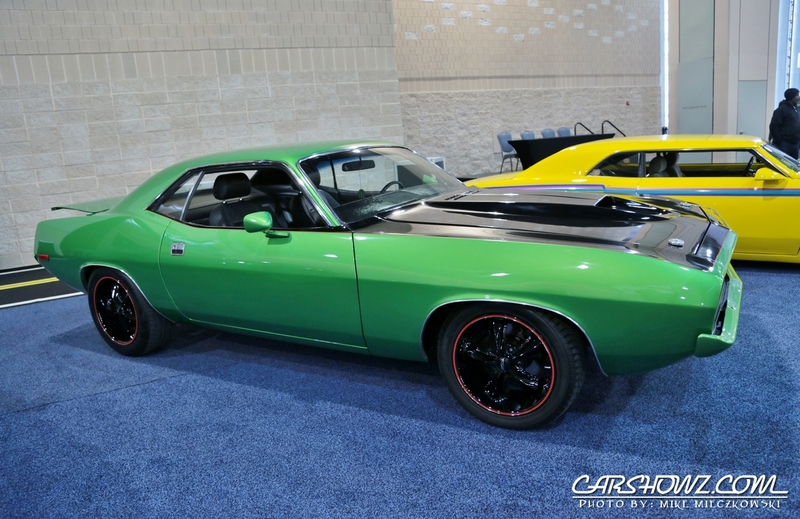 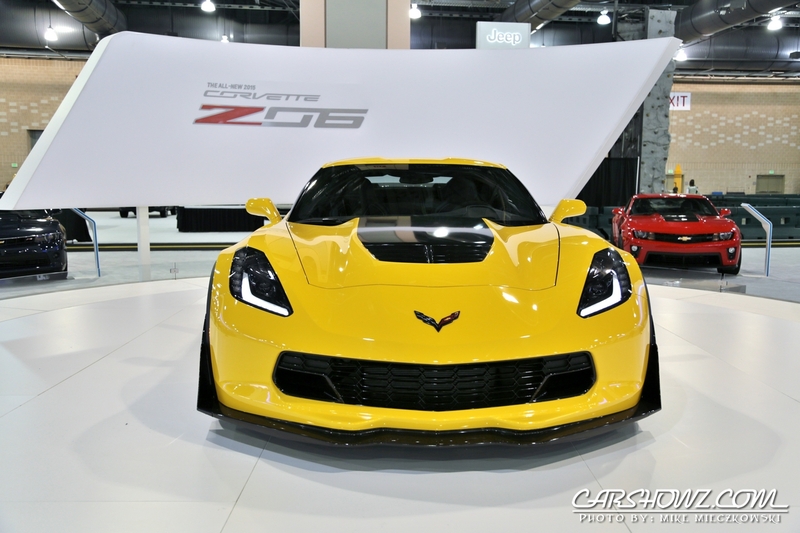 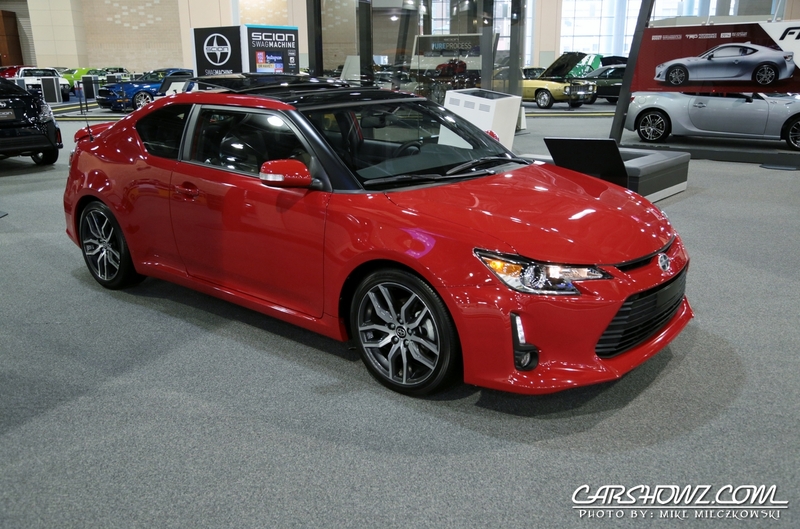 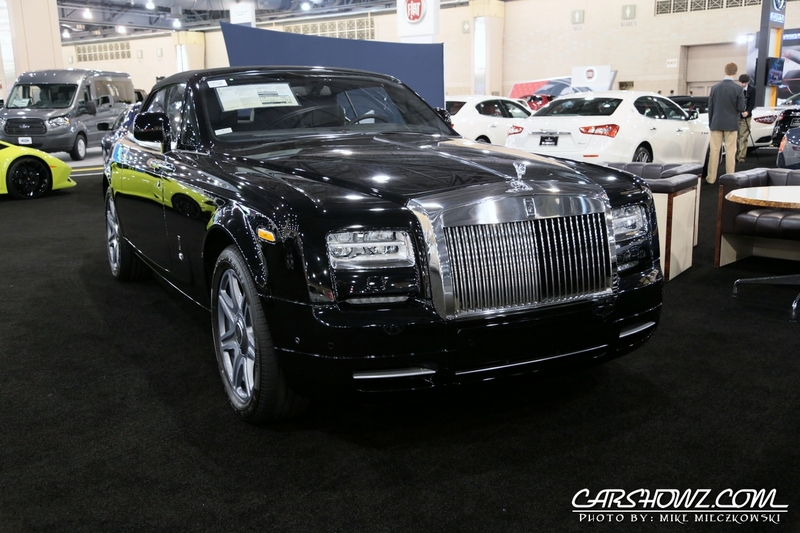 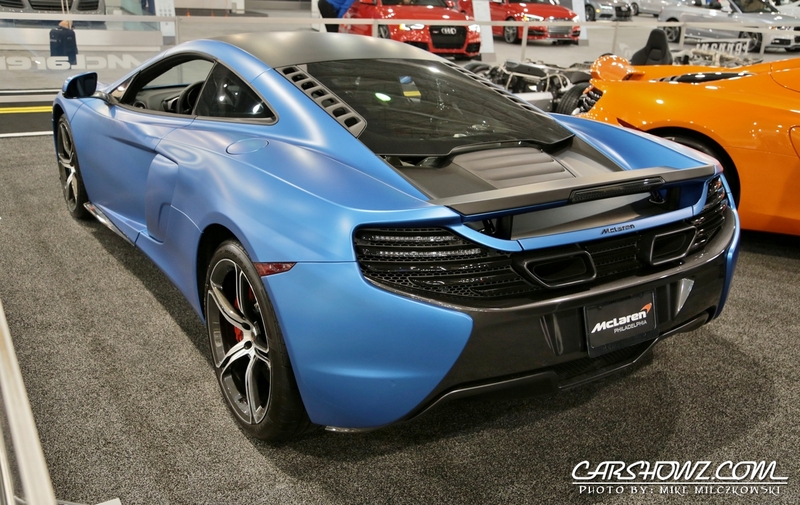 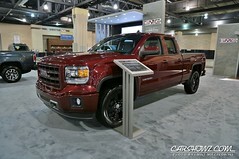 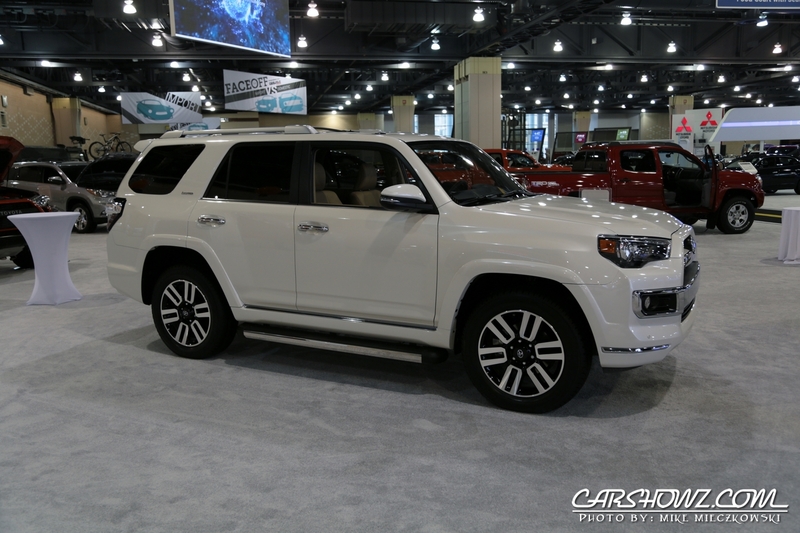 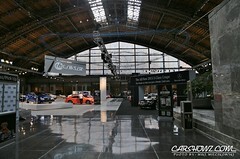 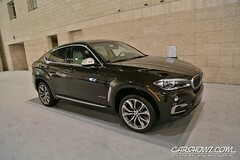 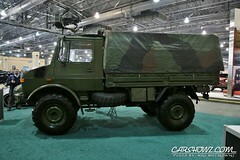 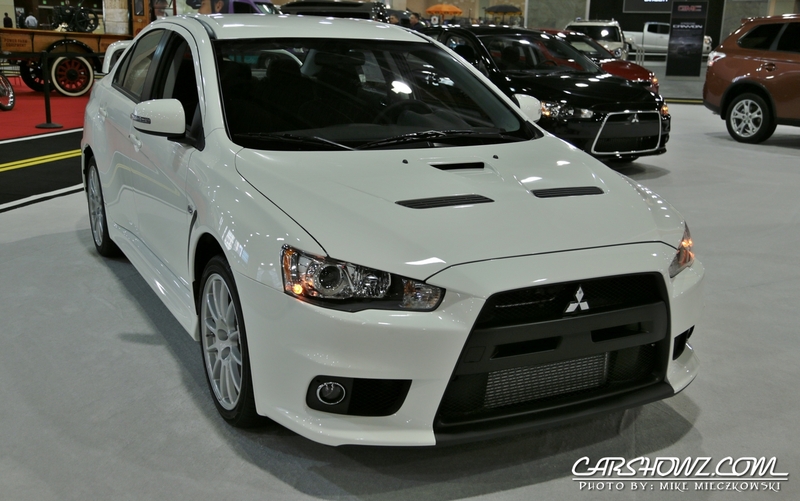 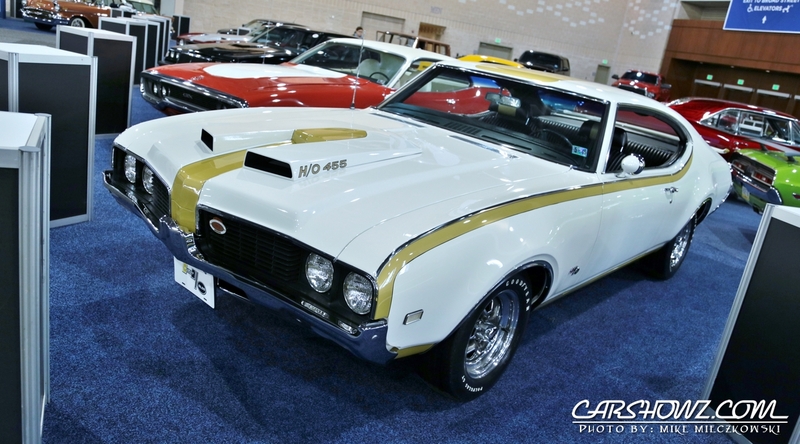 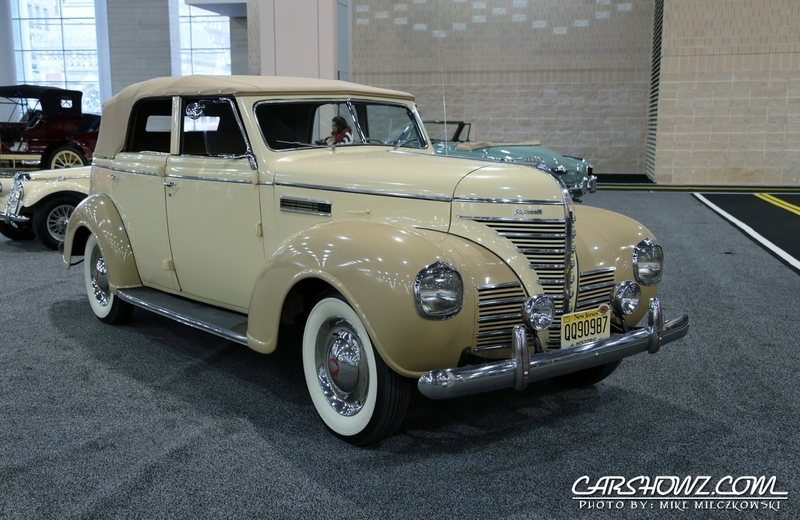 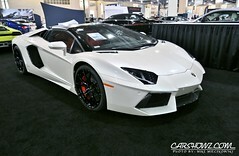 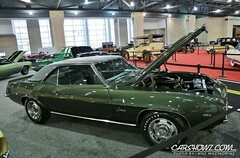 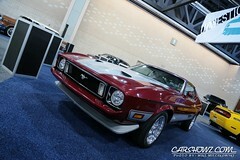 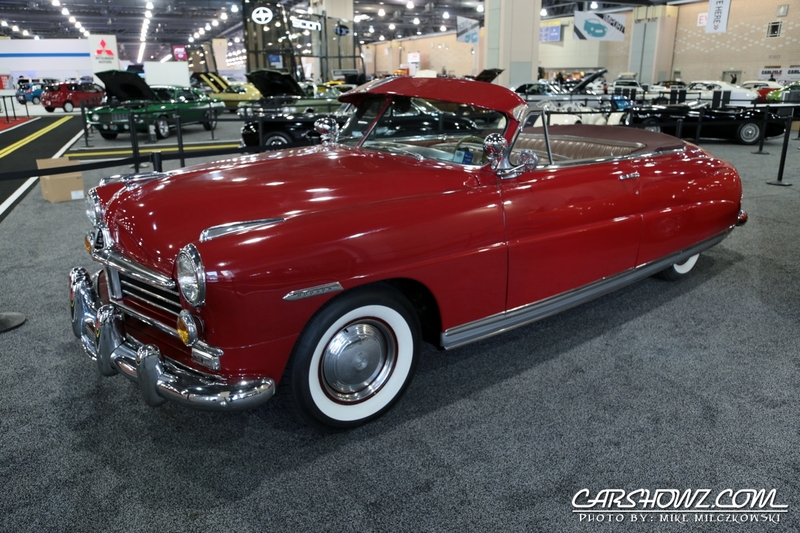 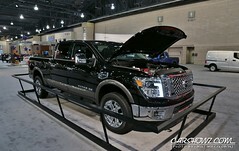 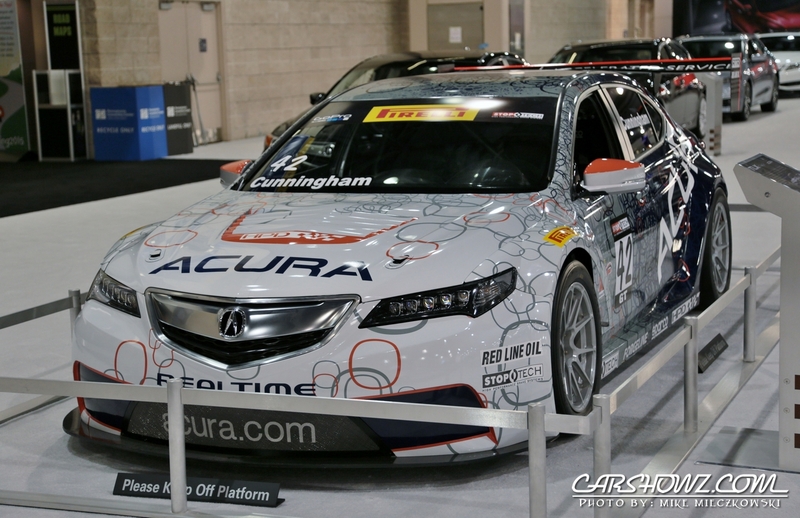 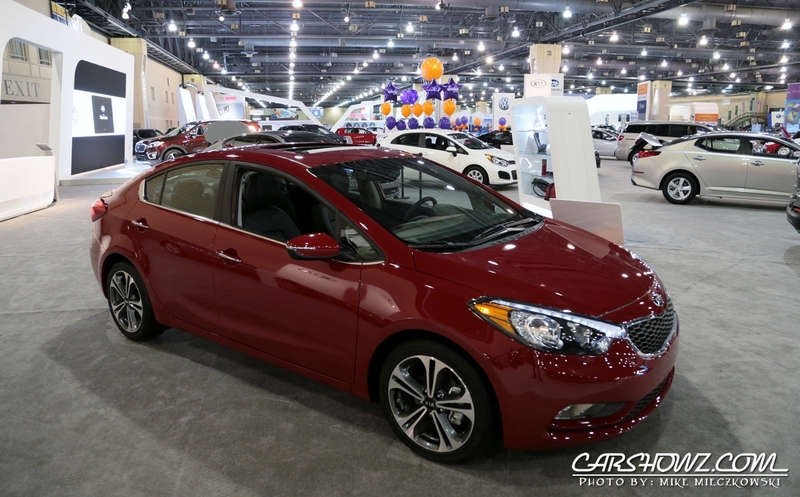 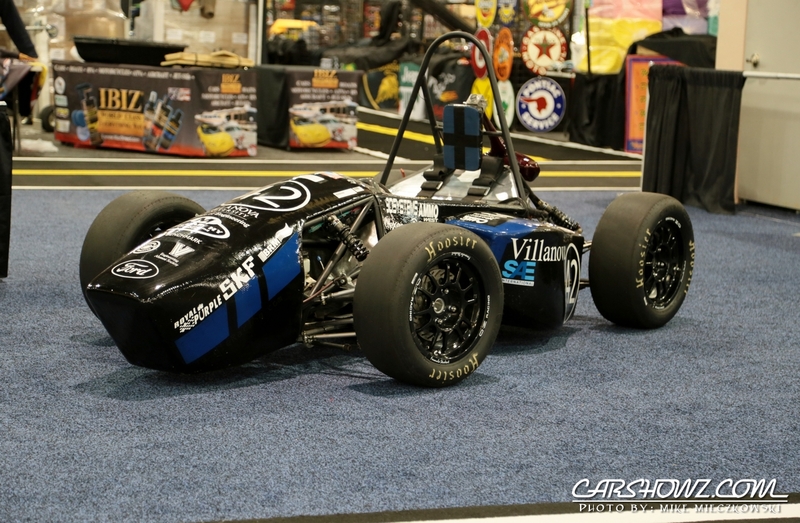 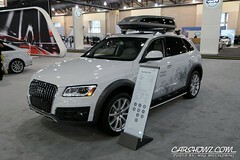 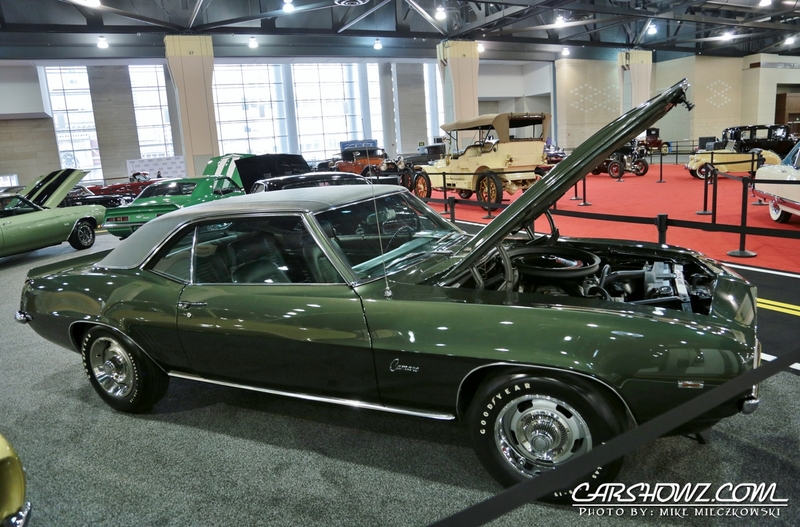 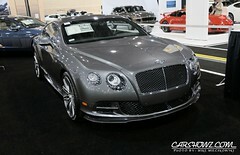 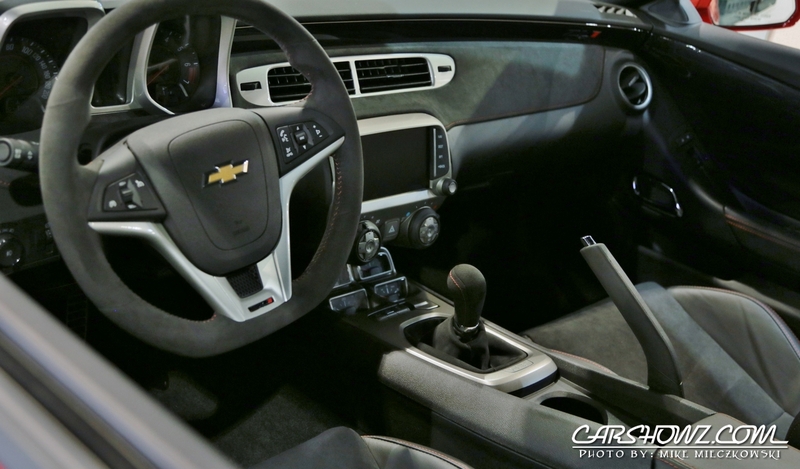 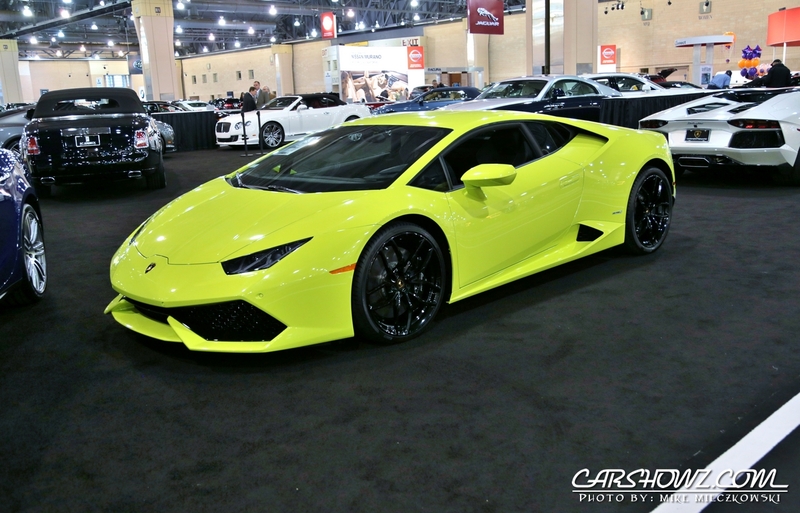 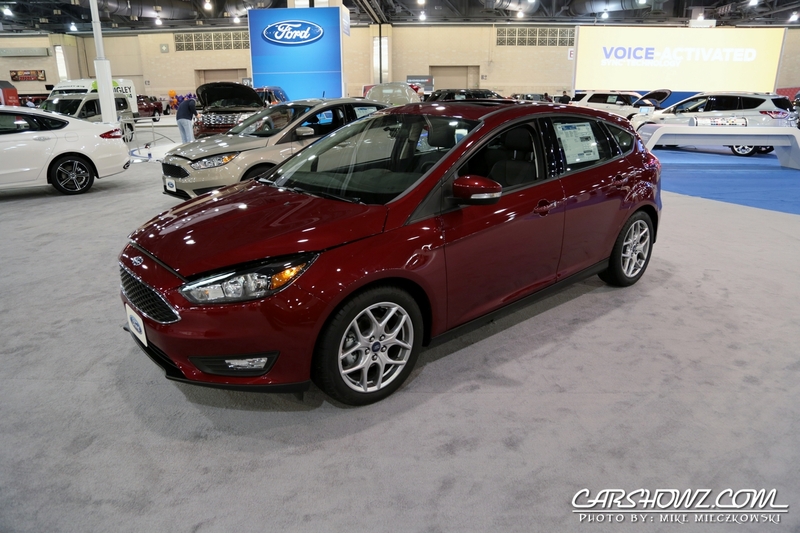 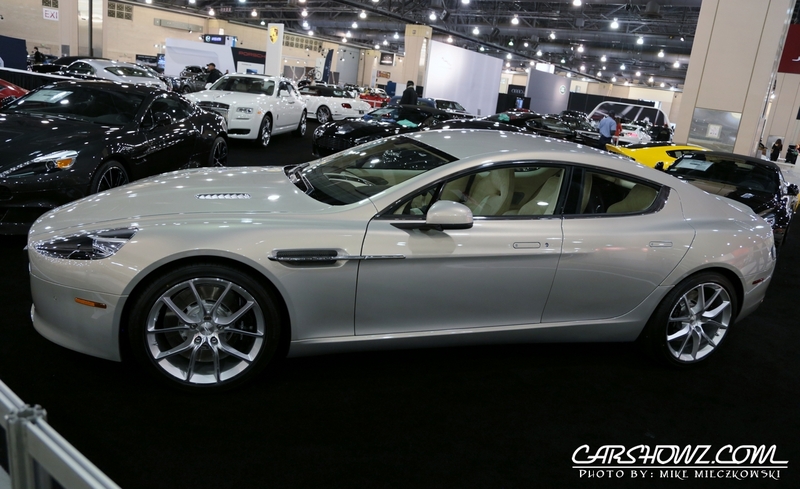 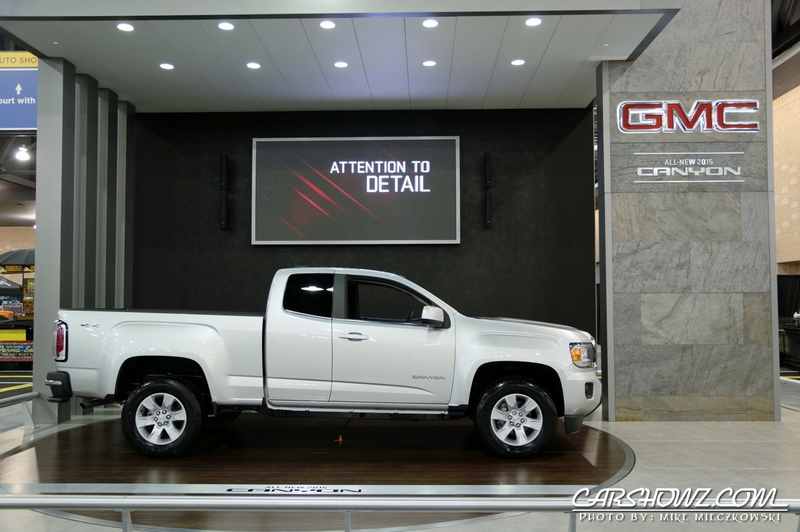 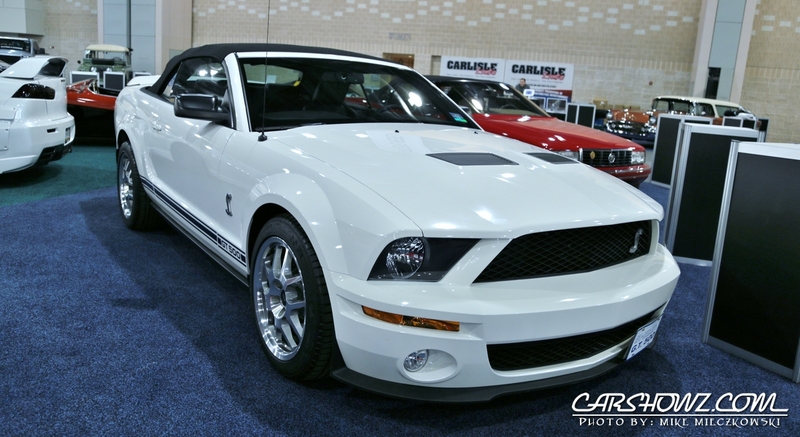 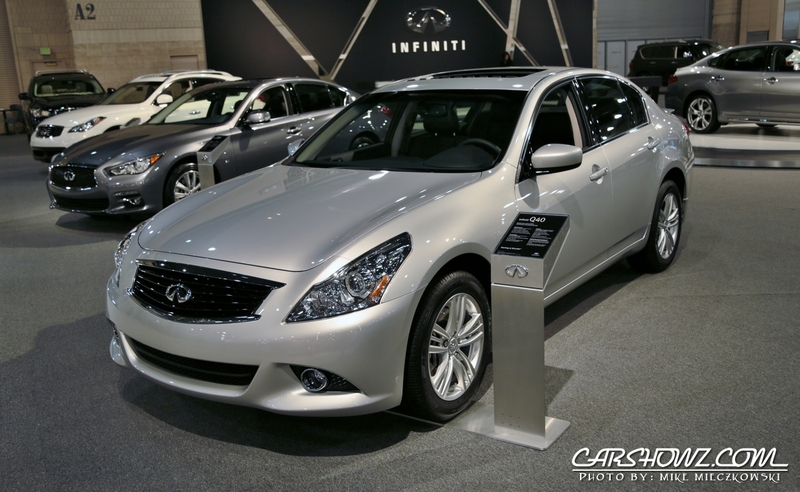 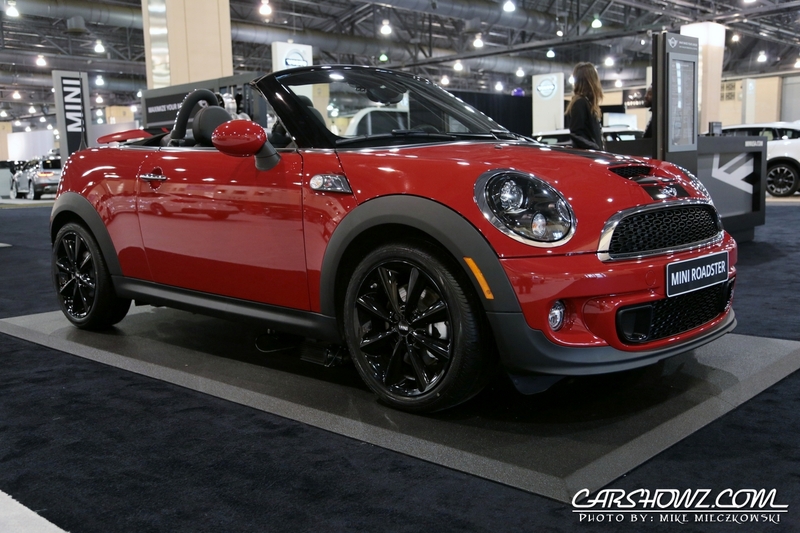 For the 2015 Philadelphia Auto Show Carlisle Events brought back their “Face-Off”. This year it was Import vs. 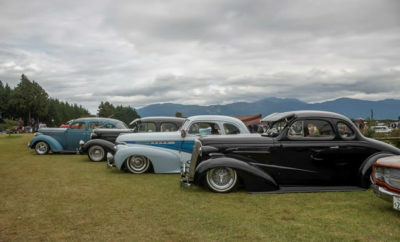 Domestic and both sides had a very strong showing. 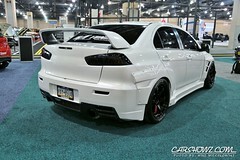 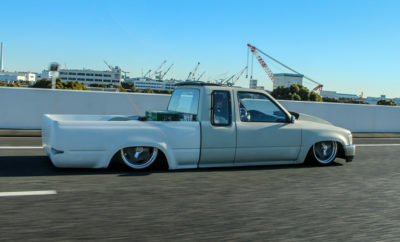 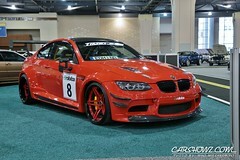 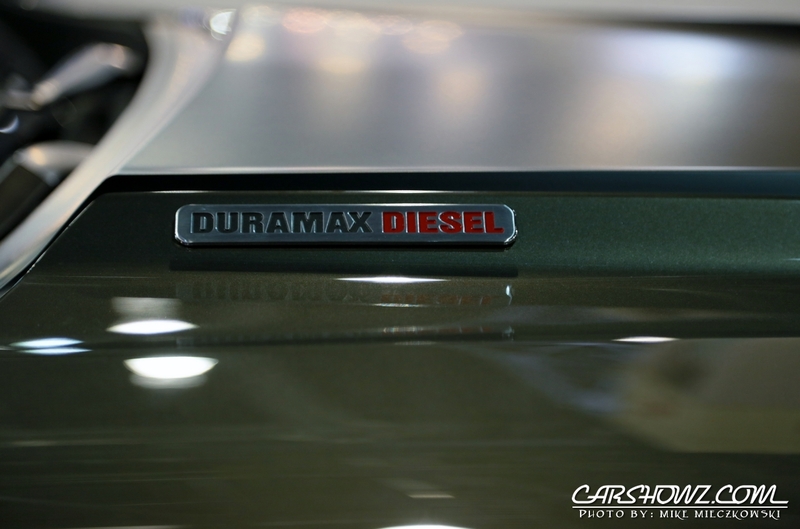 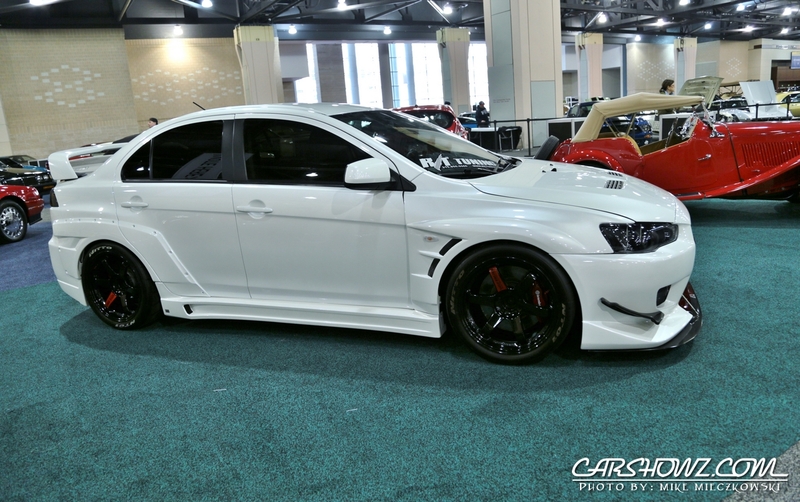 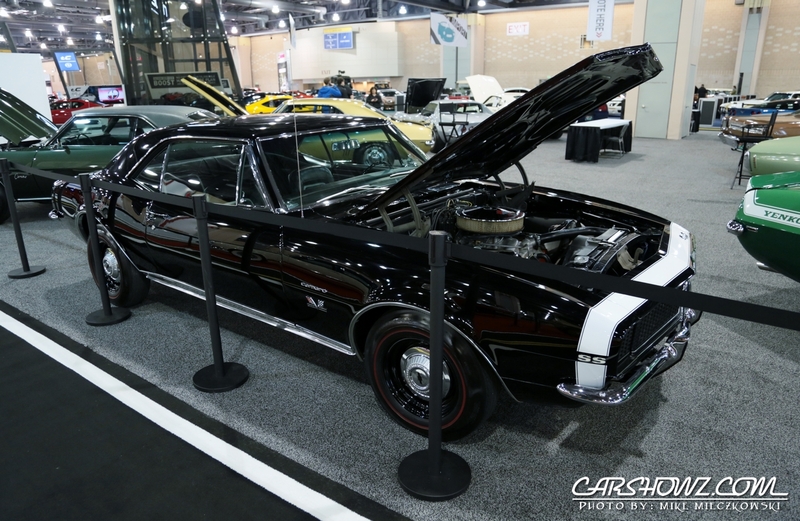 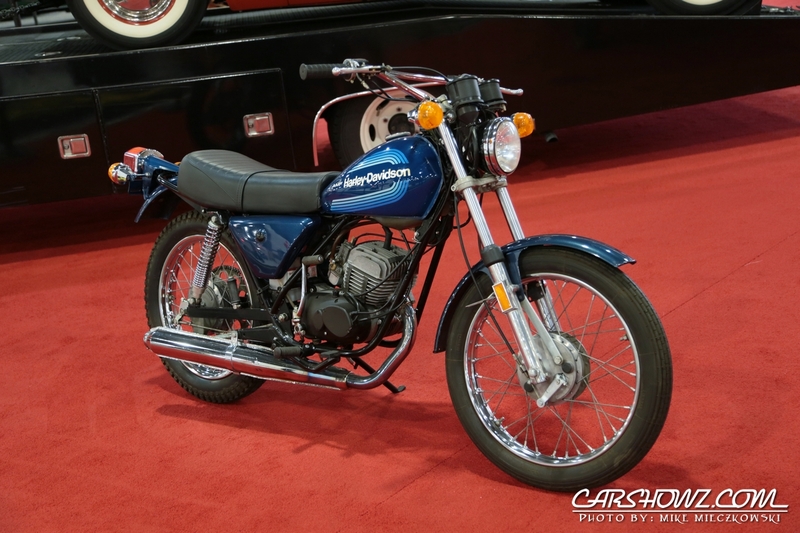 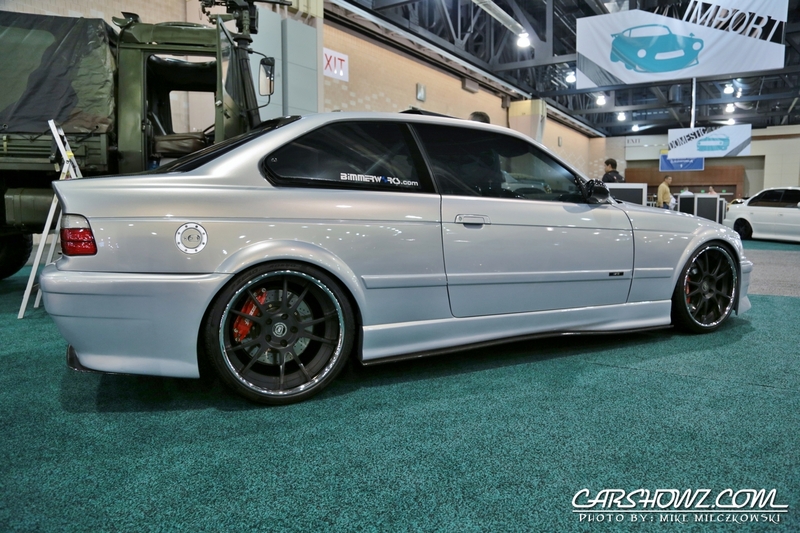 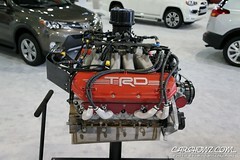 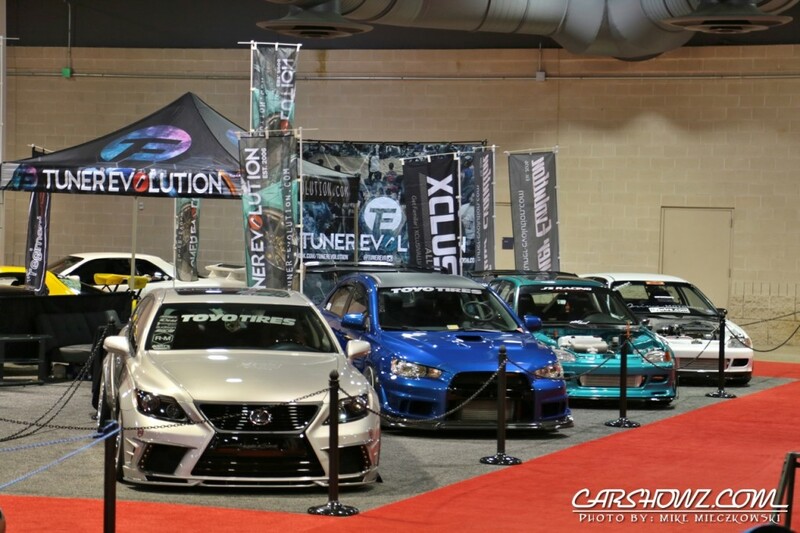 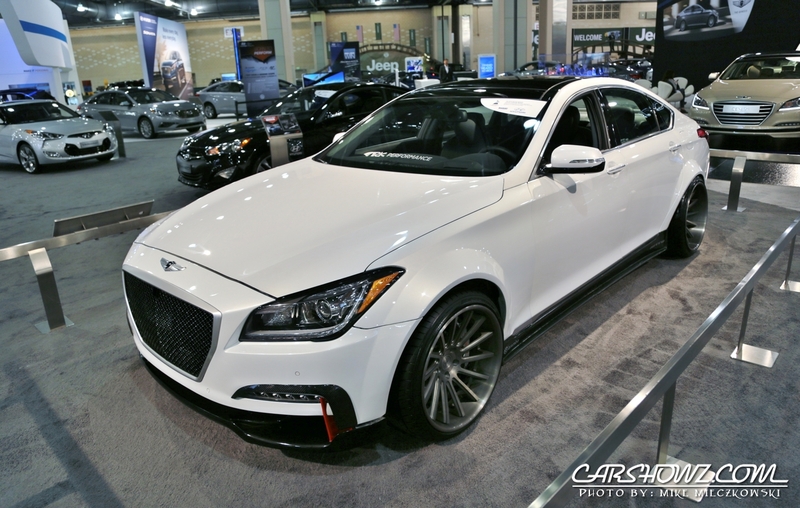 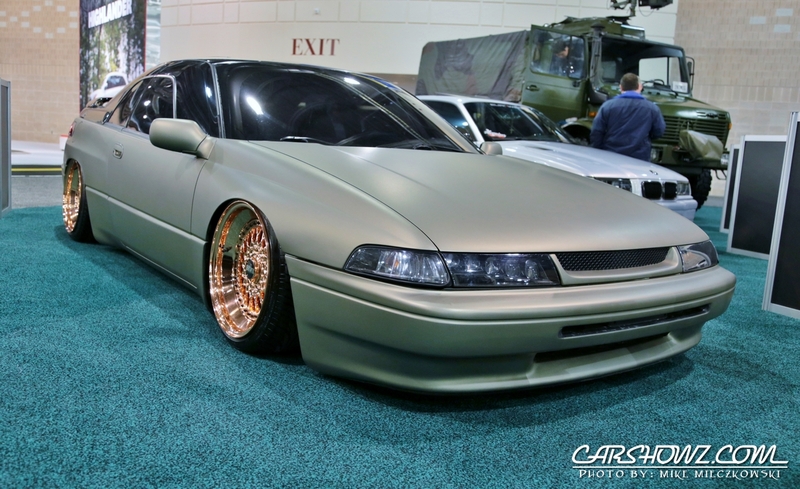 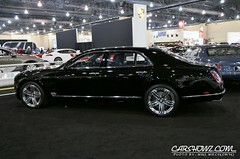 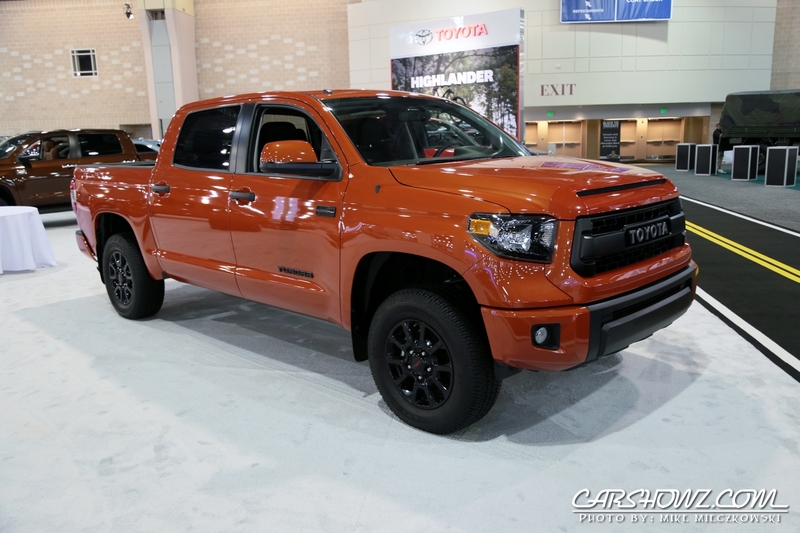 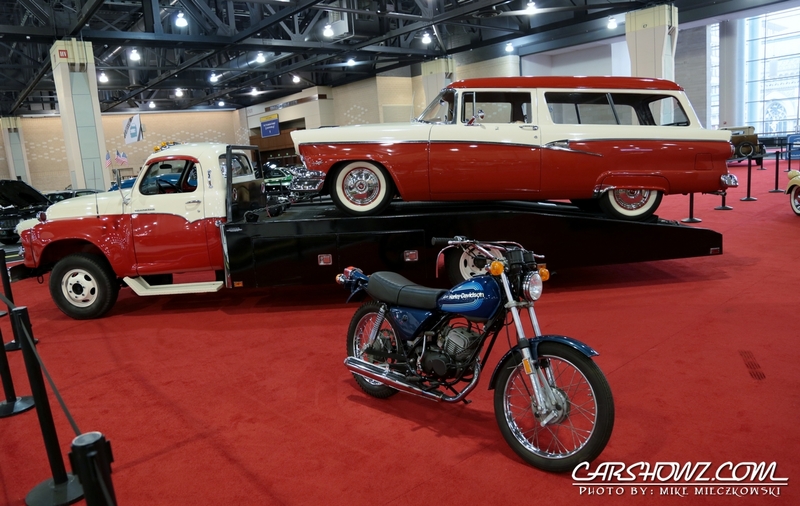 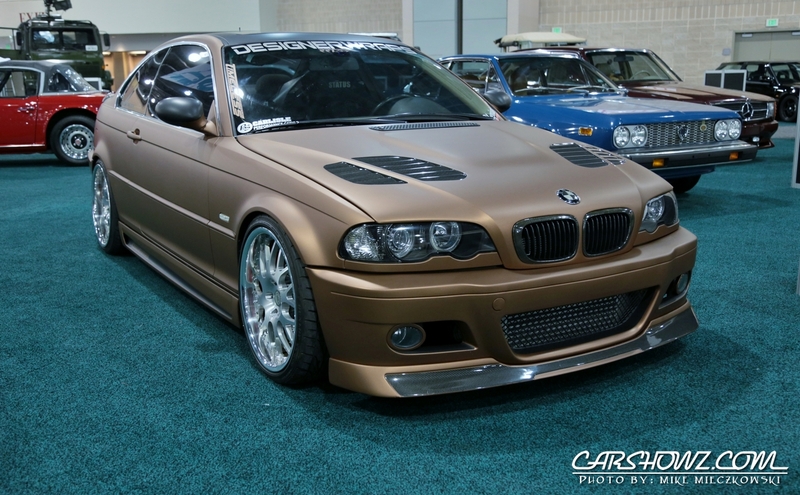 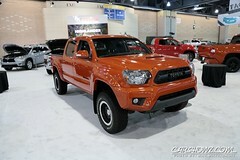 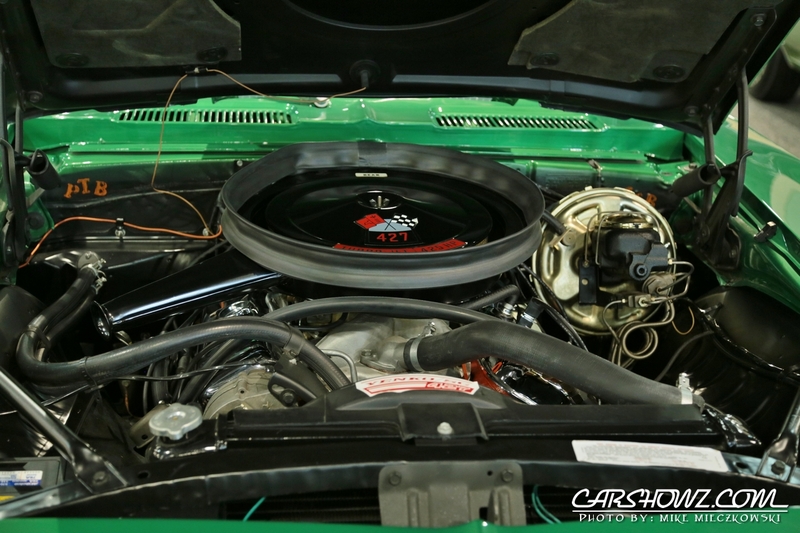 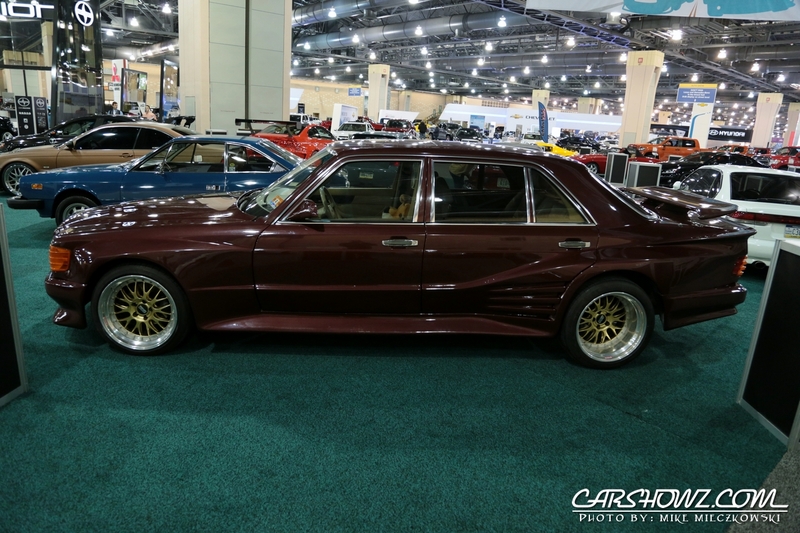 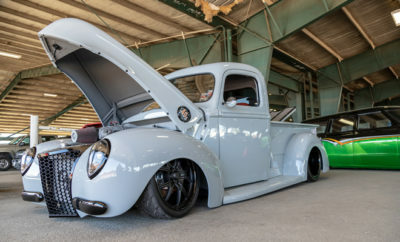 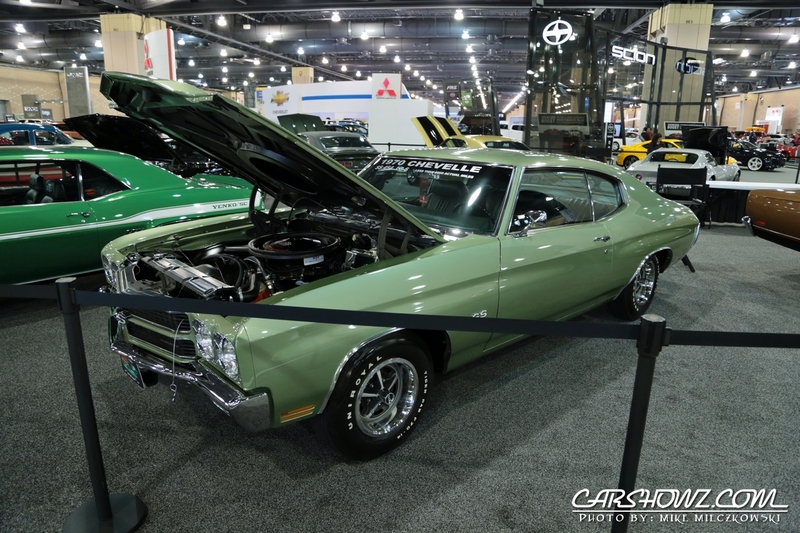 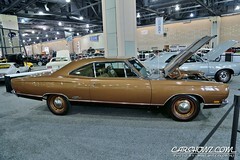 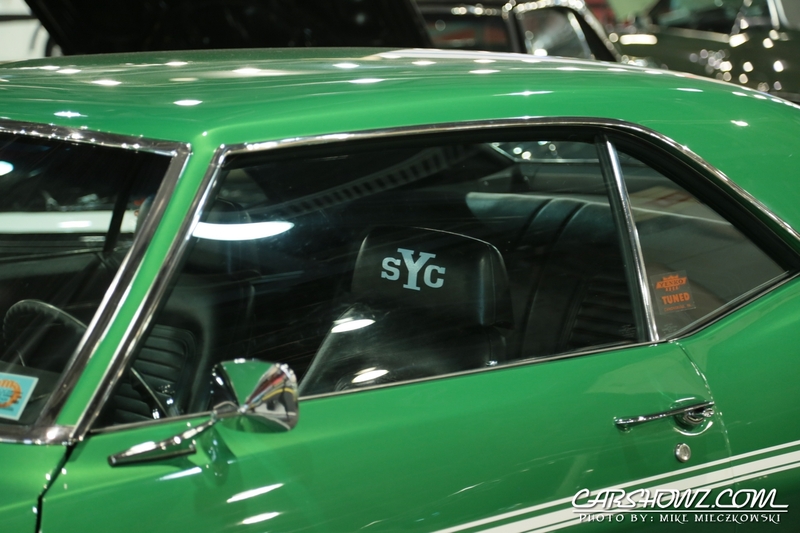 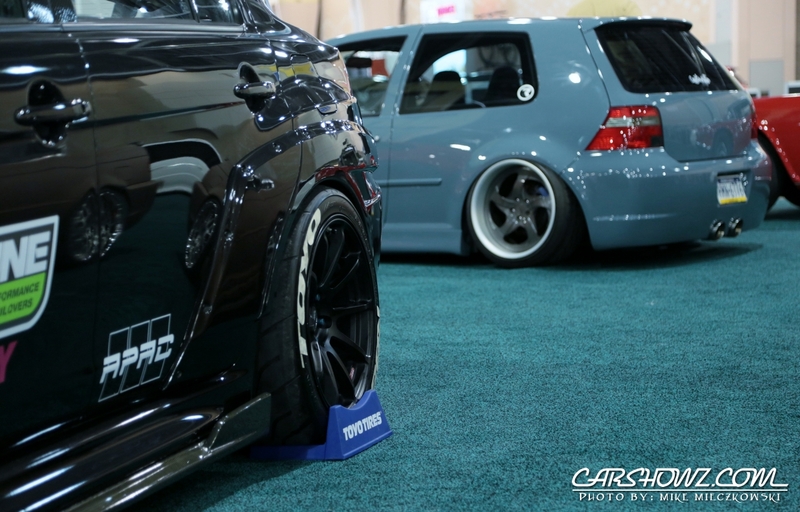 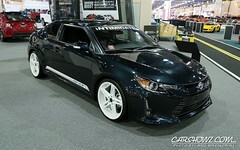 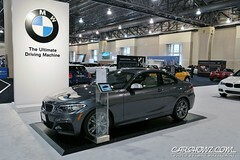 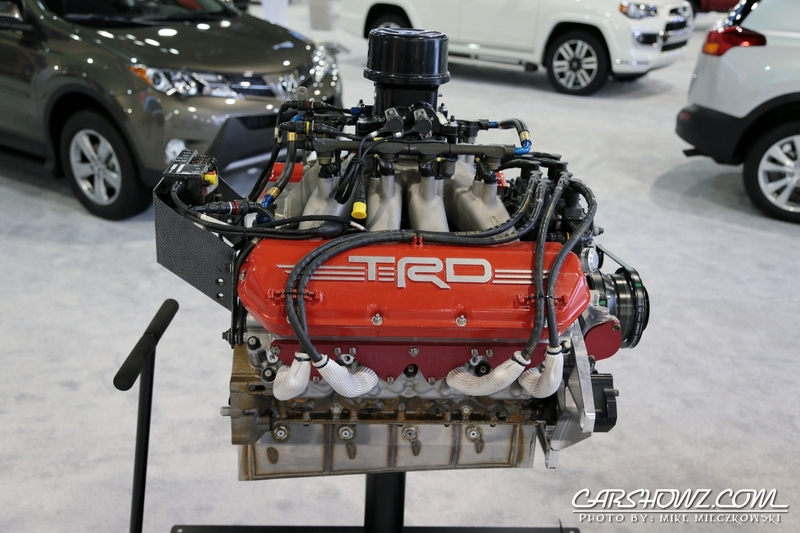 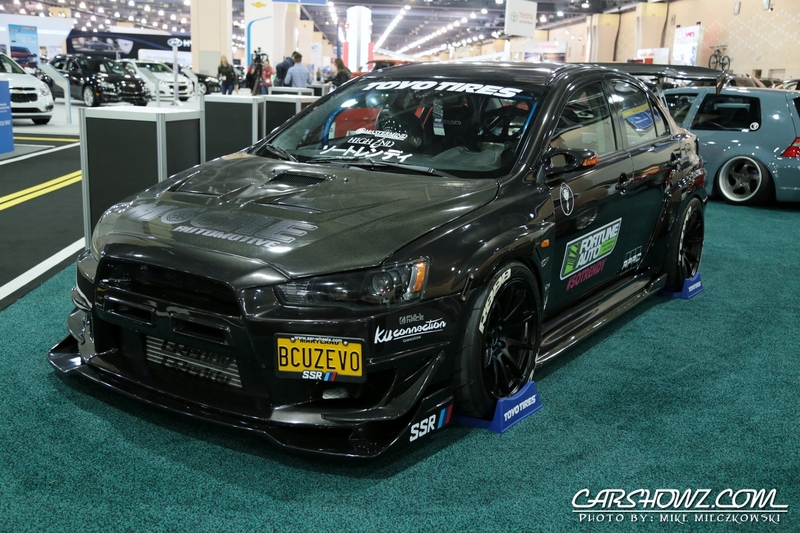 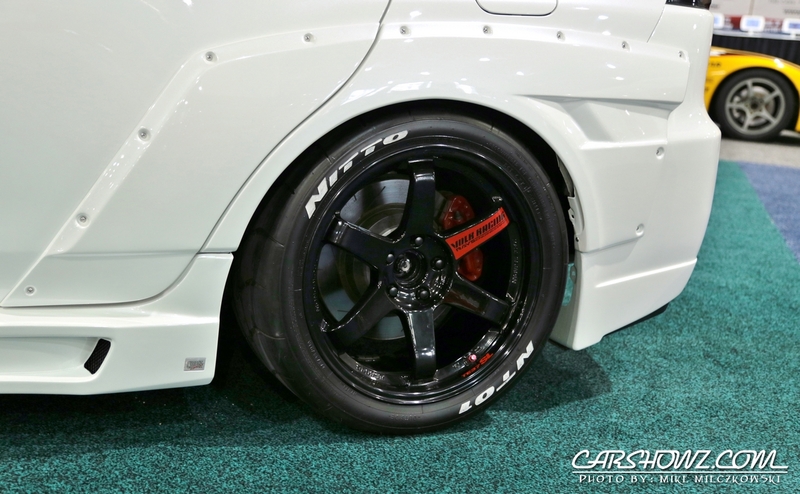 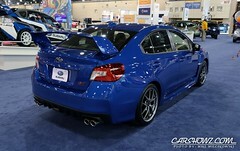 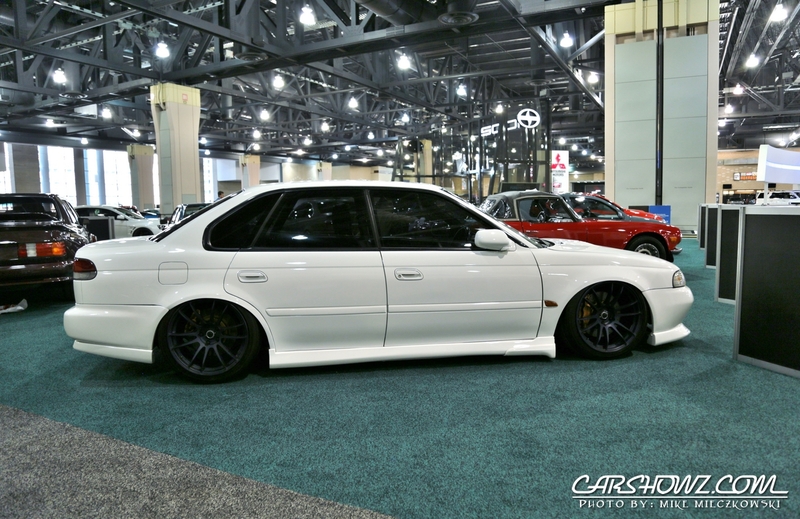 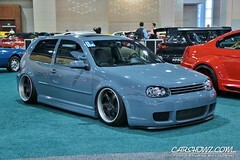 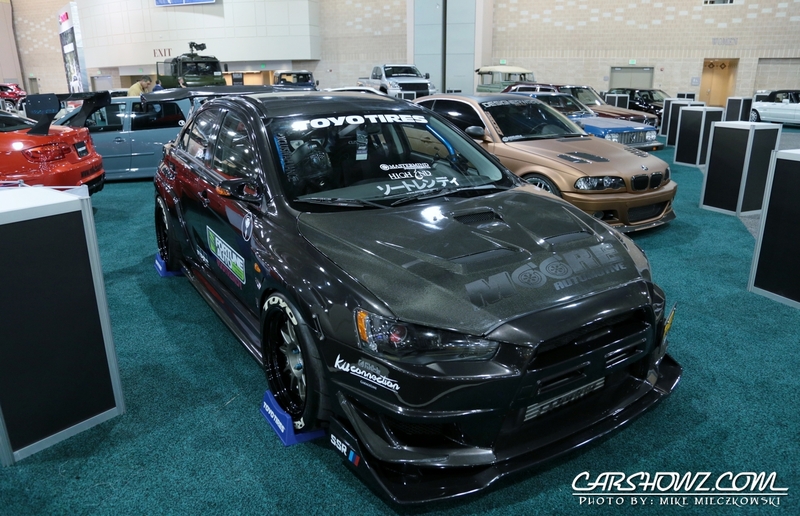 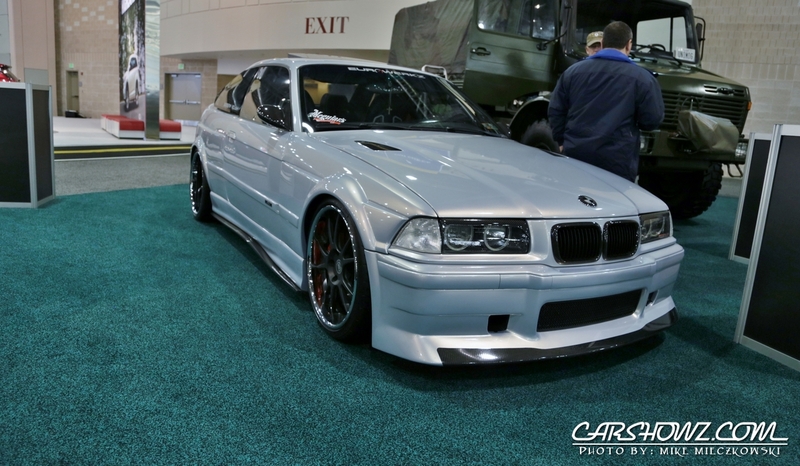 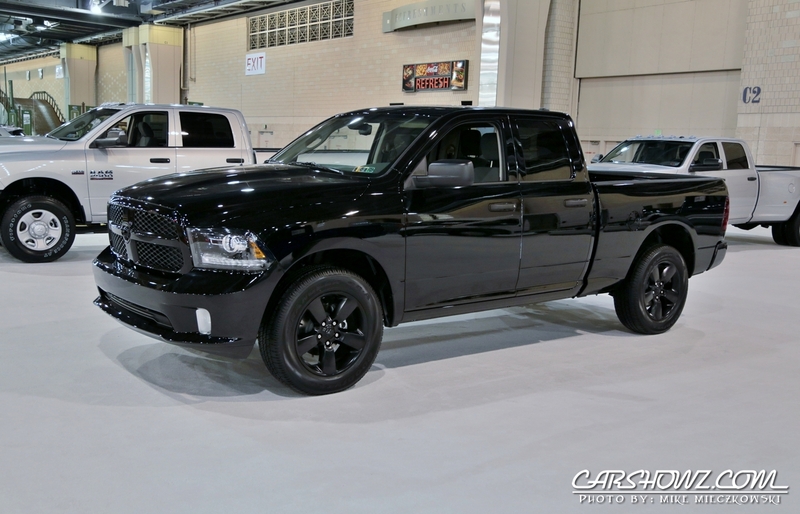 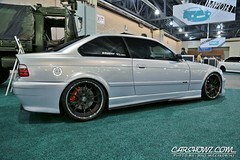 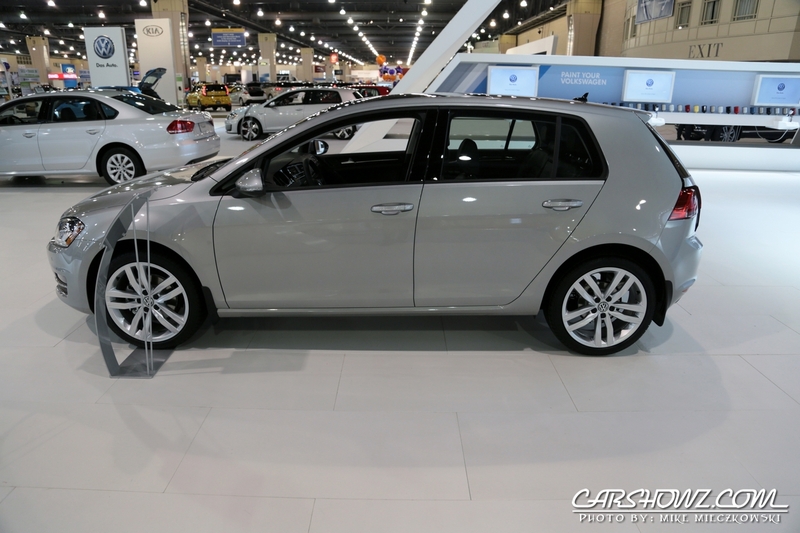 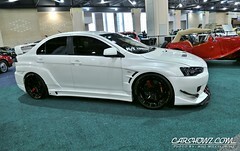 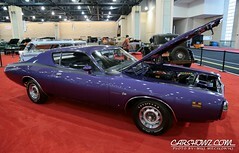 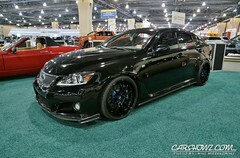 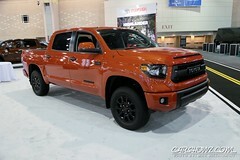 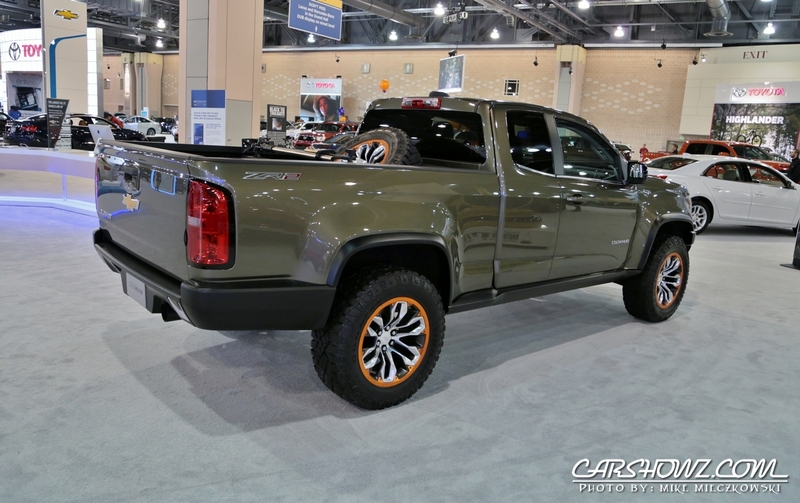 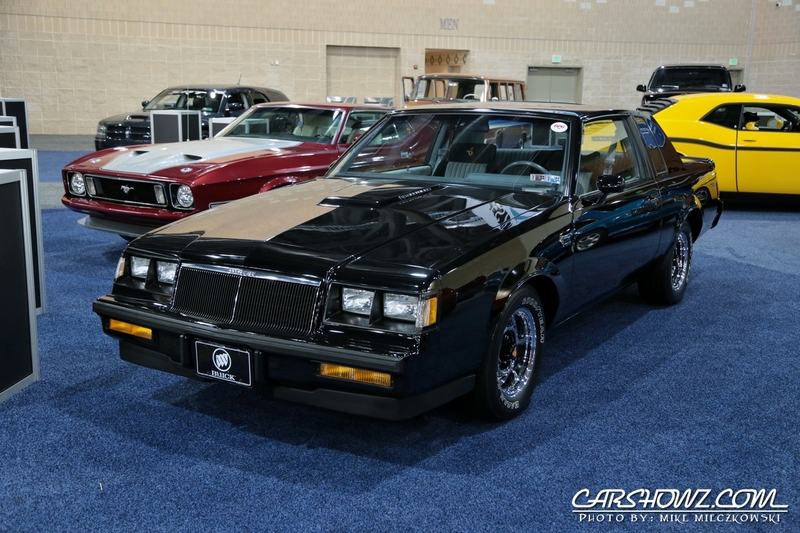 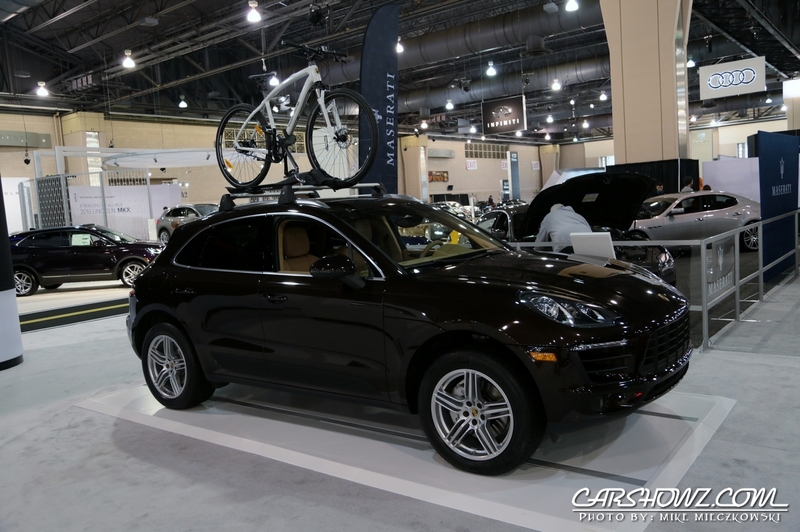 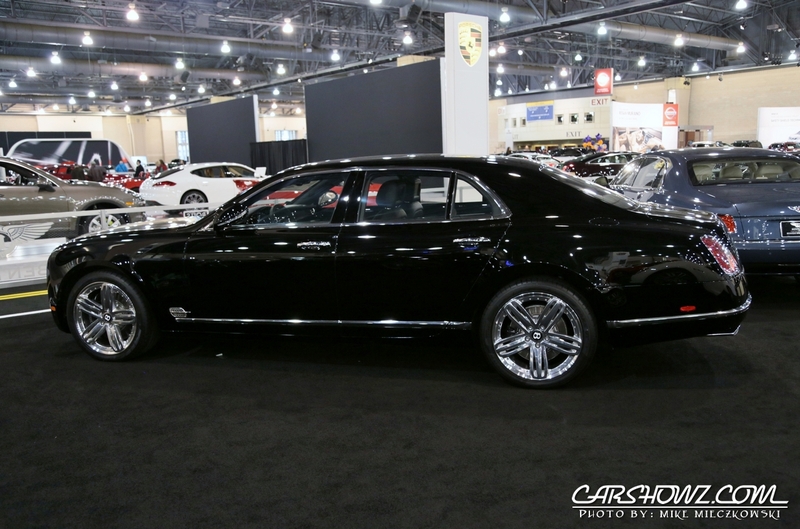 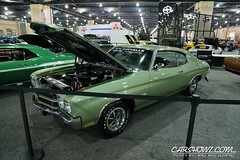 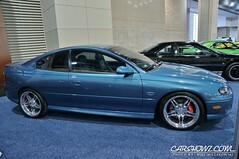 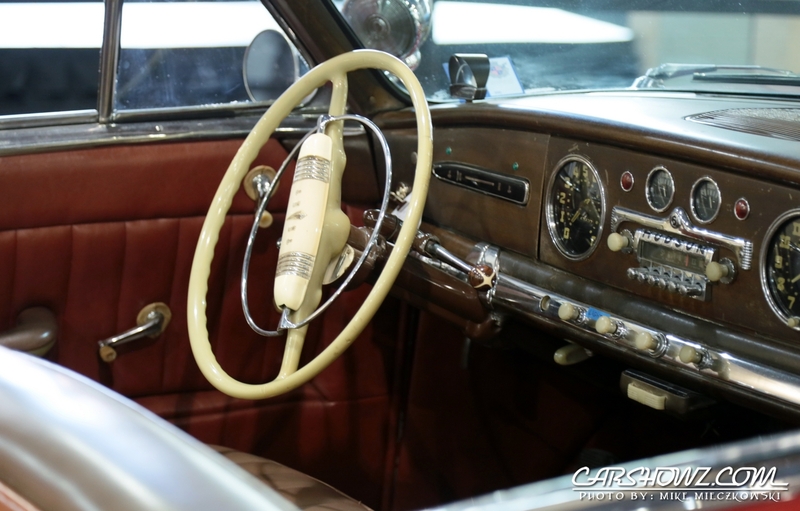 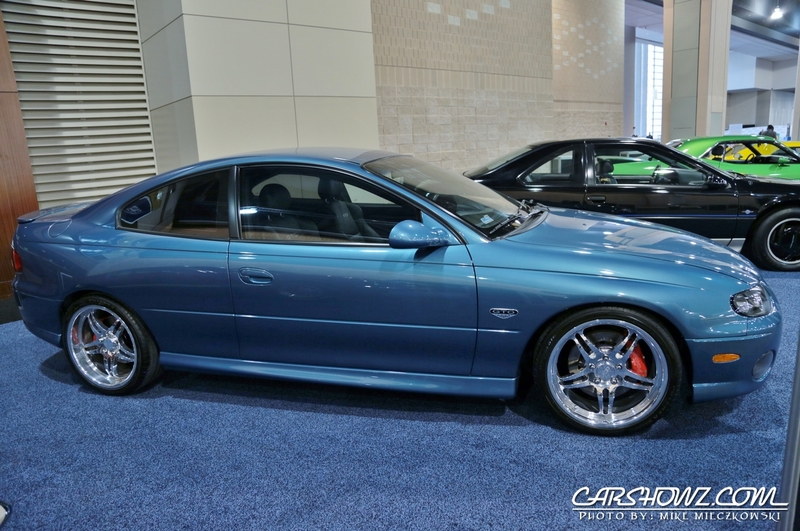 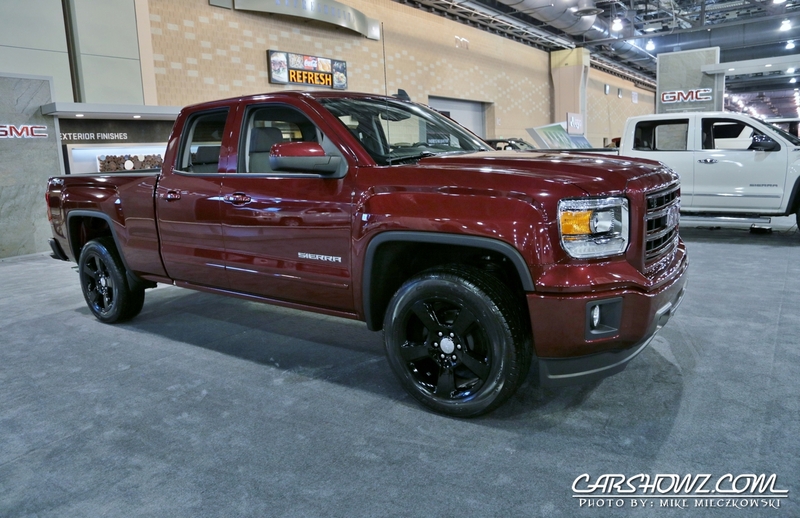 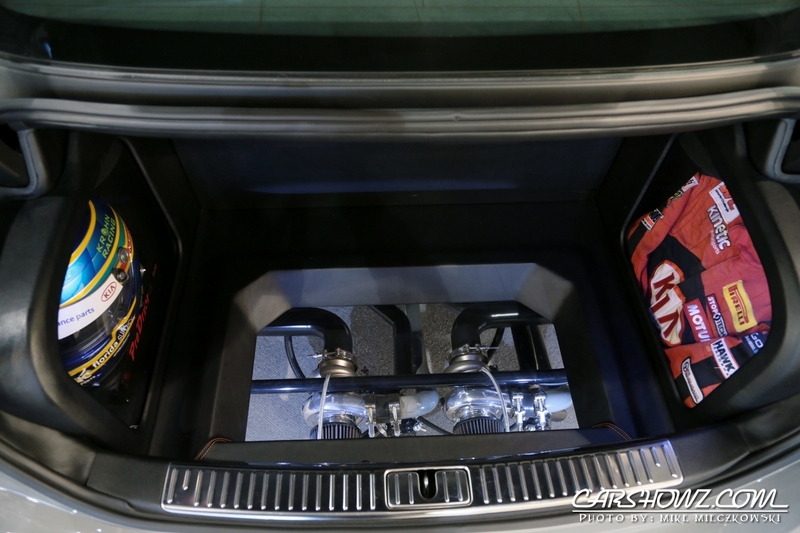 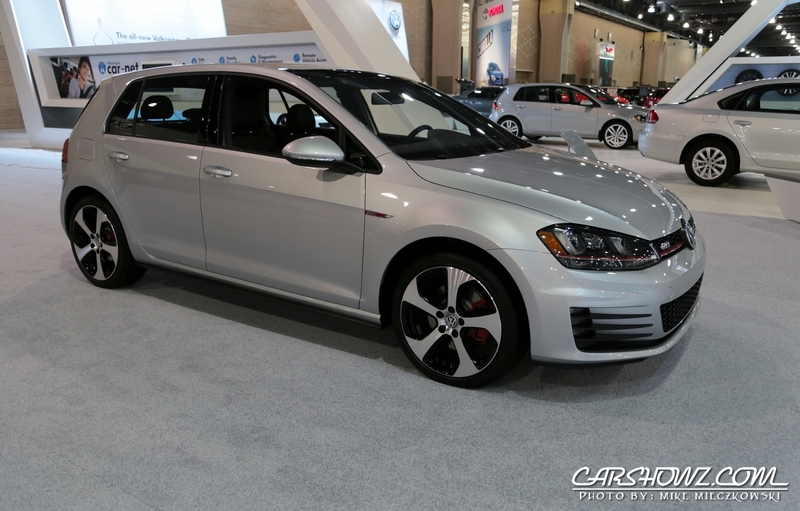 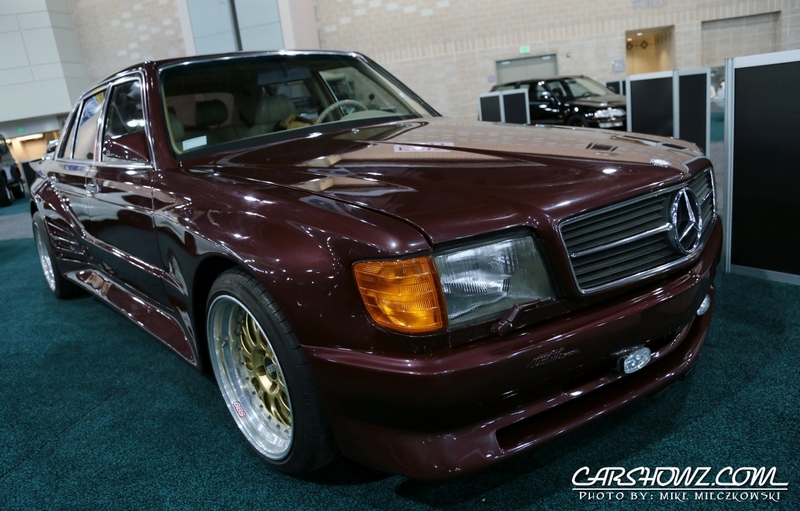 In the downstairs section of the 2015 Philadelphia Car Show, you can find the Dub Show Tour with Tuner Evolution exhibitions featuring some of the hottest rides in the area. 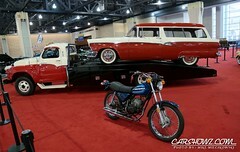 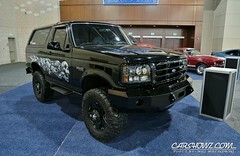 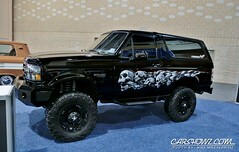 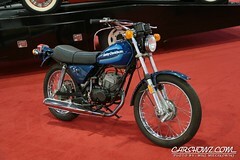 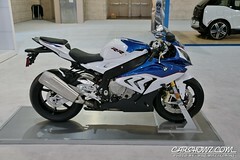 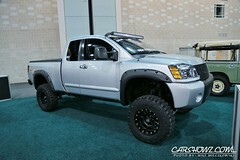 Whether you’re looking for motorcycles to lifted trucks or tuner cars to exotics, you can find them here.